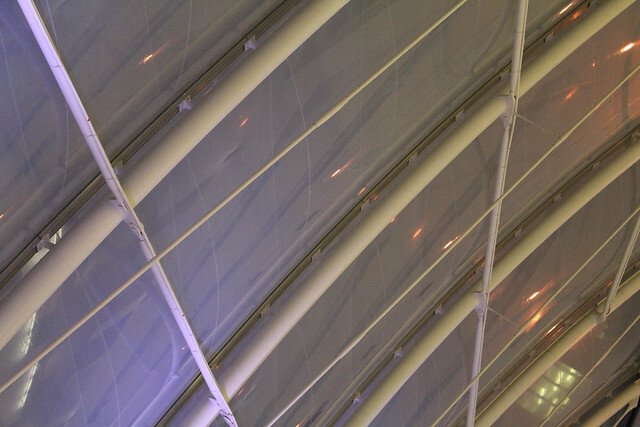 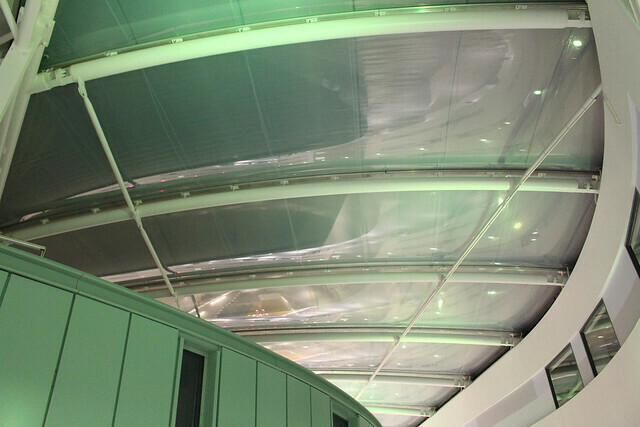 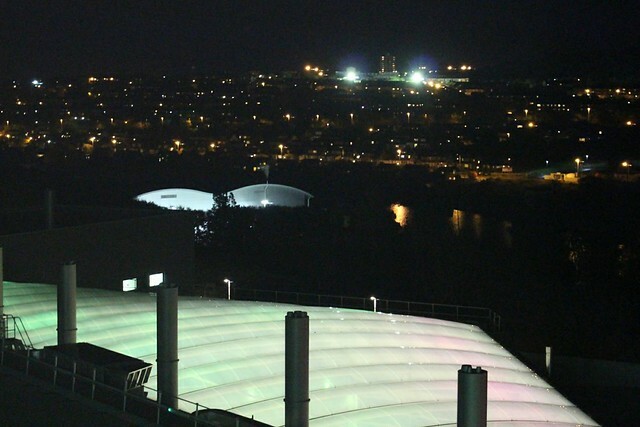 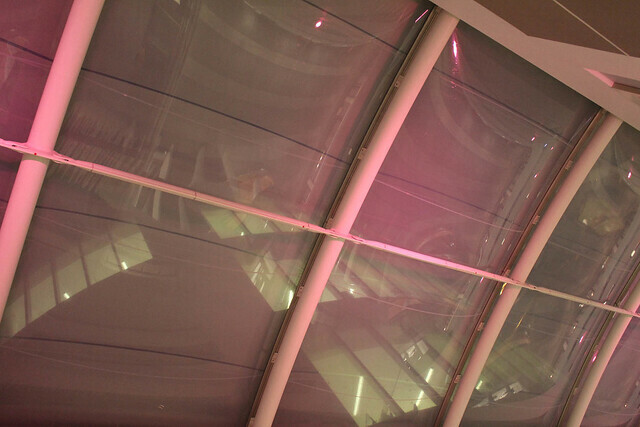 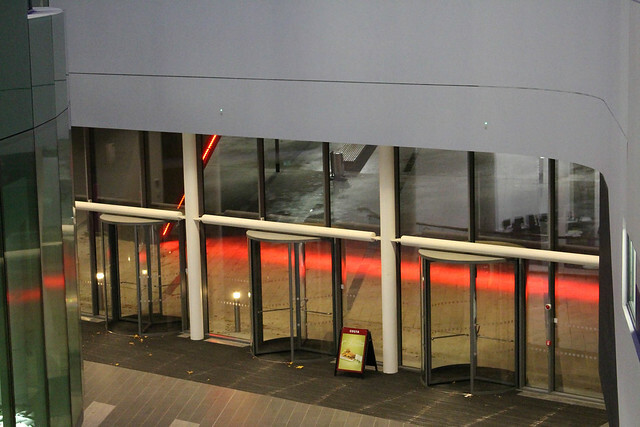 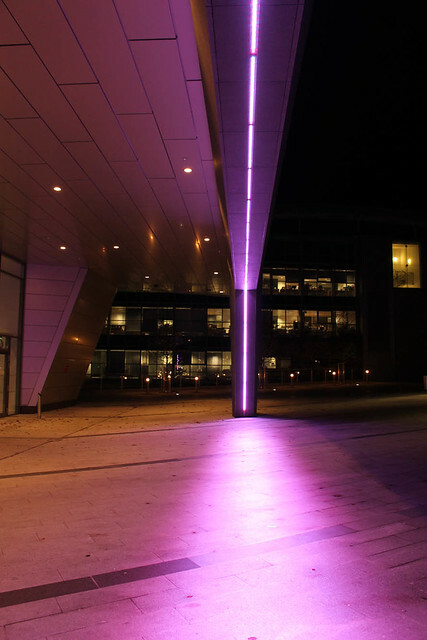 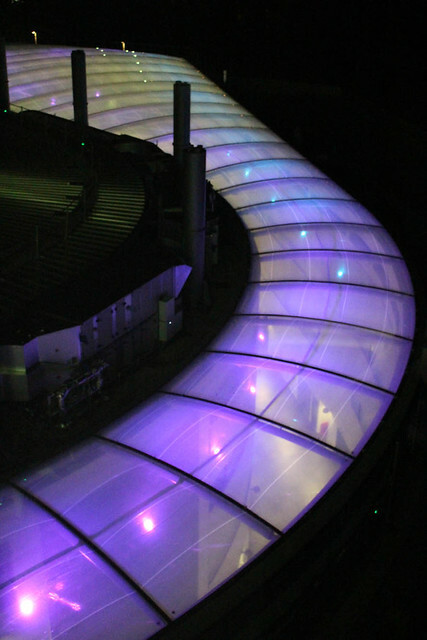 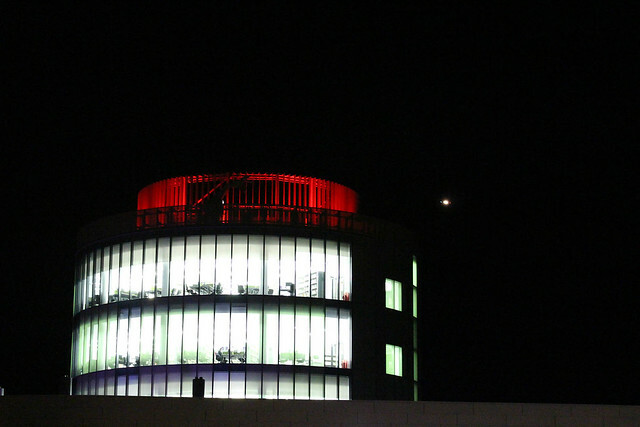 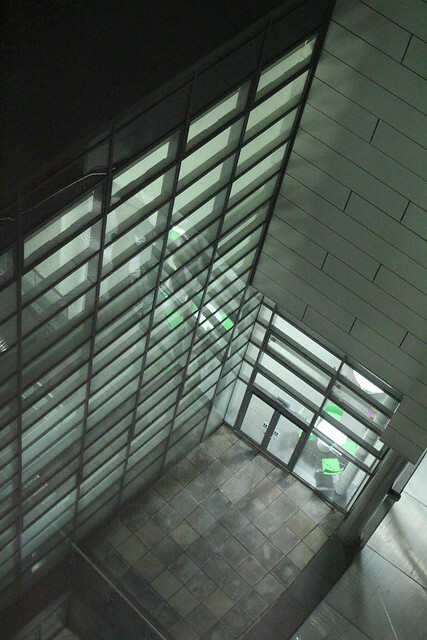 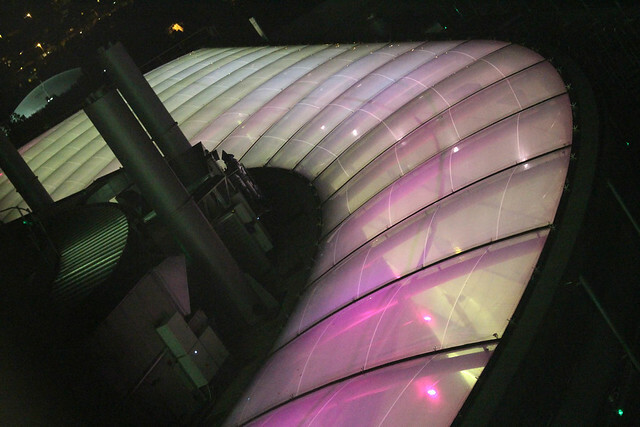 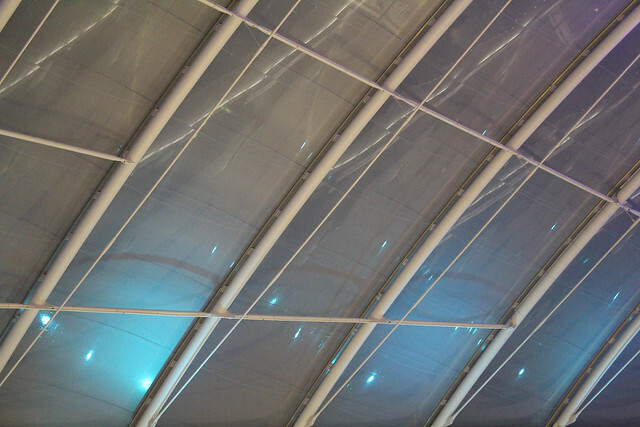 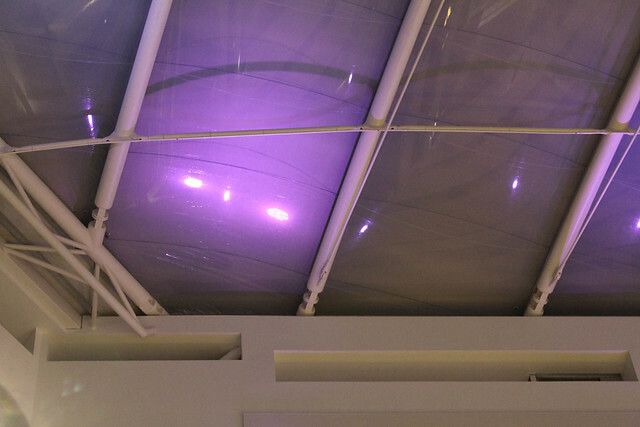 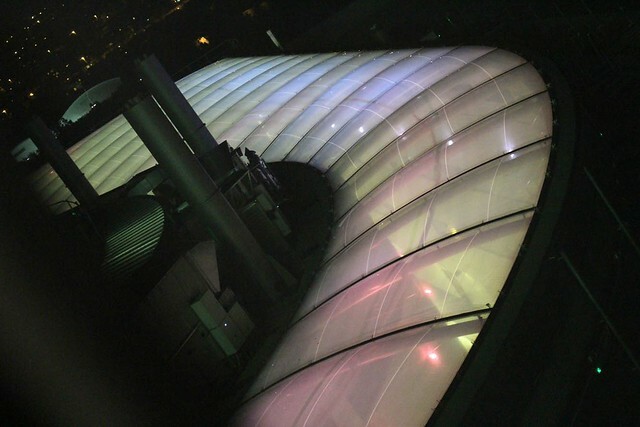 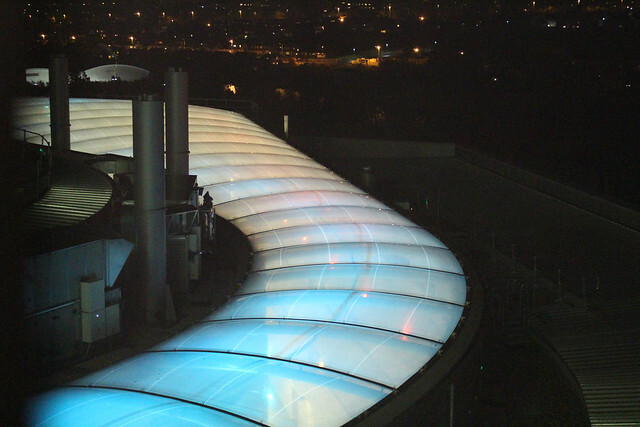 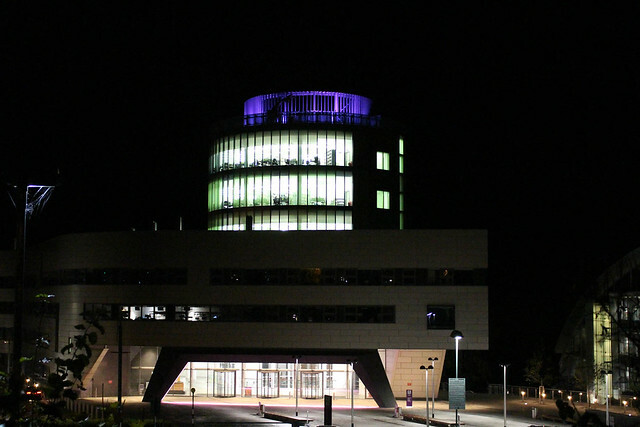 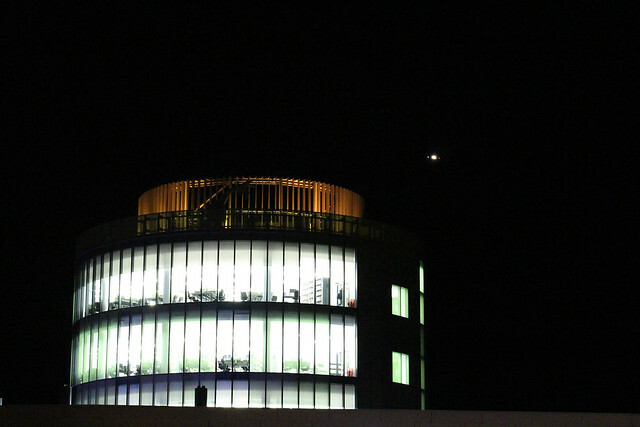 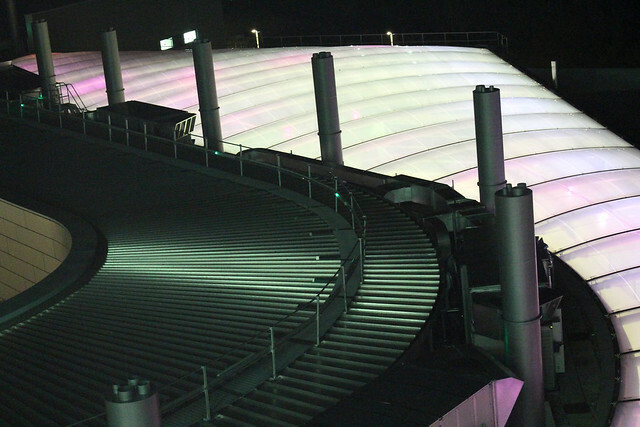 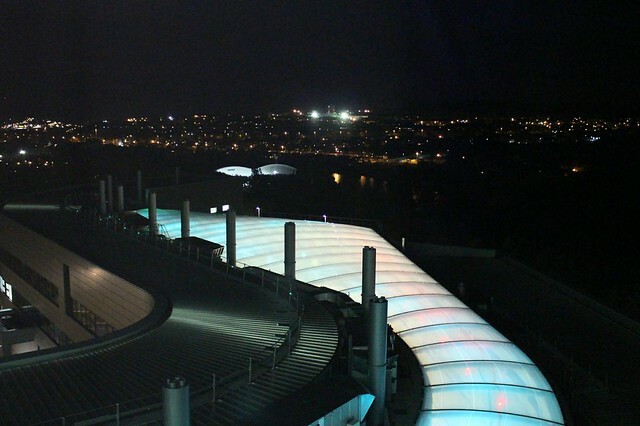 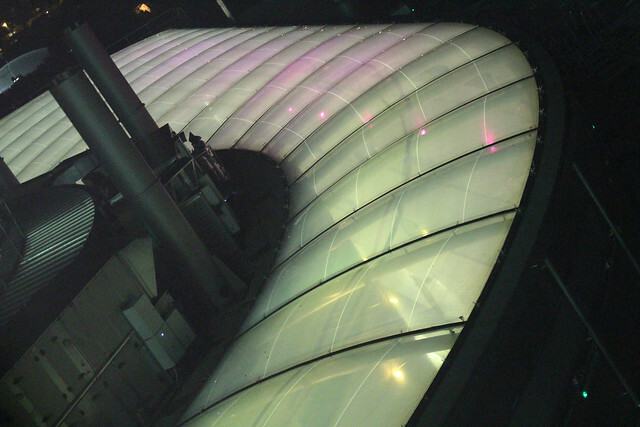 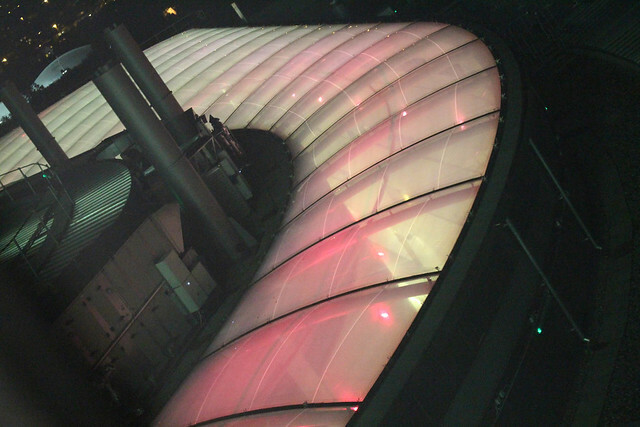 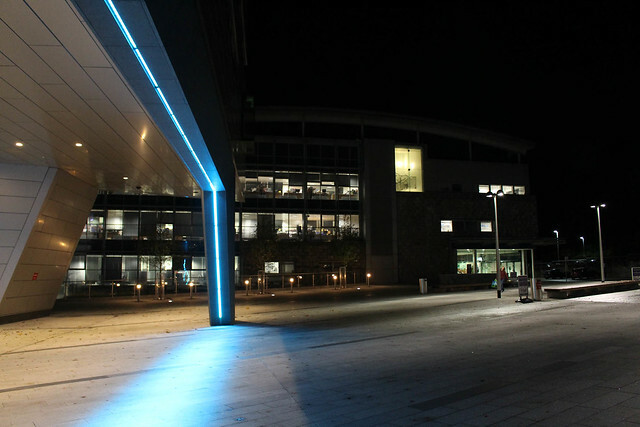 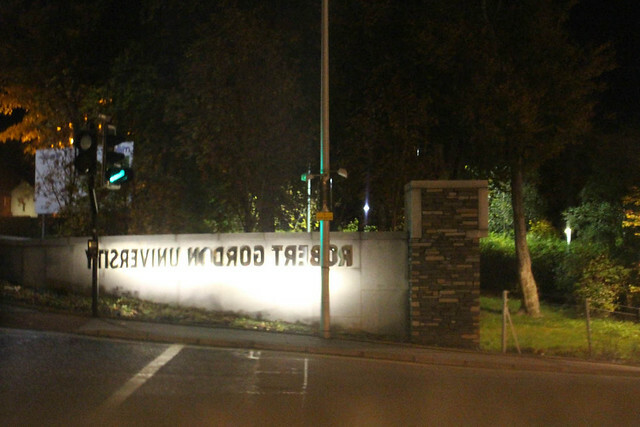 Following on from my previous post (26th July 2013) which featured the completed Riverside East building during the day, this set of photographs were taken late in the evening on the 28th October. 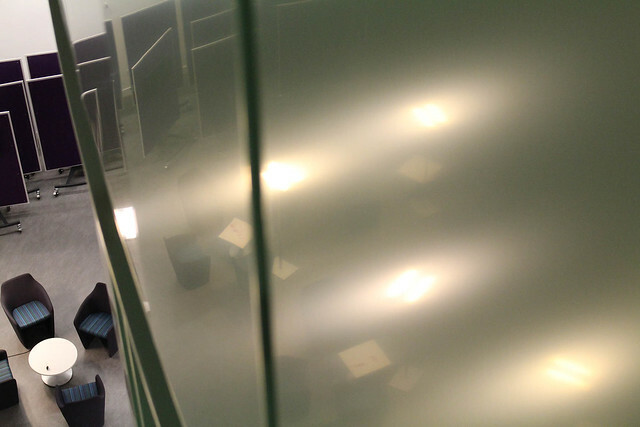 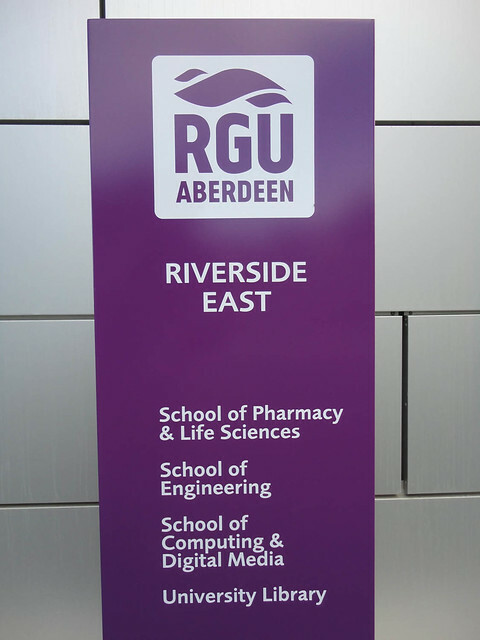 The timing seemed appropriate as it was the first day of classes after the clocks went back an hour. 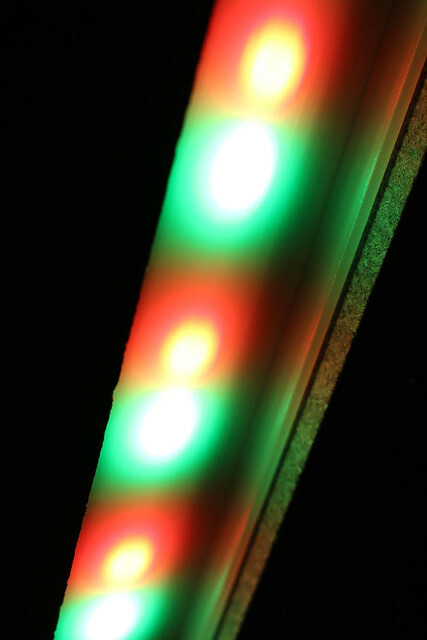 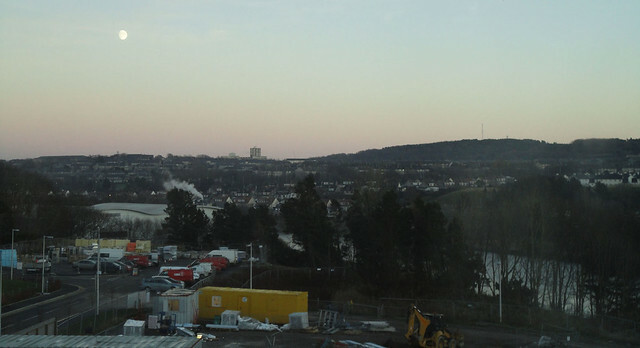 Hence the winter months are well on the way as the nights get longer. 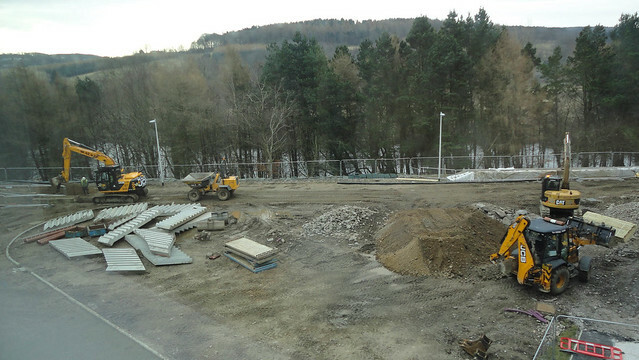 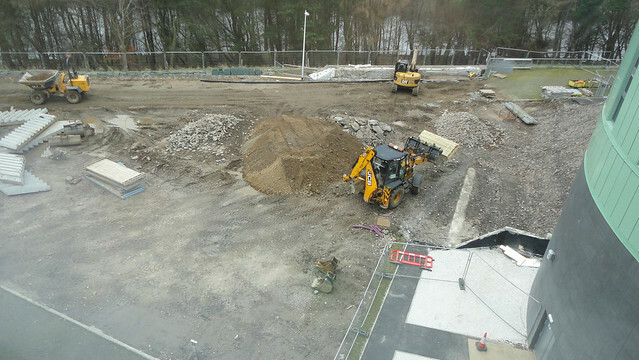 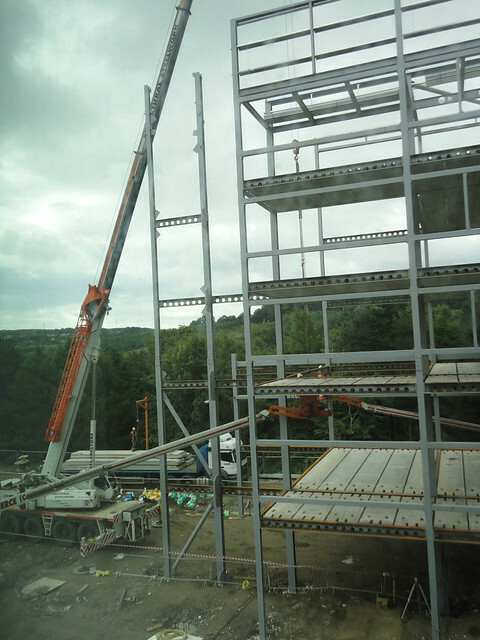 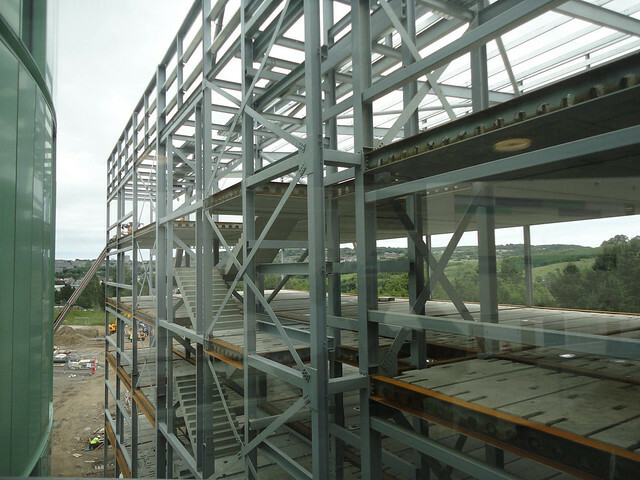 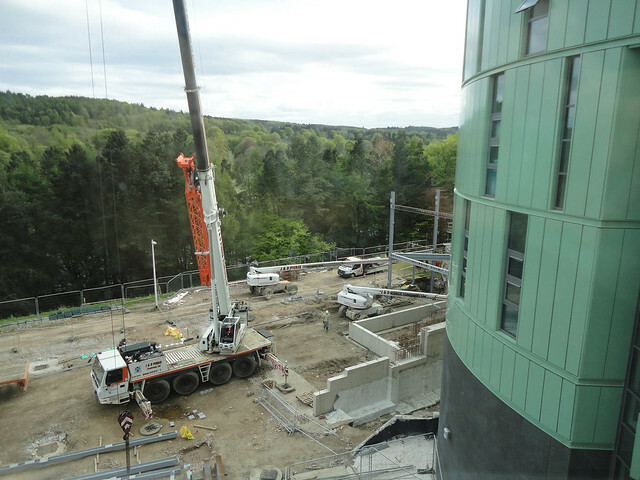 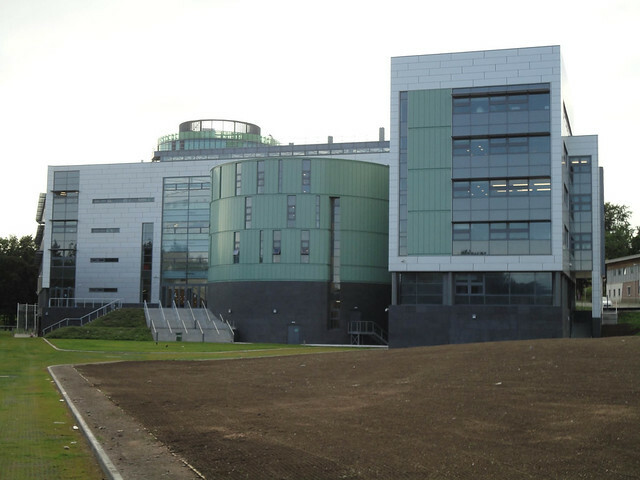 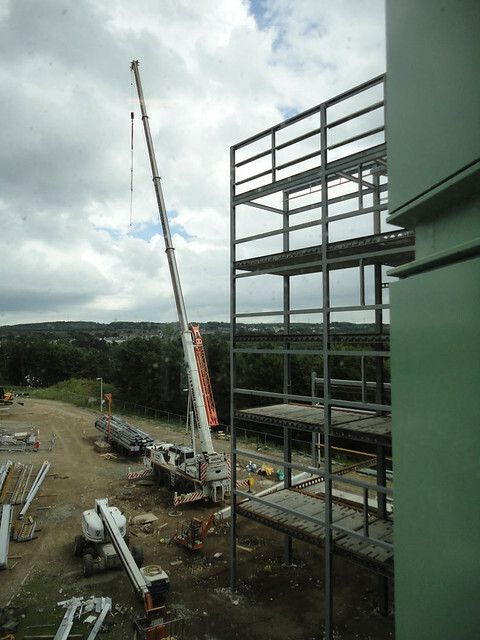 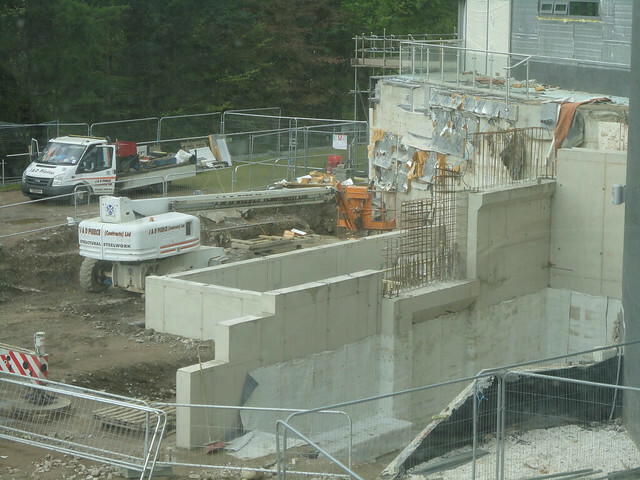 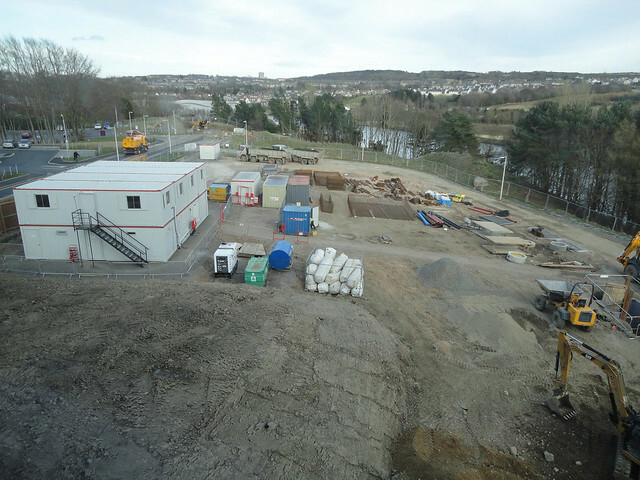 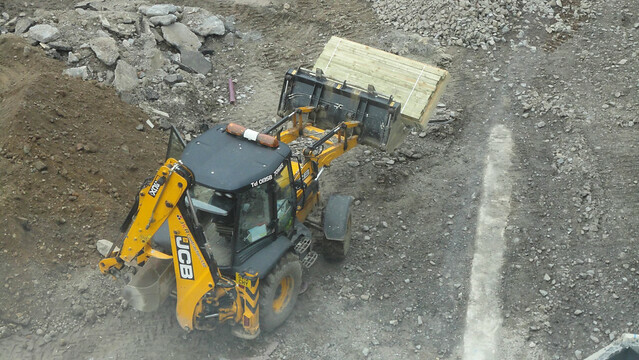 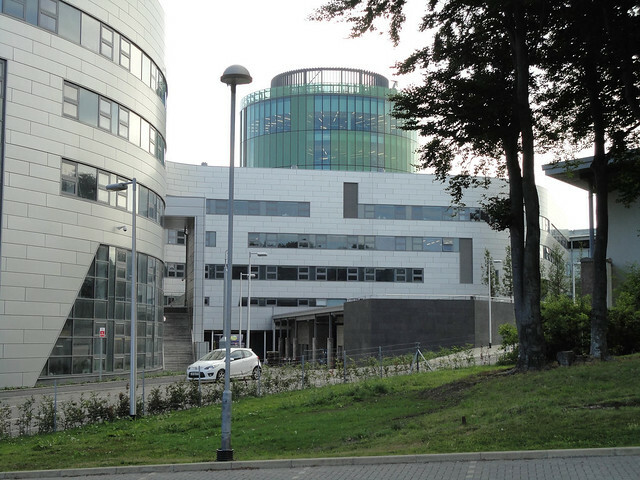 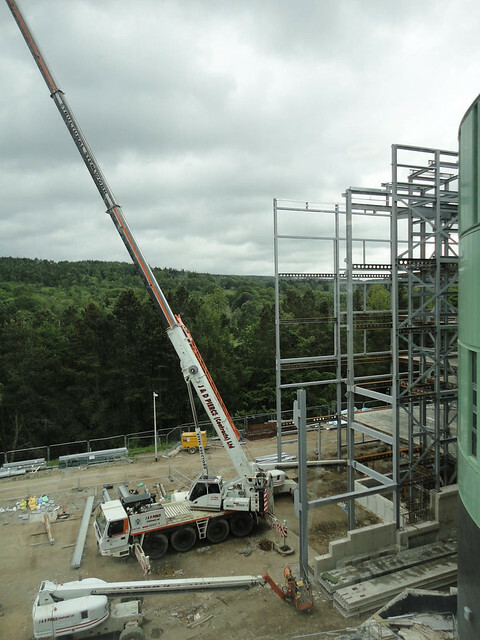 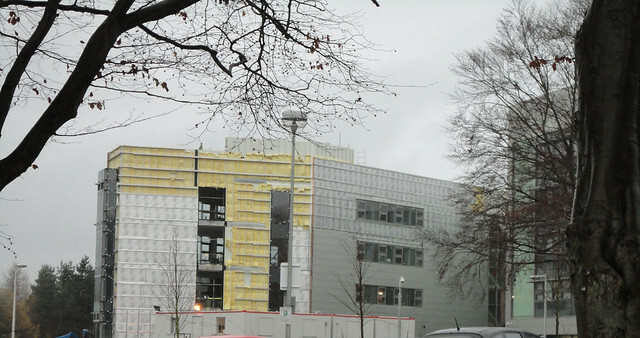 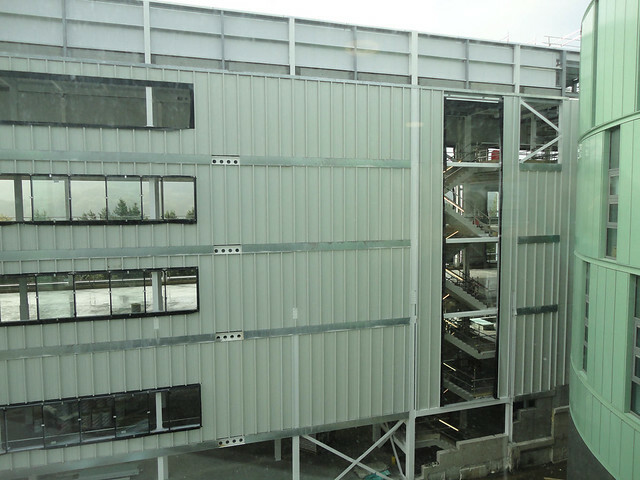 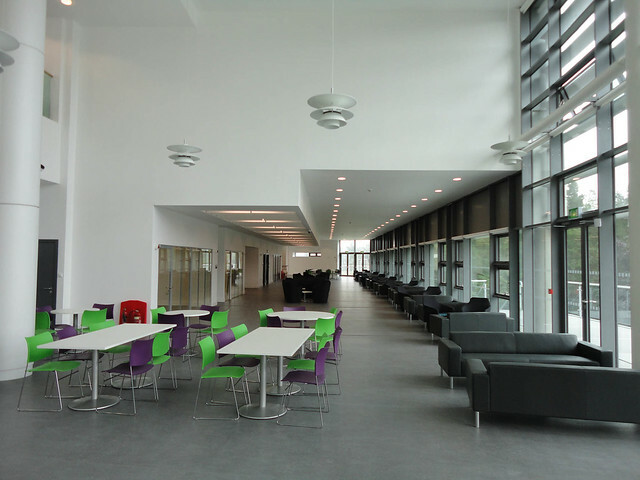 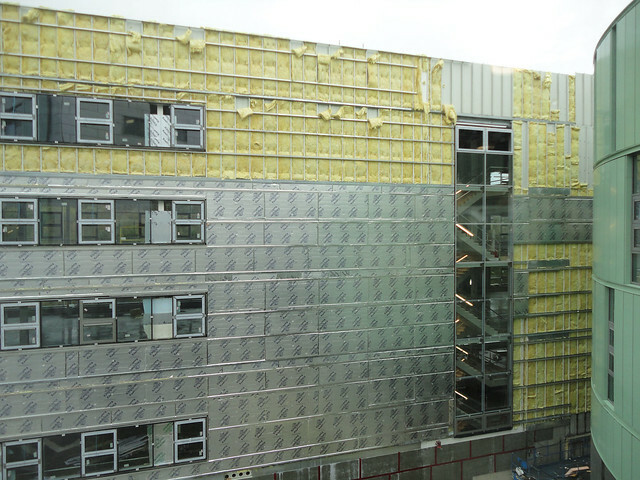 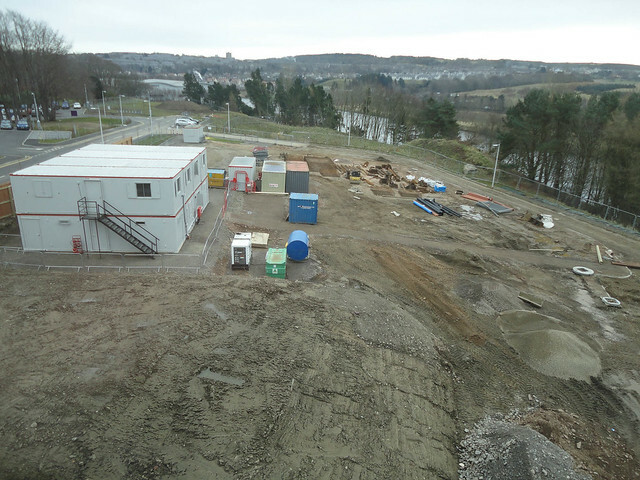 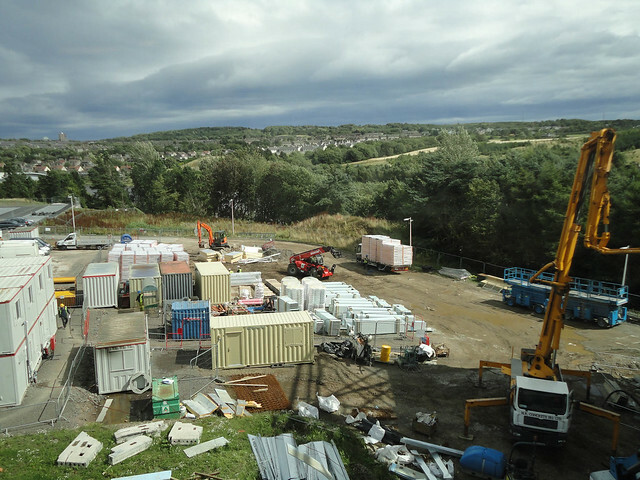 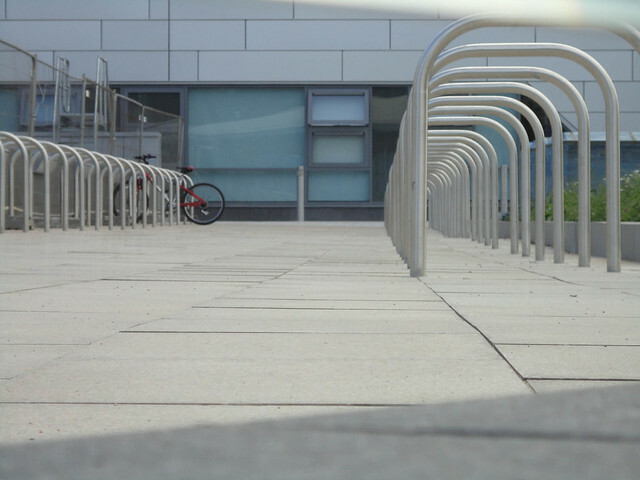 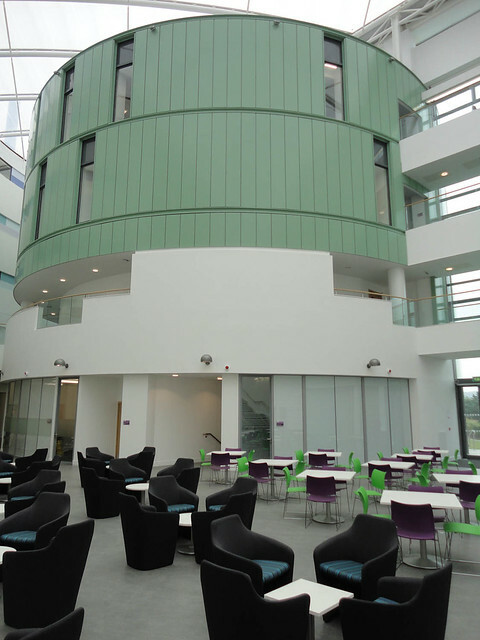 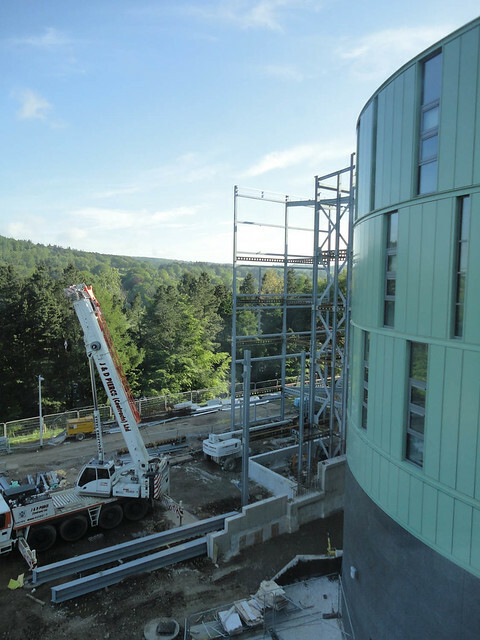 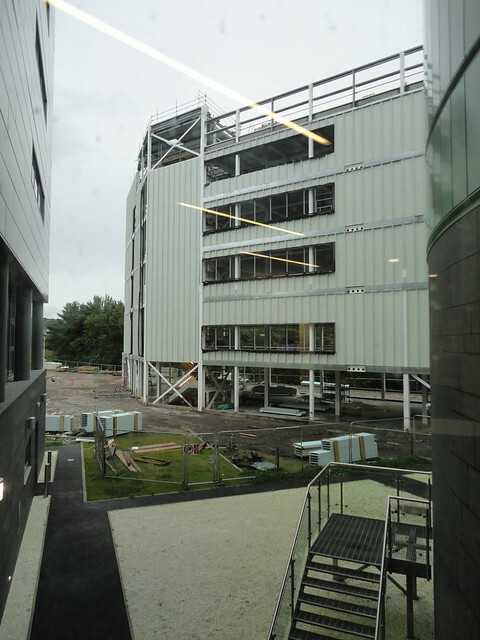 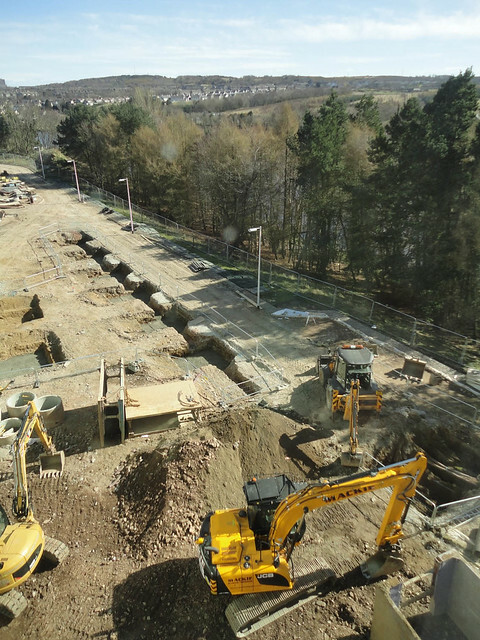 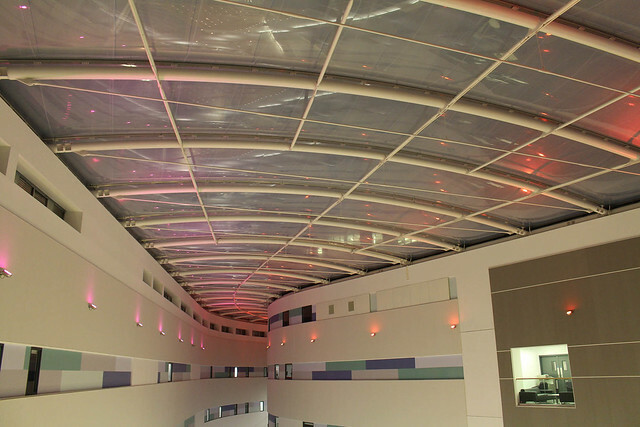 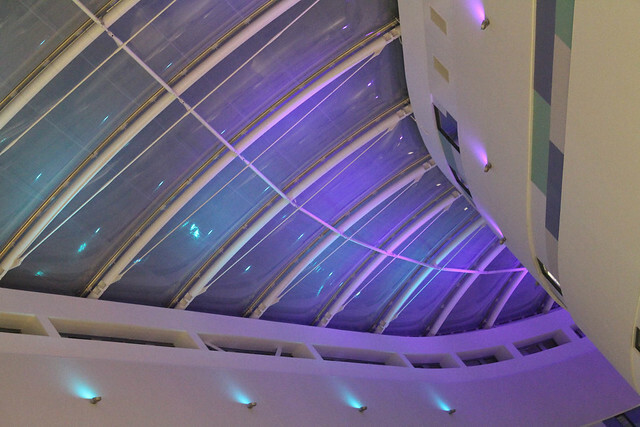 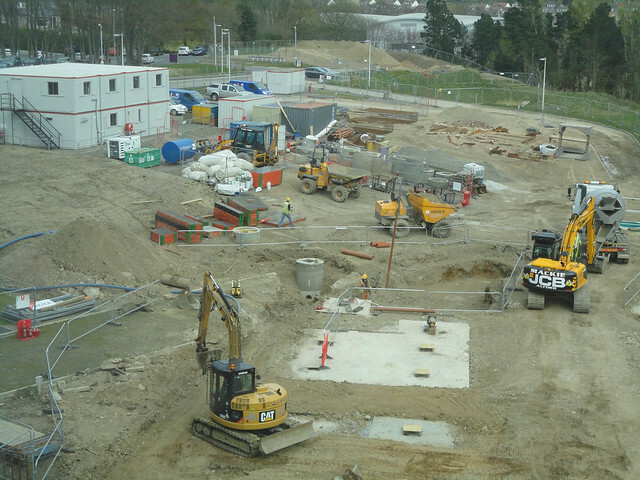 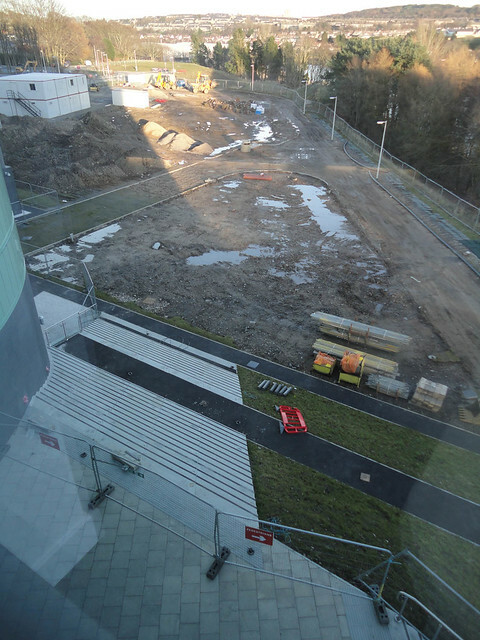 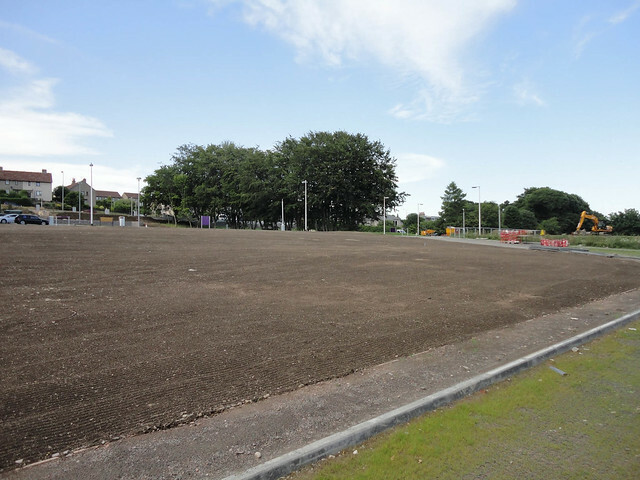 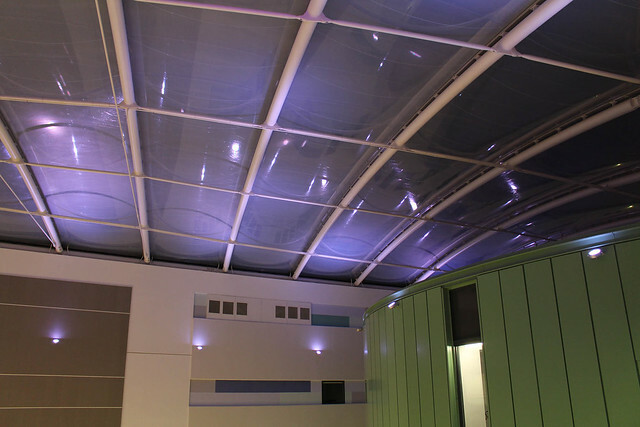 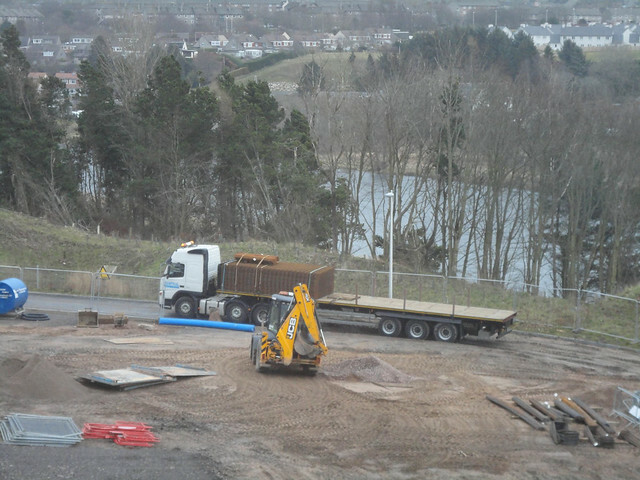 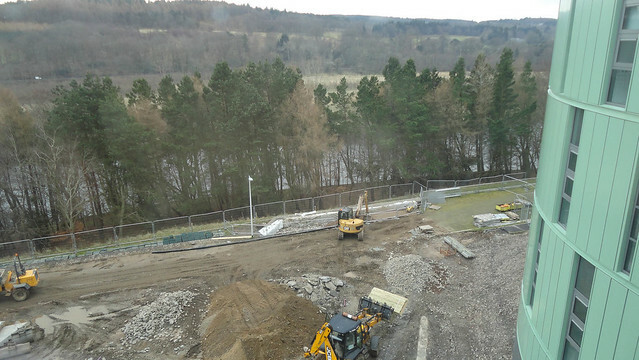 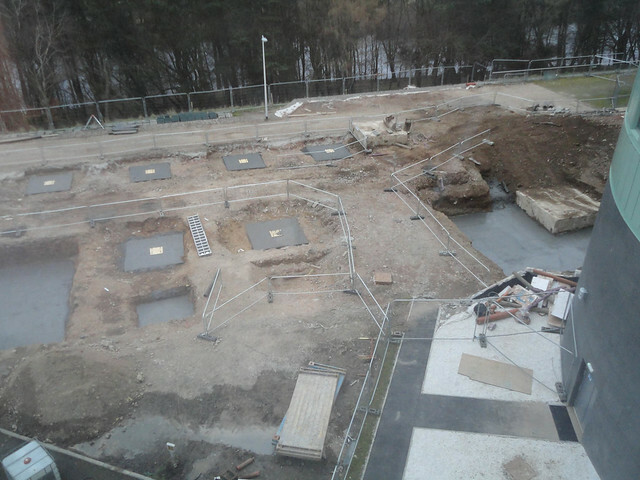 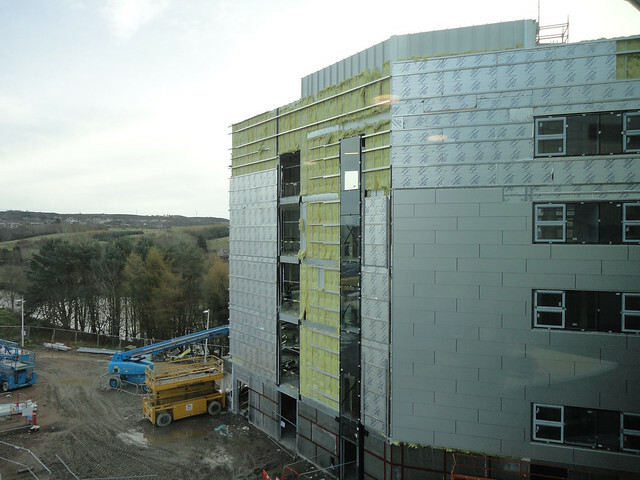 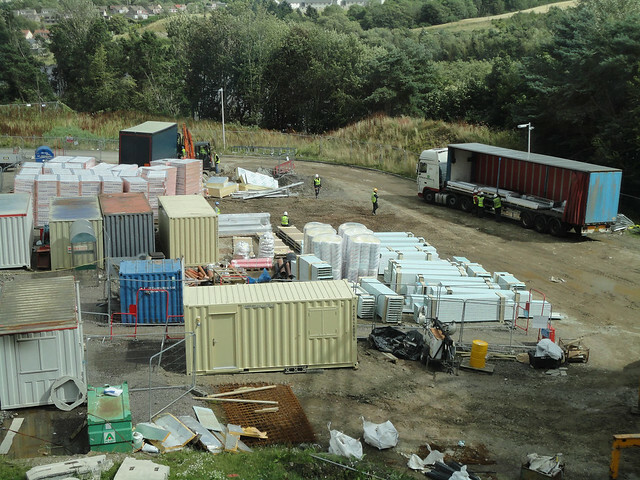 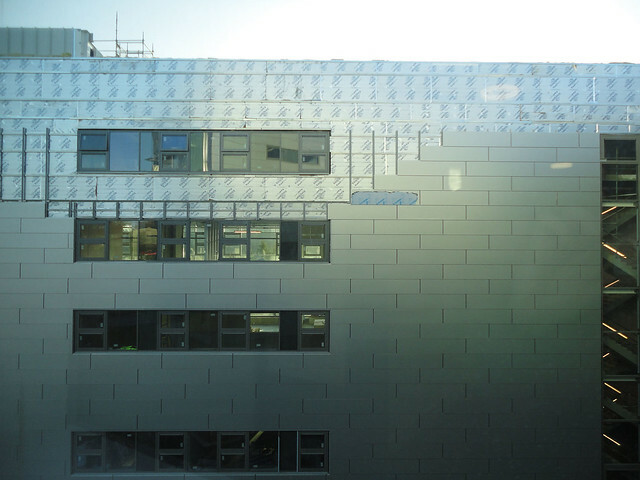 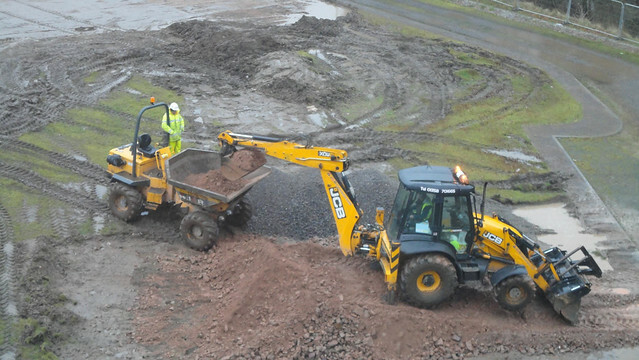 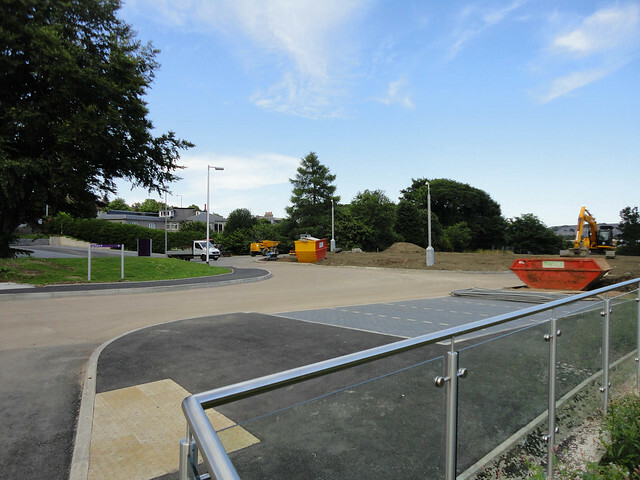 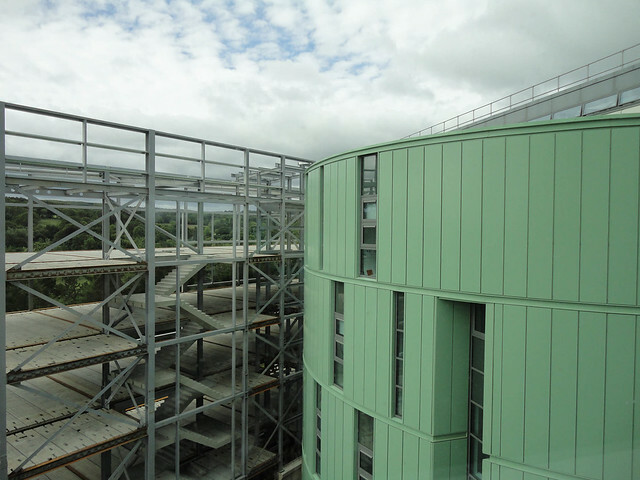 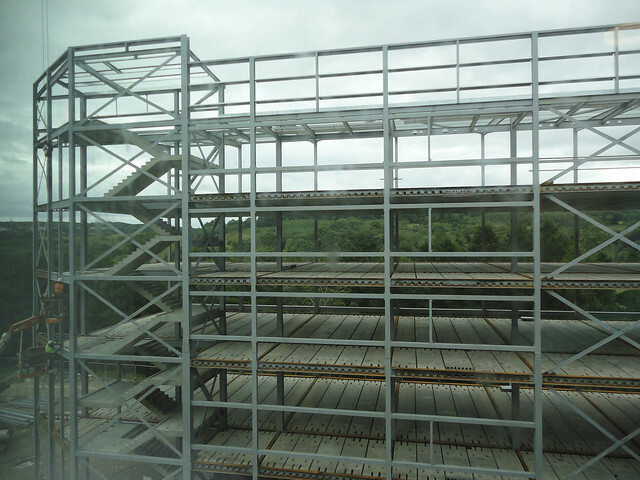 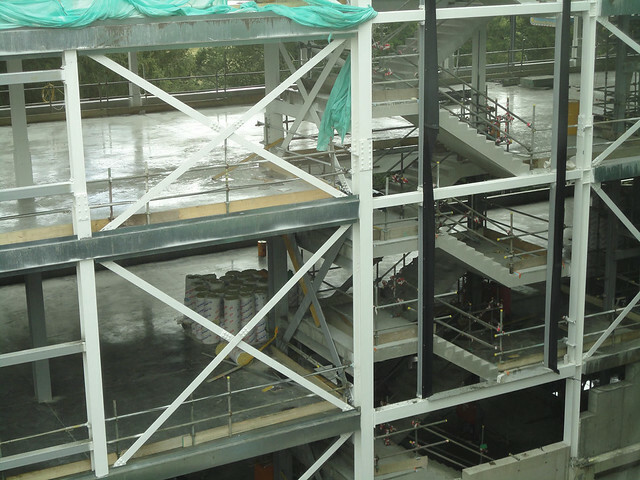 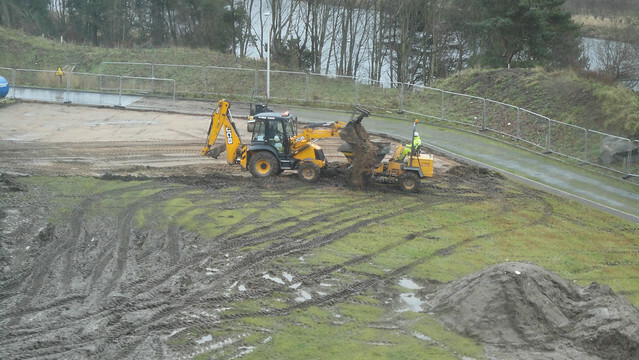 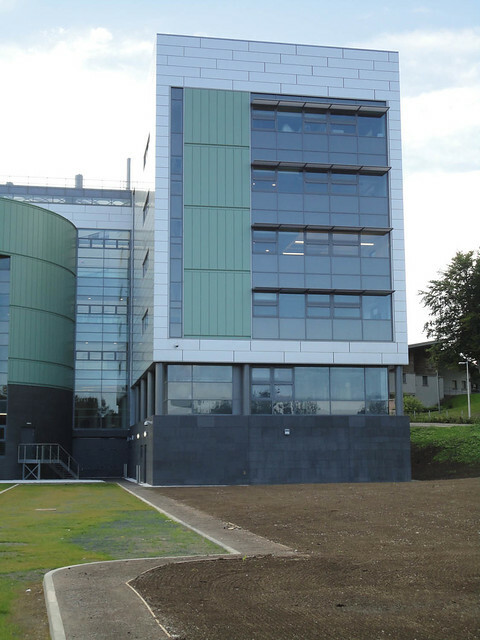 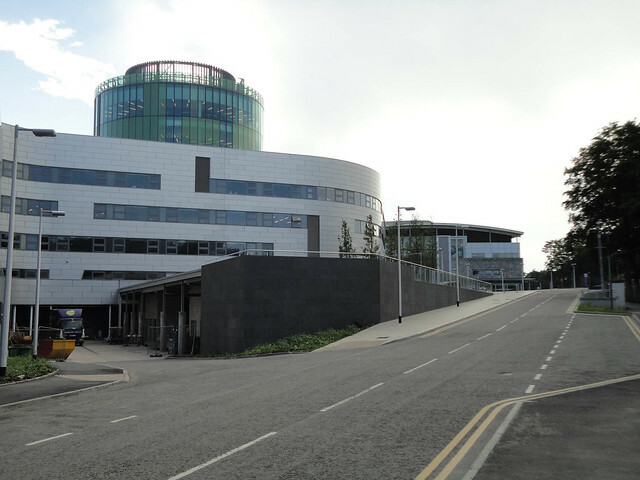 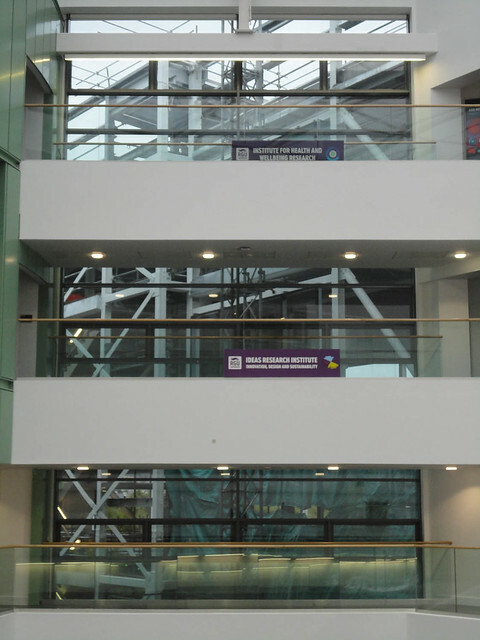 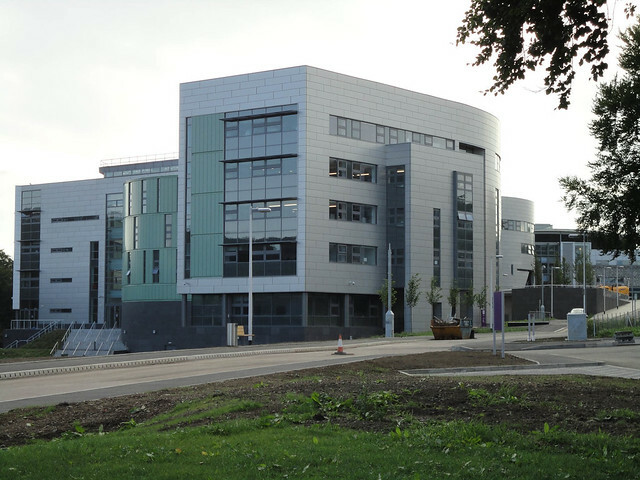 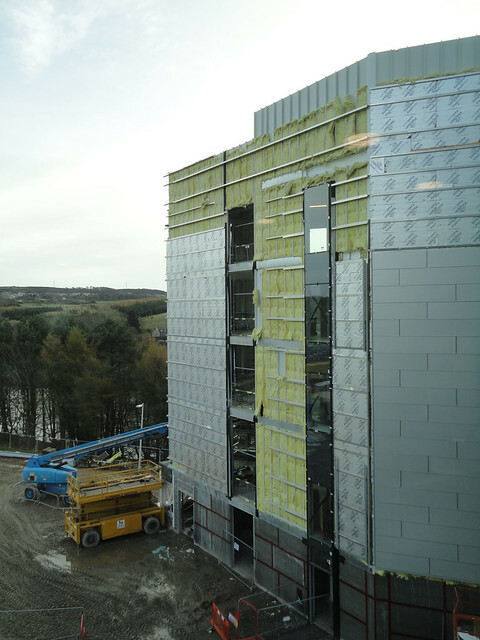 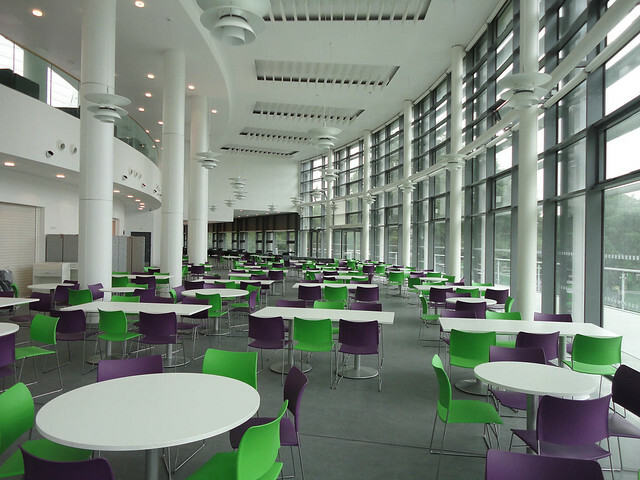 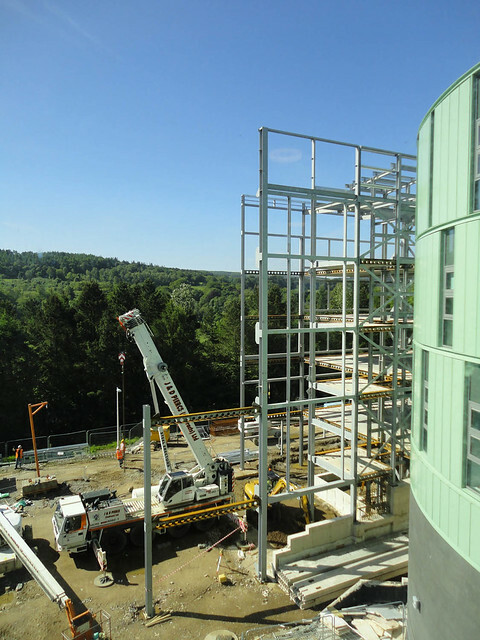 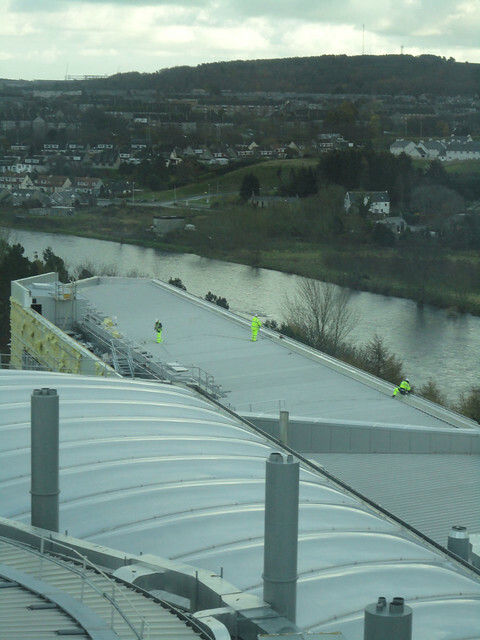 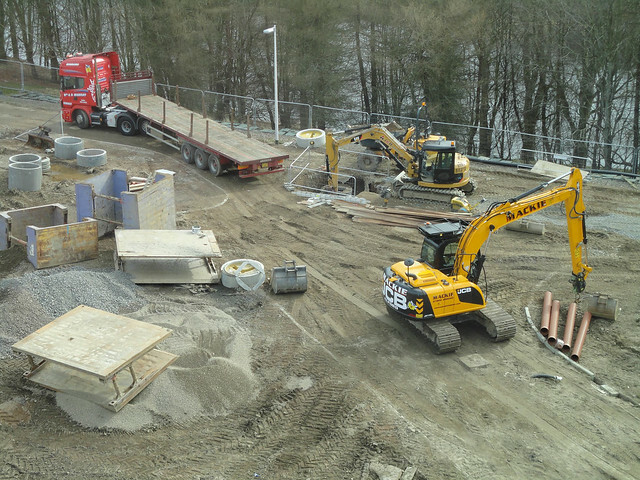 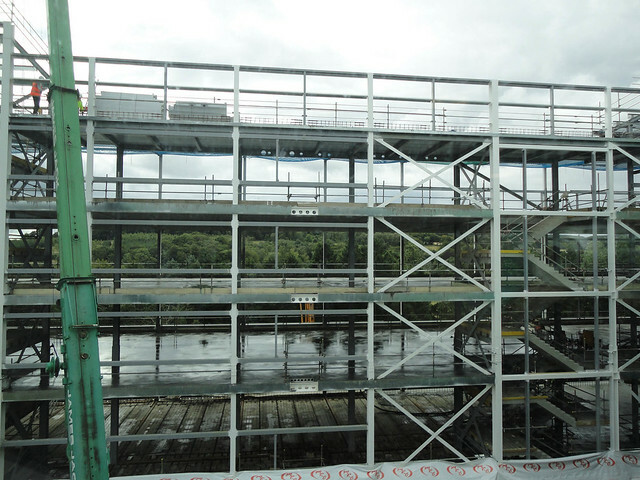 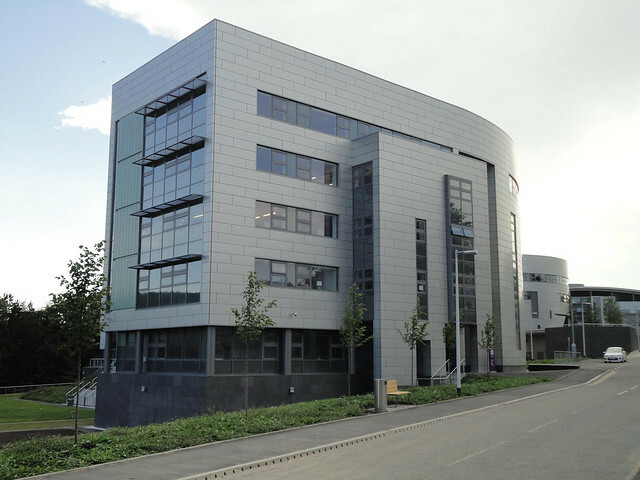 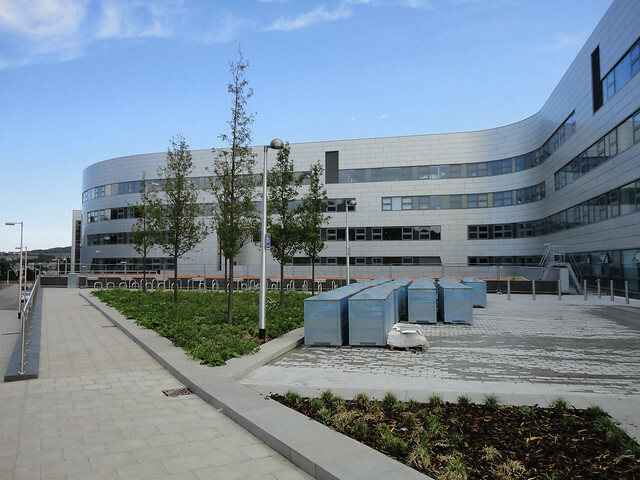 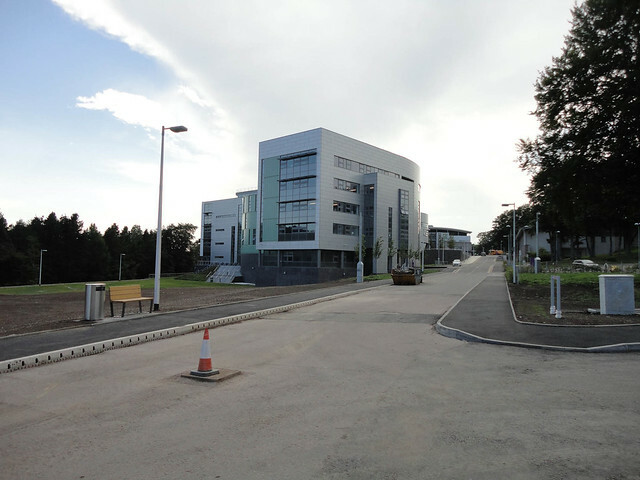 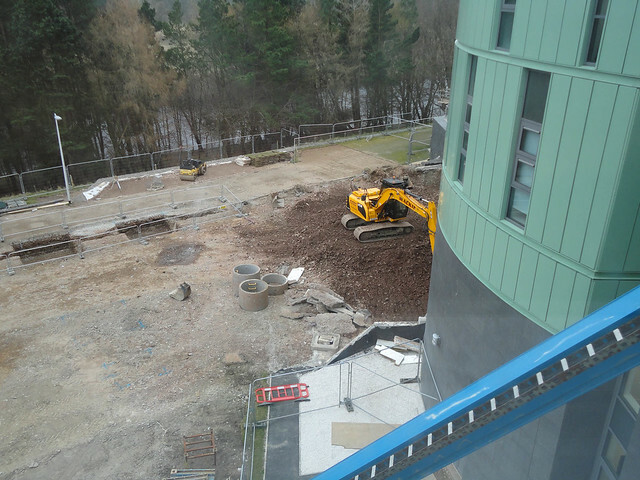 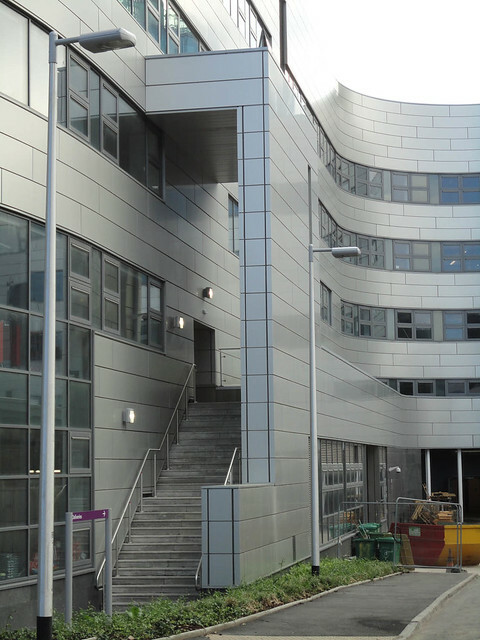 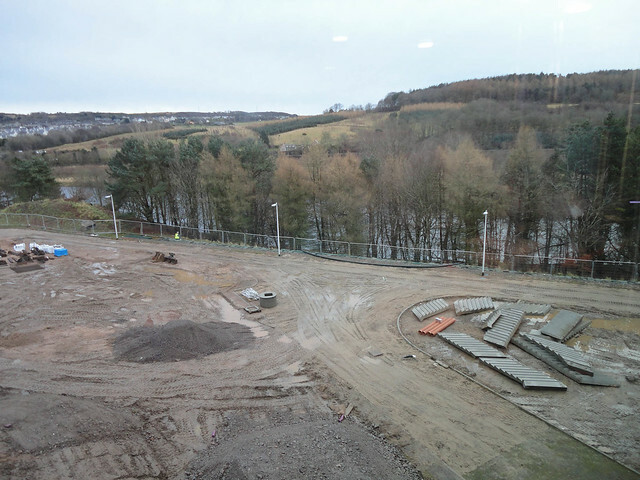 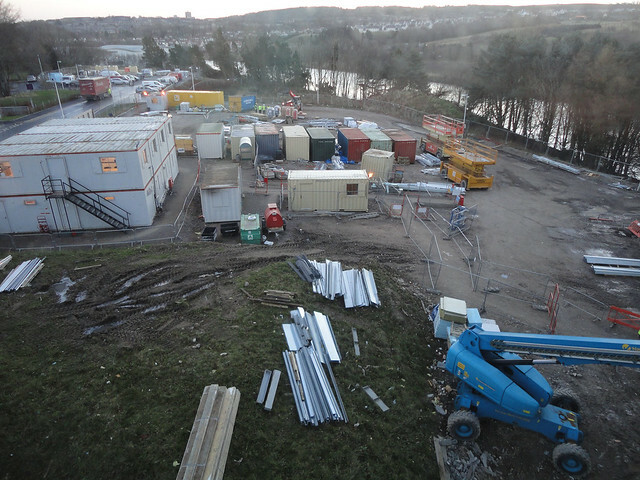 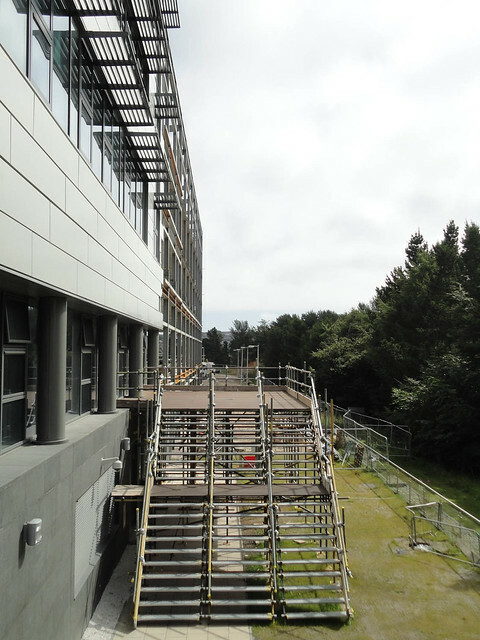 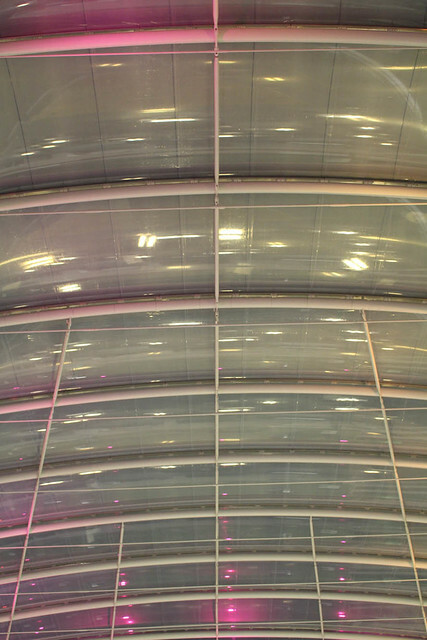 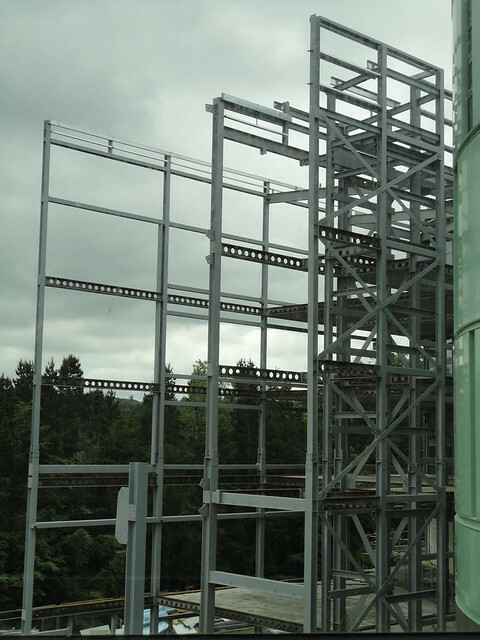 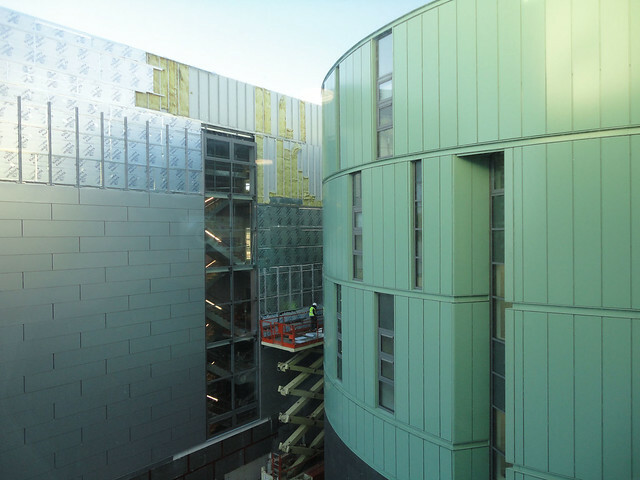 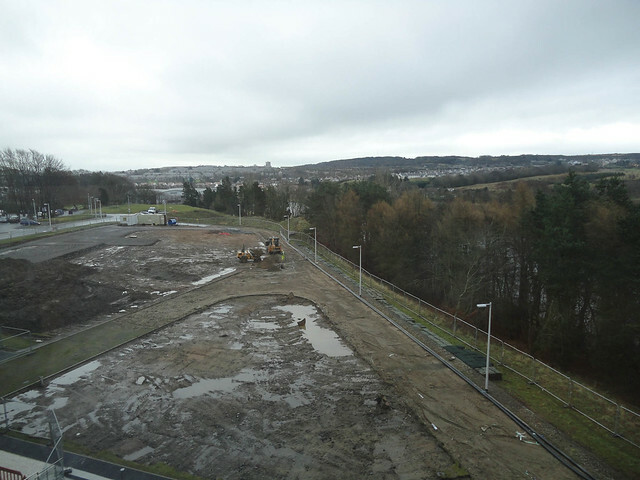 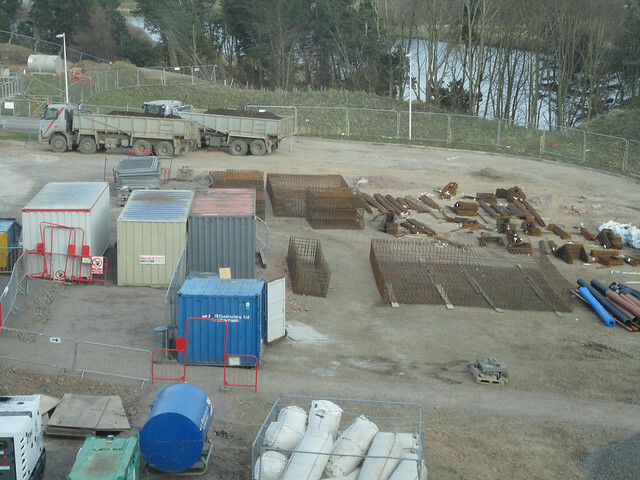 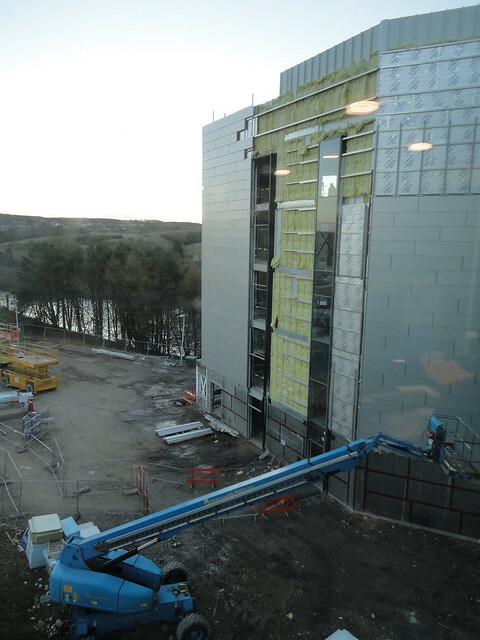 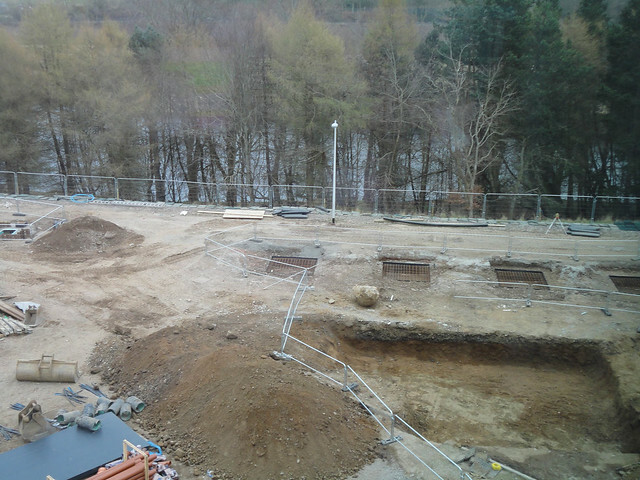 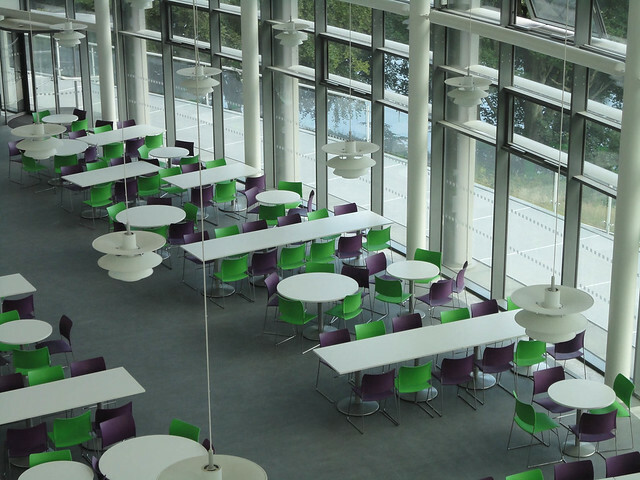 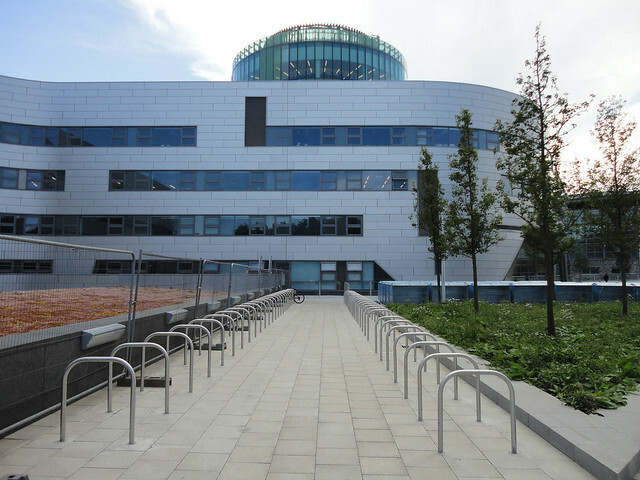 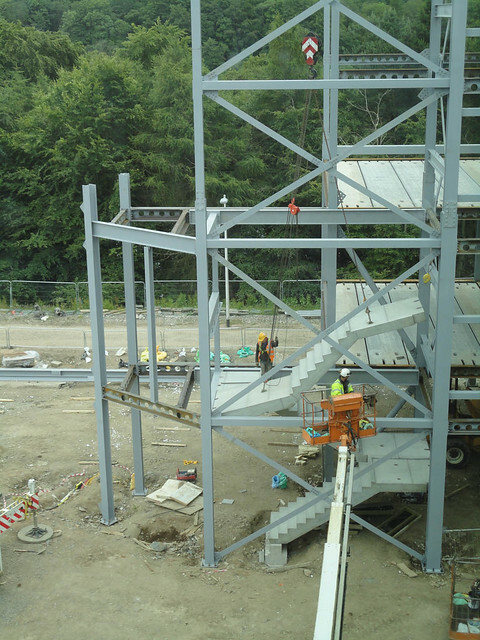 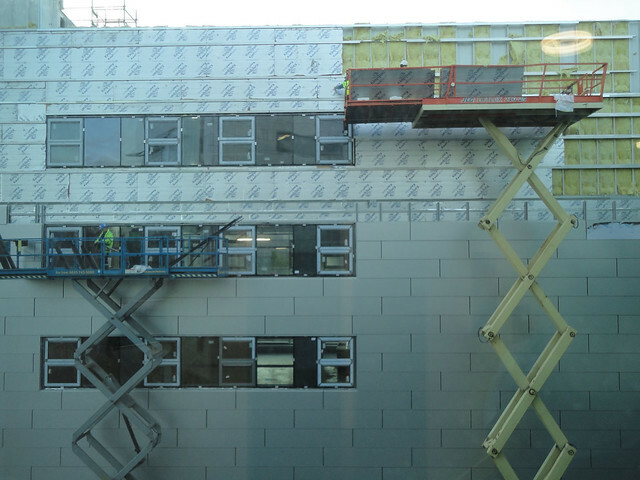 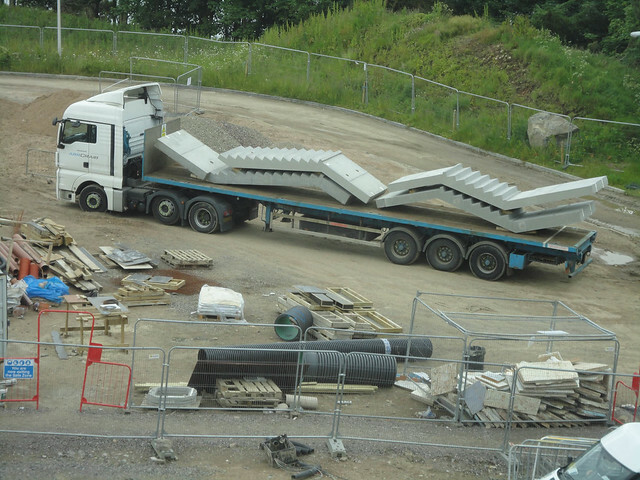 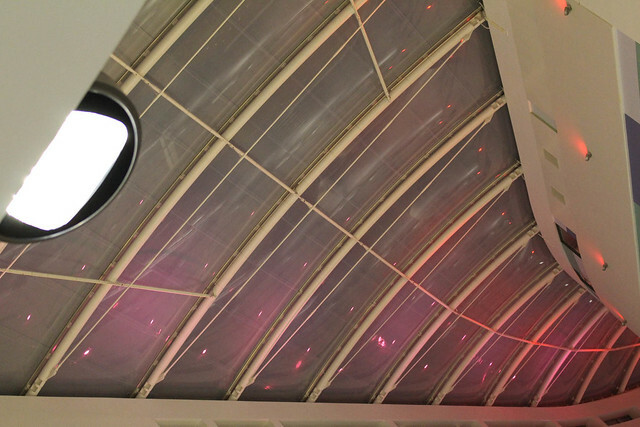 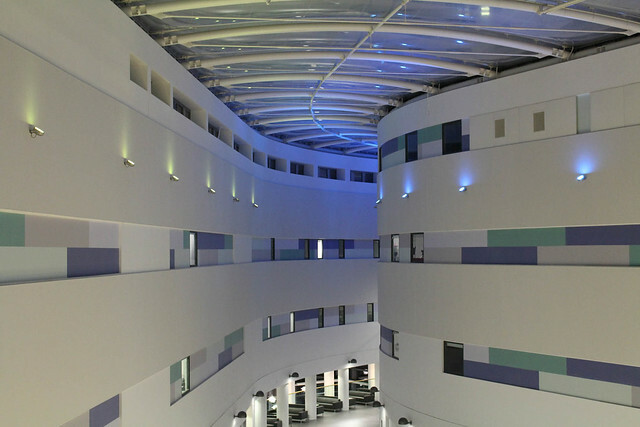 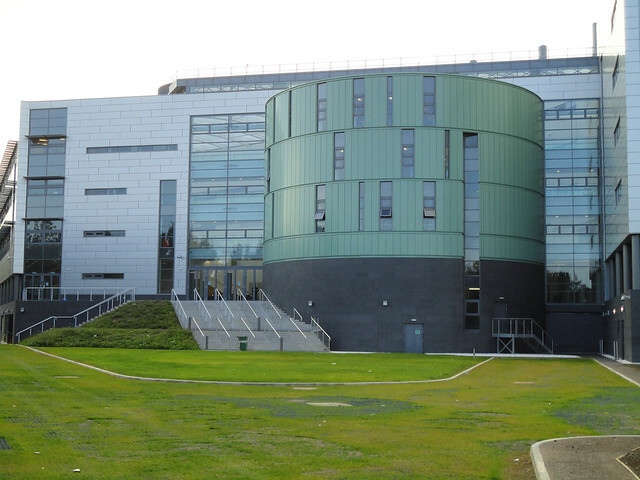 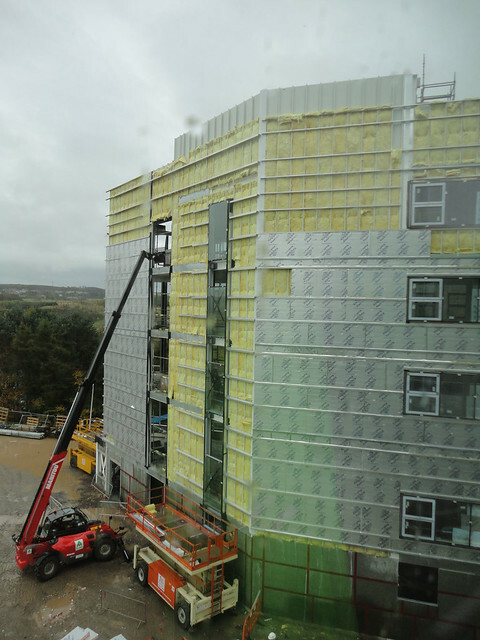 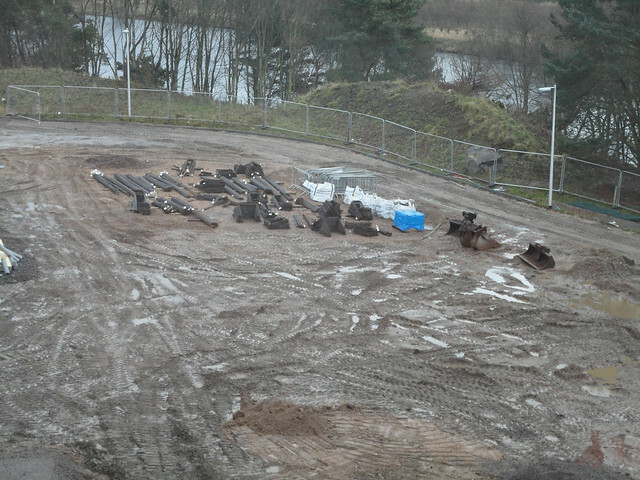 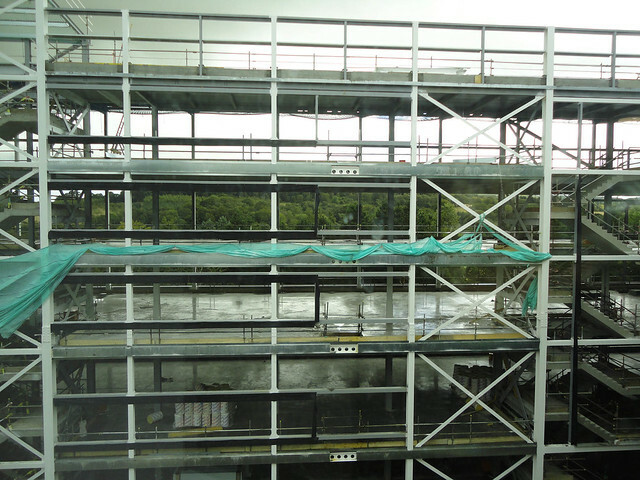 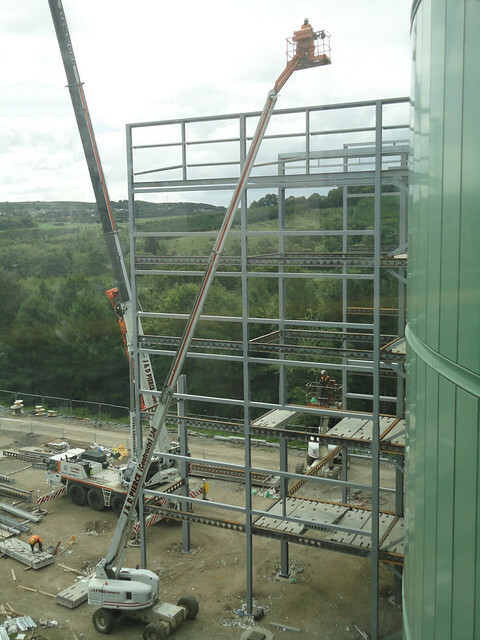 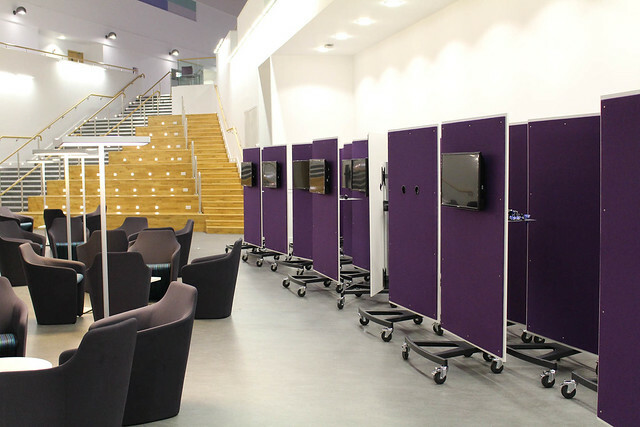 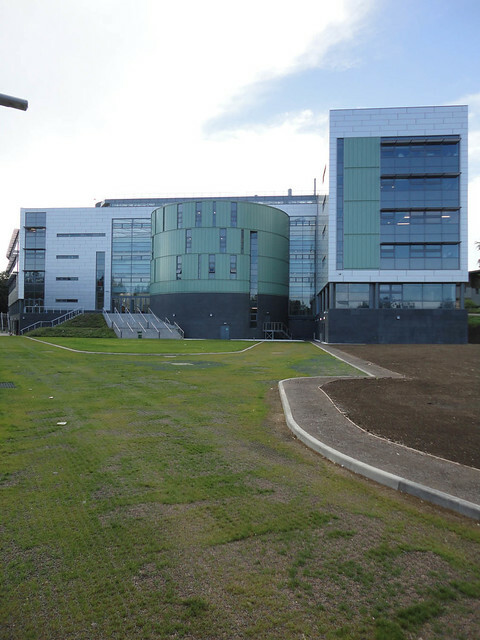 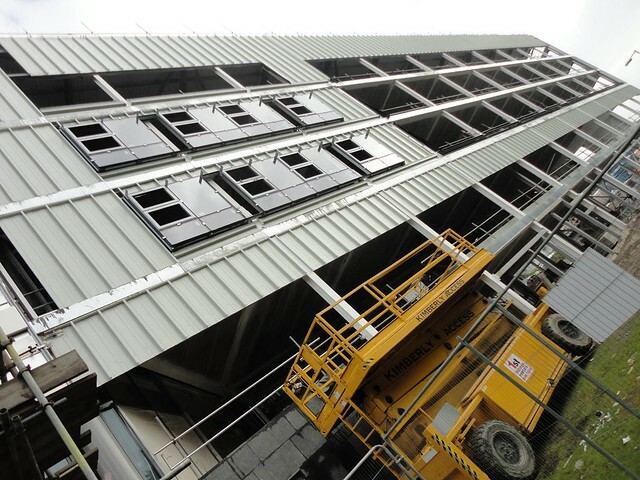 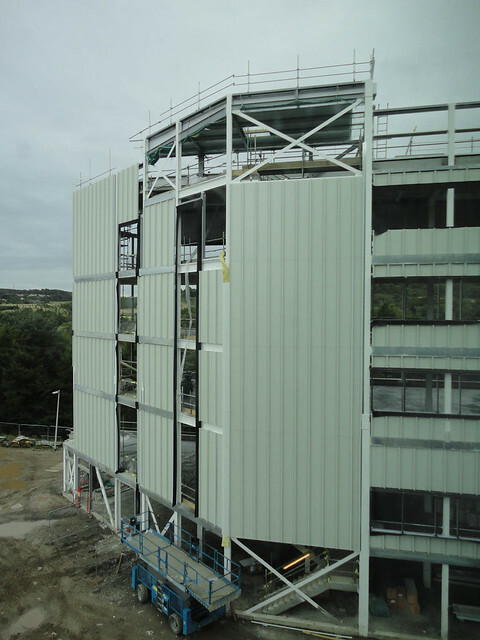 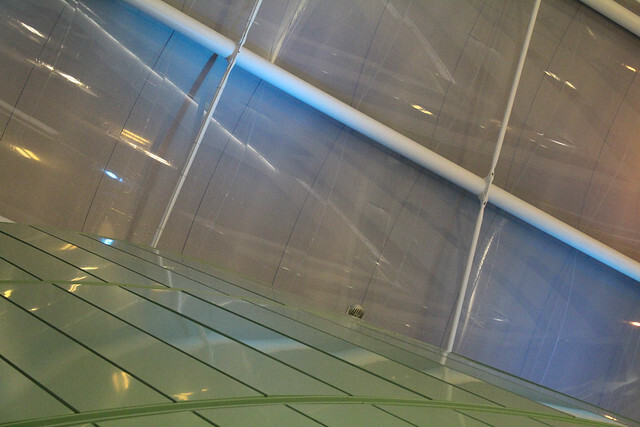 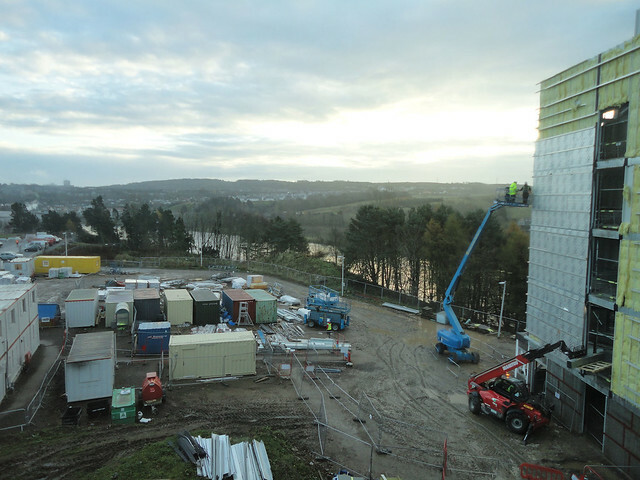 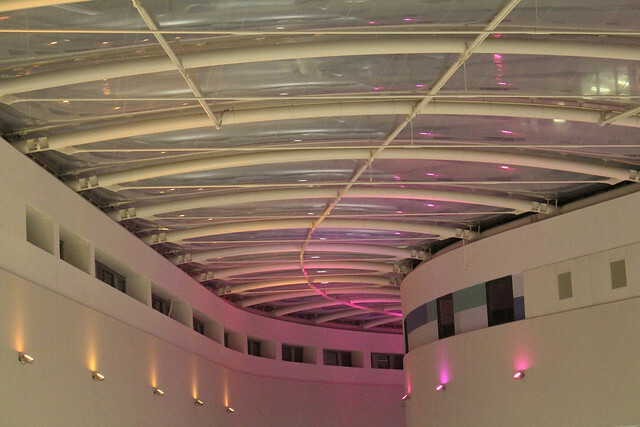 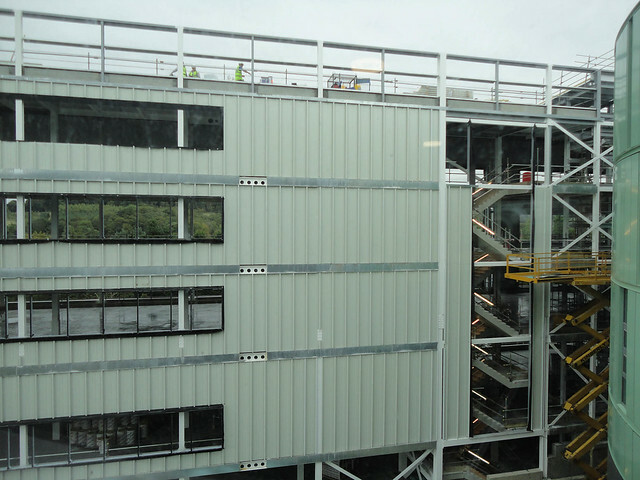 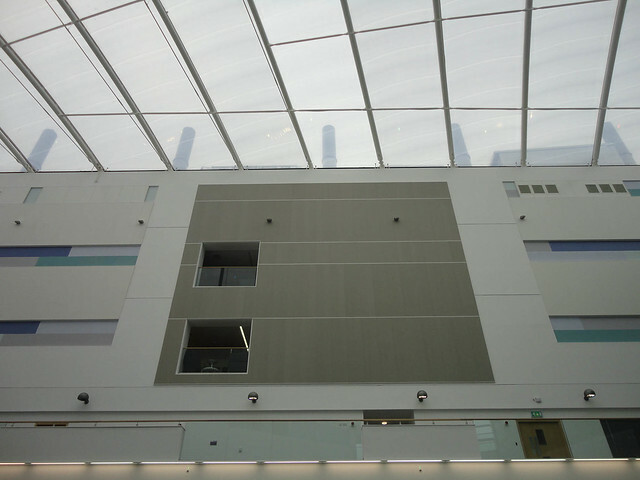 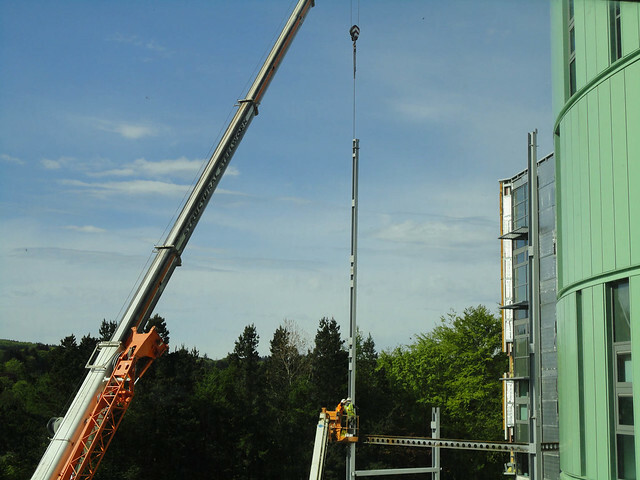 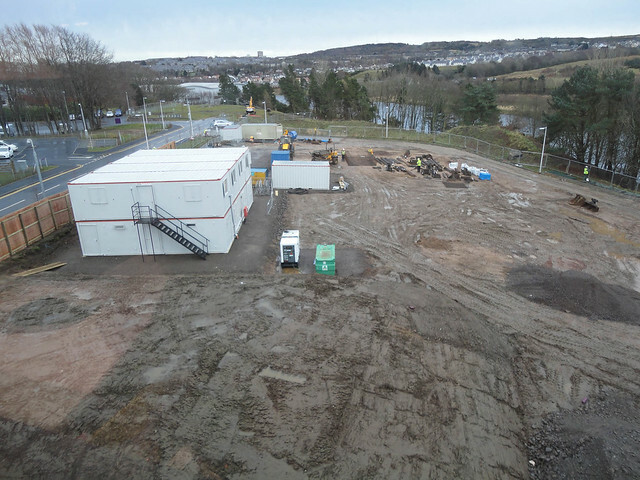 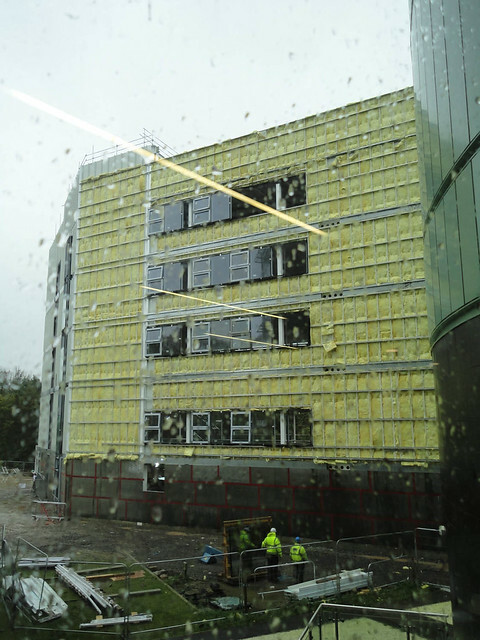 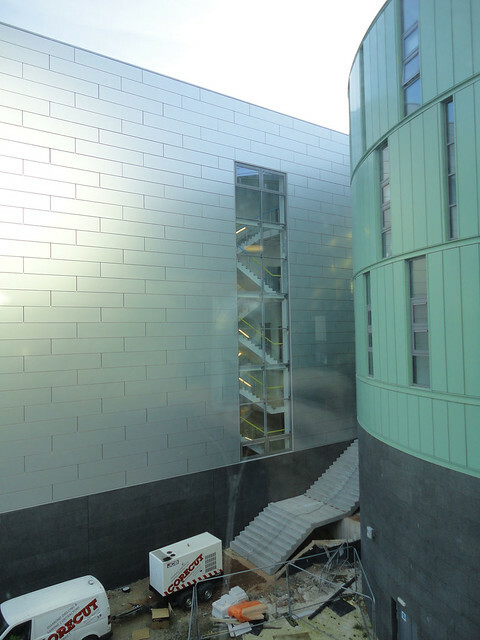 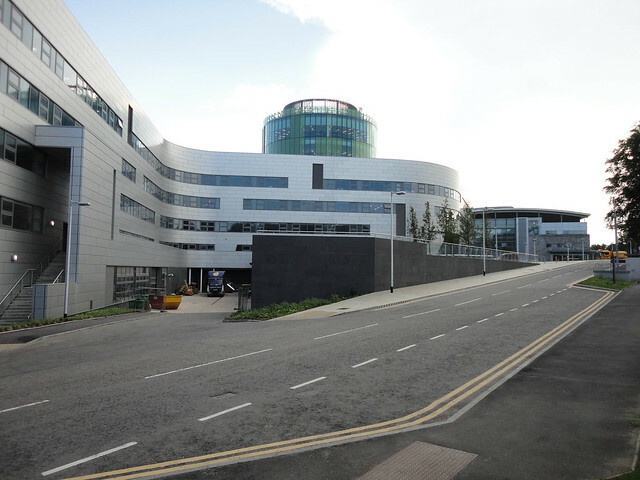 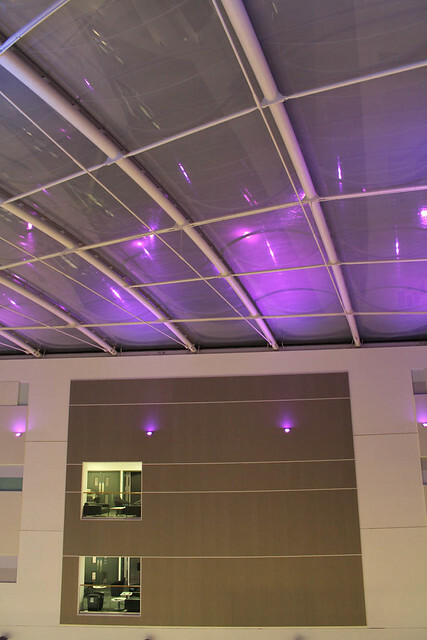 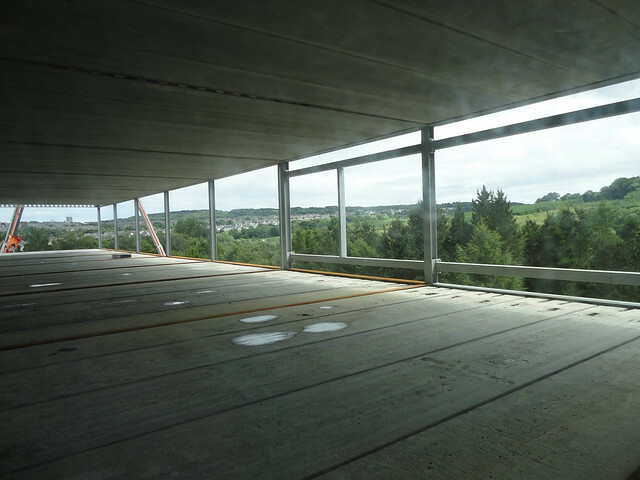 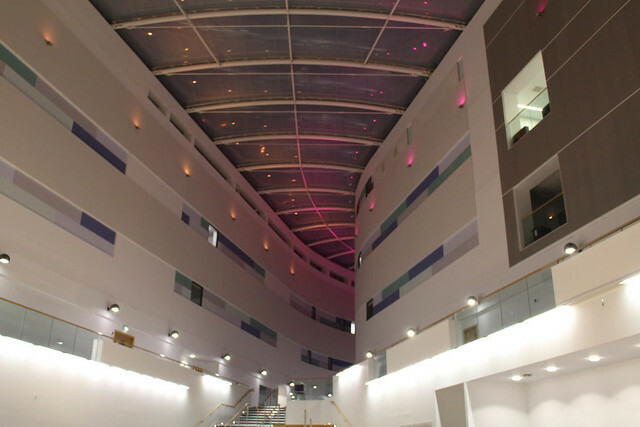 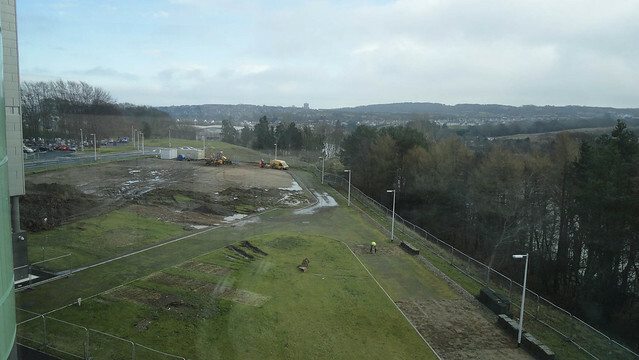 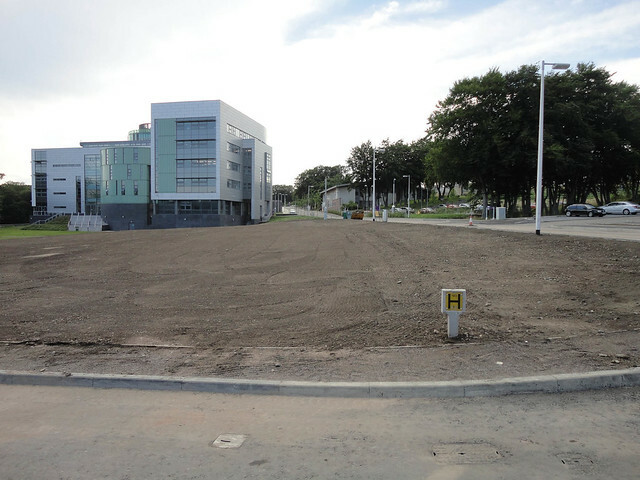 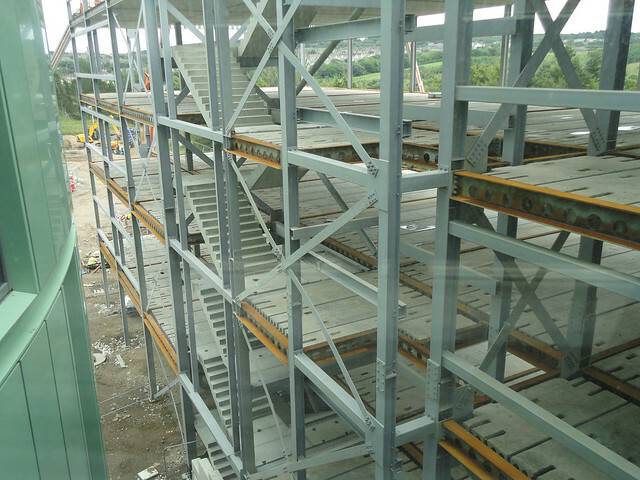 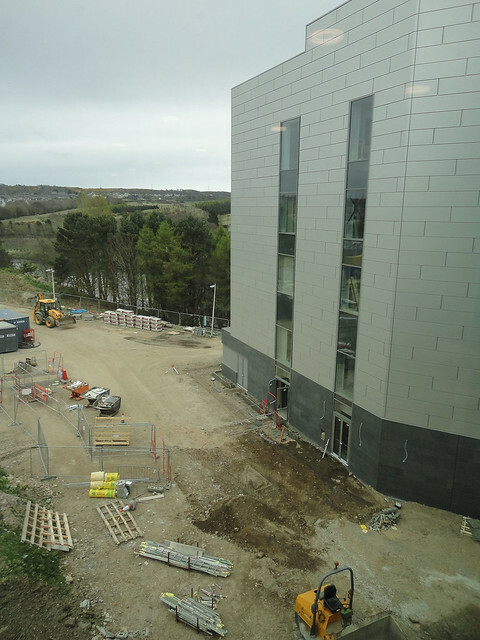 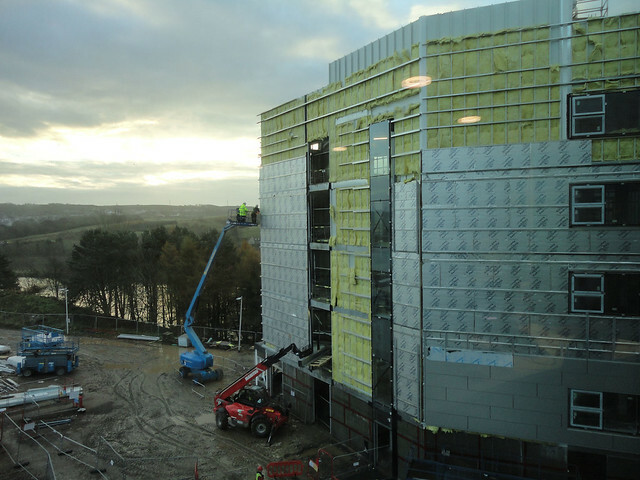 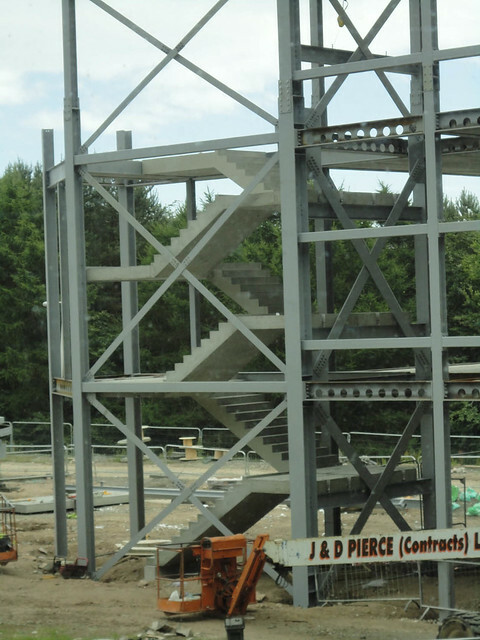 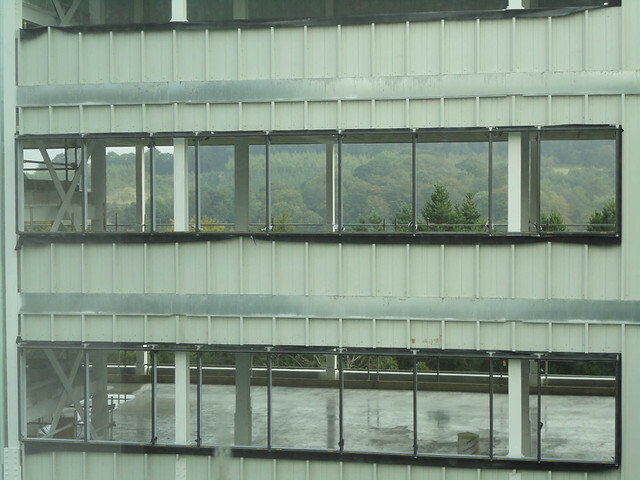 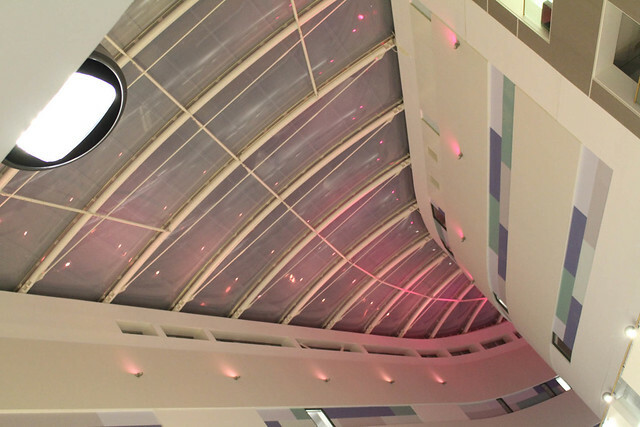 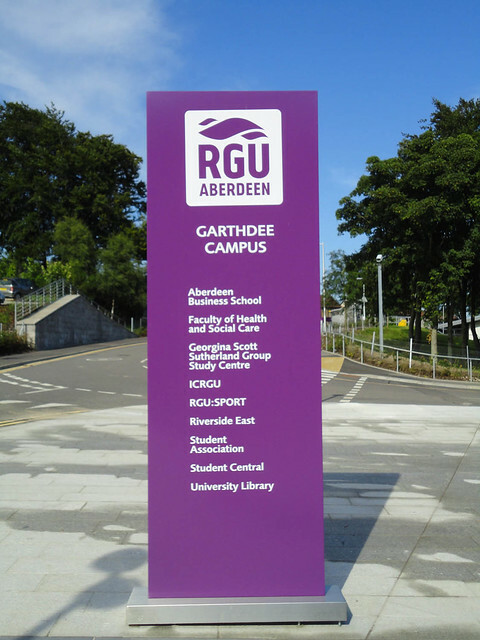 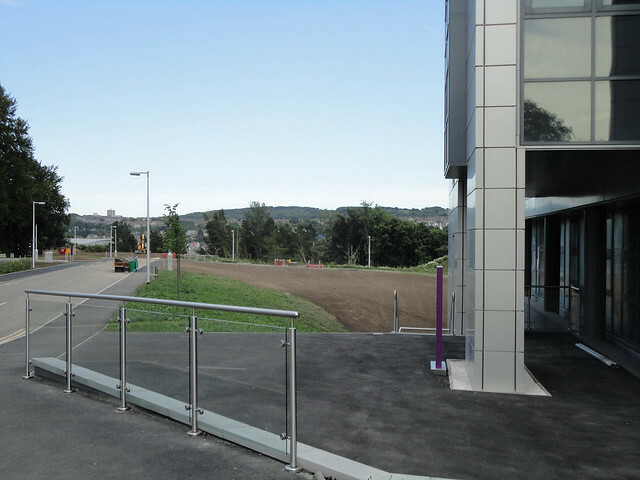 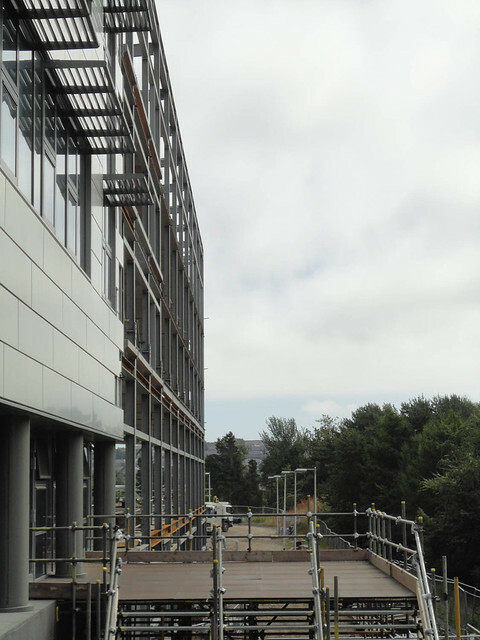 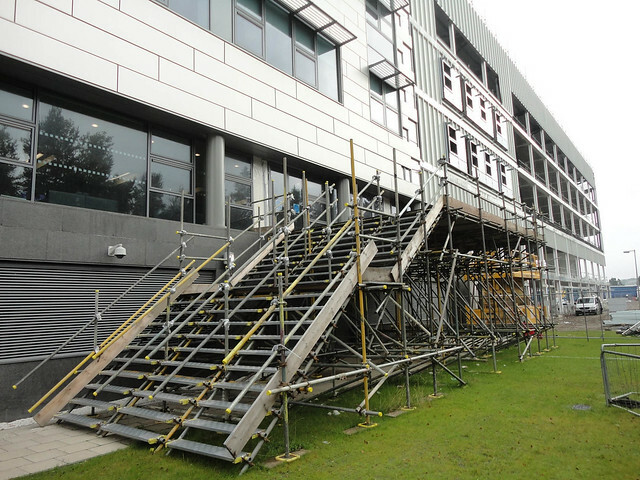 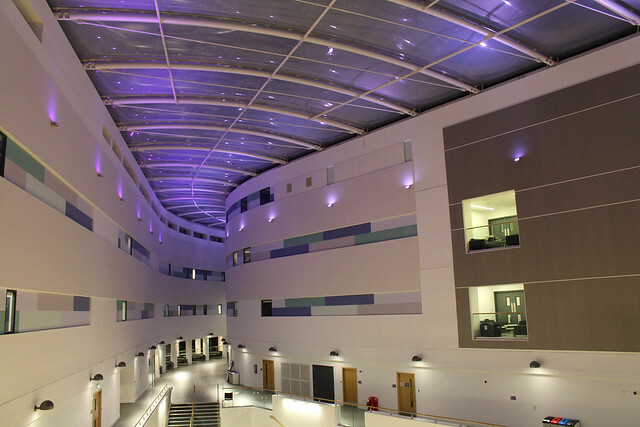 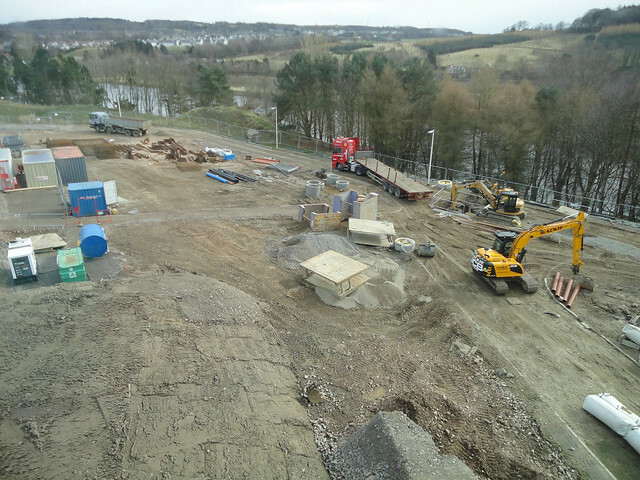 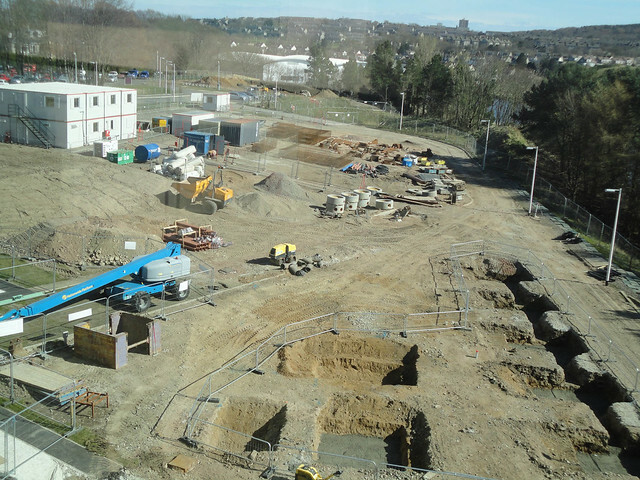 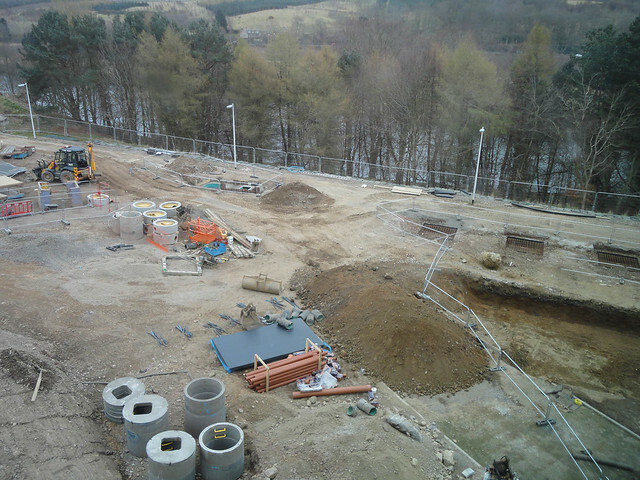 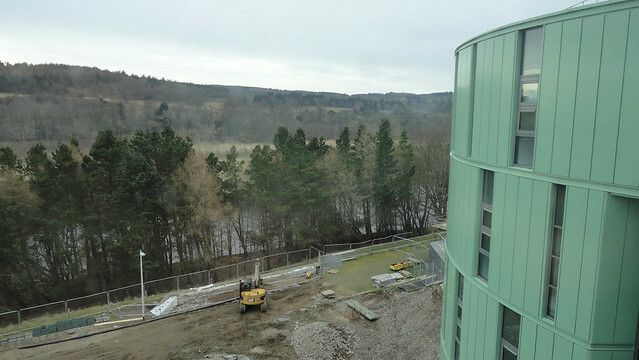 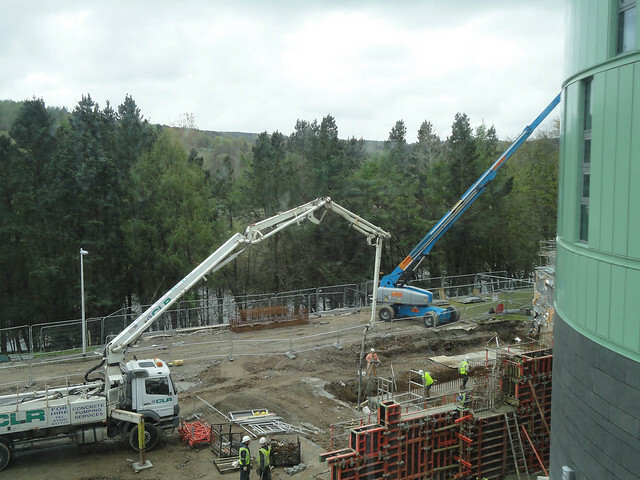 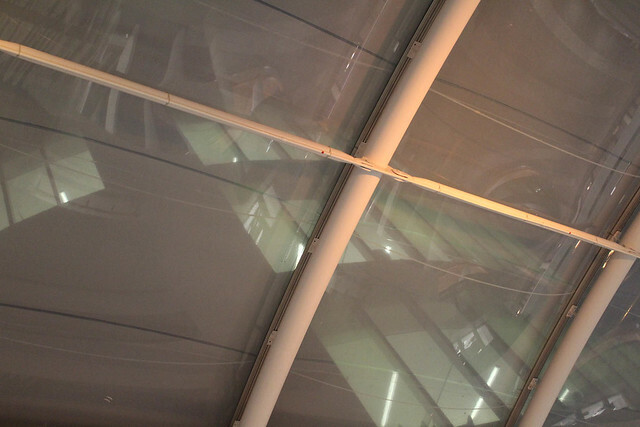 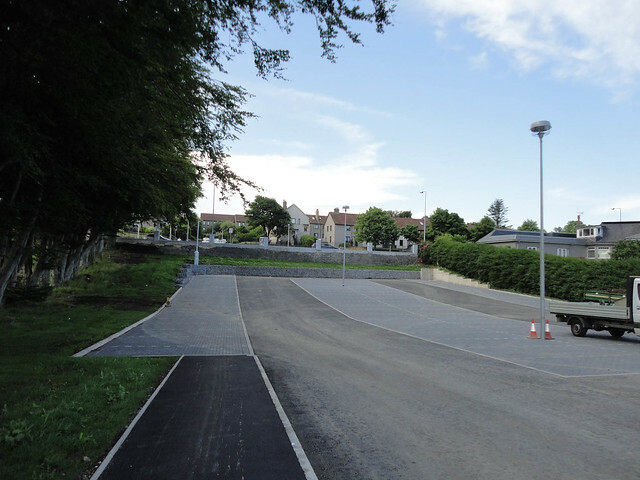 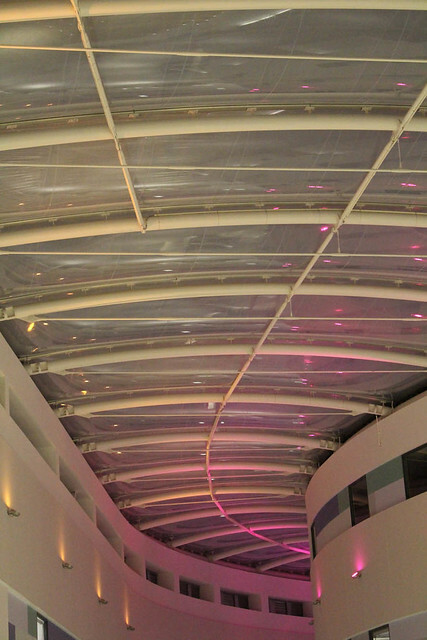 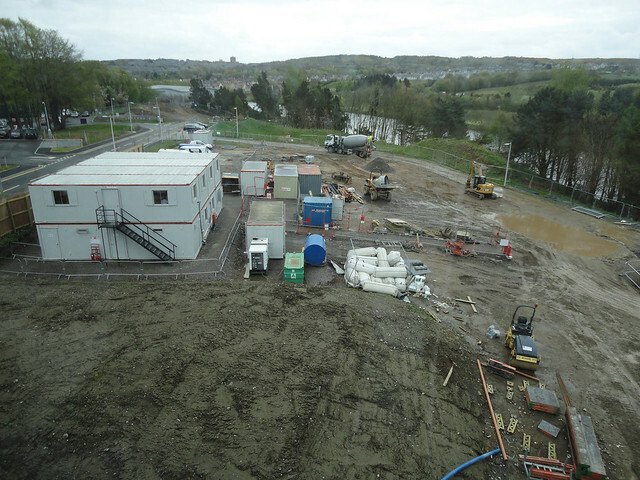 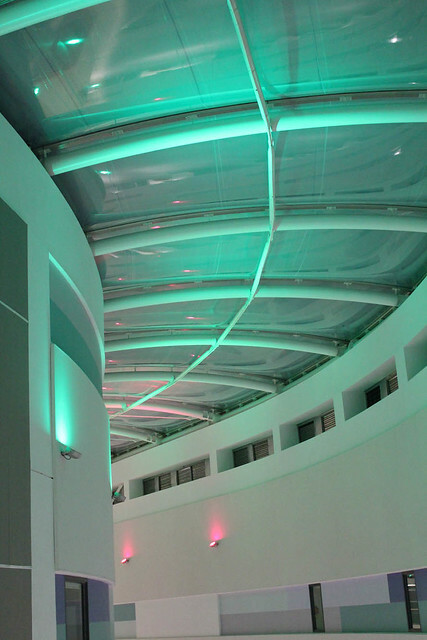 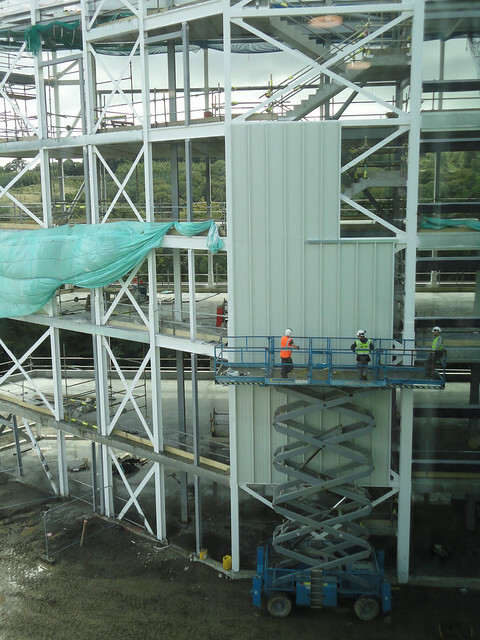 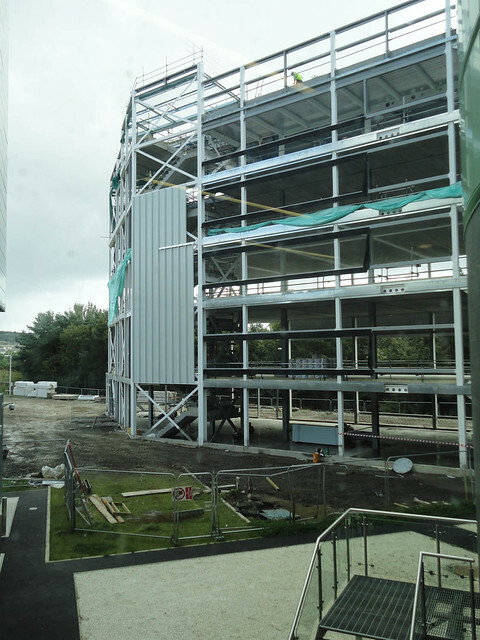 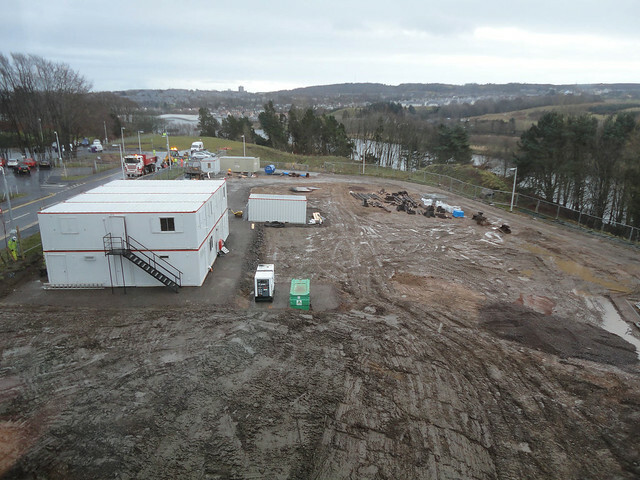 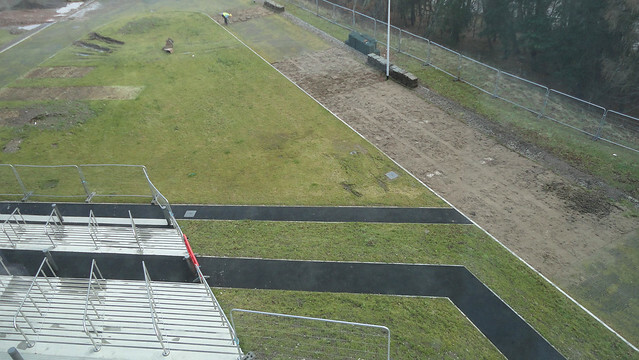 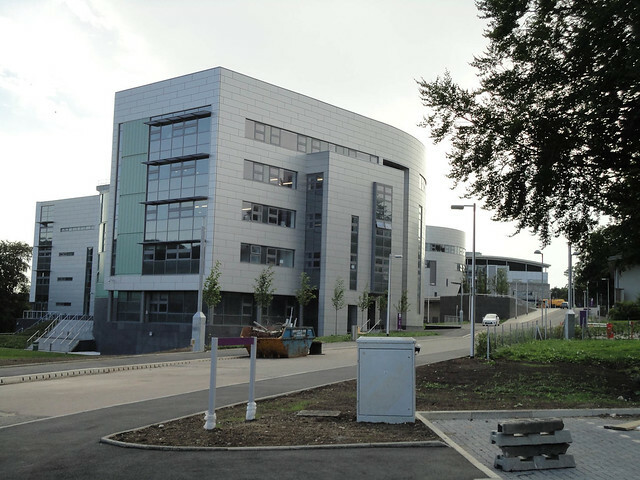 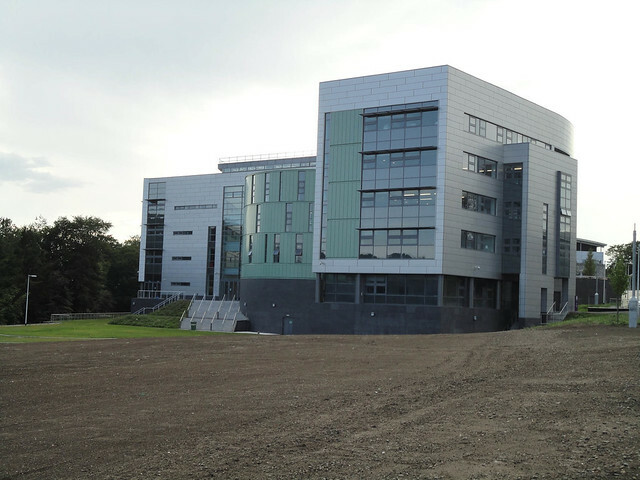 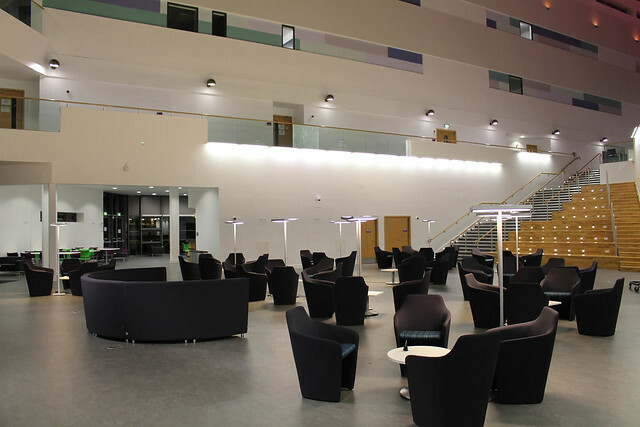 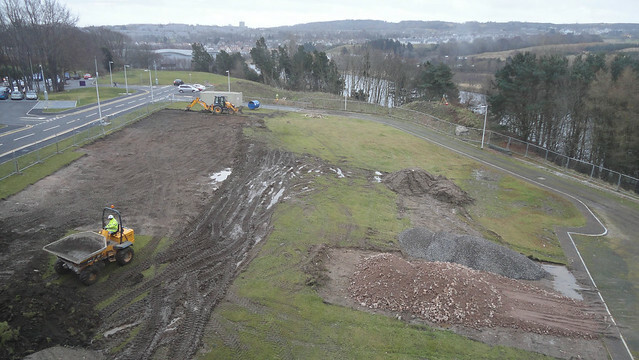 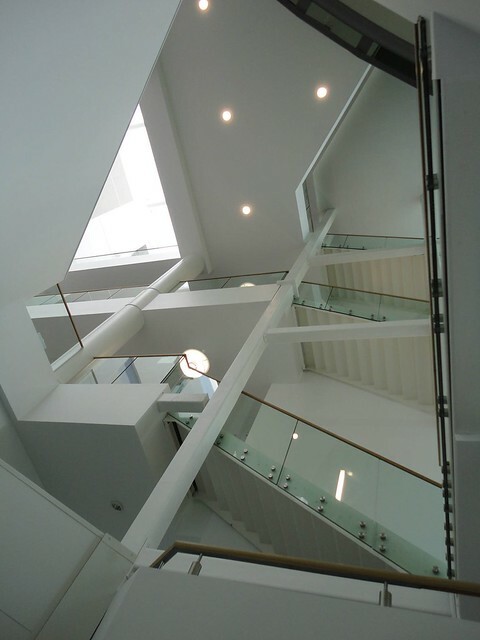 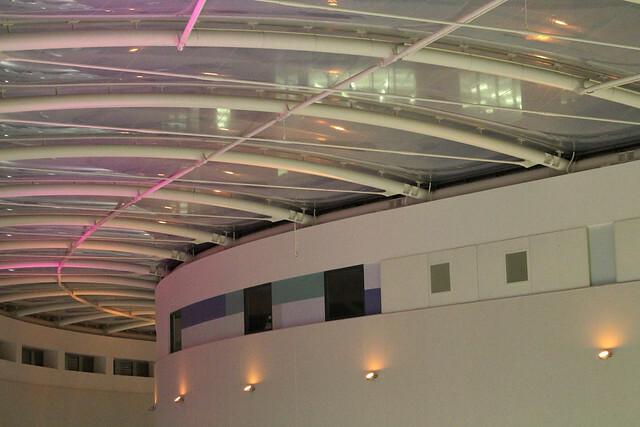 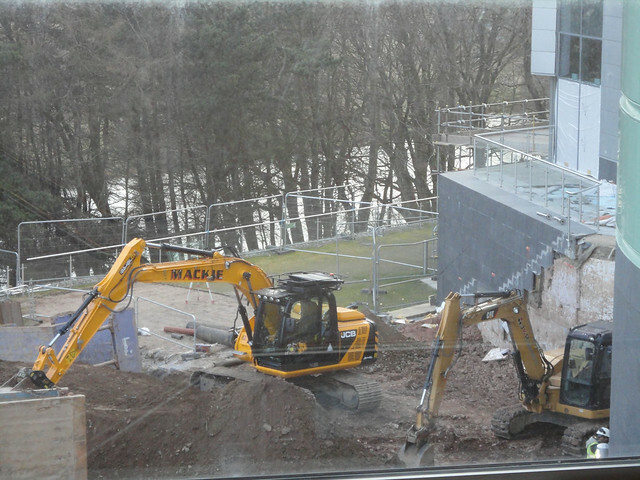 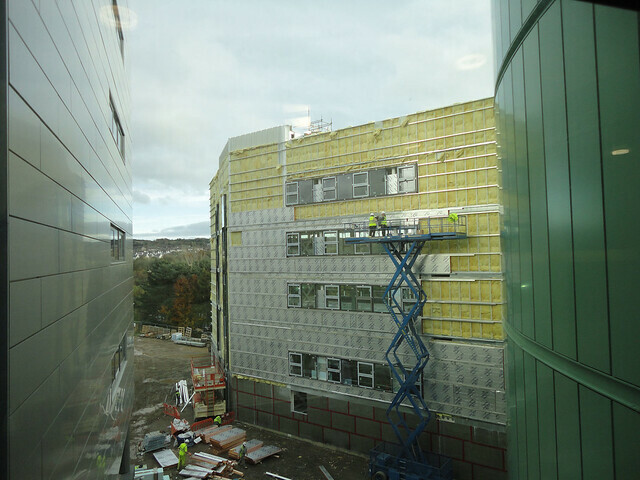 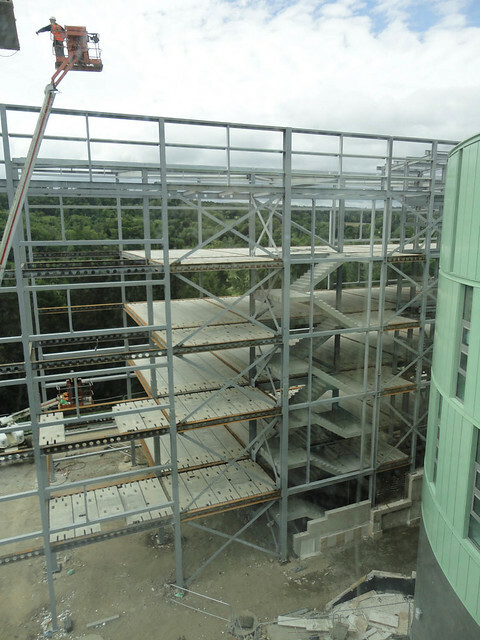 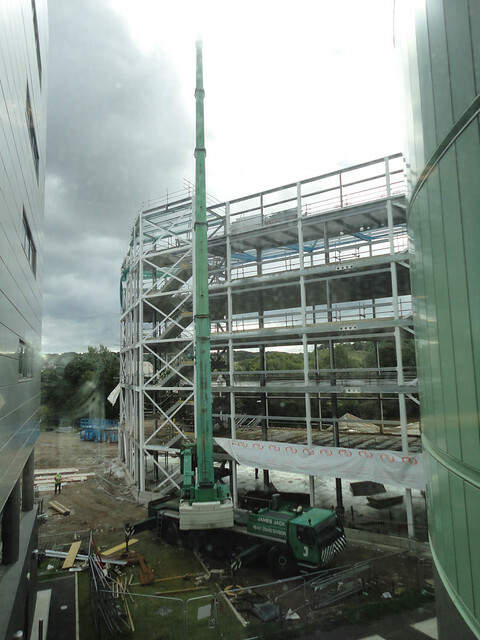 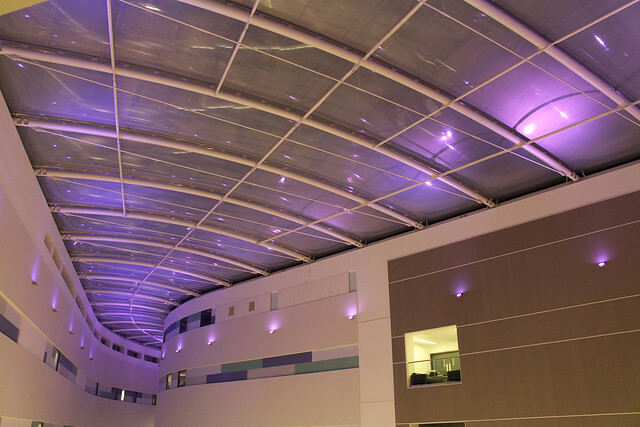 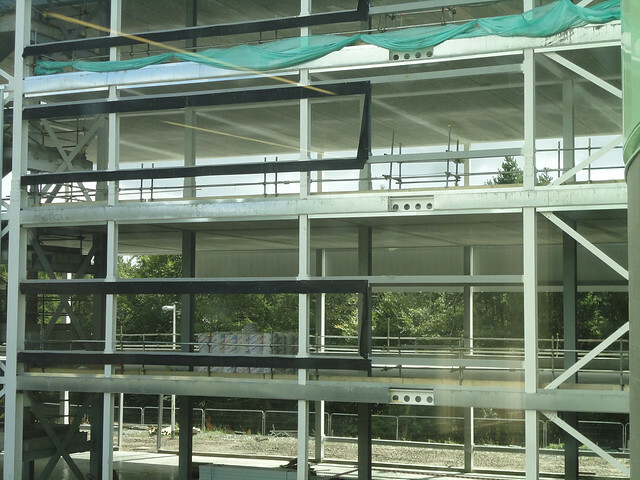 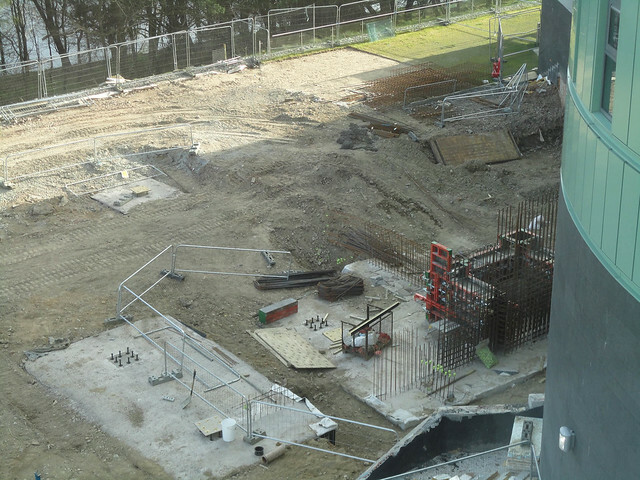 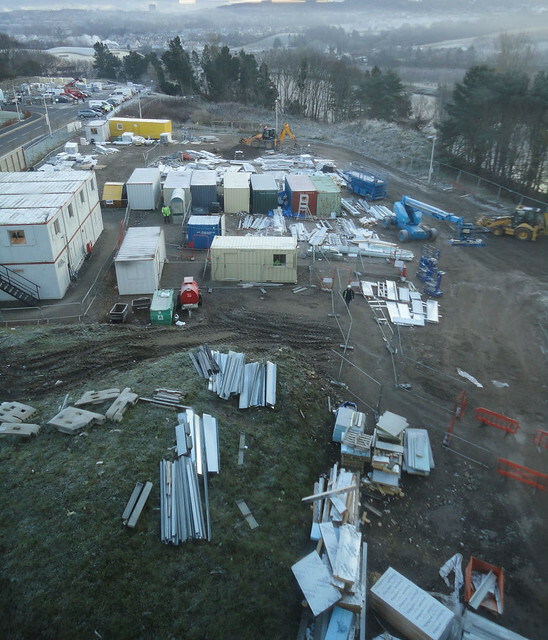 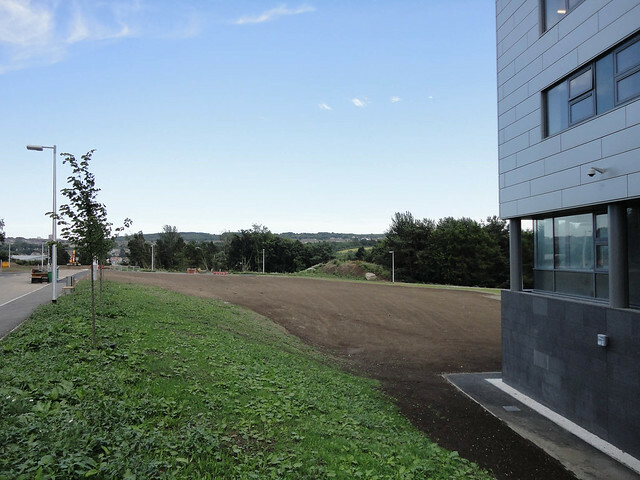 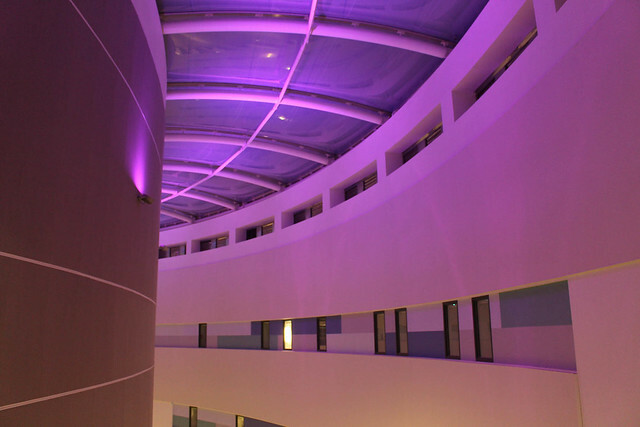 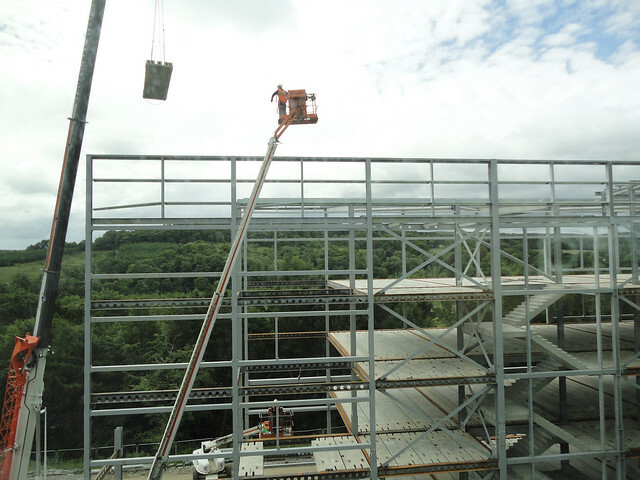 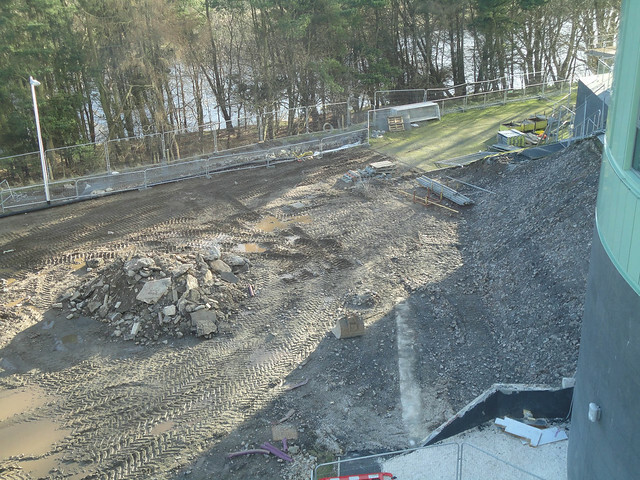 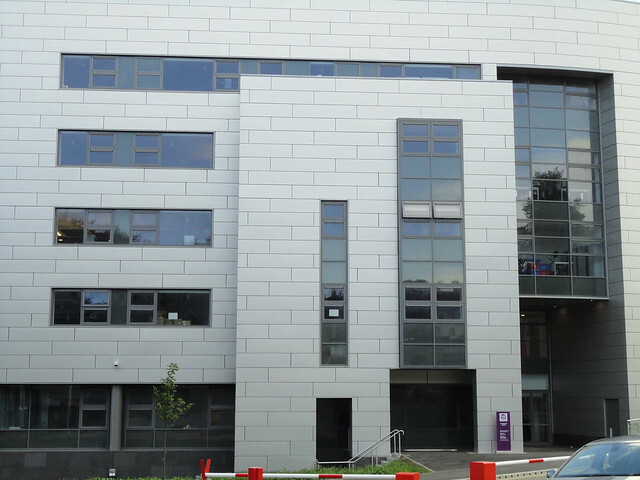 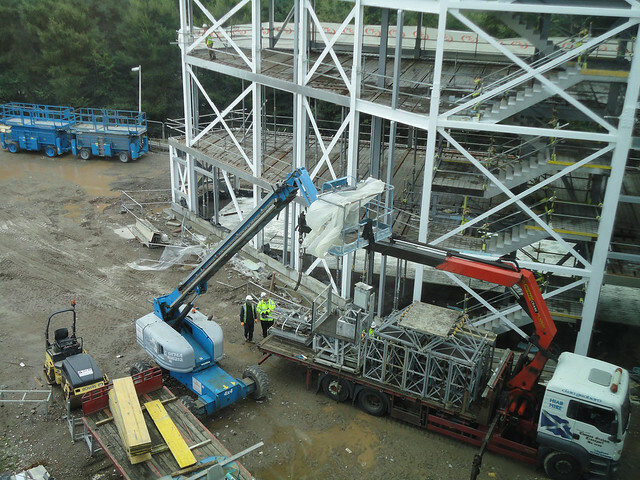 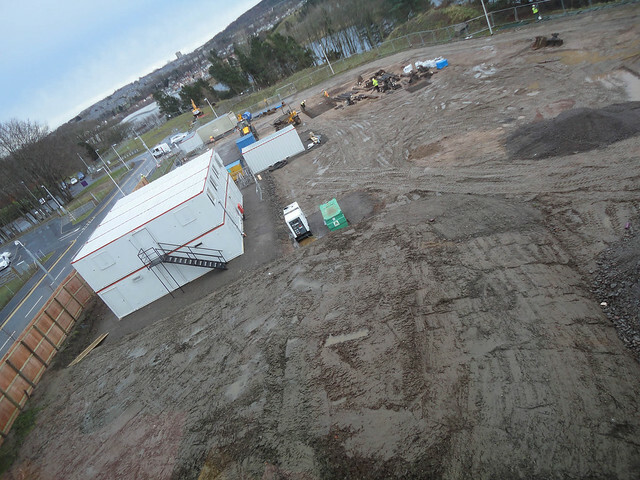 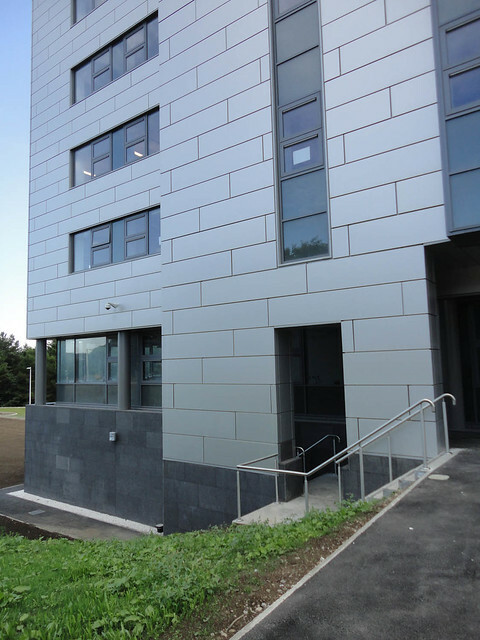 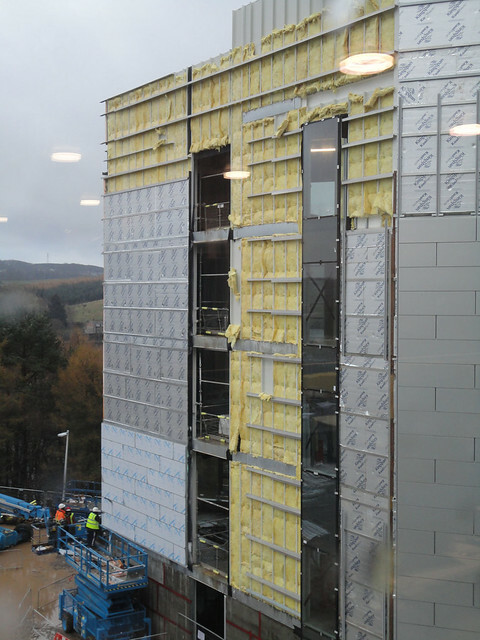 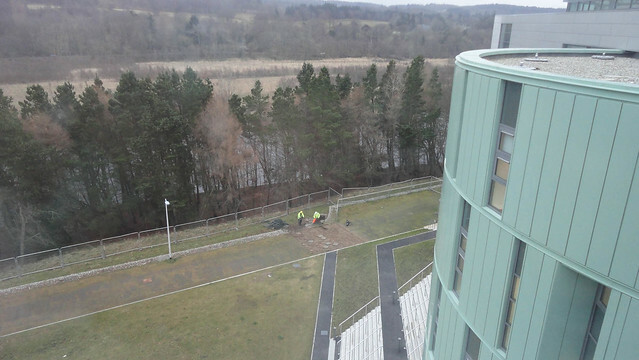 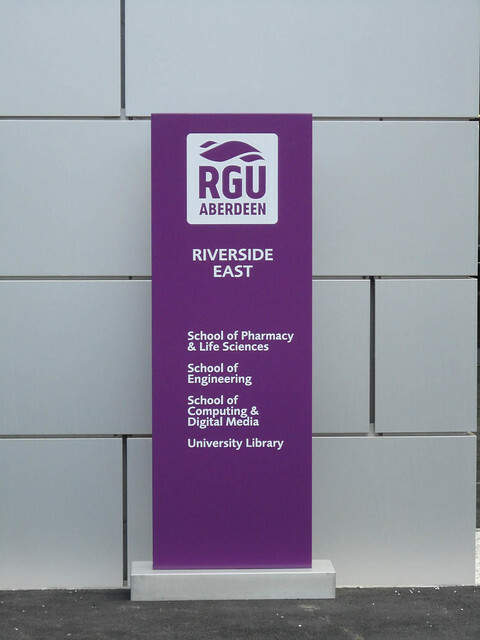 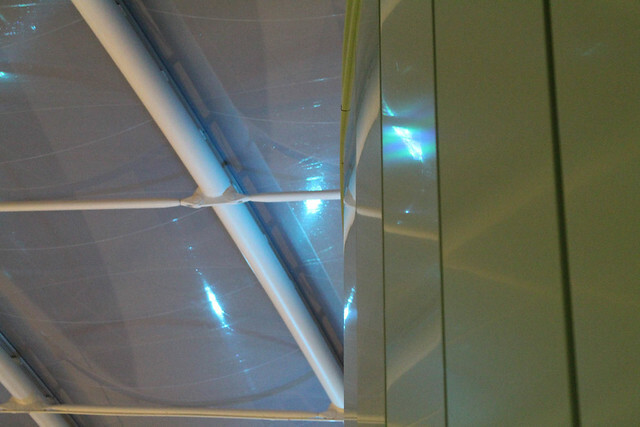 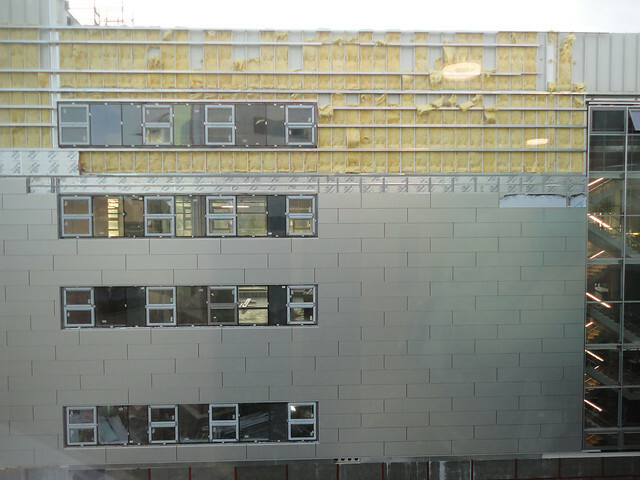 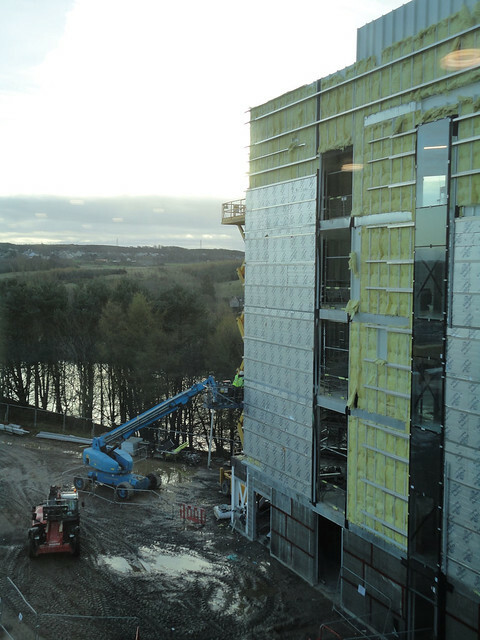 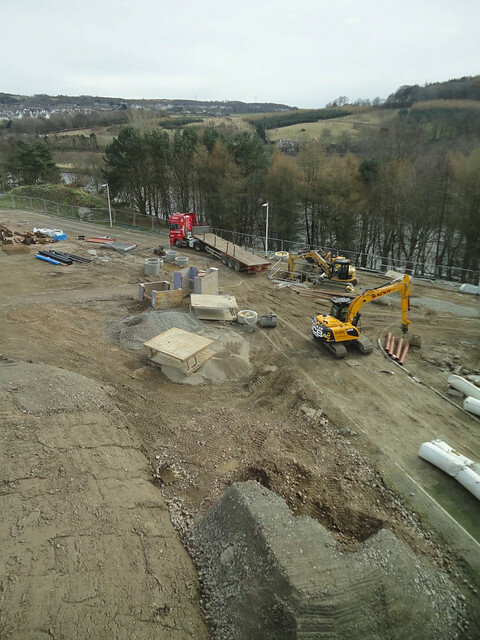 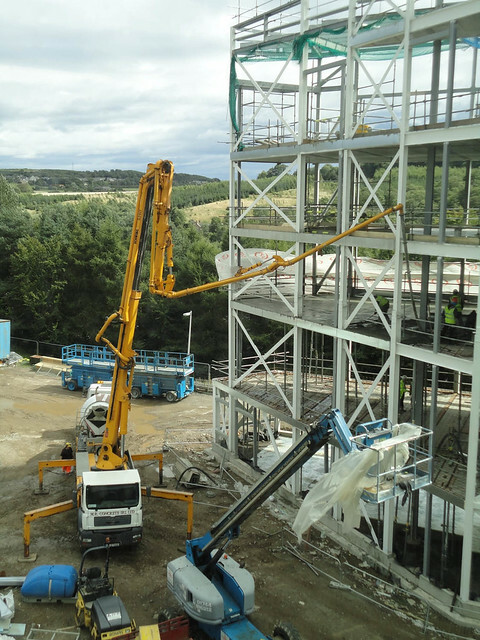 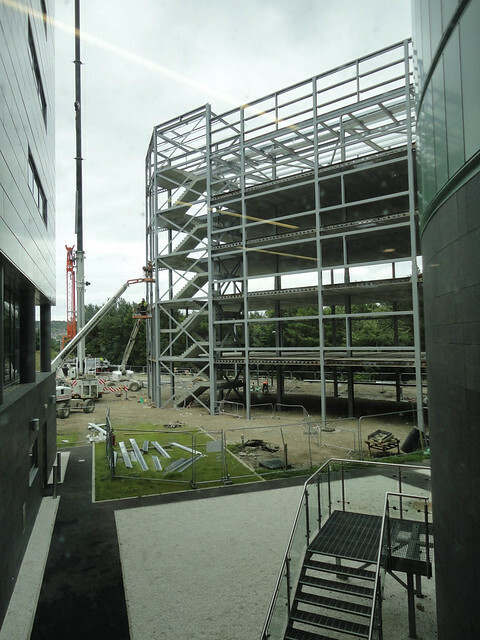 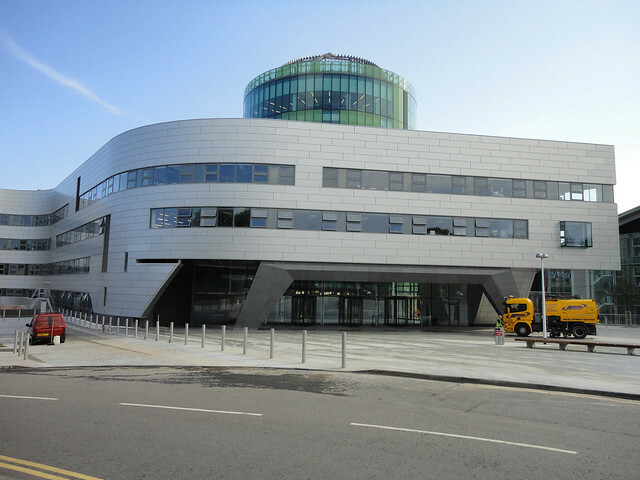 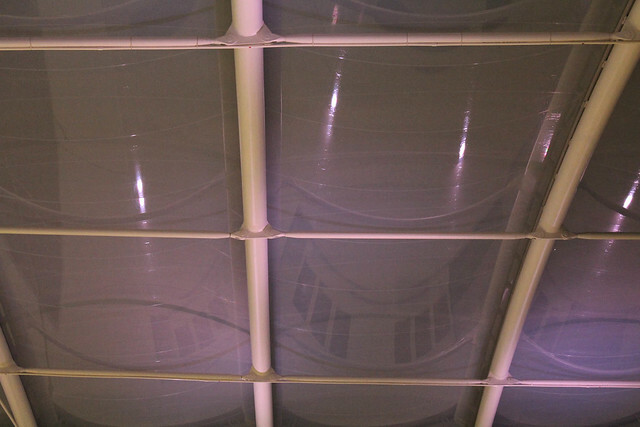 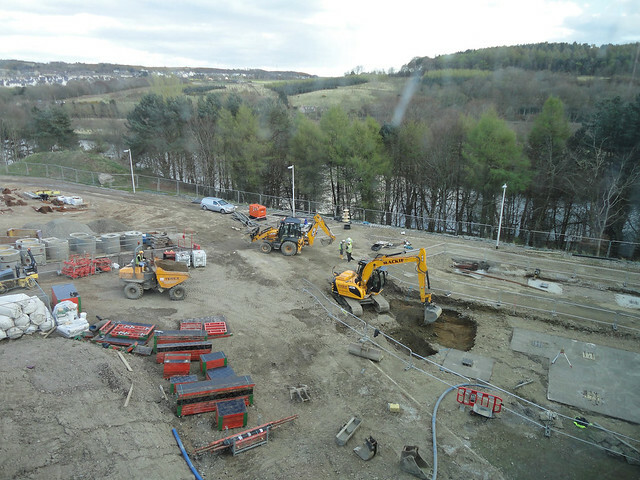 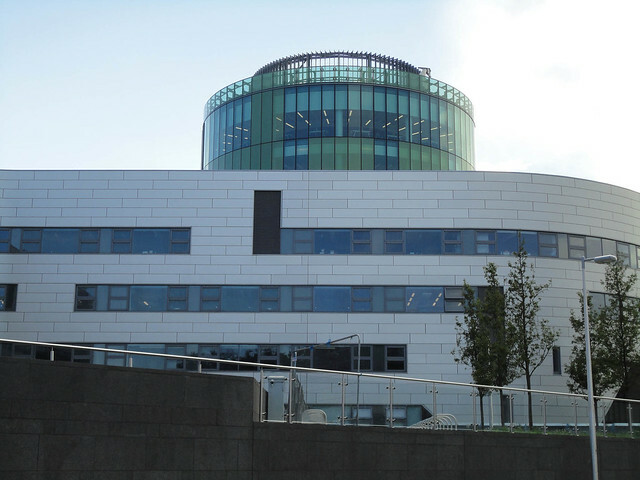 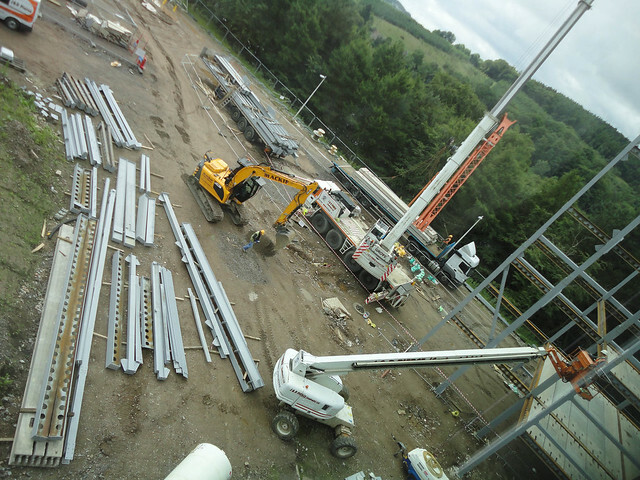 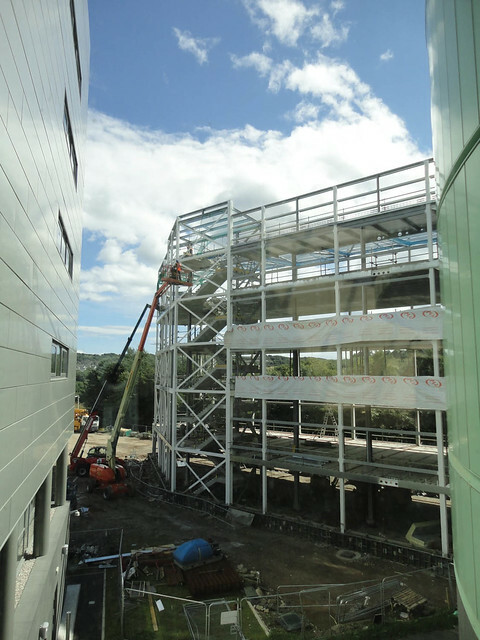 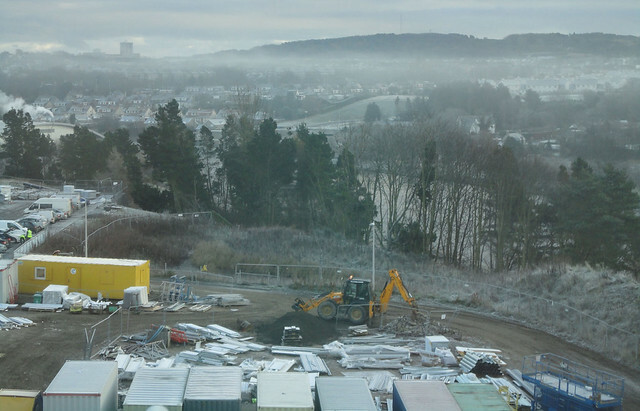 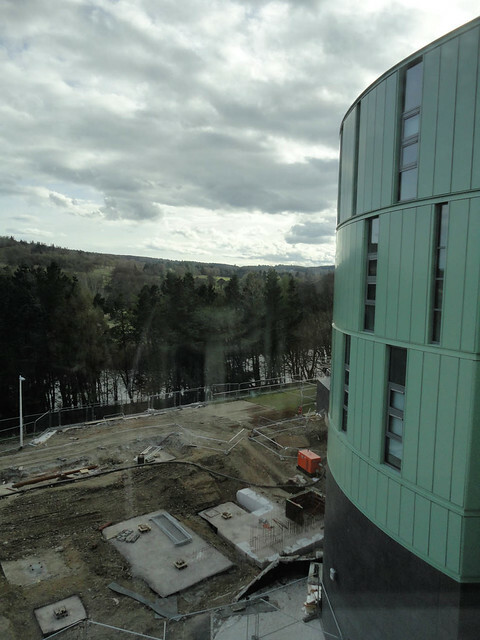 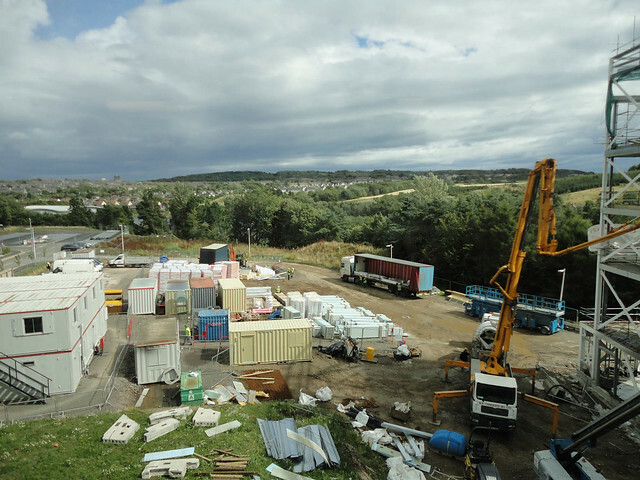 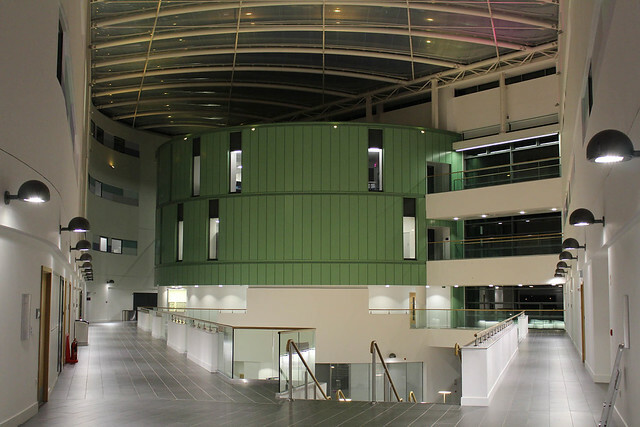 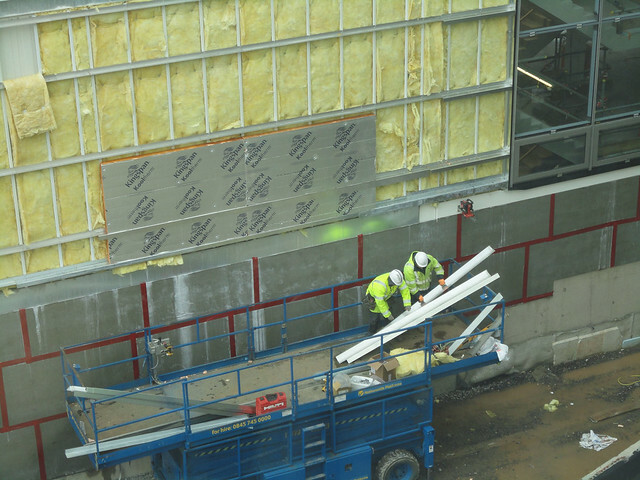 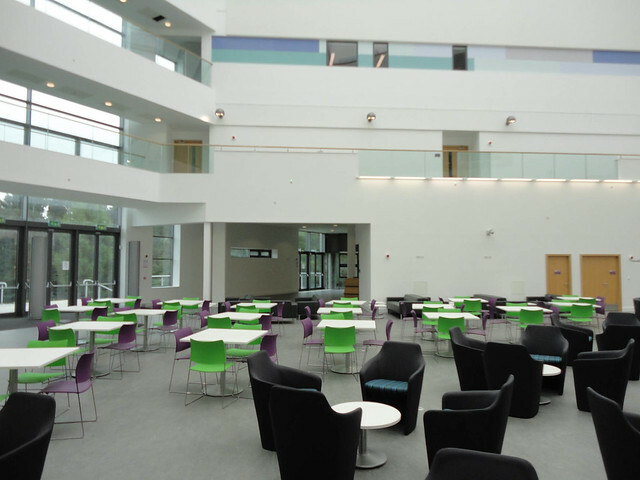 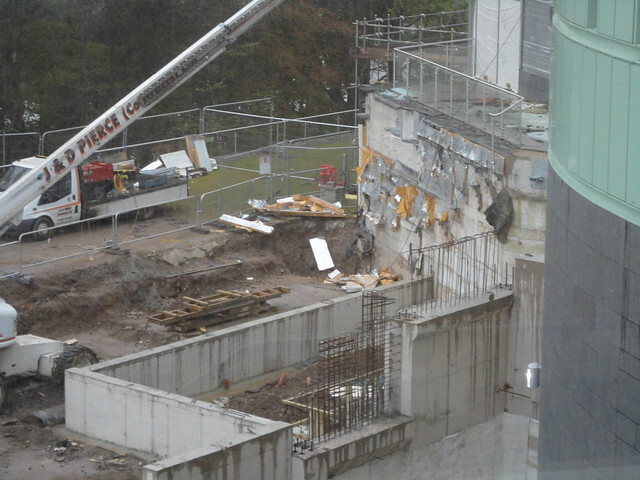 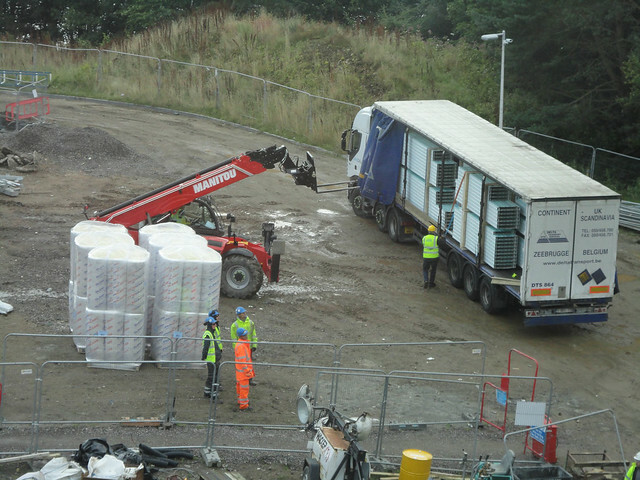 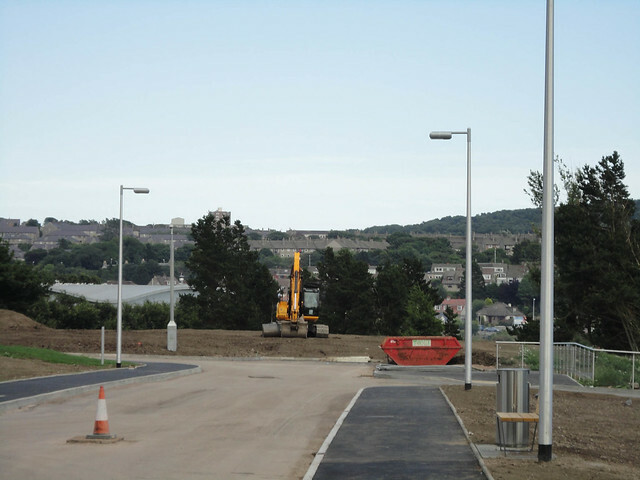 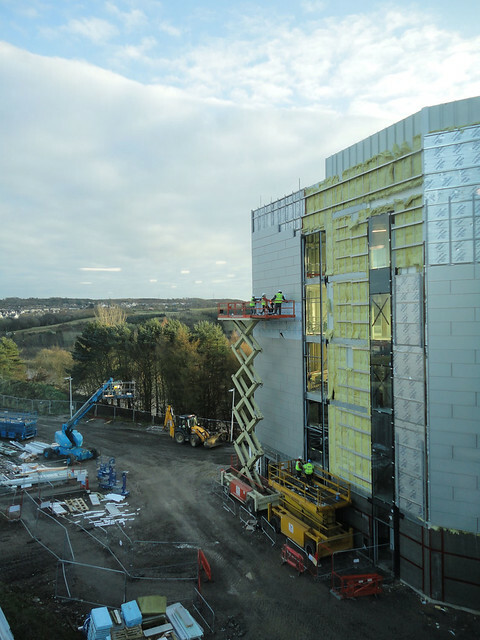 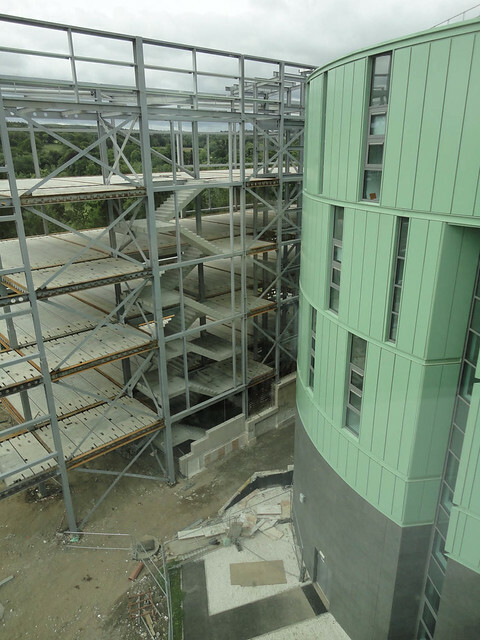 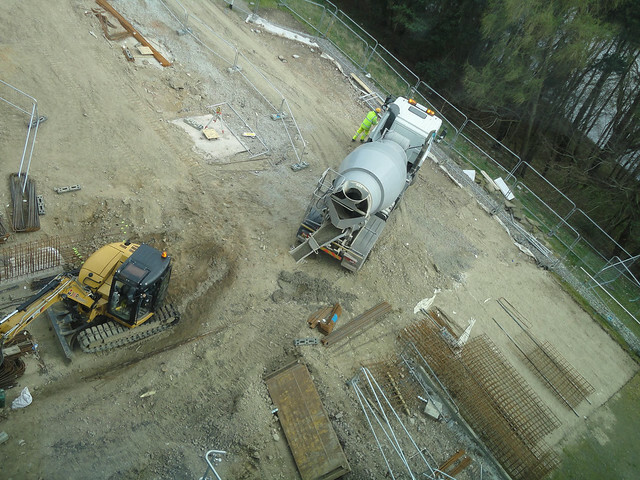 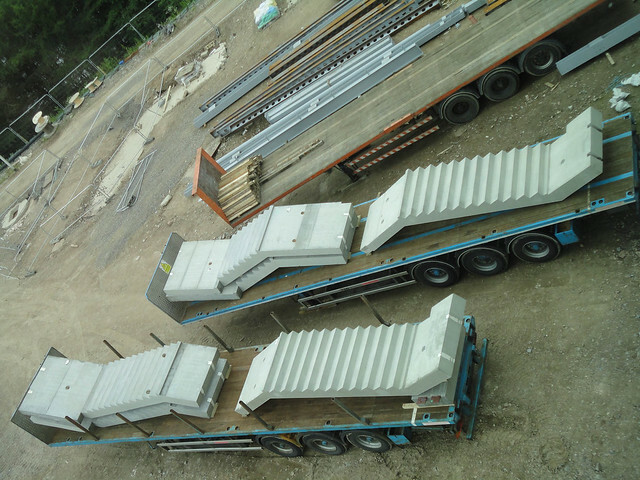 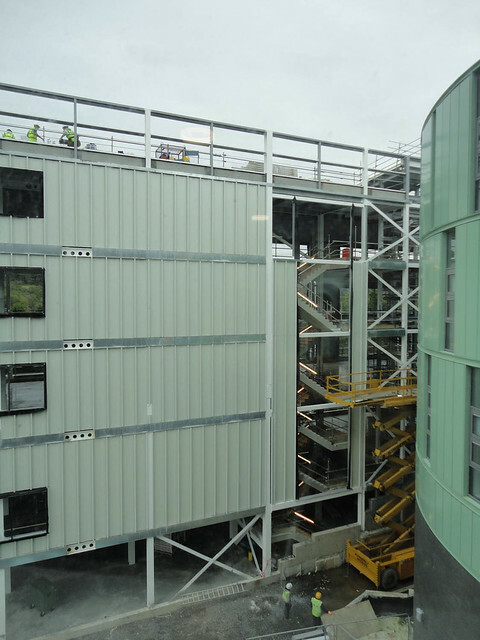 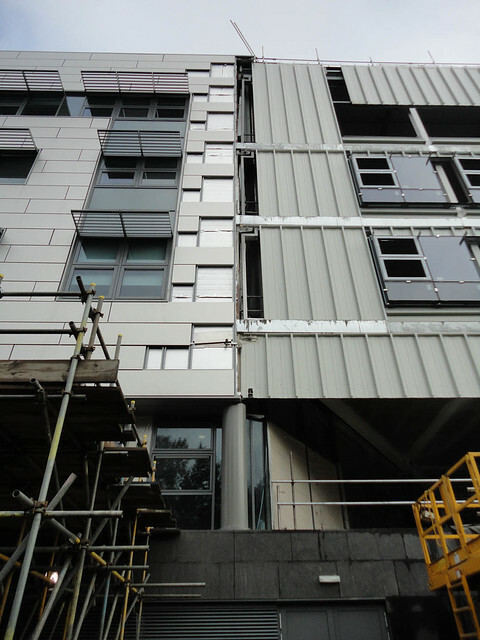 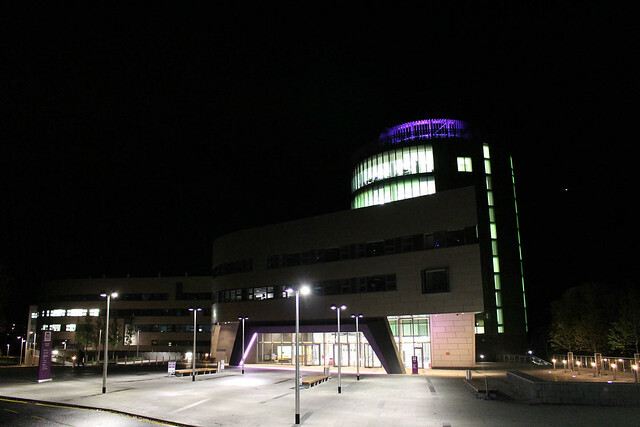 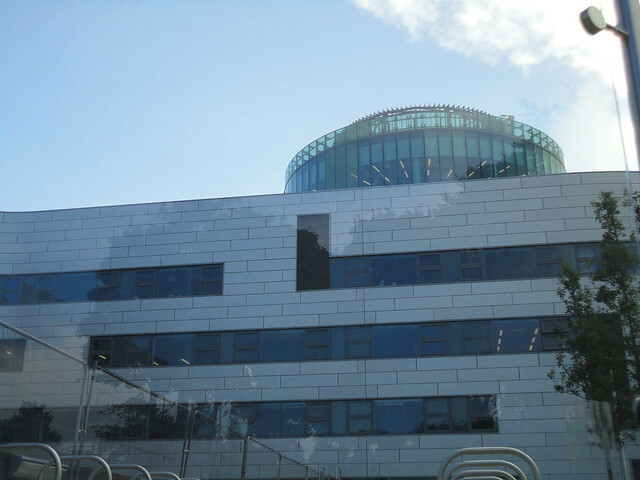 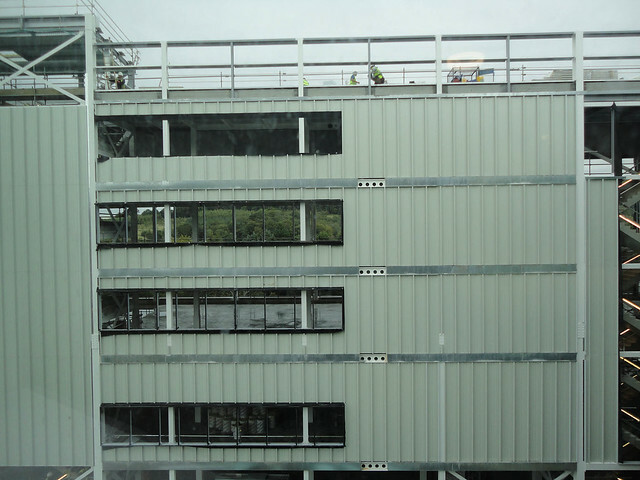 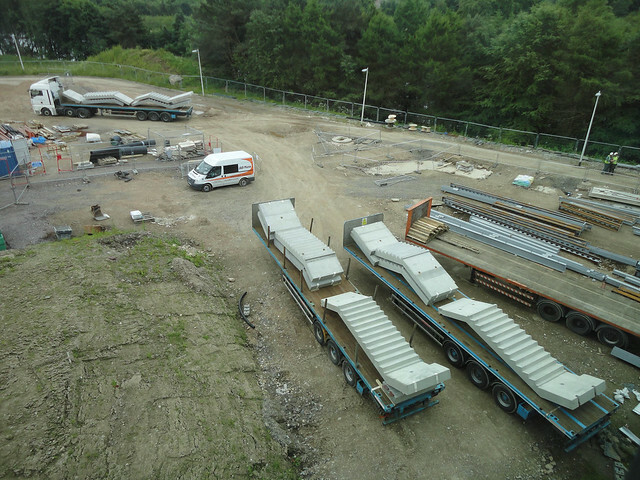 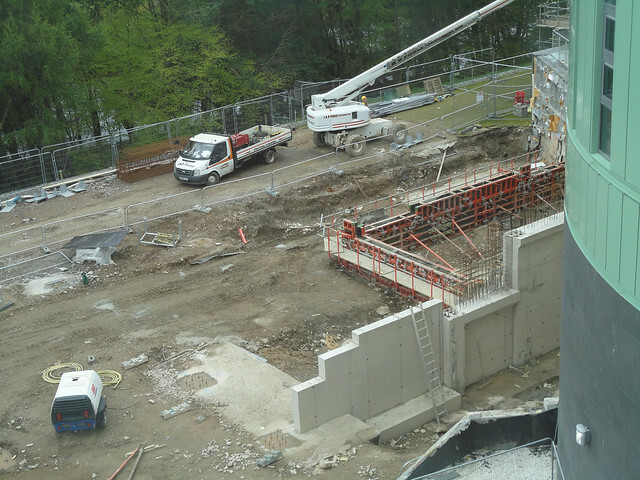 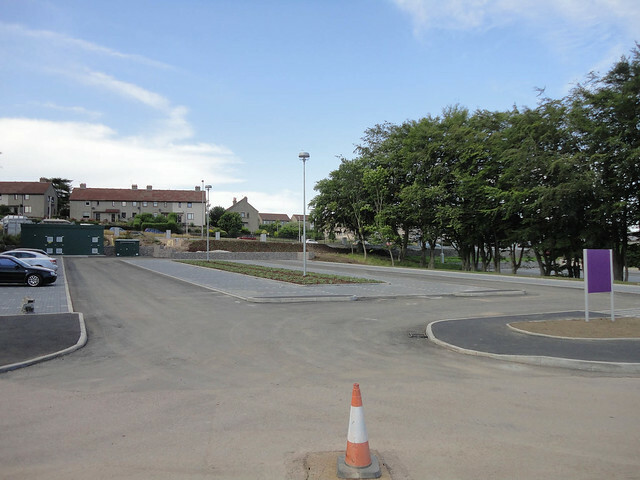 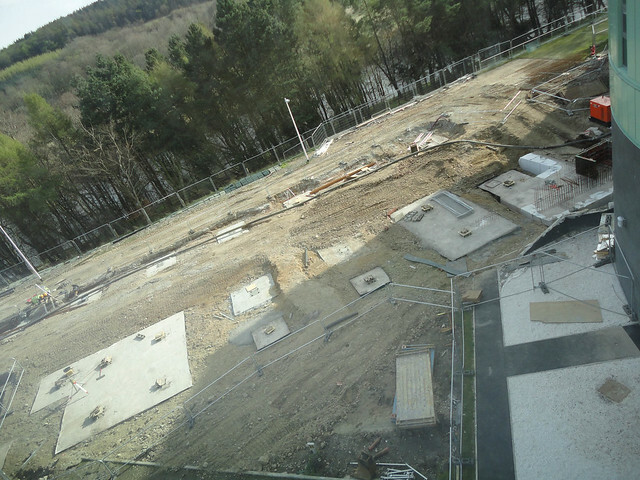 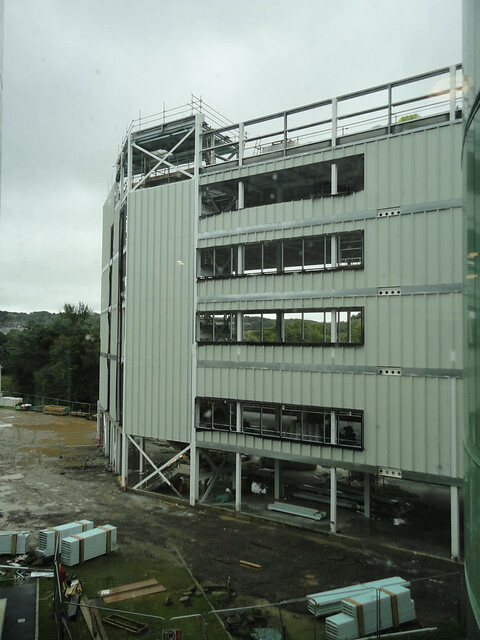 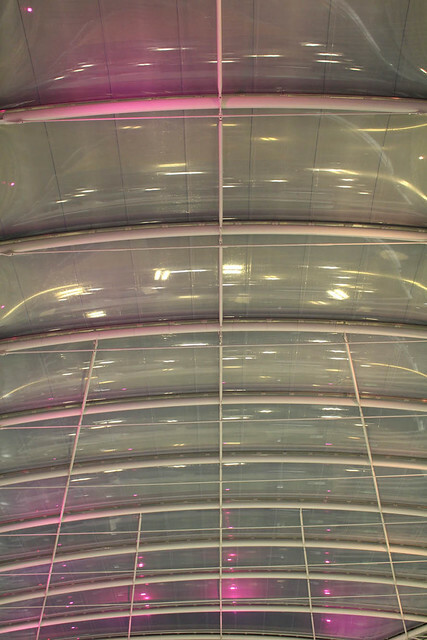 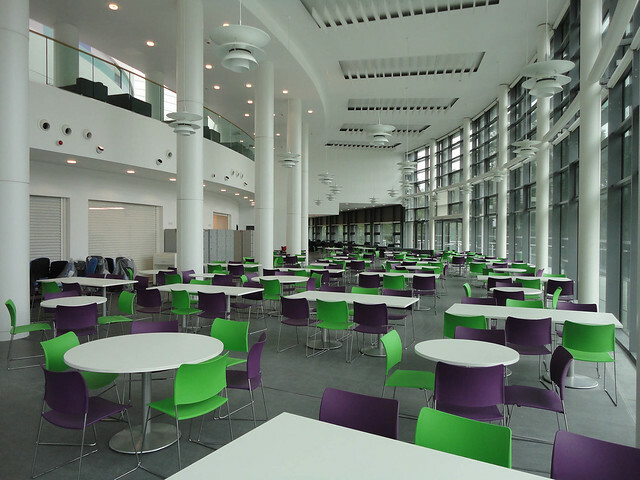 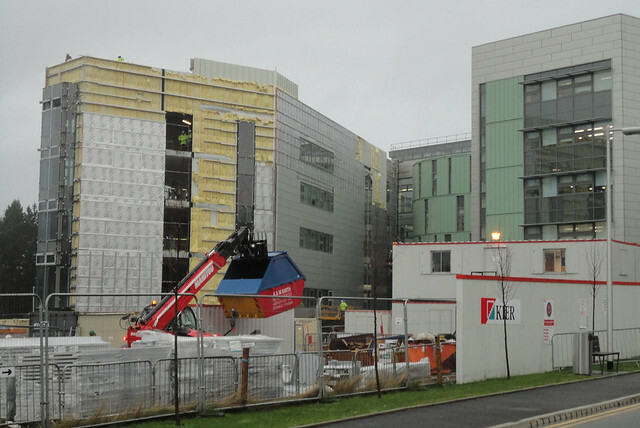 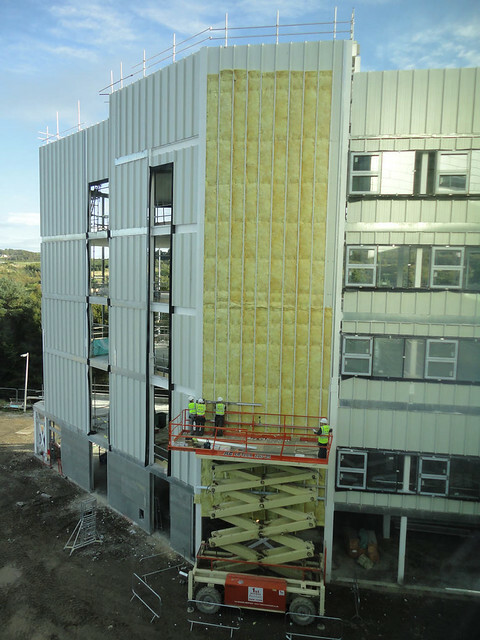 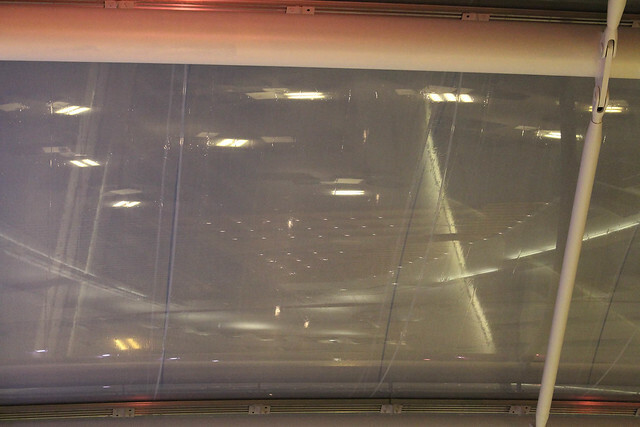 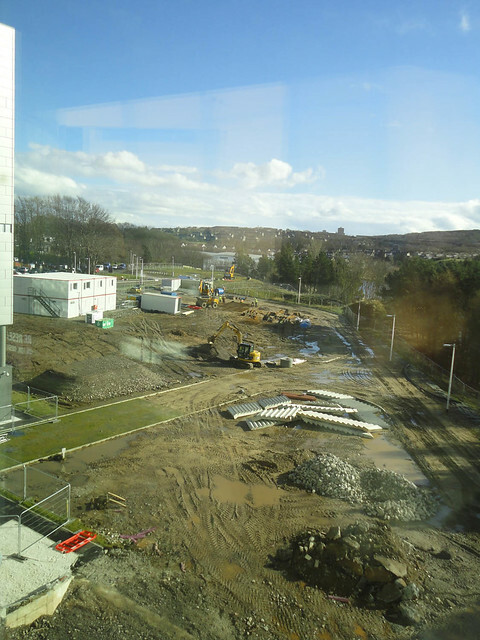 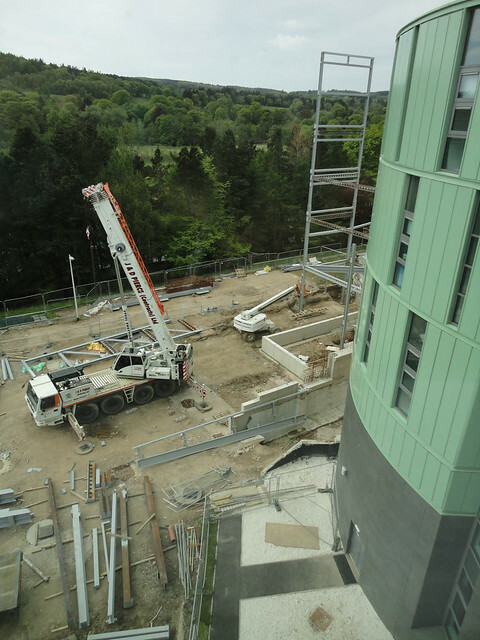 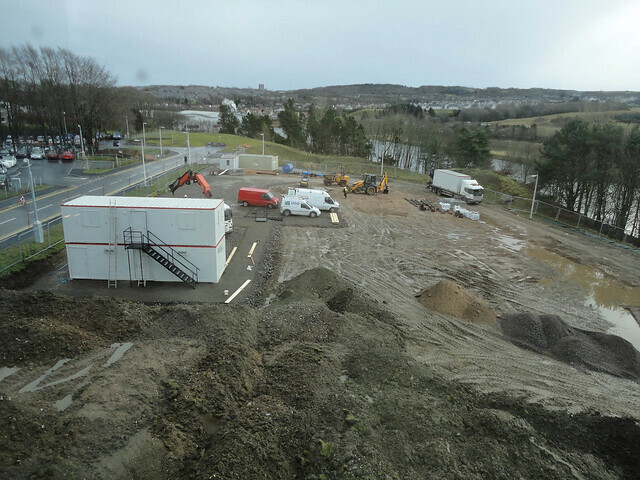 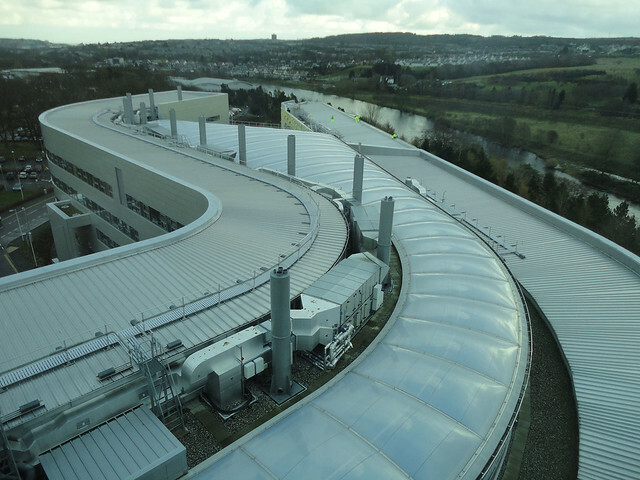 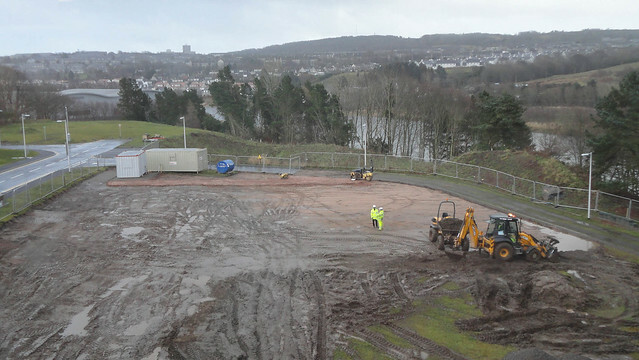 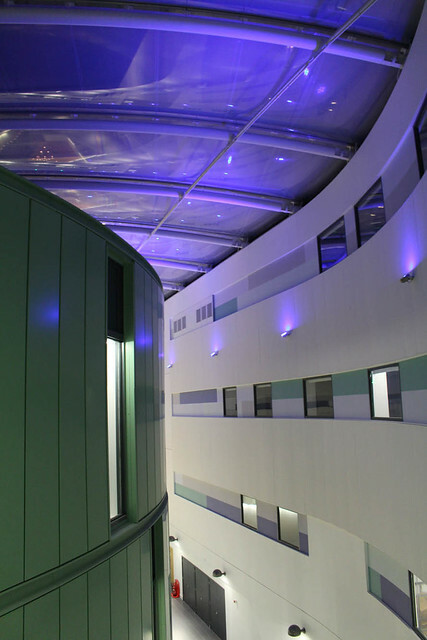 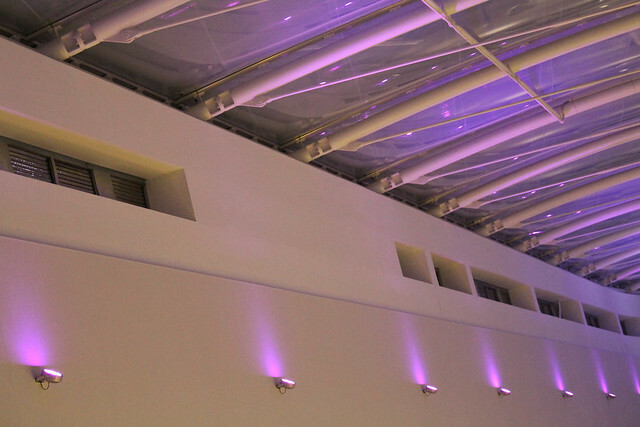 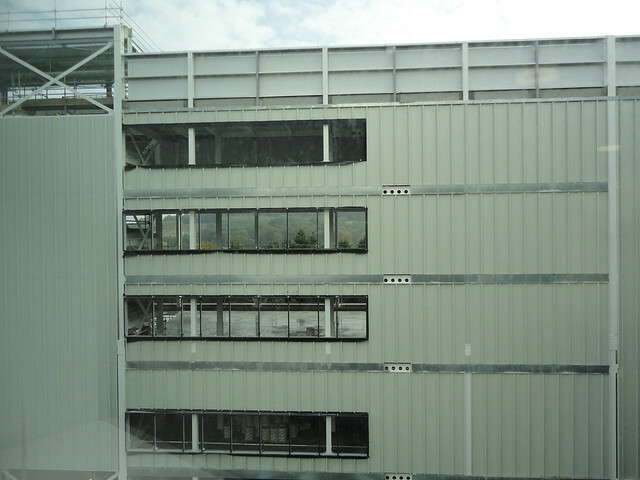 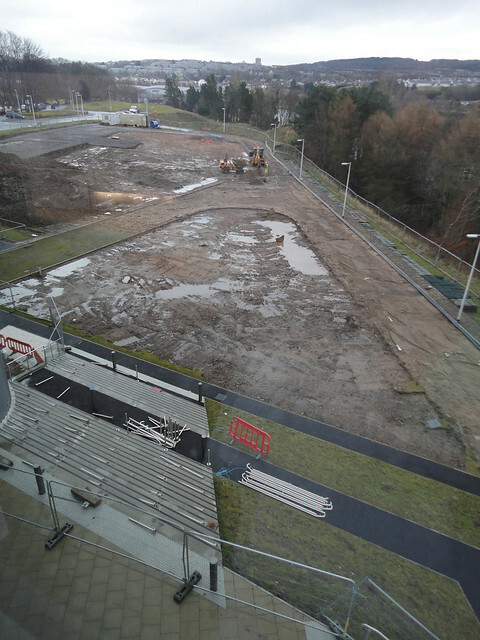 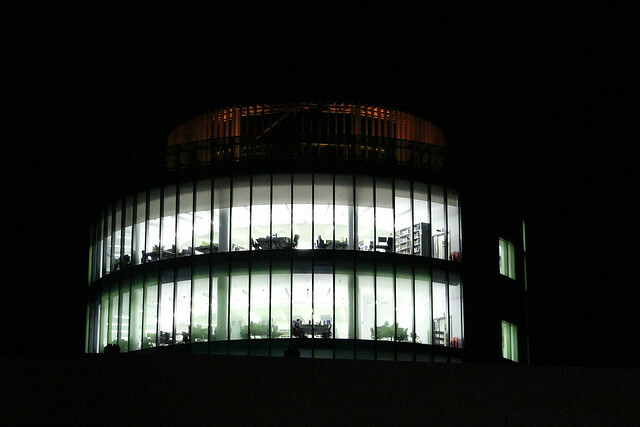 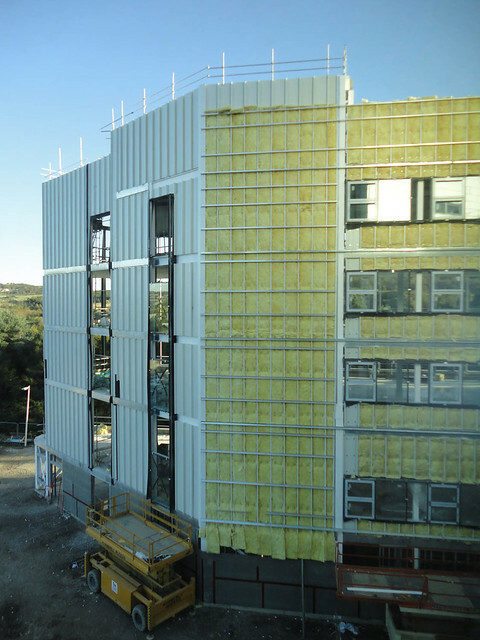 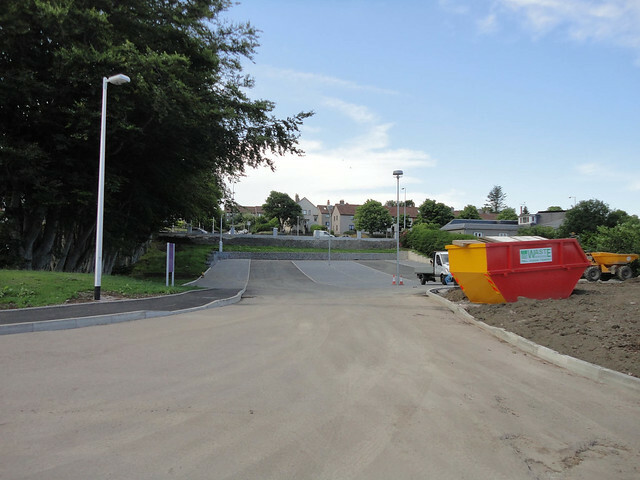 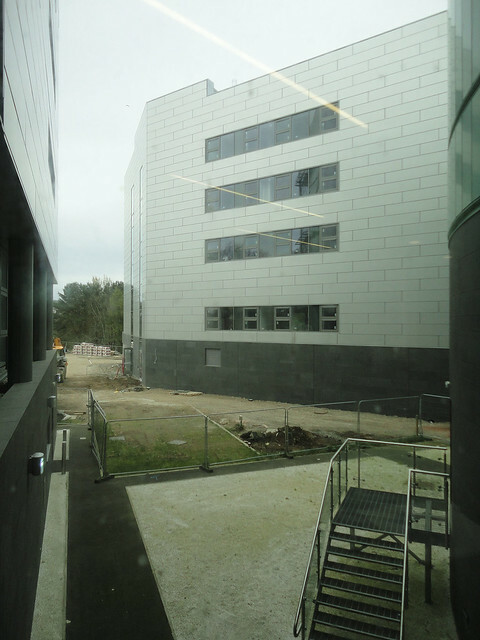 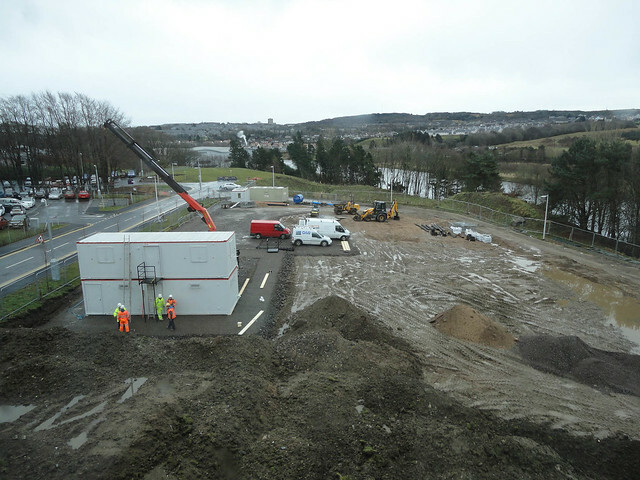 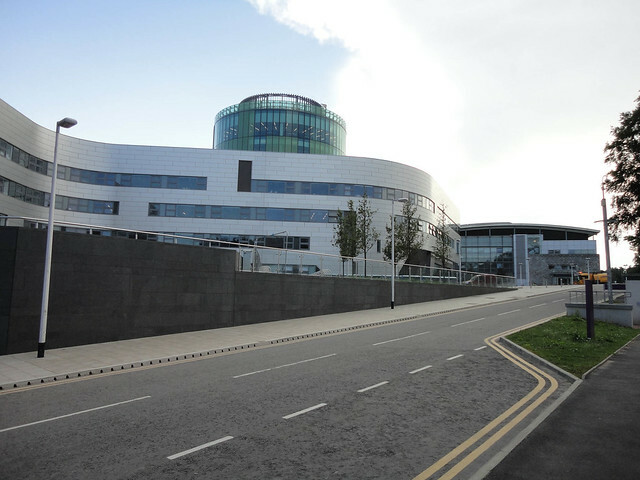 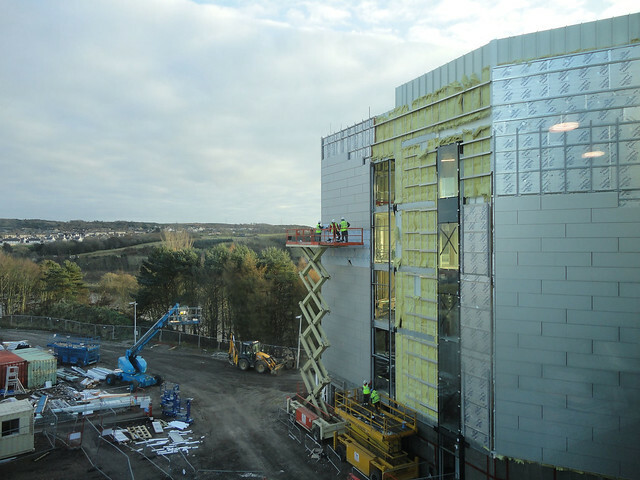 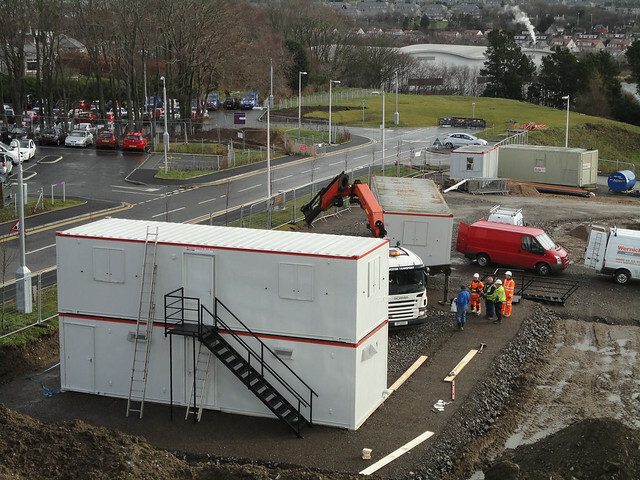 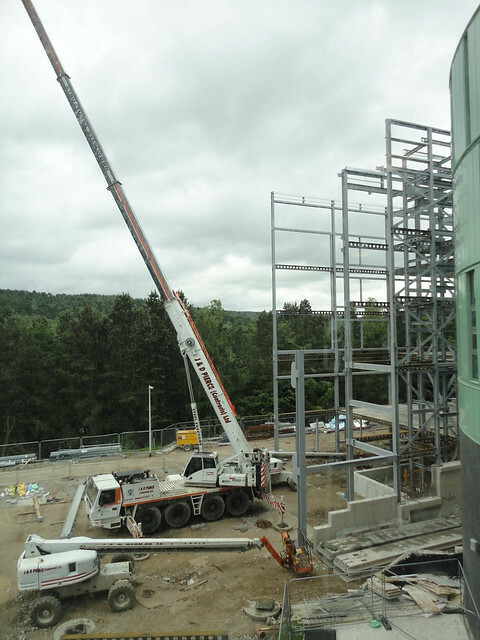 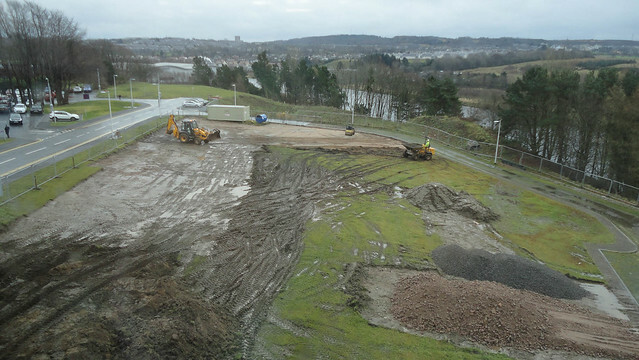 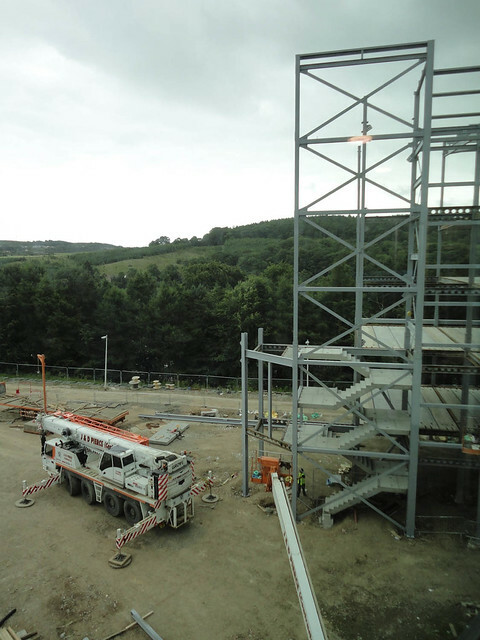 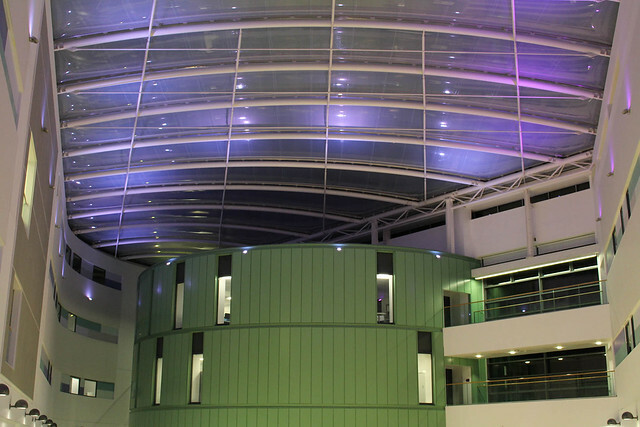 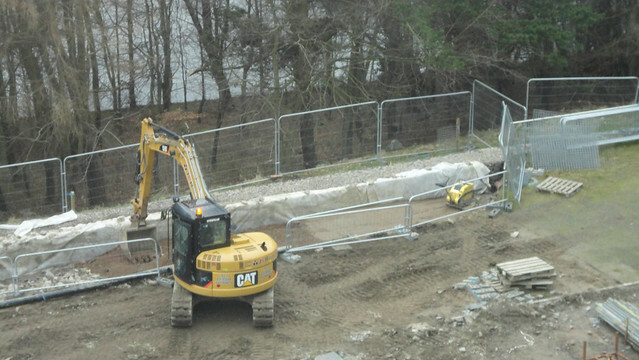 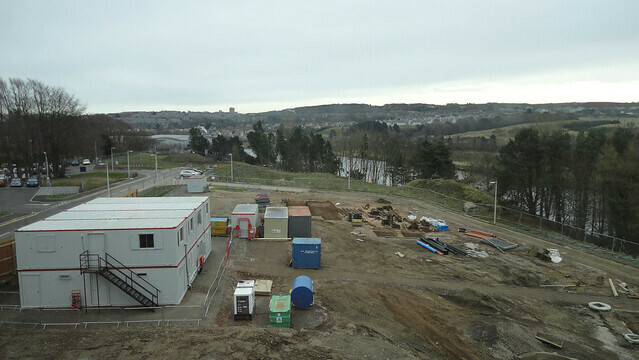 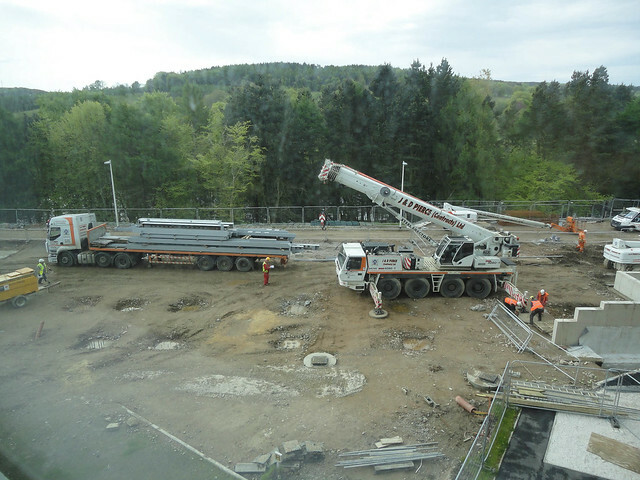 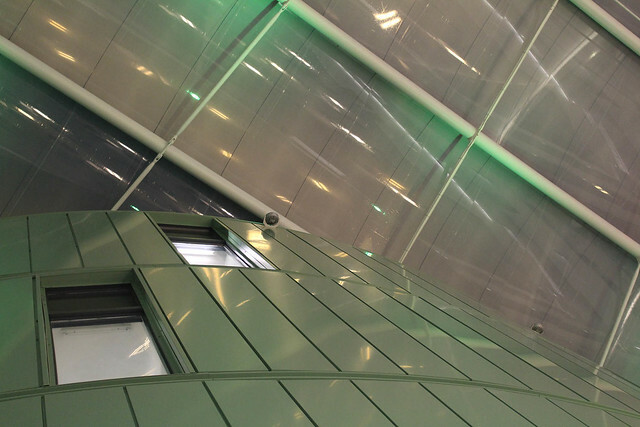 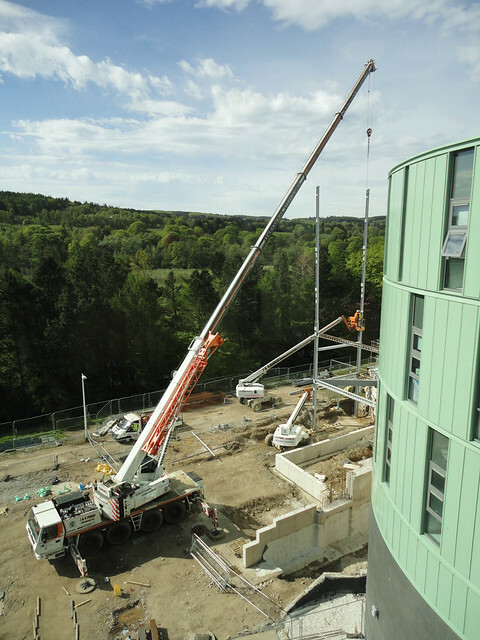 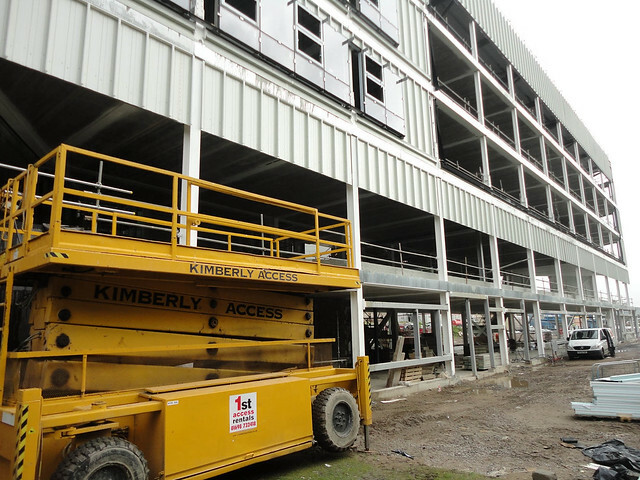 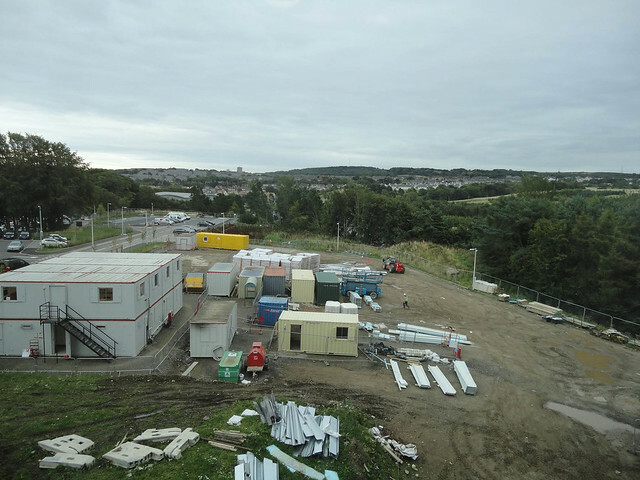 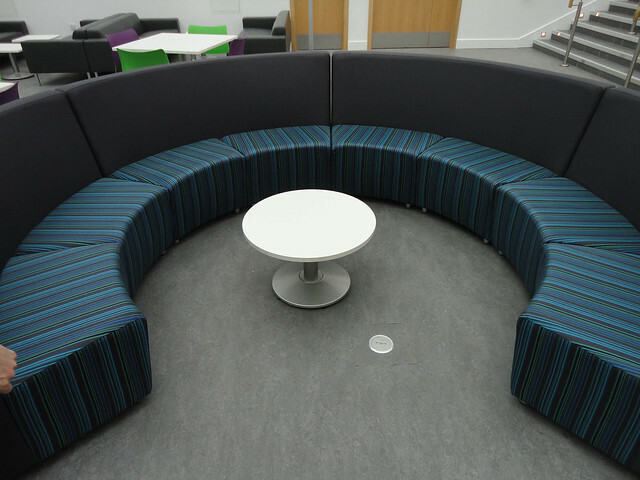 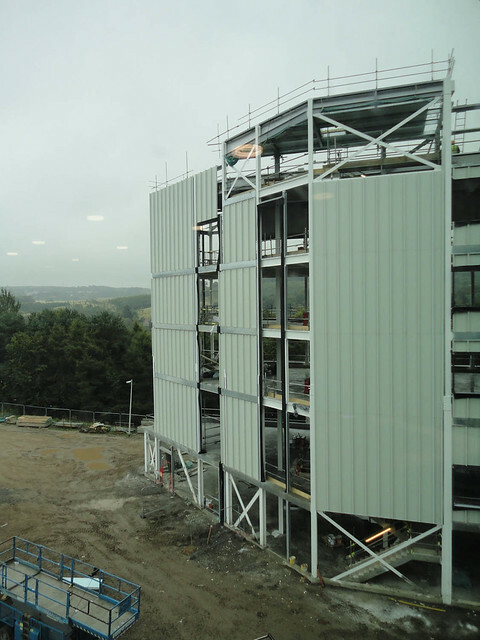 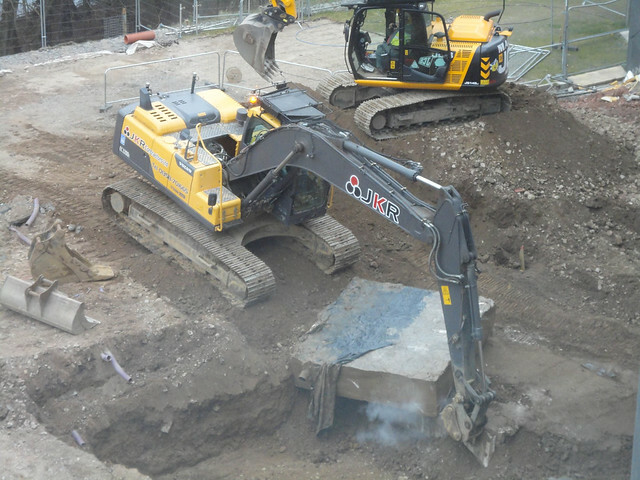 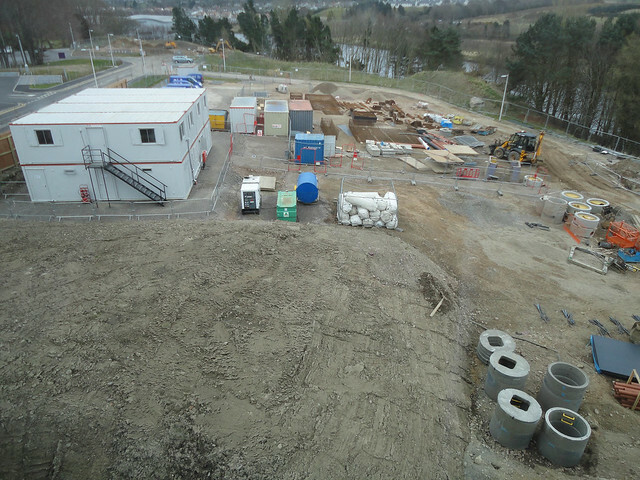 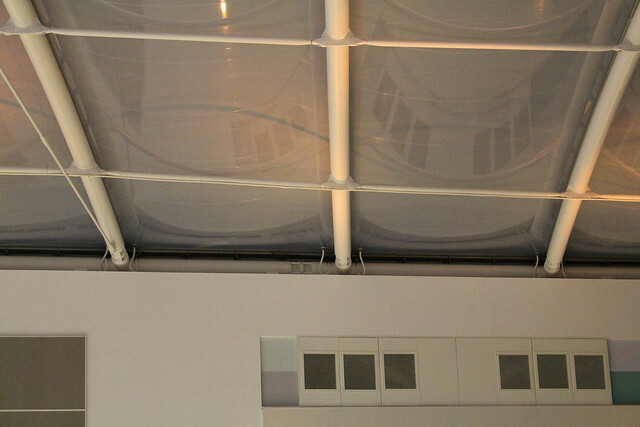 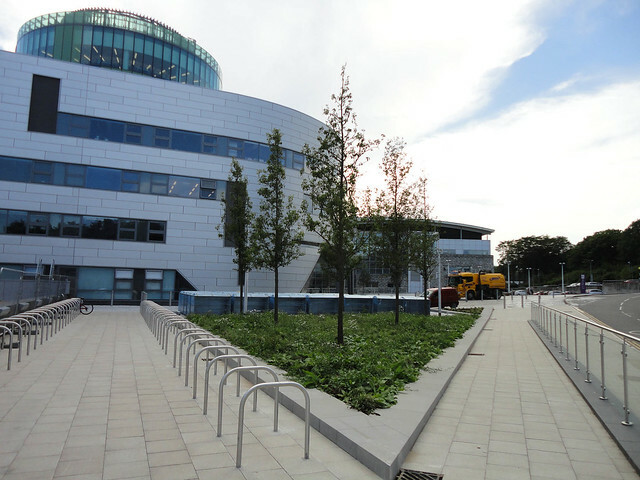 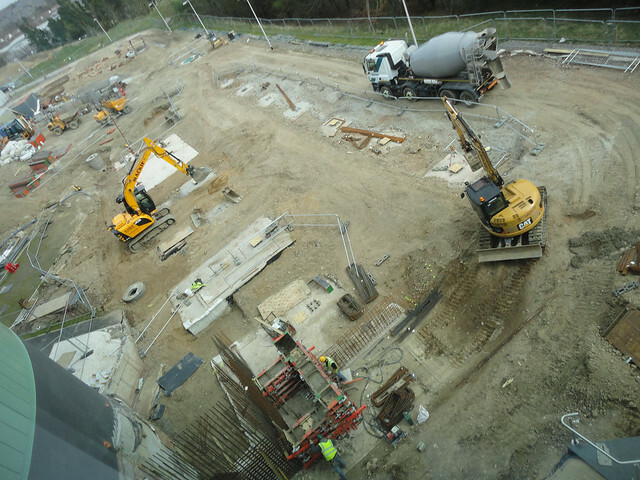 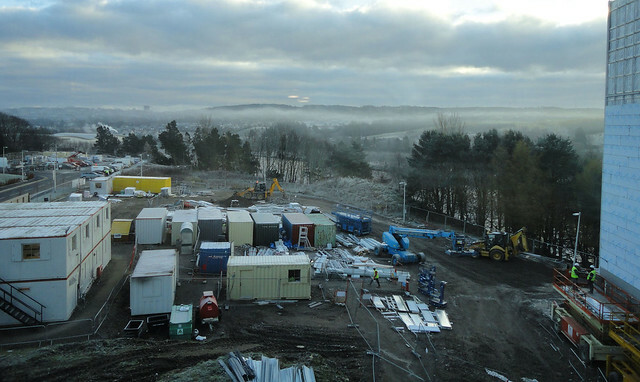 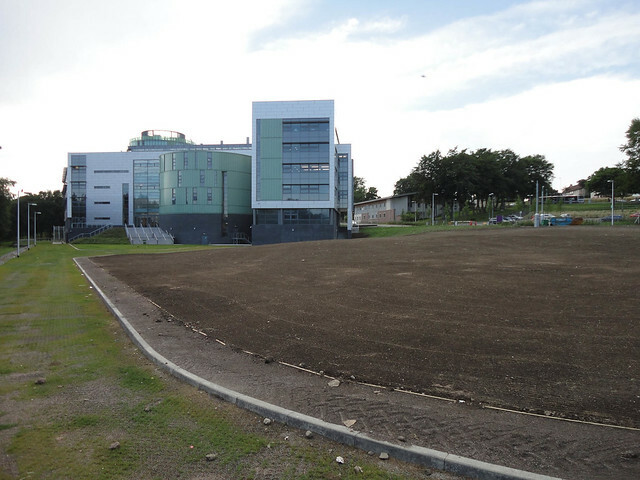 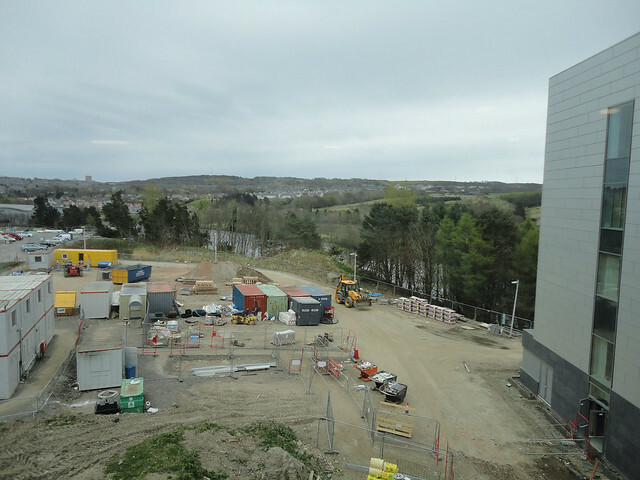 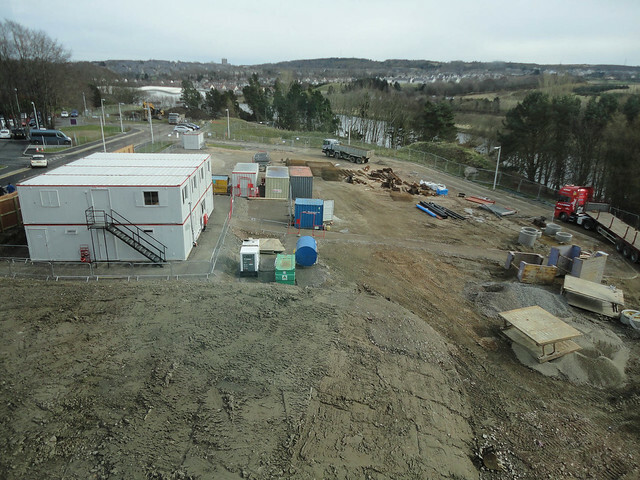 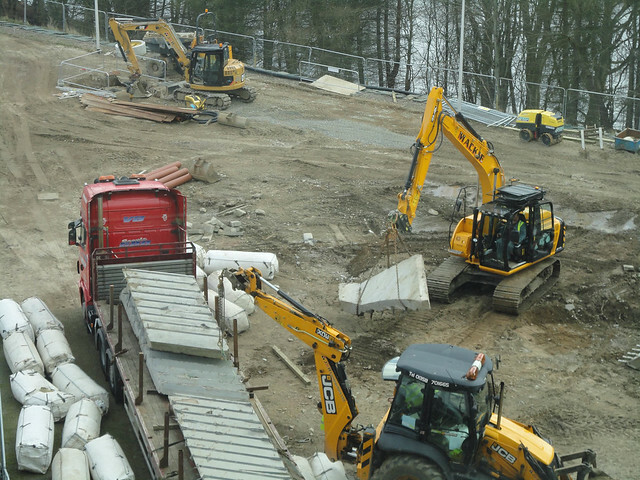 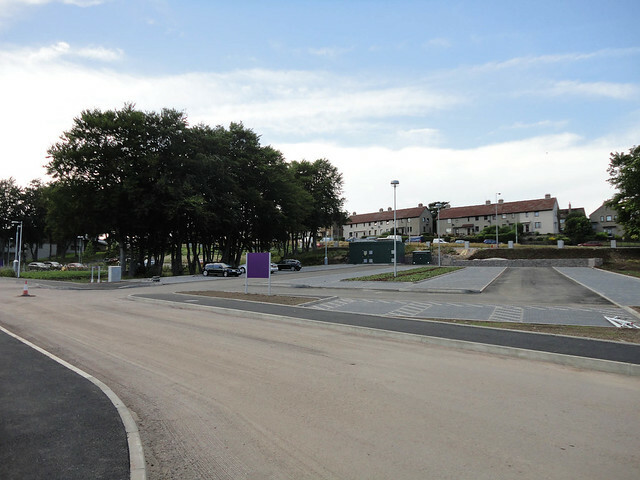 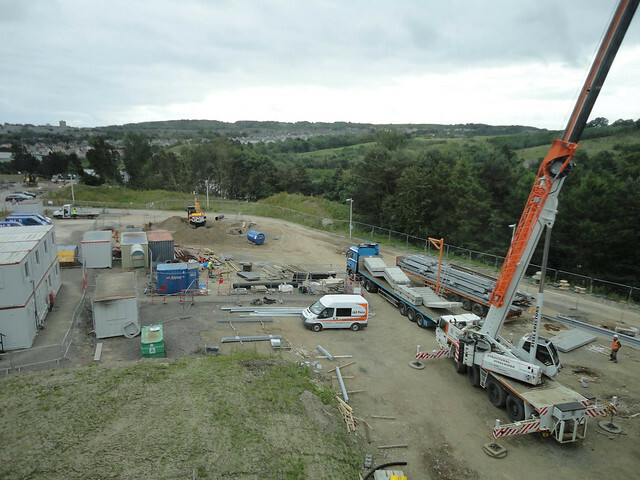 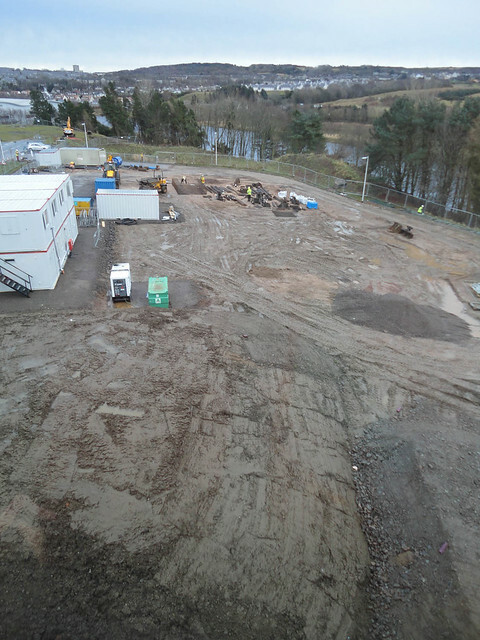 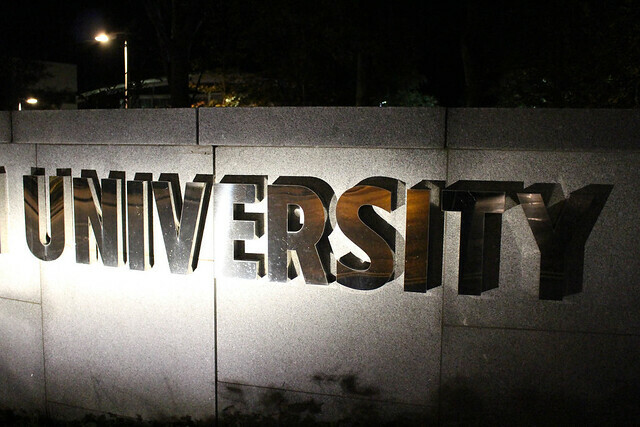 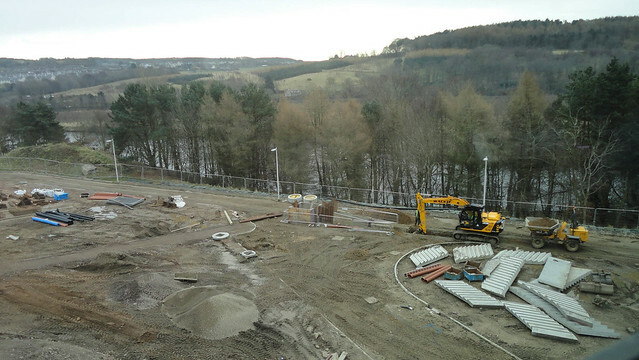 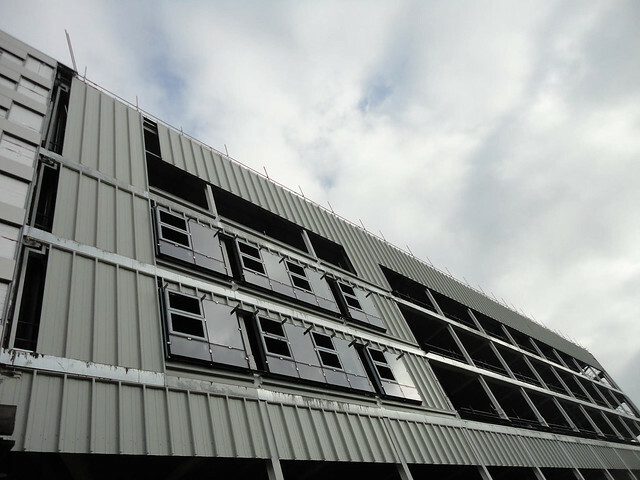 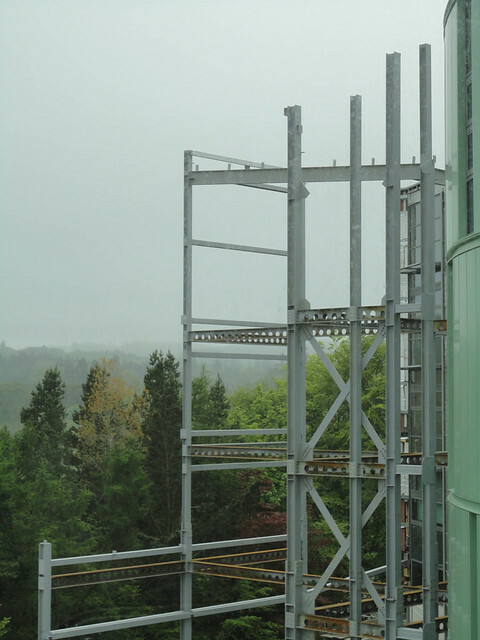 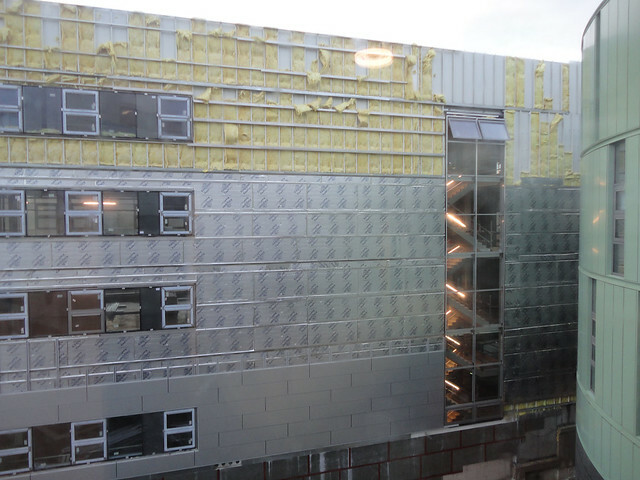 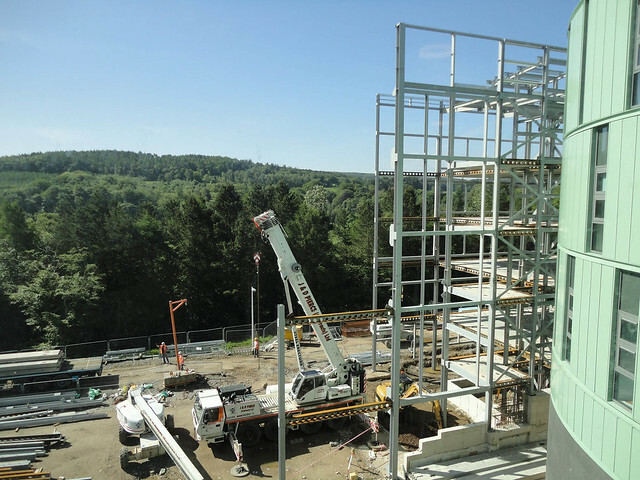 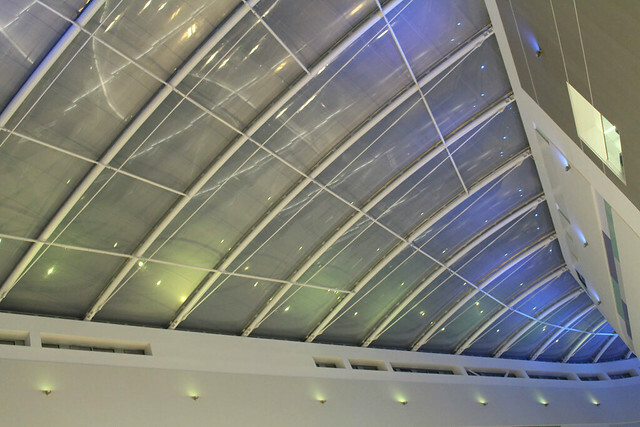 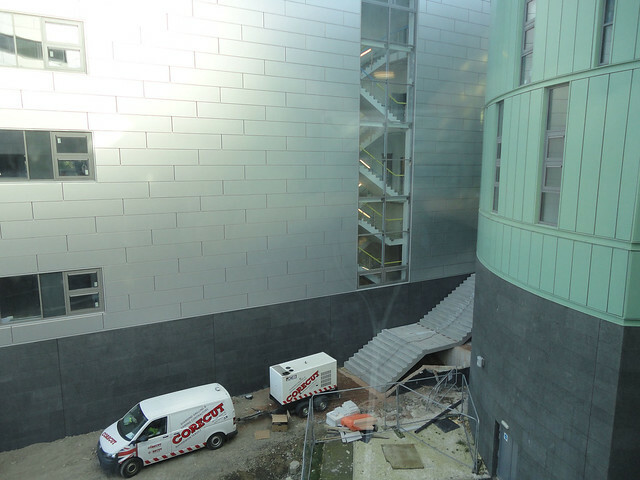 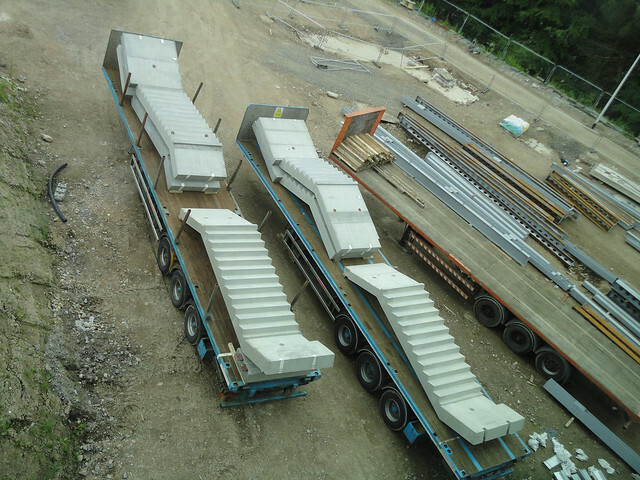 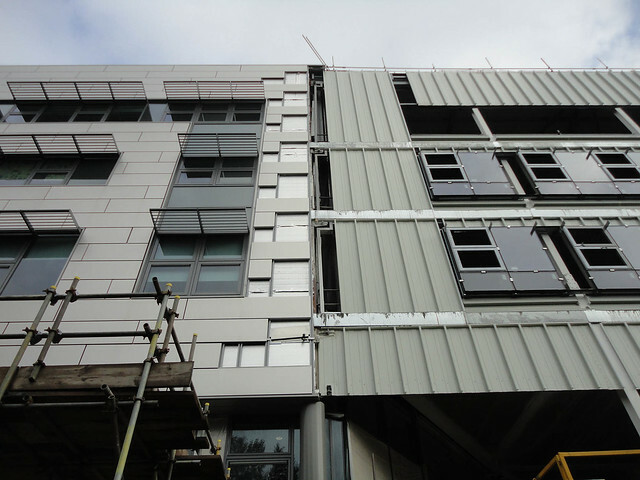 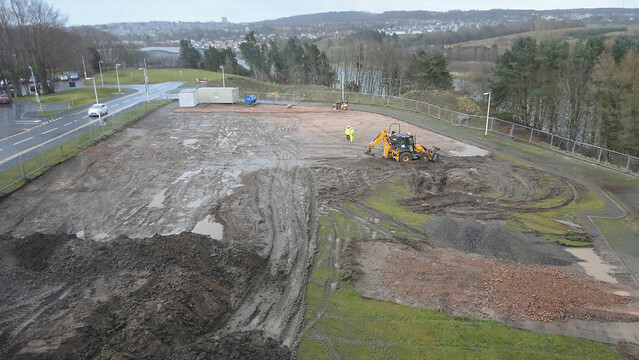 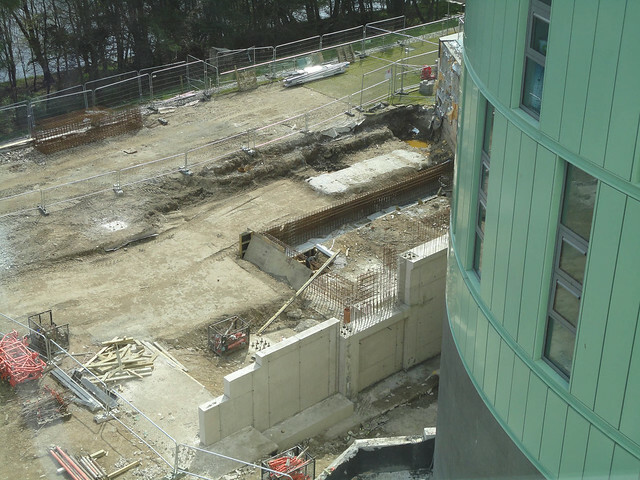 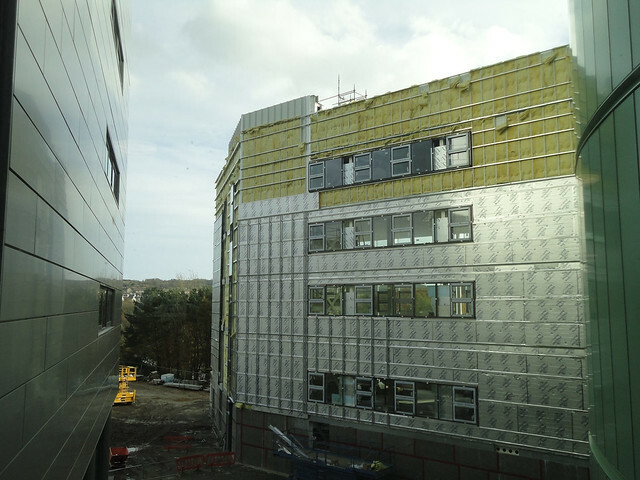 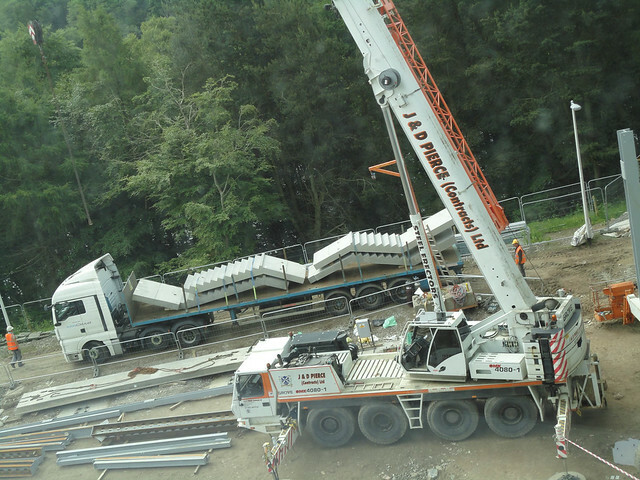 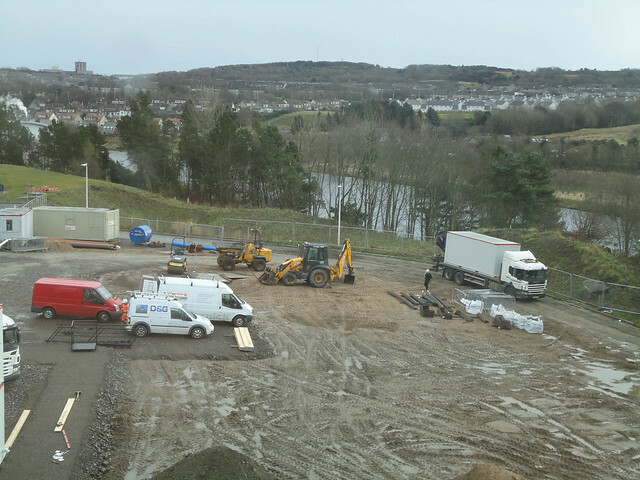 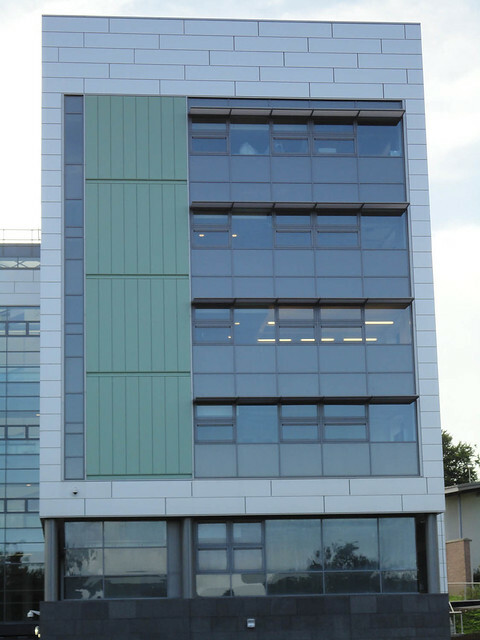 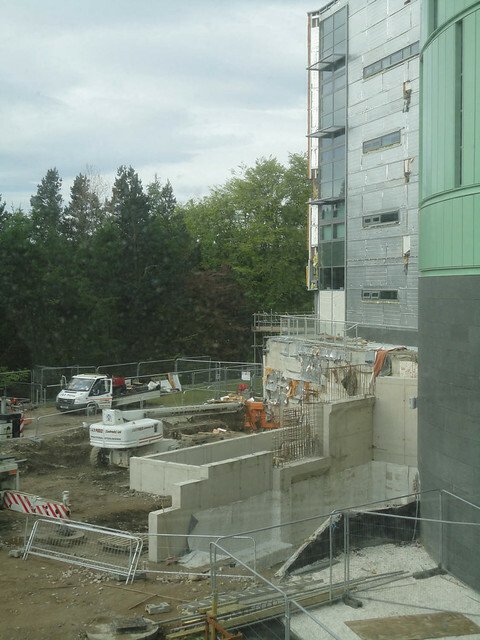 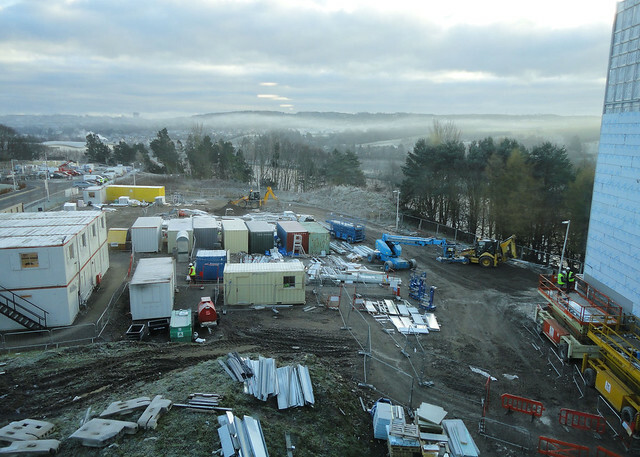 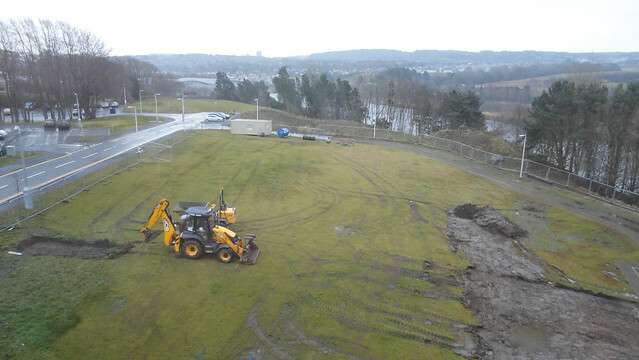 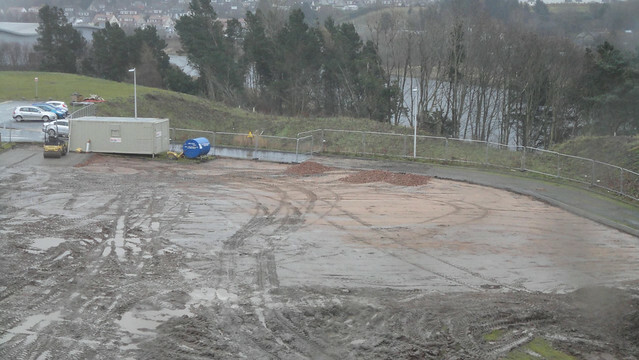 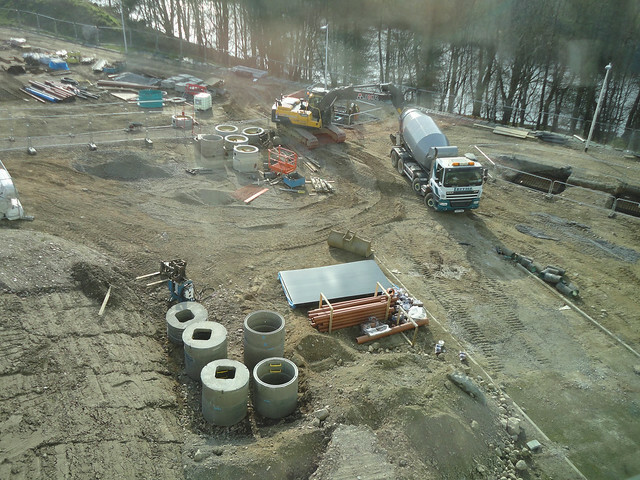 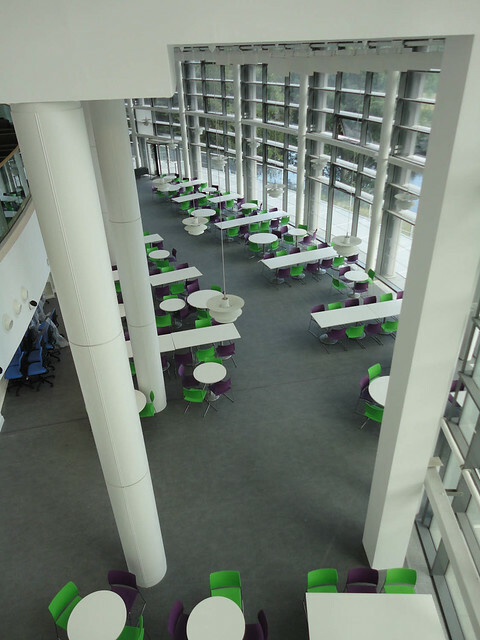 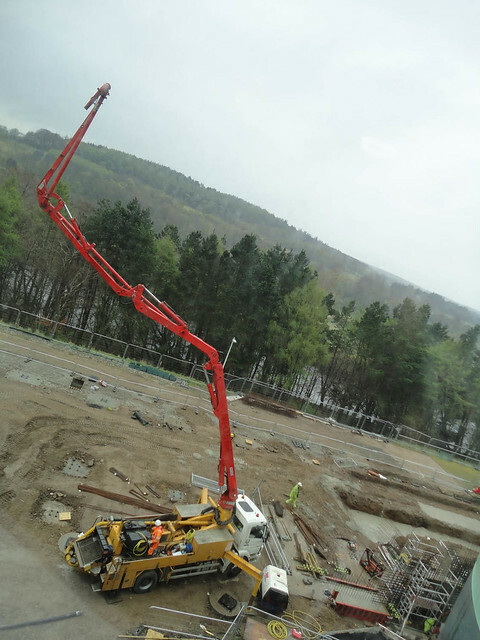 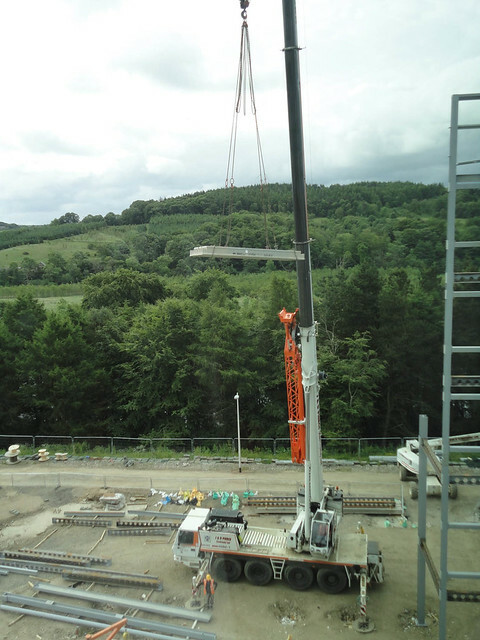 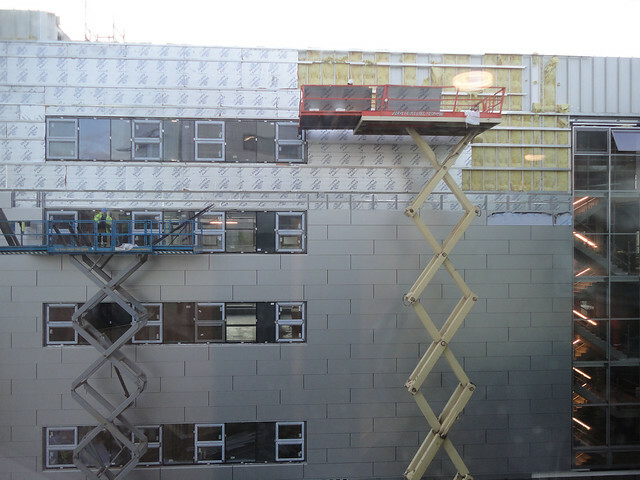 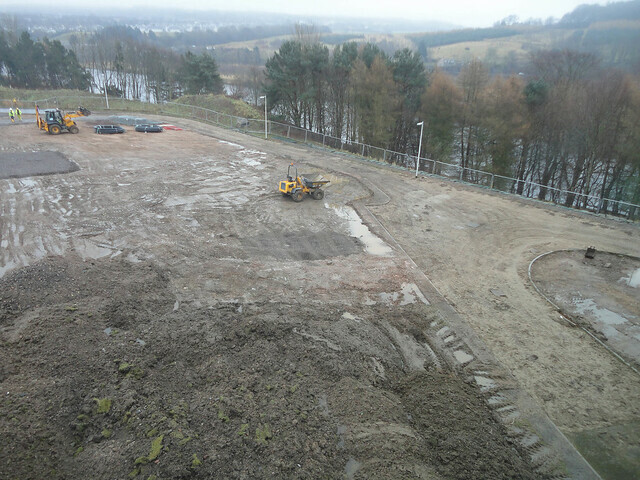 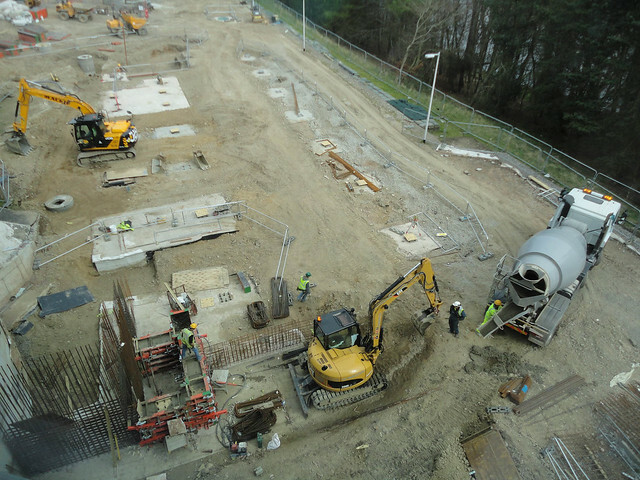 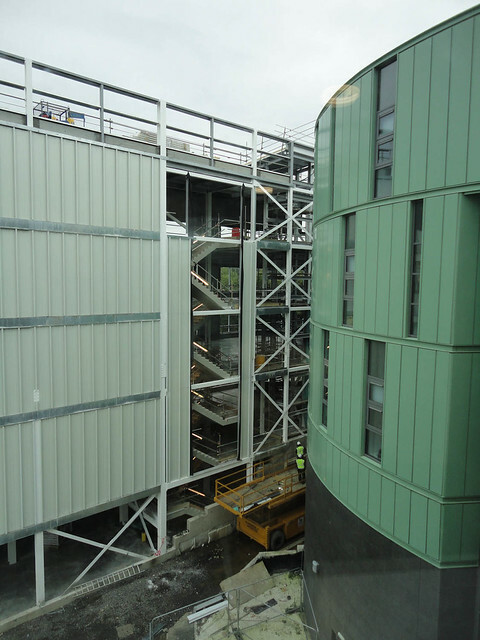 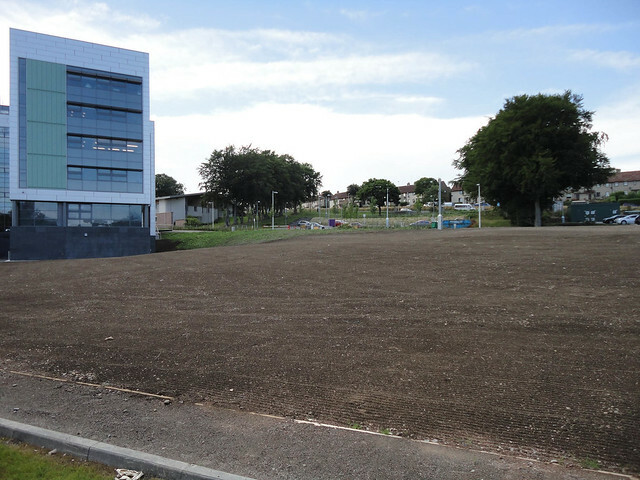 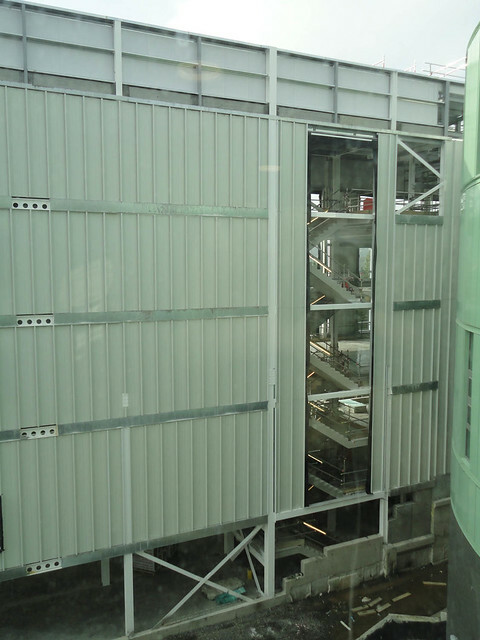 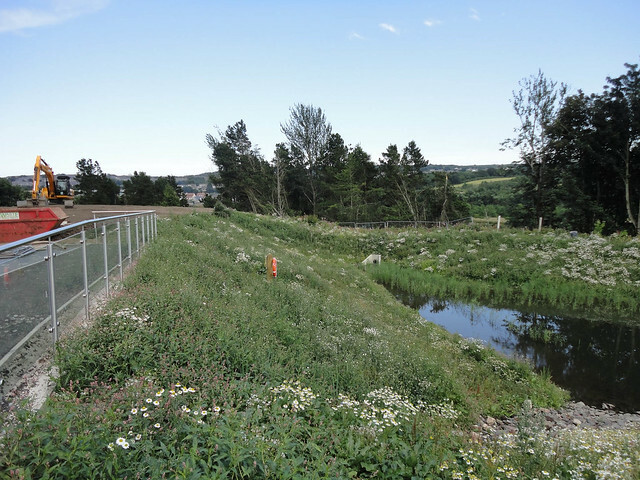 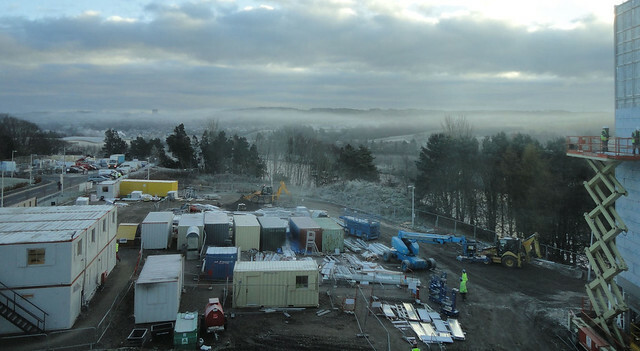 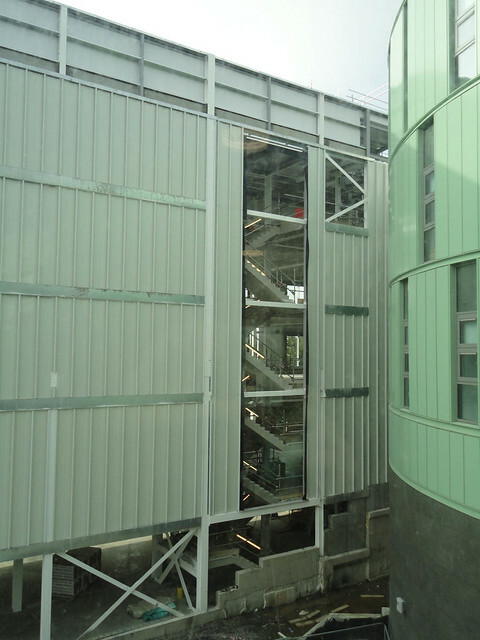 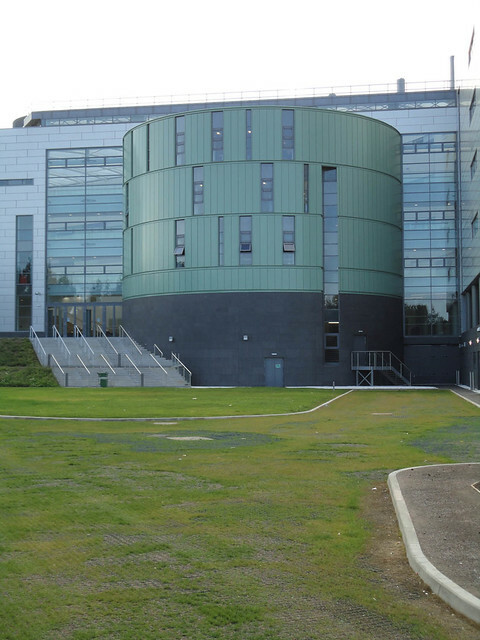 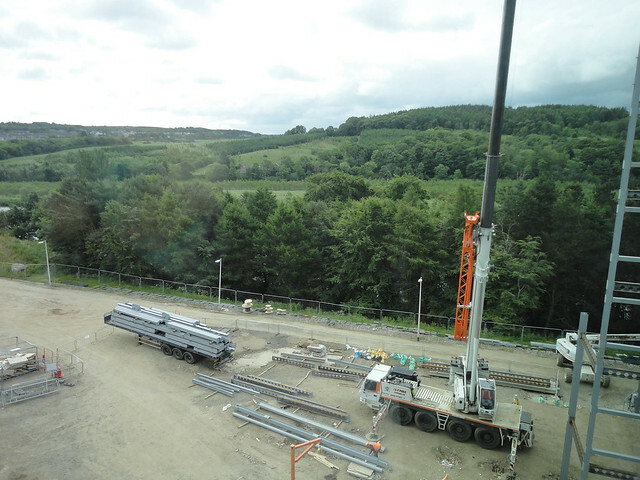 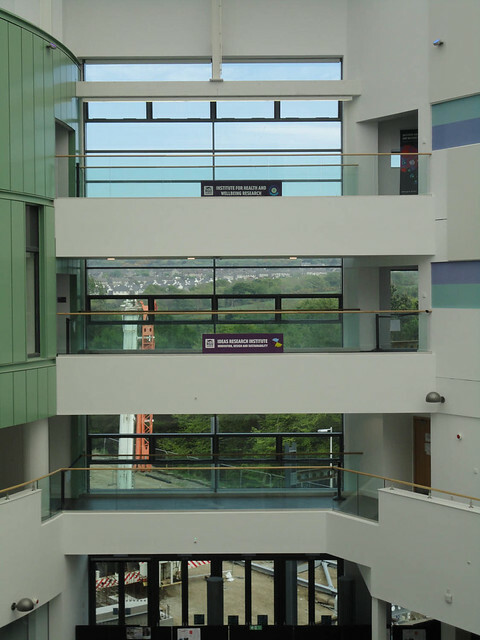 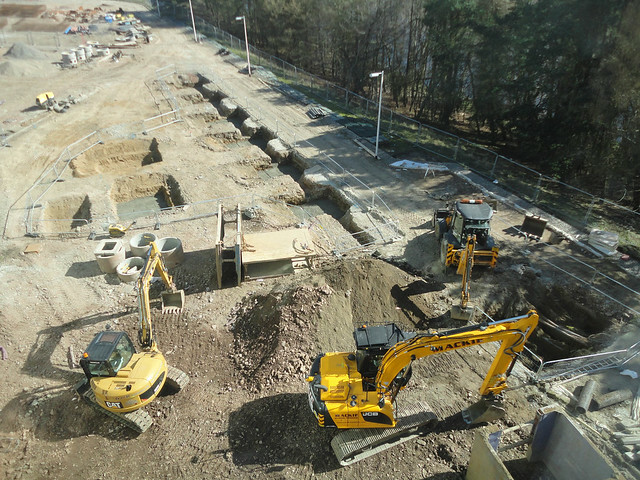 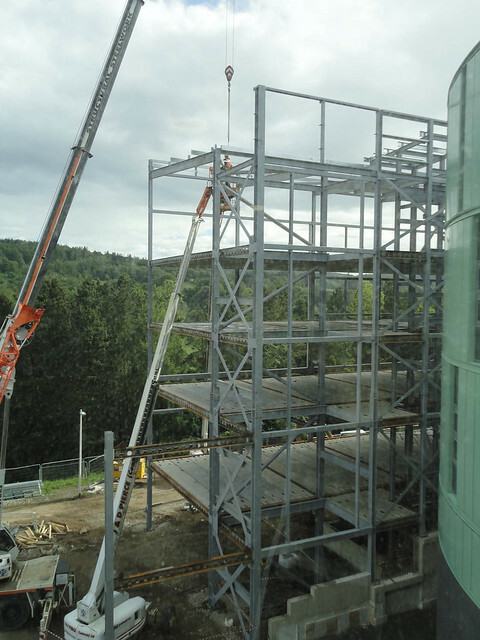 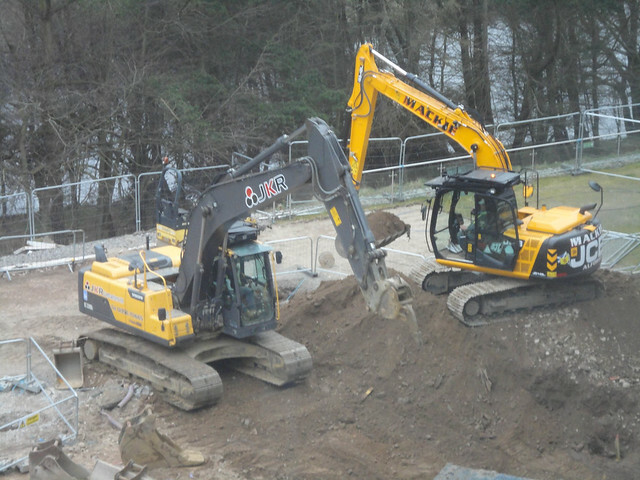 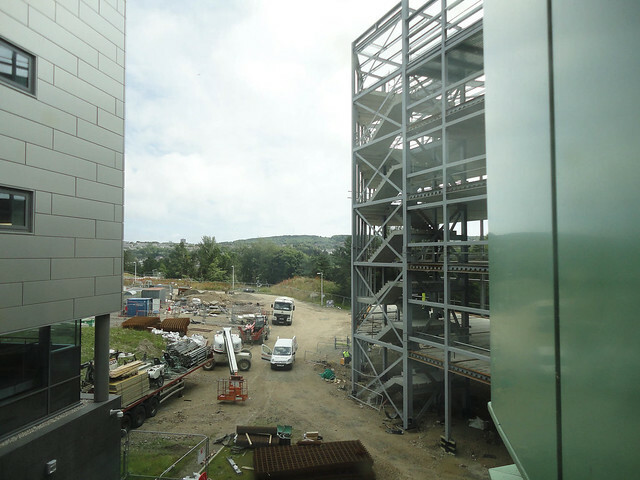 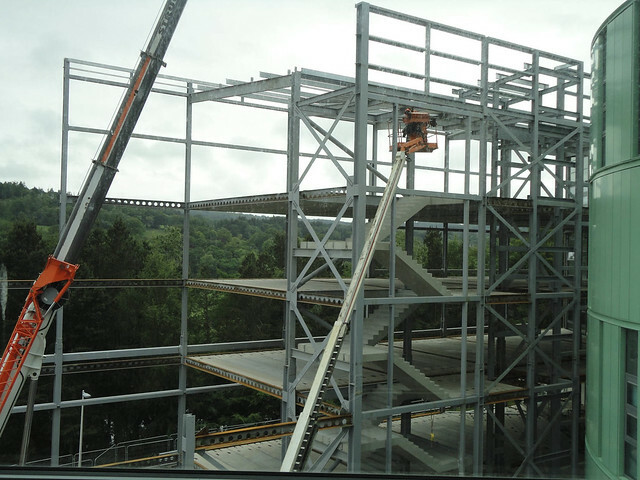 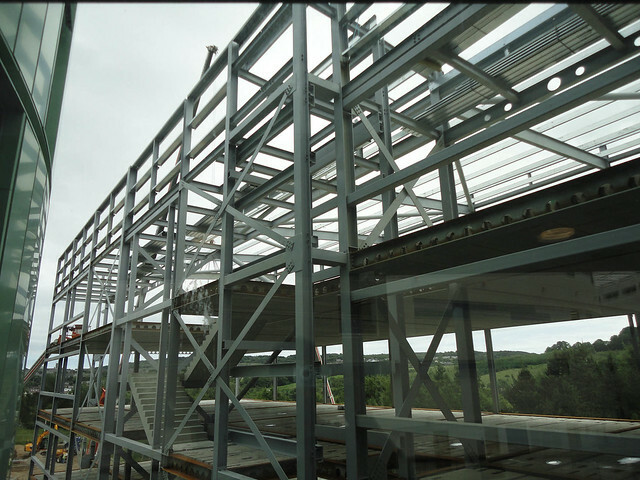 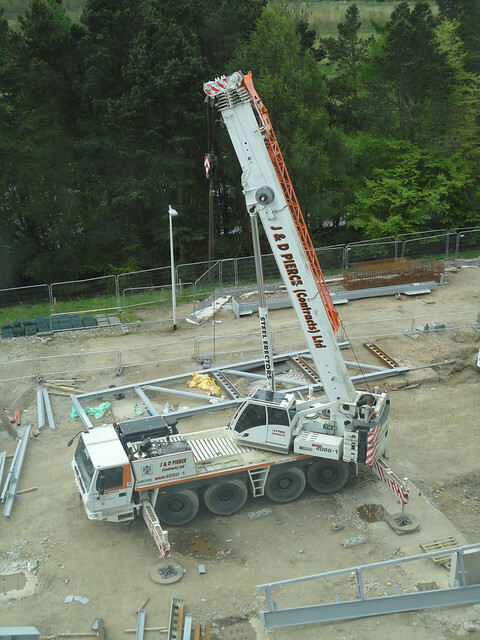 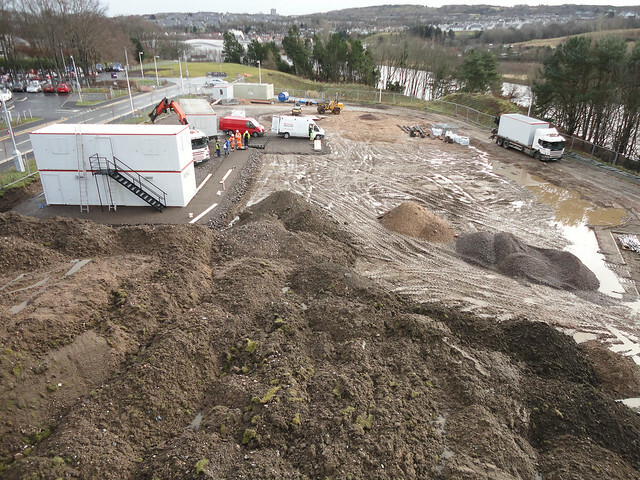 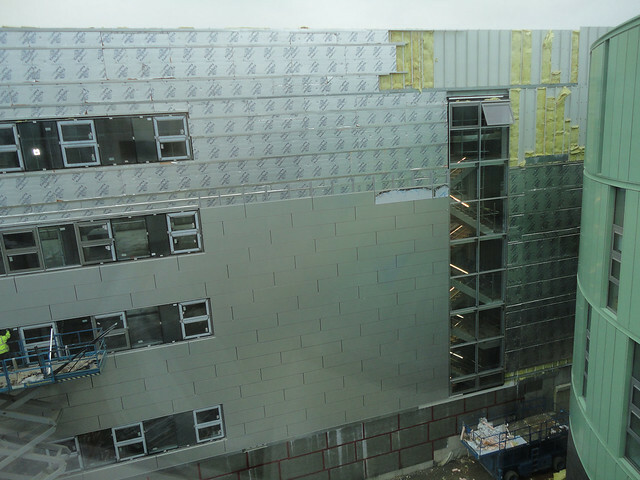 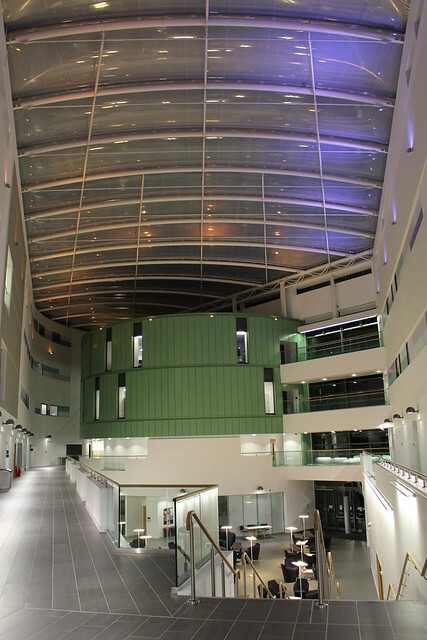 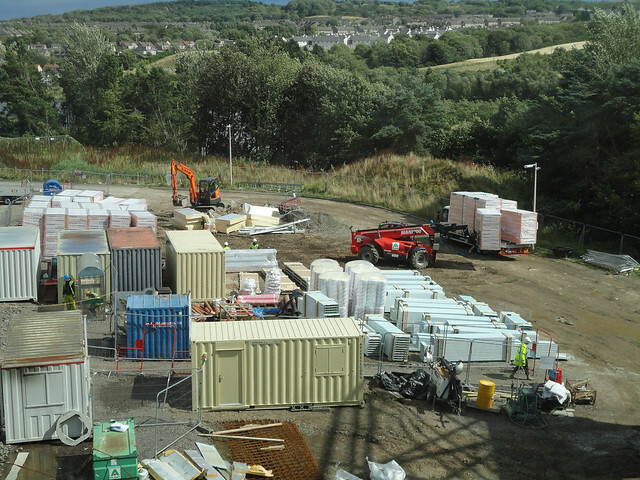 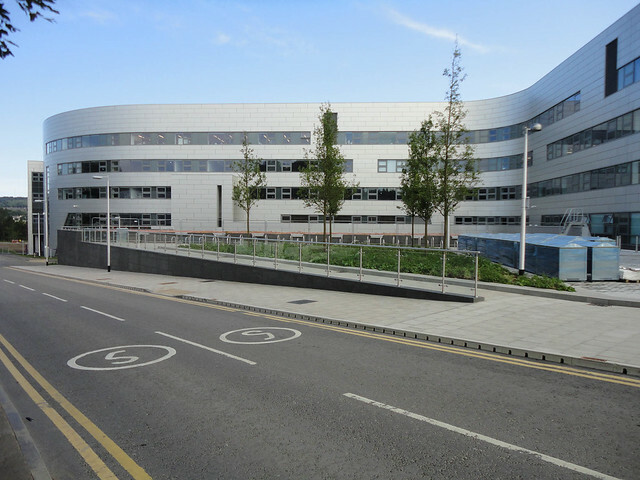 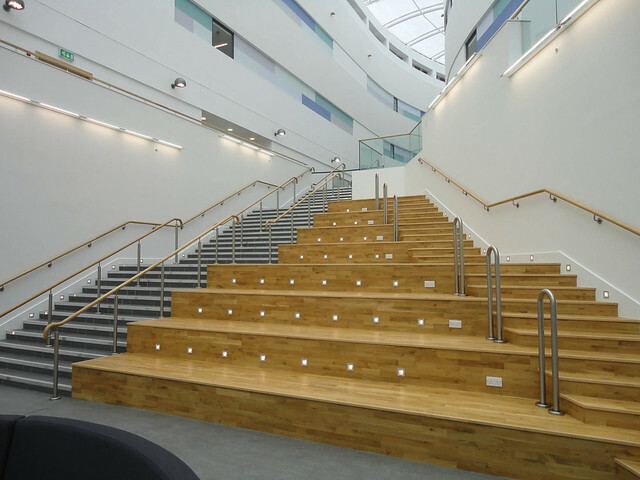 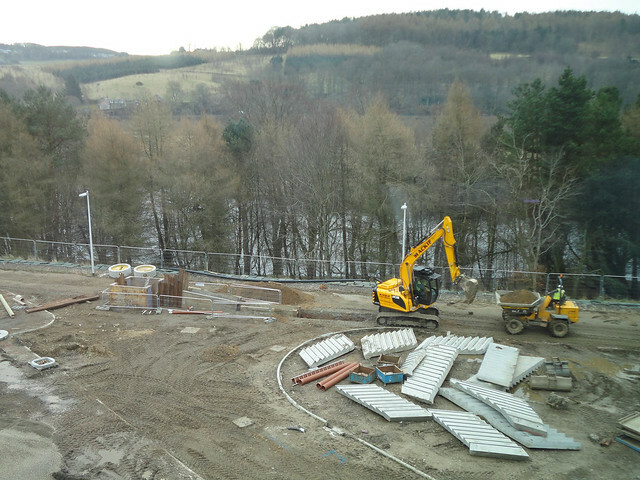 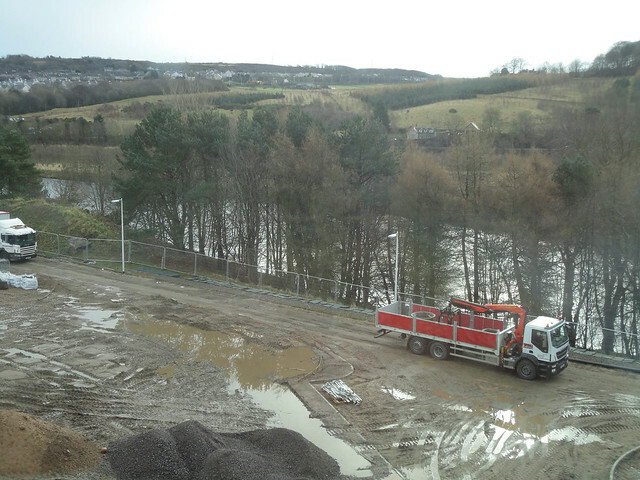 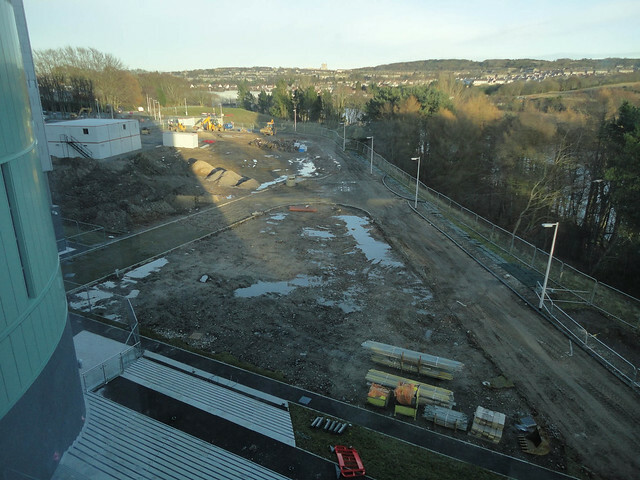 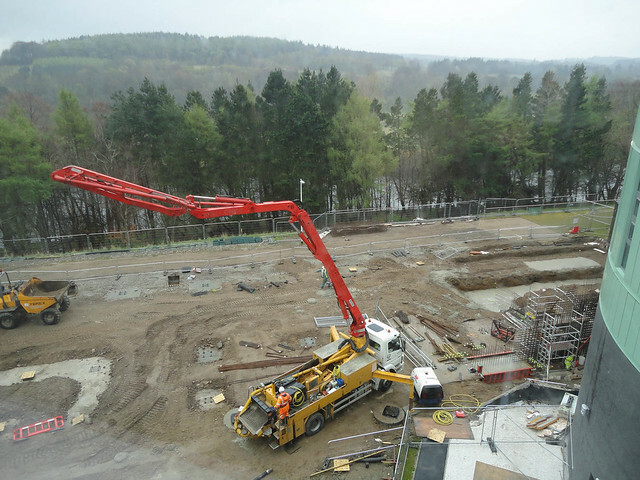 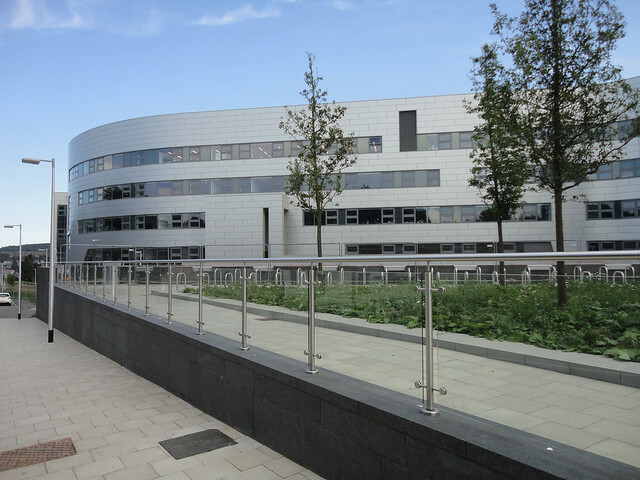 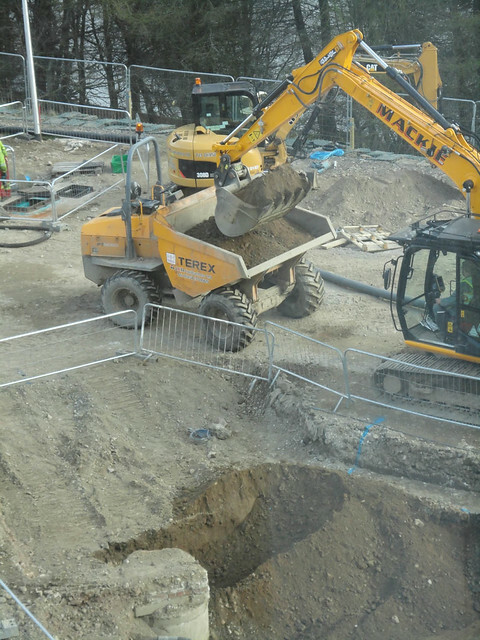 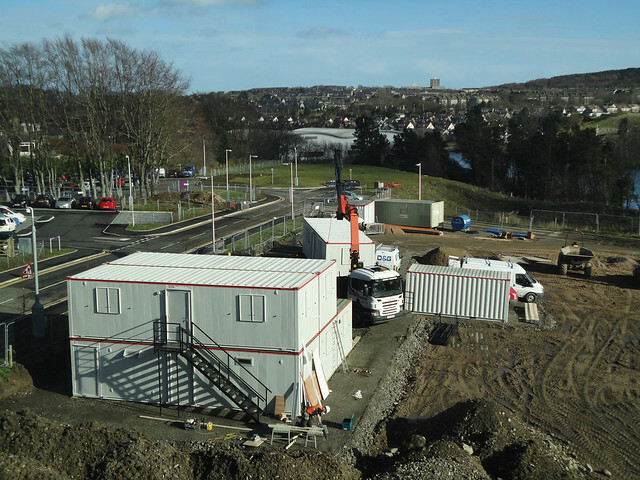 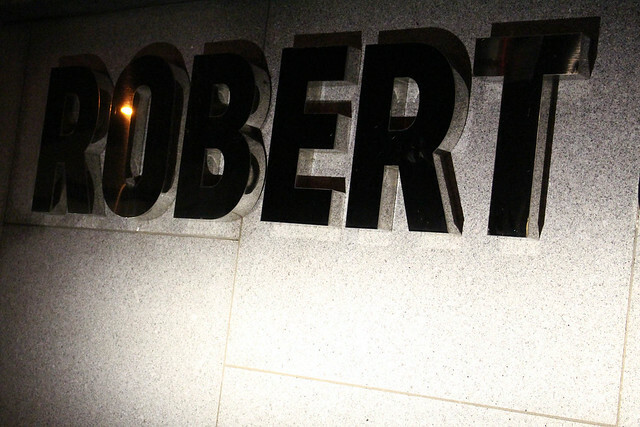 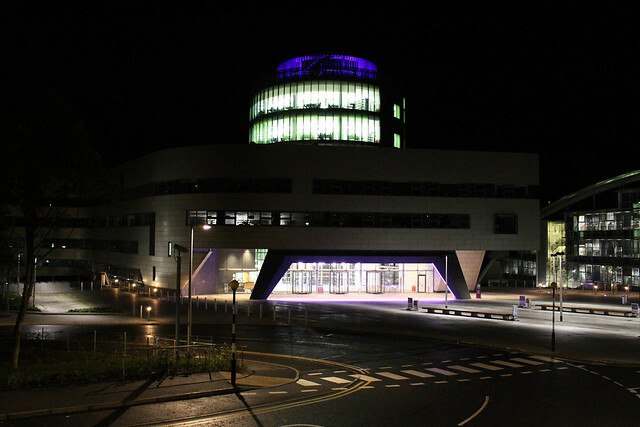 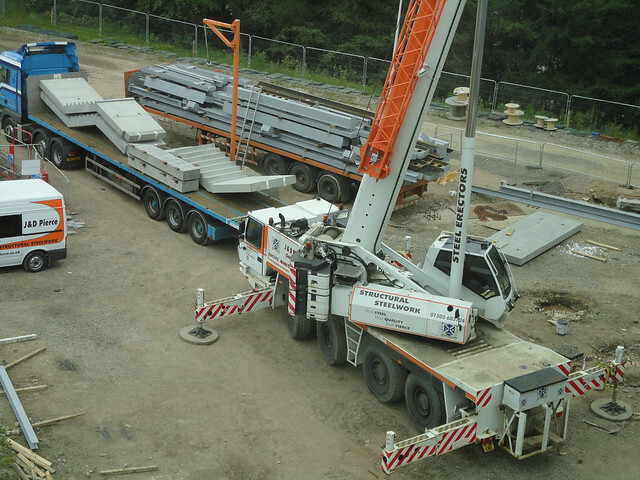 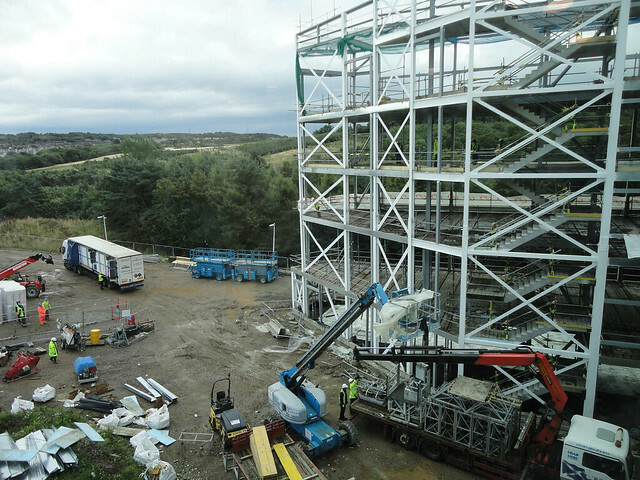 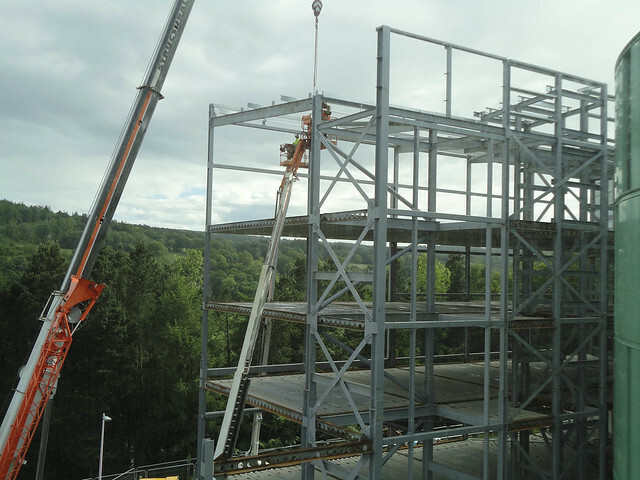 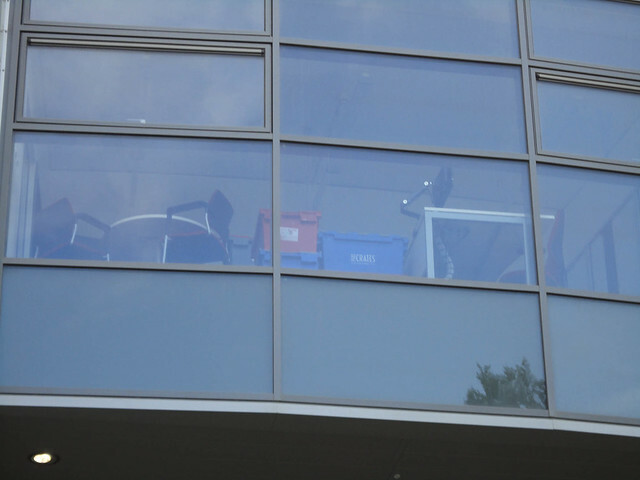 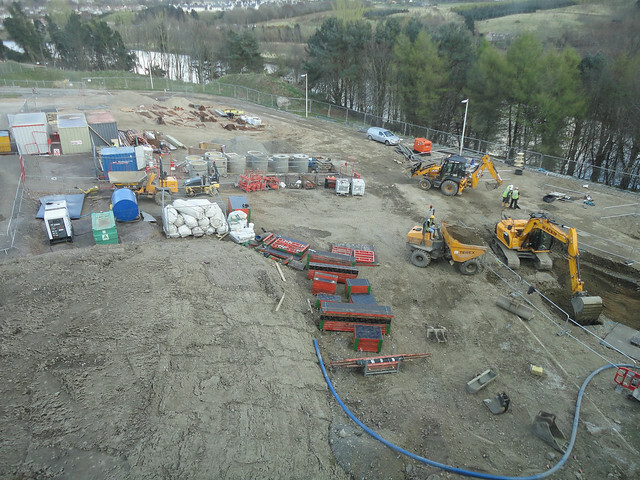 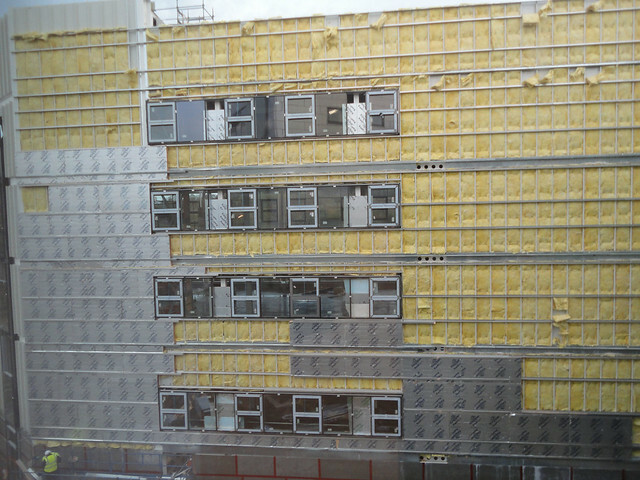 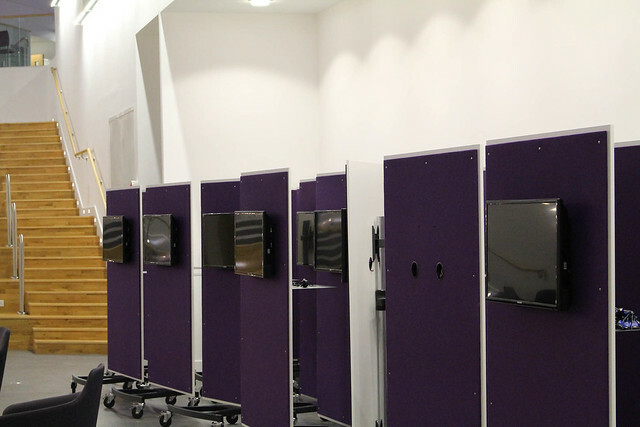 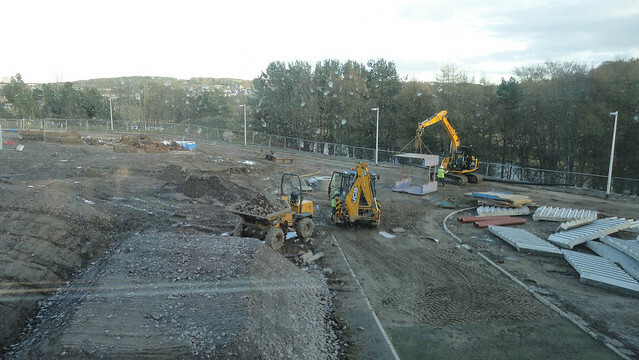 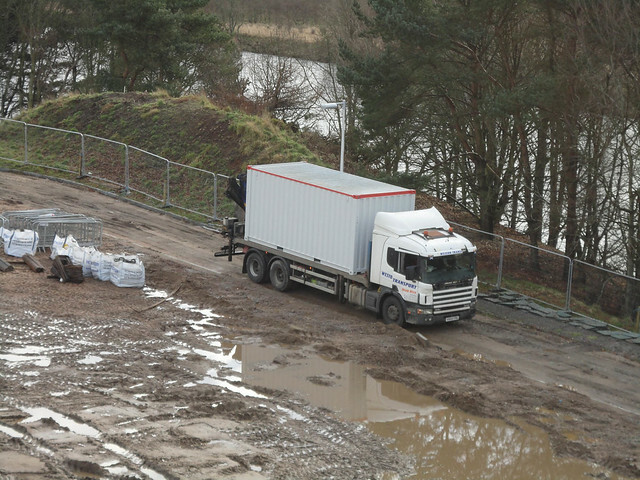 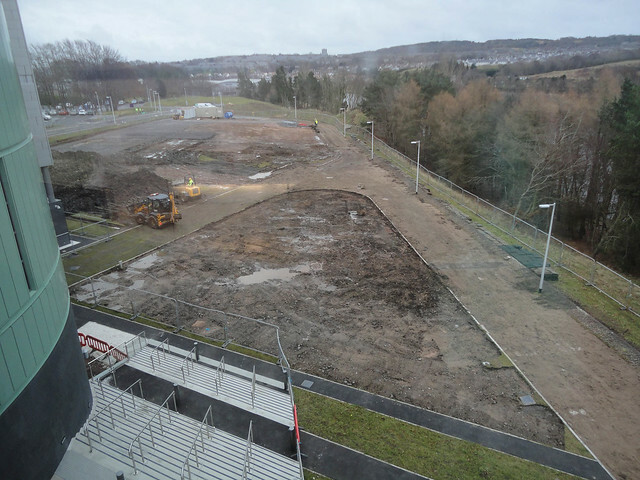 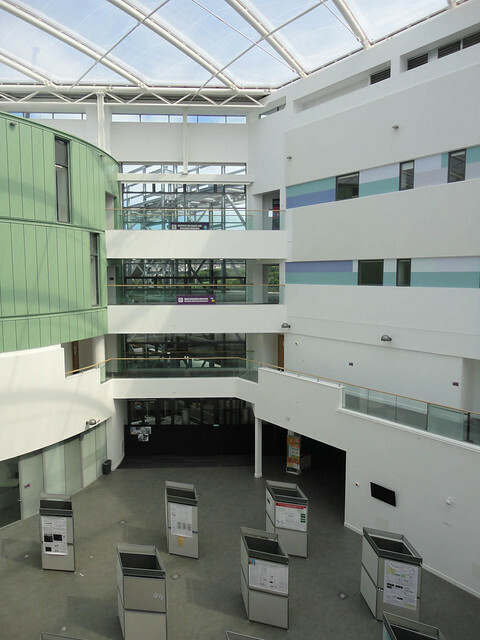 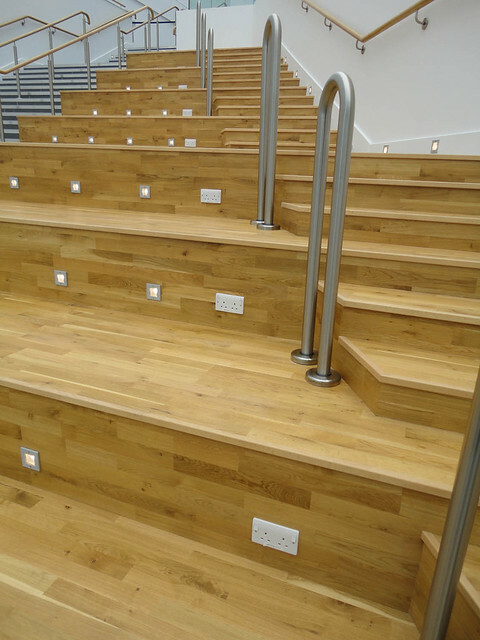 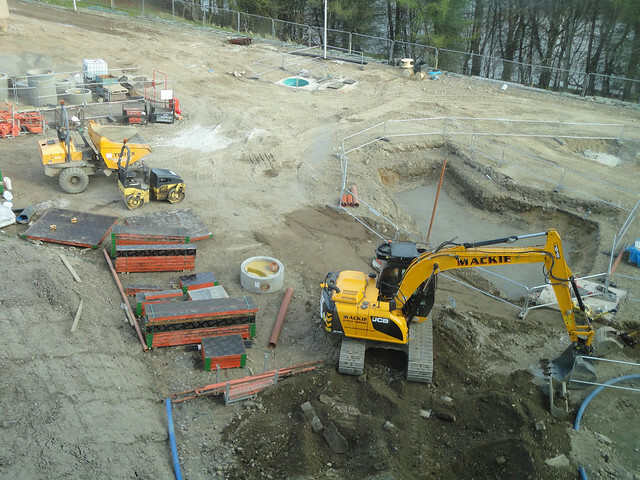 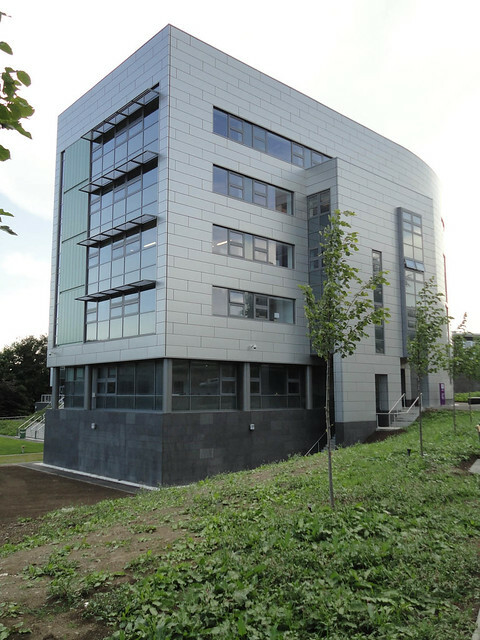 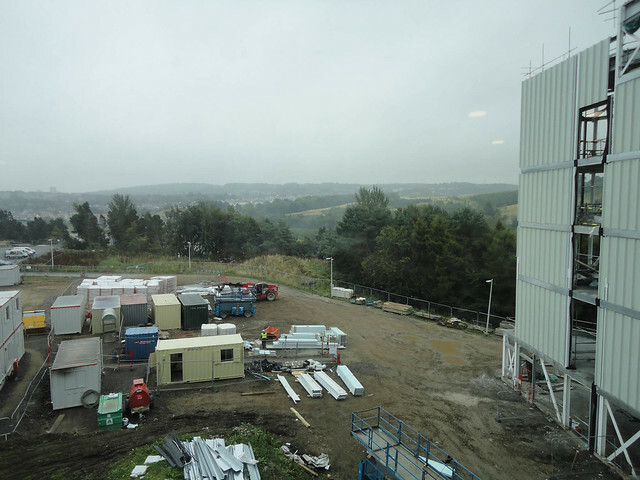 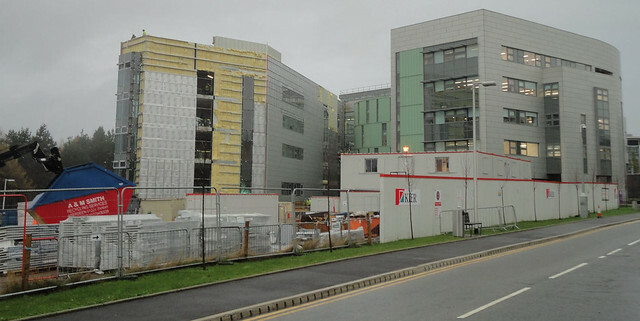 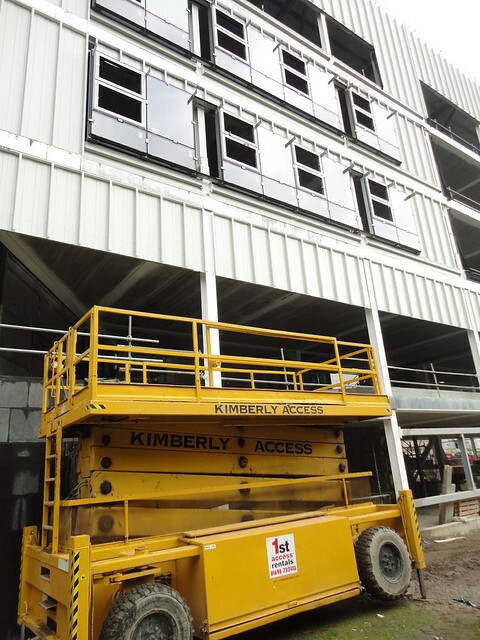 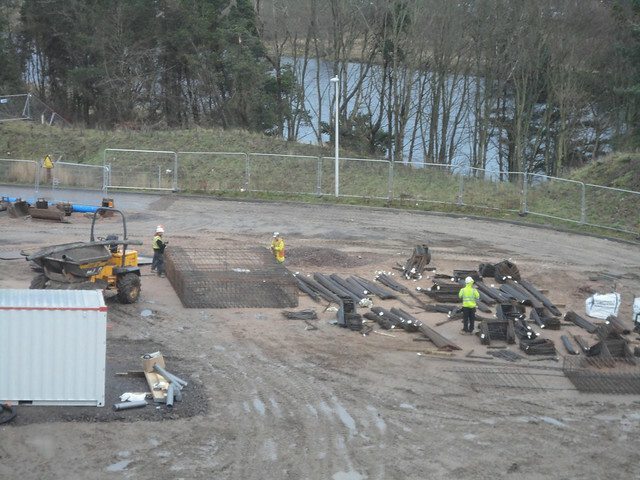 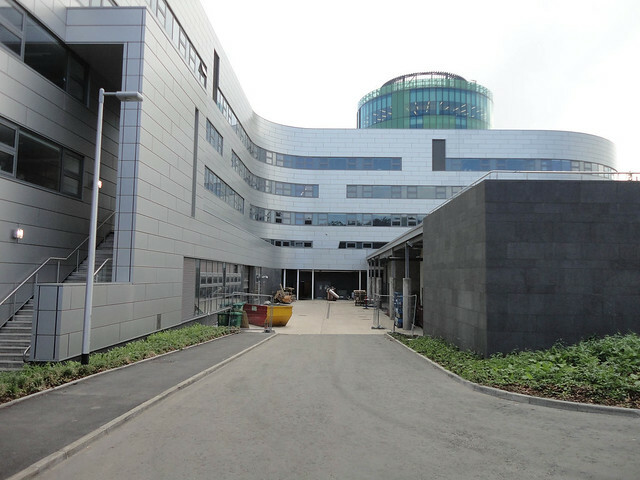 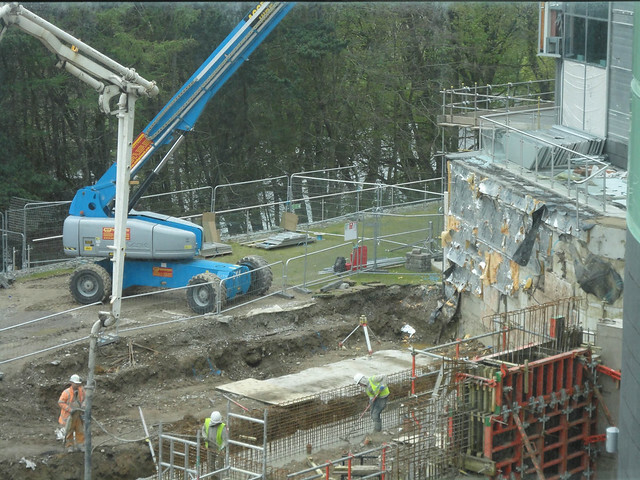 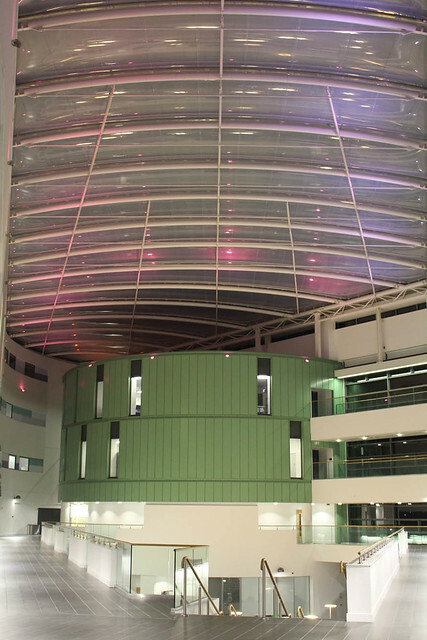 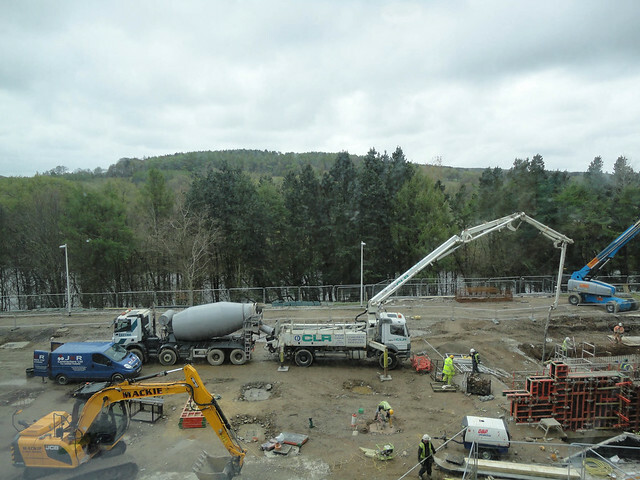 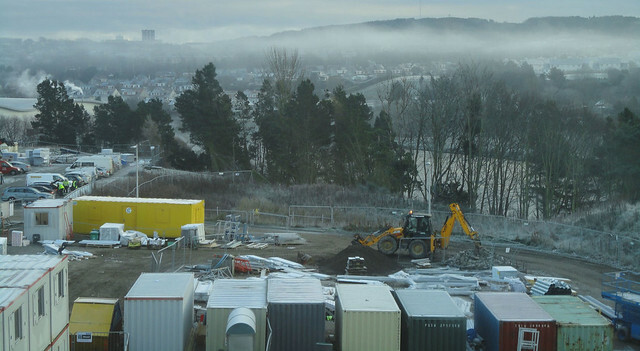 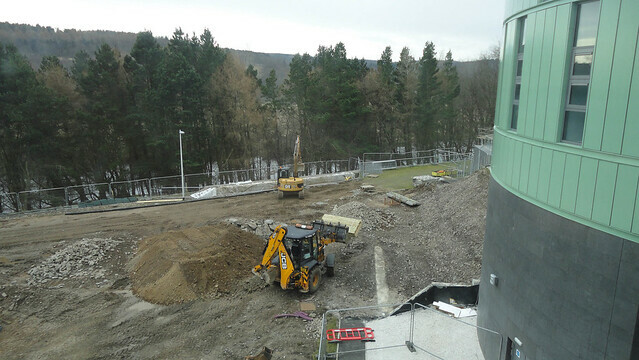 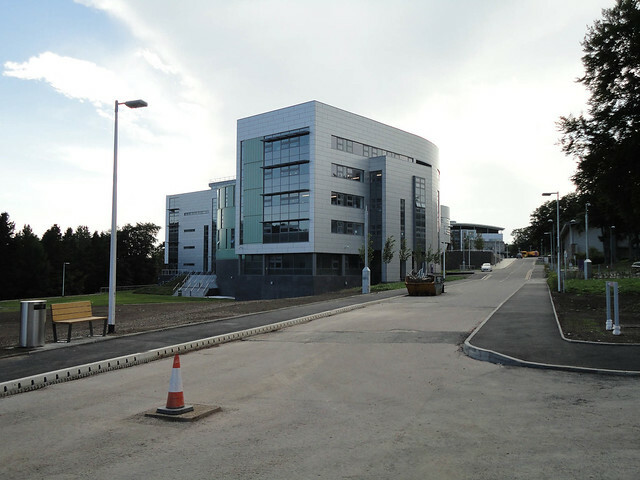 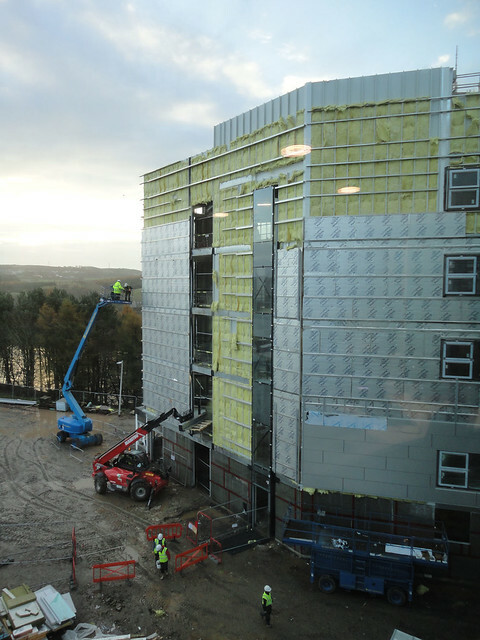 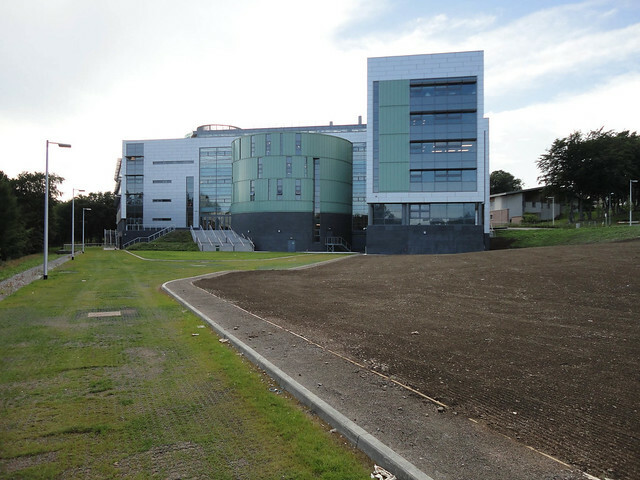 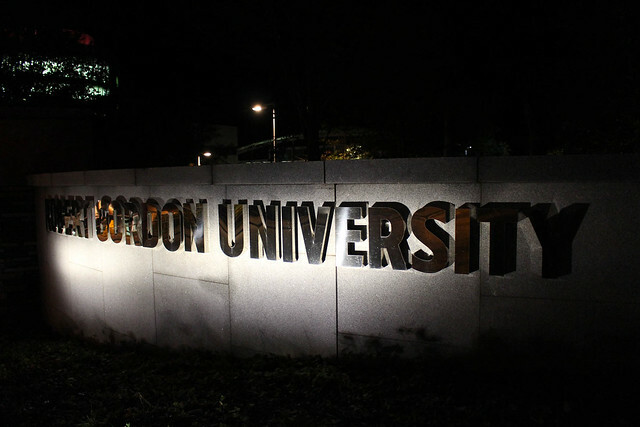 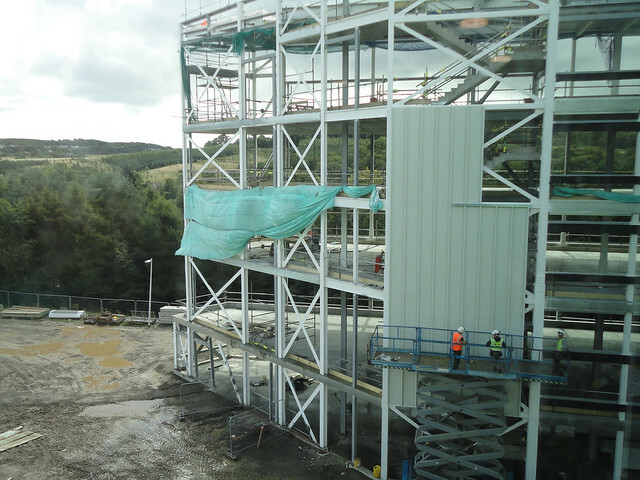 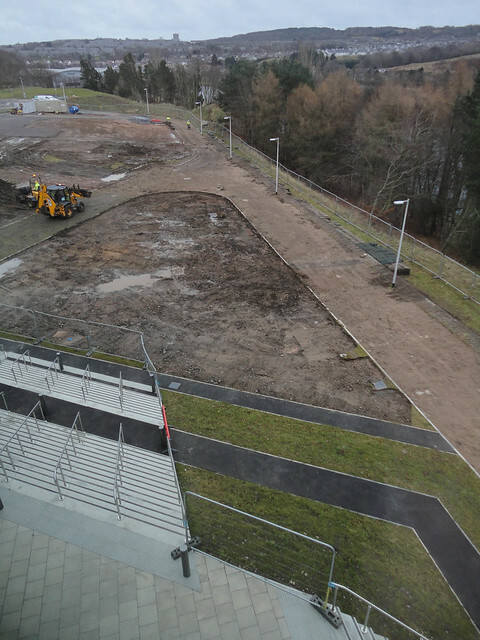 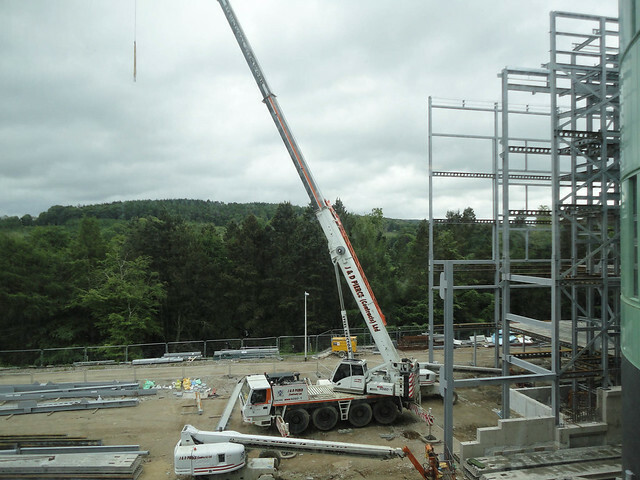 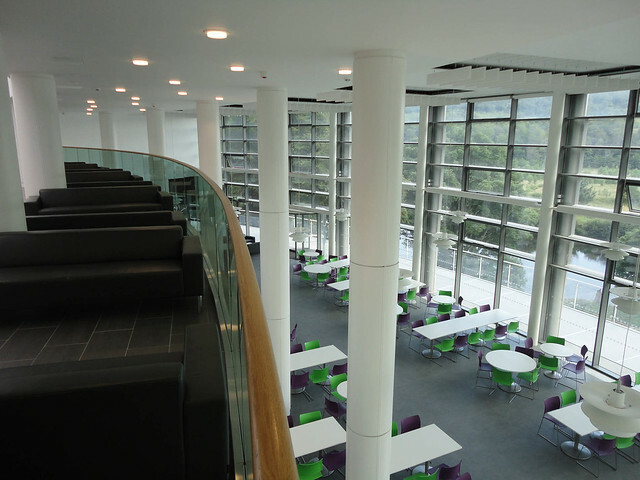 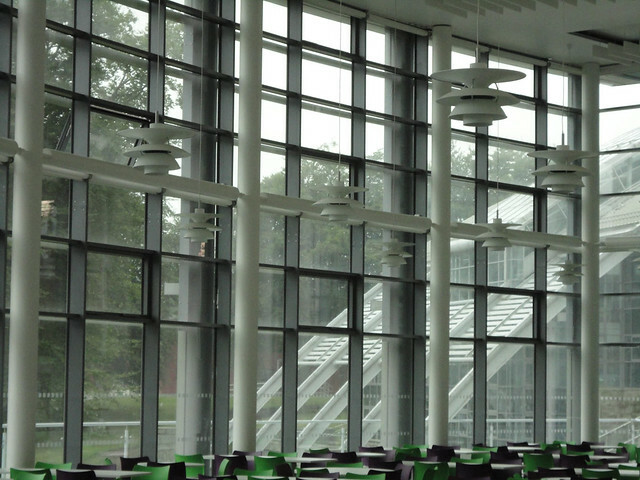 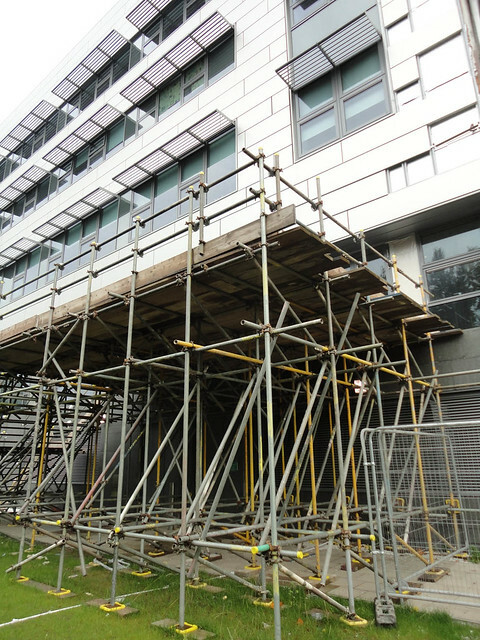 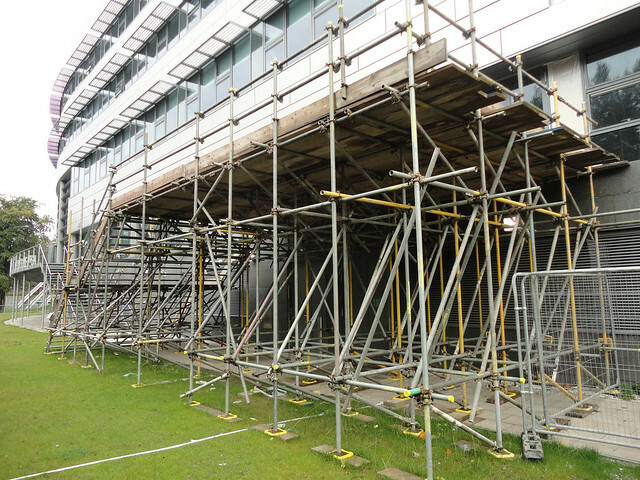 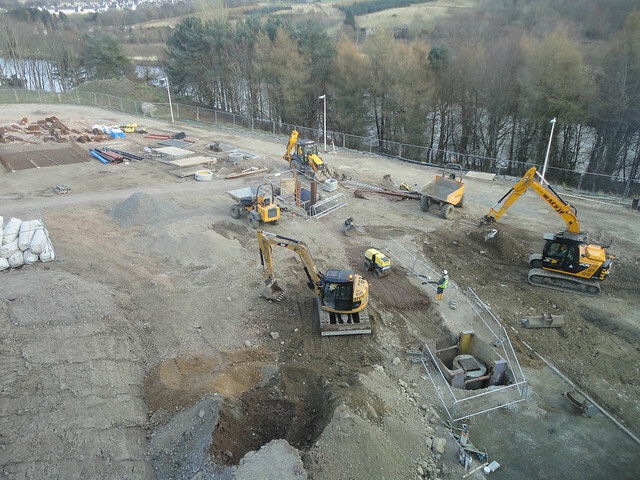 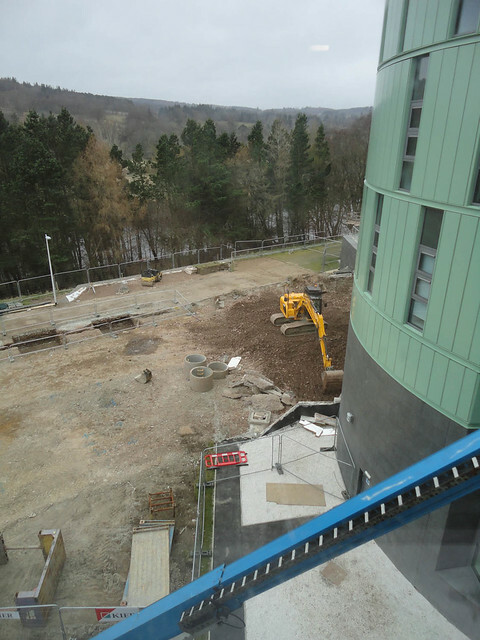 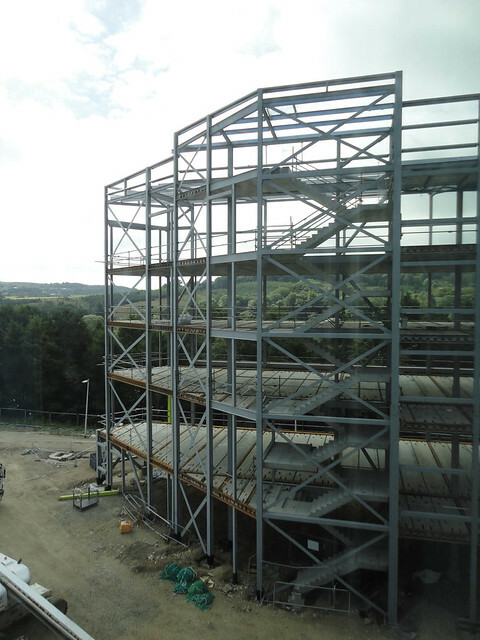 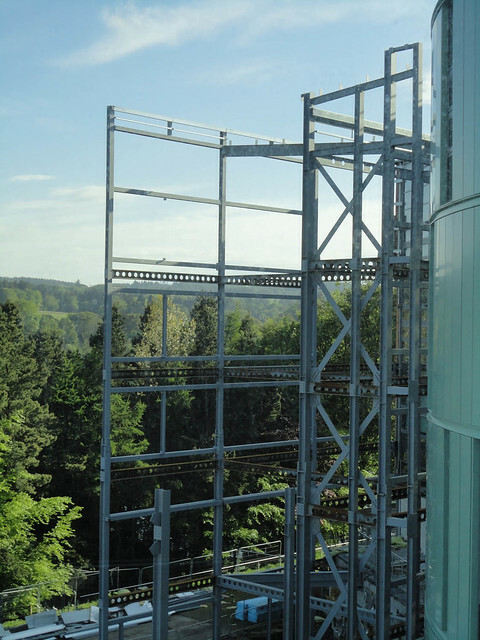 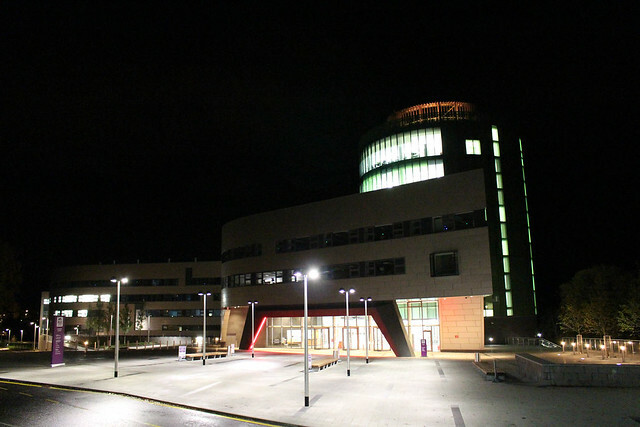 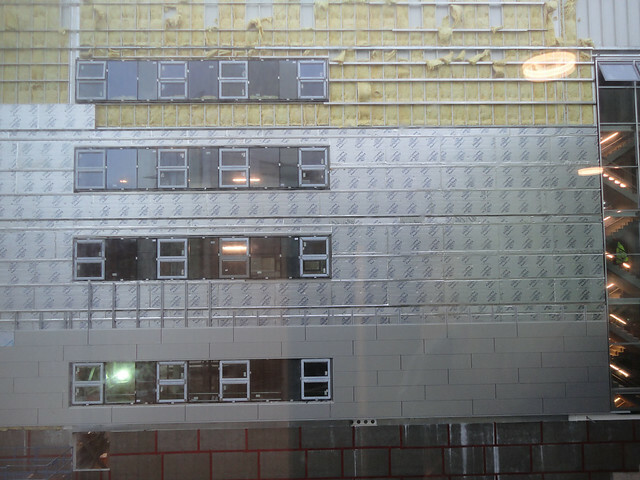 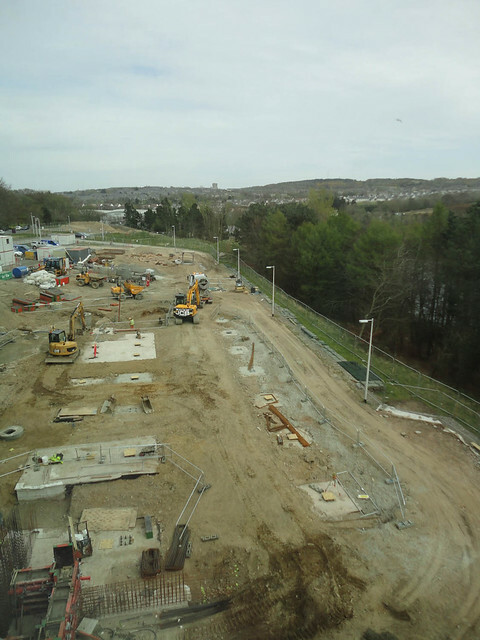 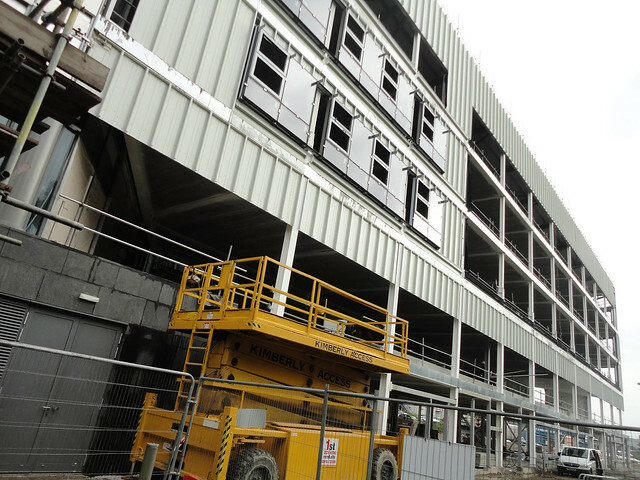 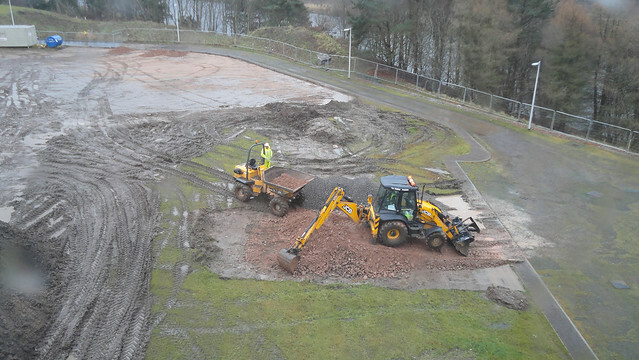 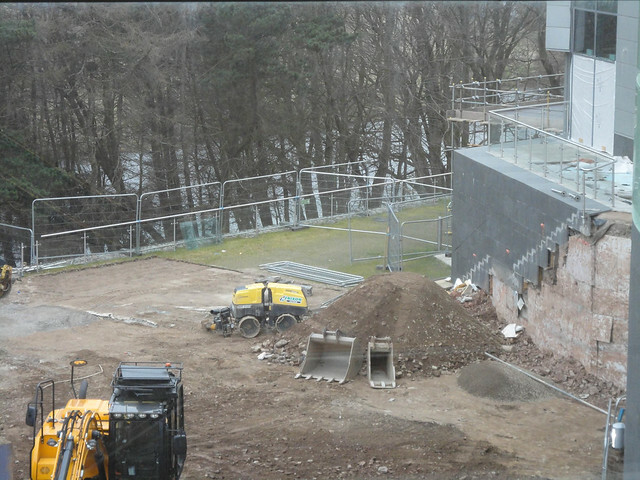 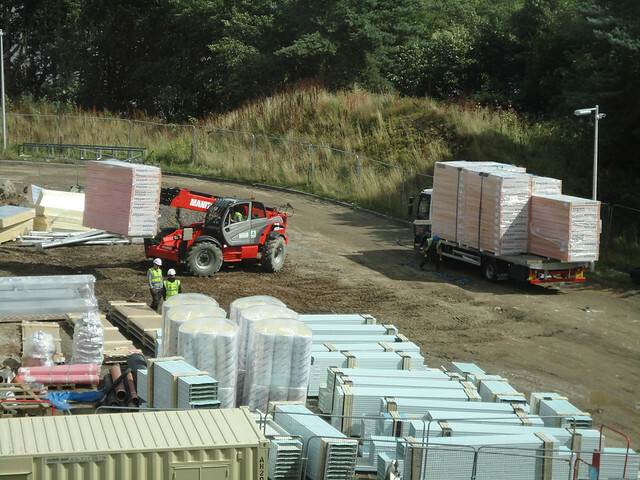 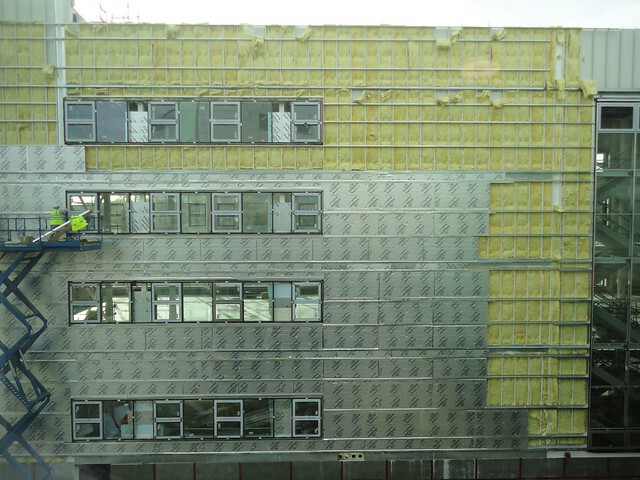 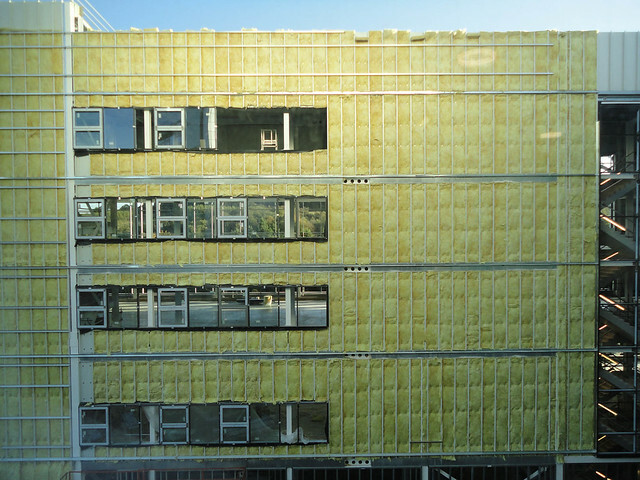 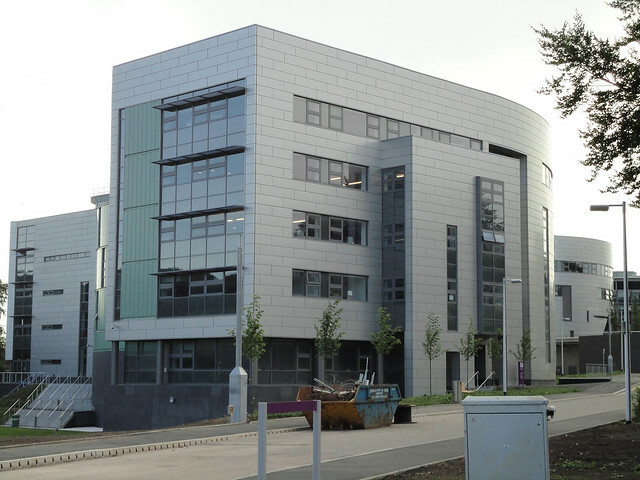 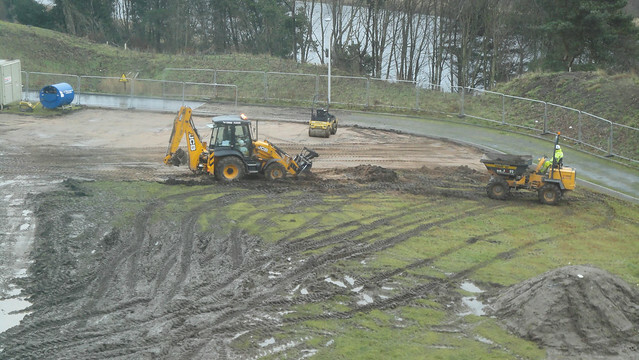 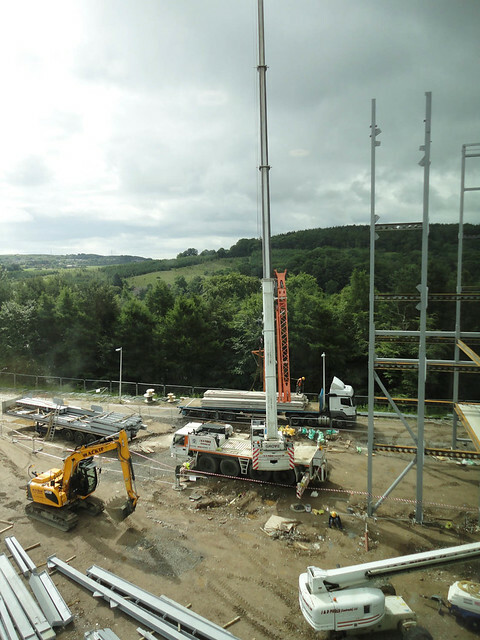 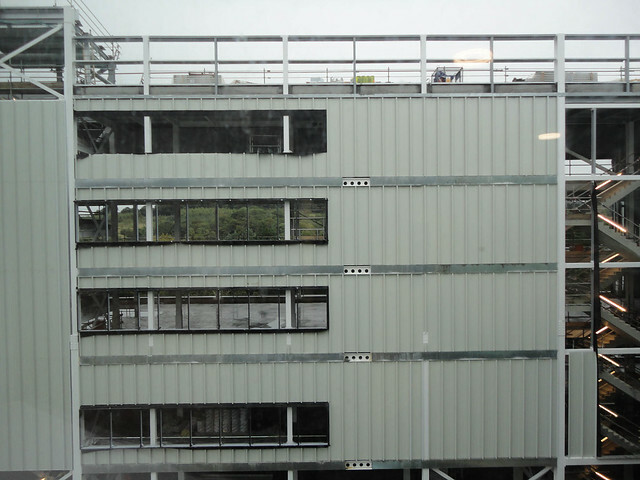 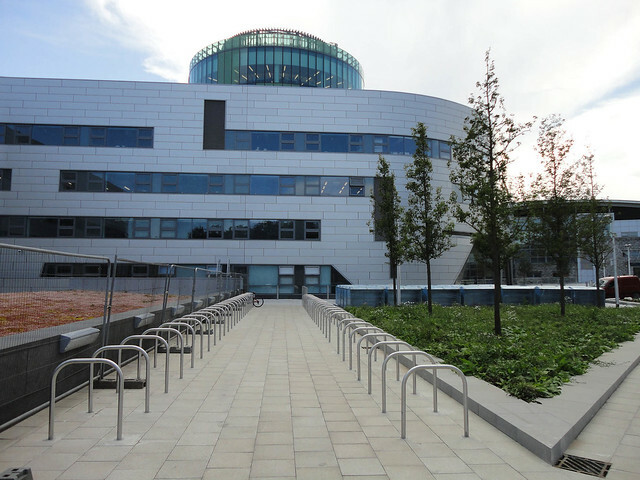 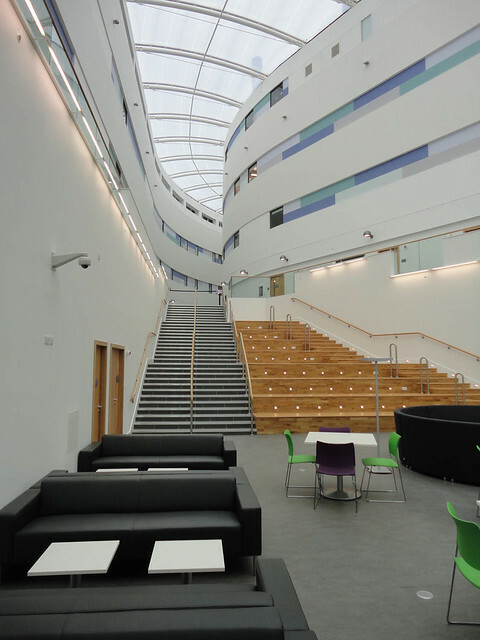 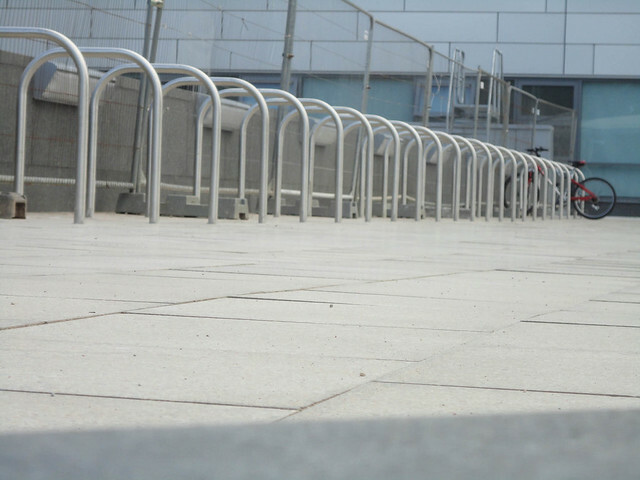 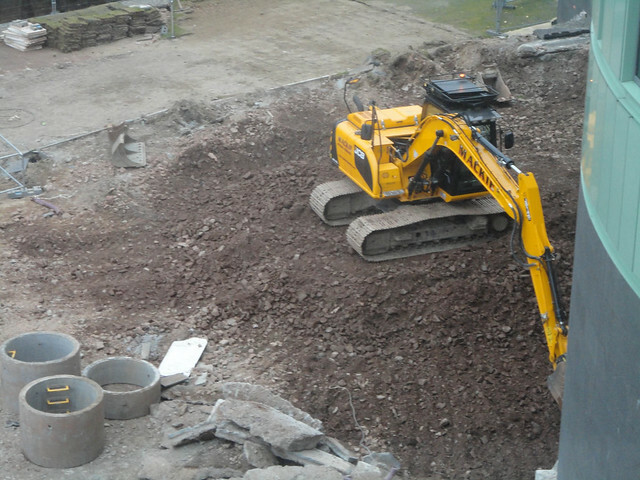 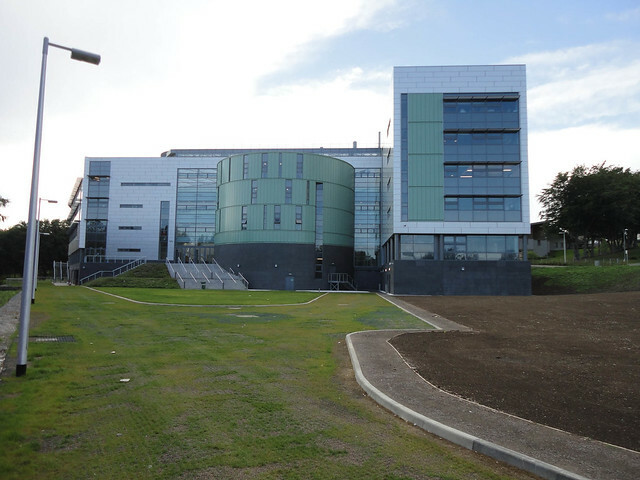 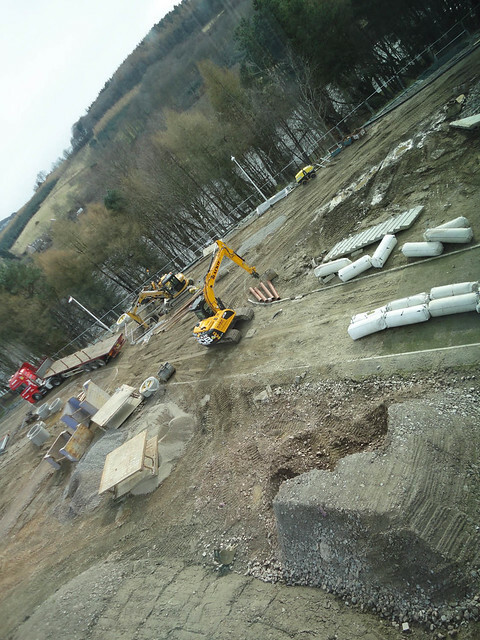 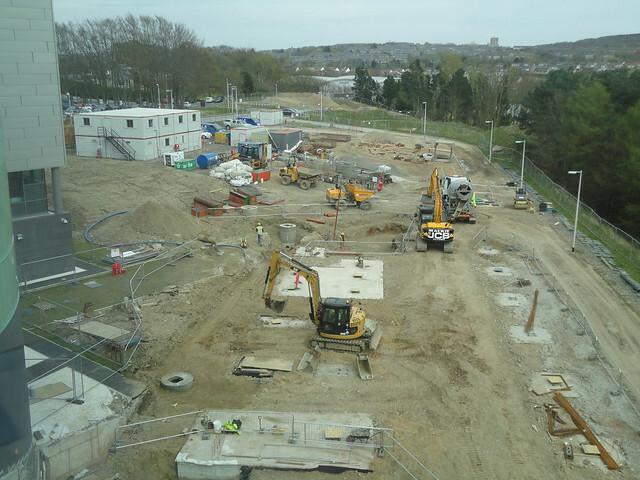 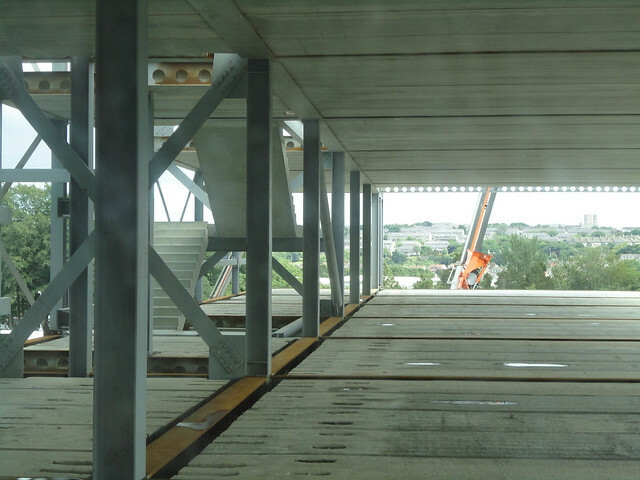 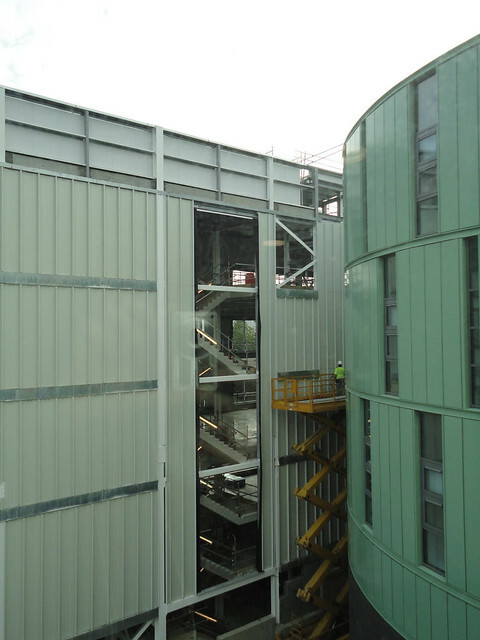 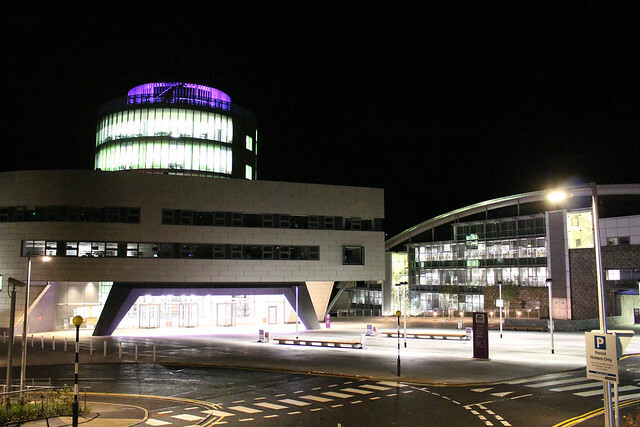 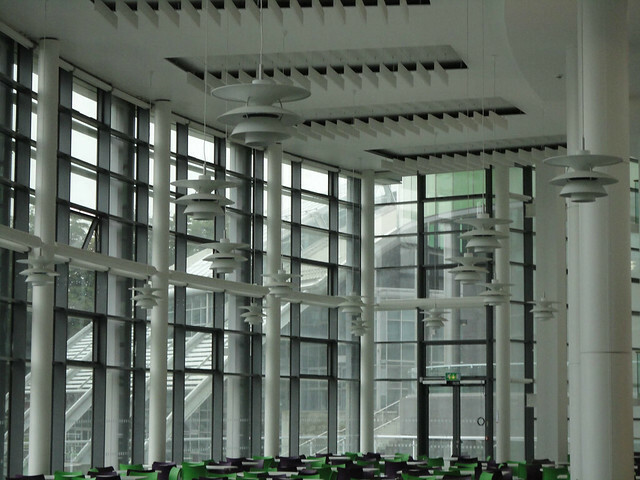 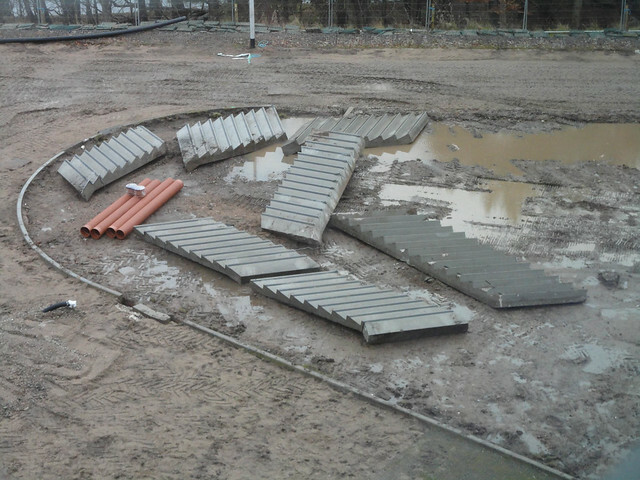 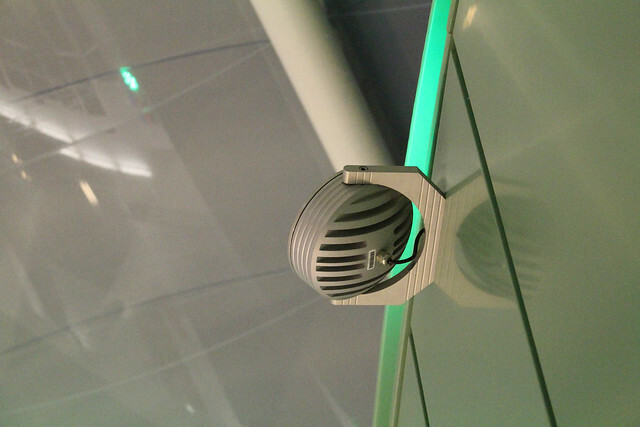 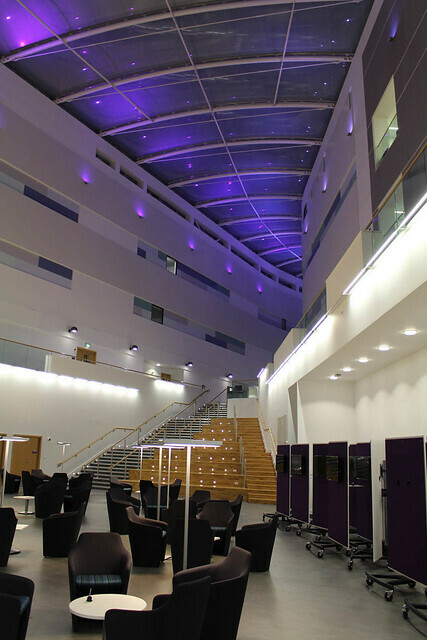 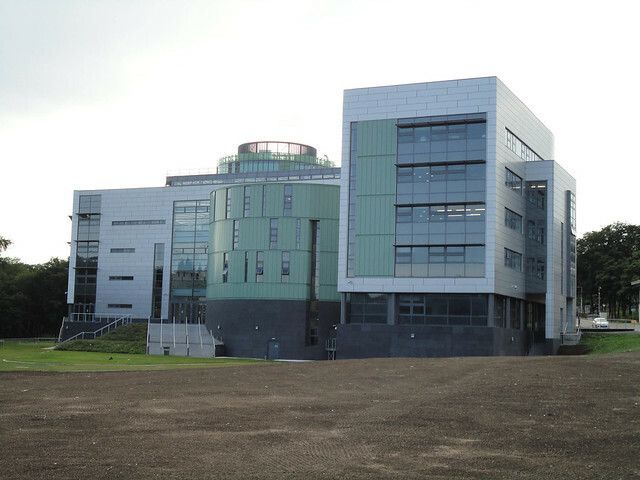 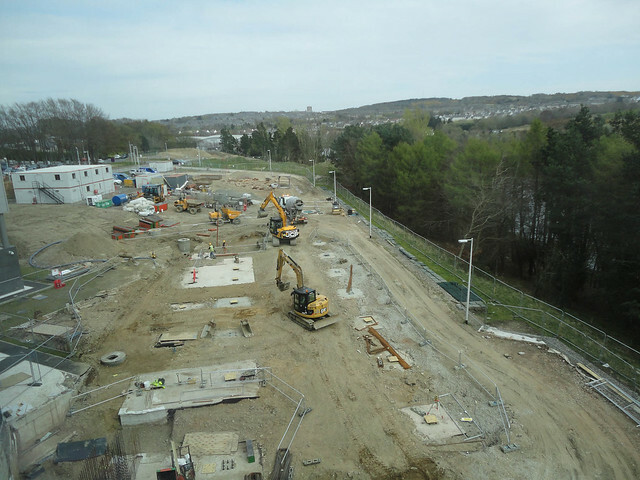 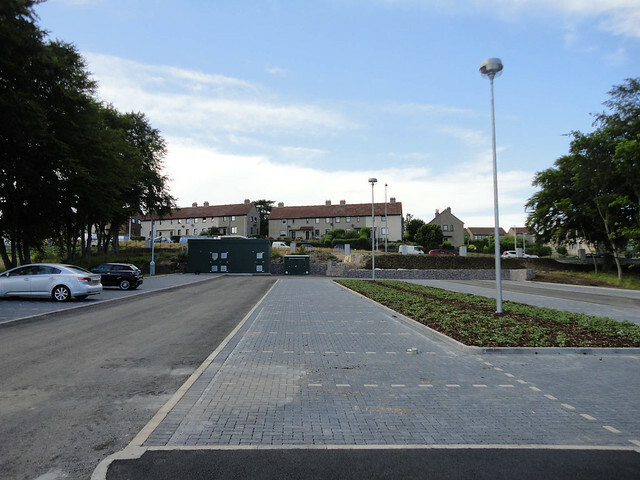 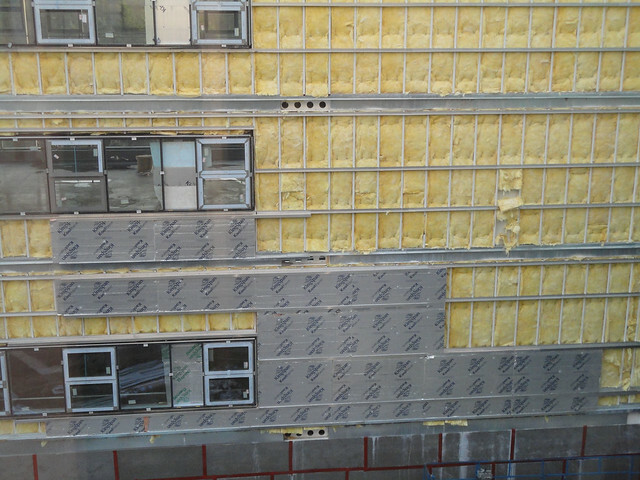 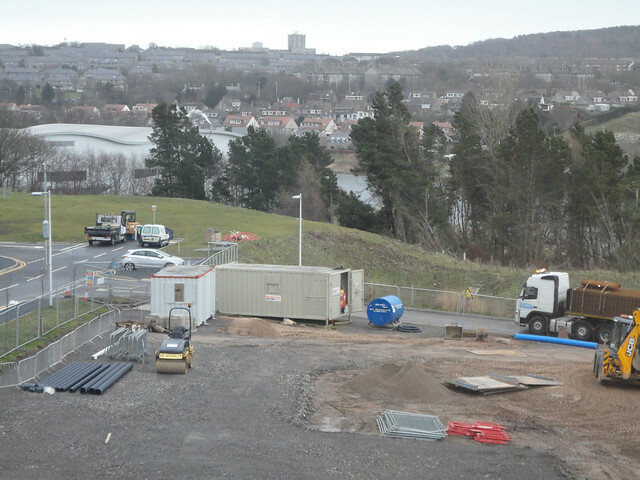 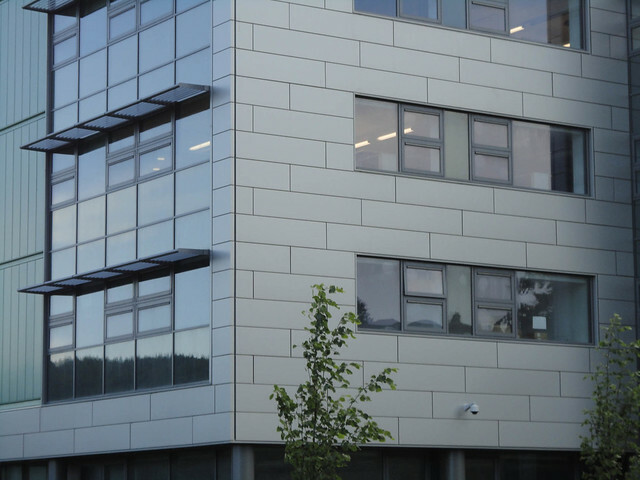 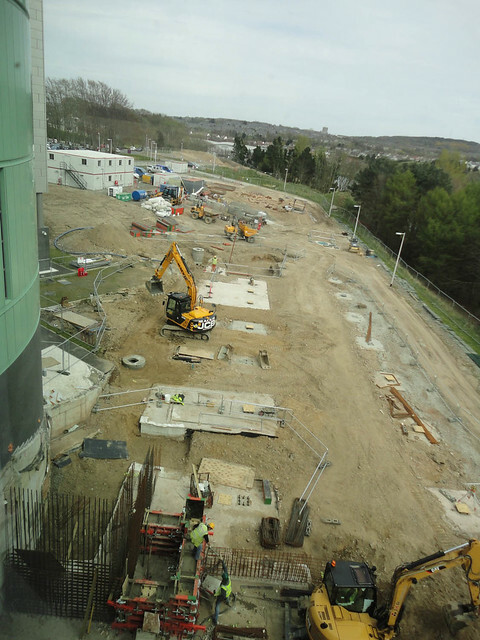 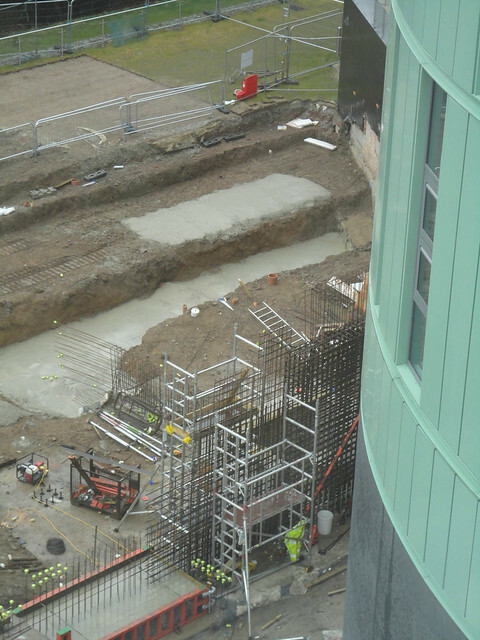 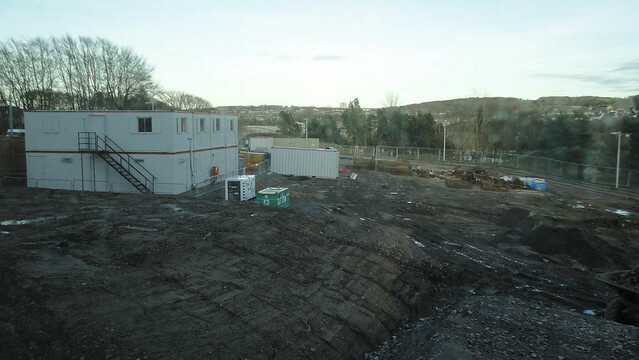 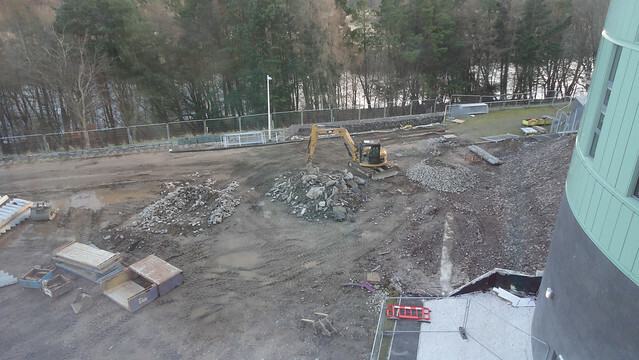 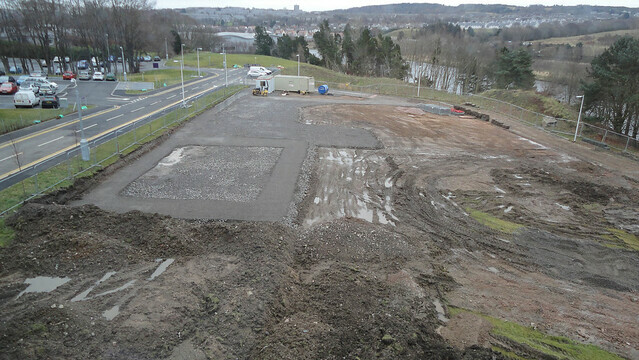 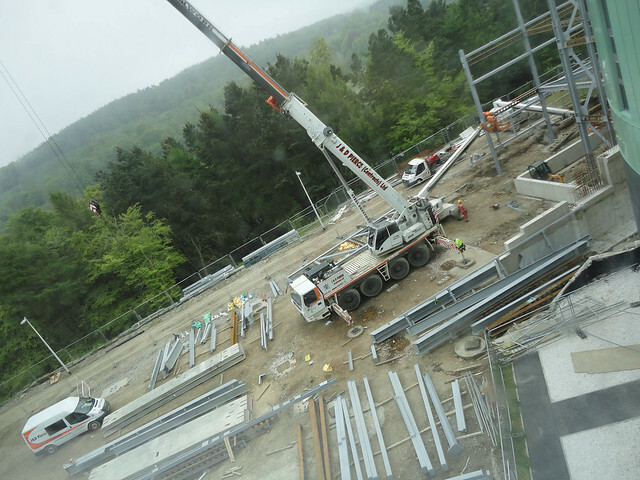 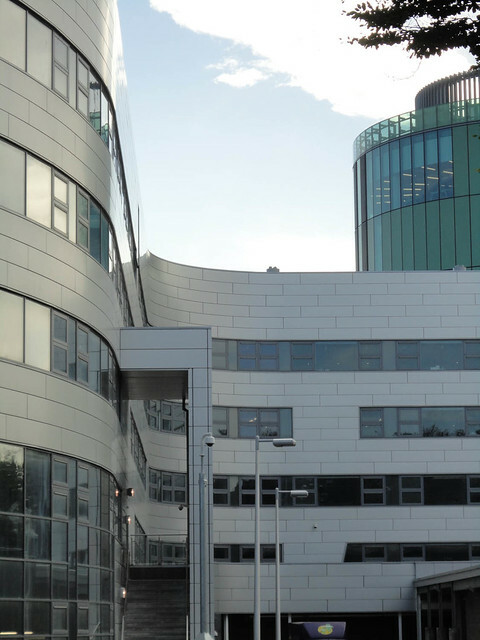 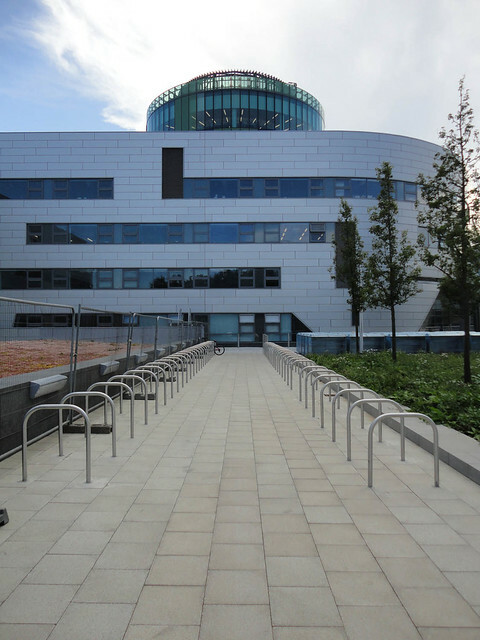 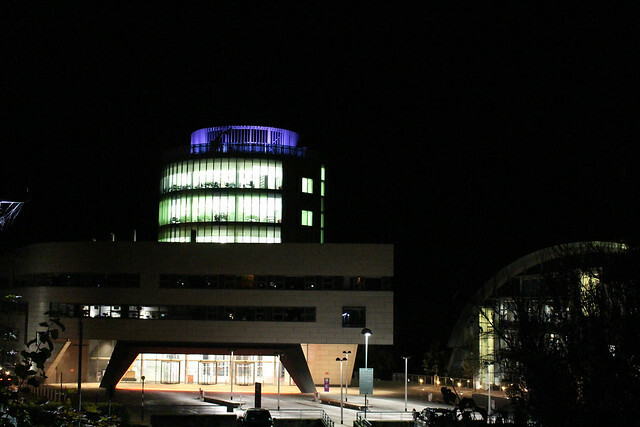 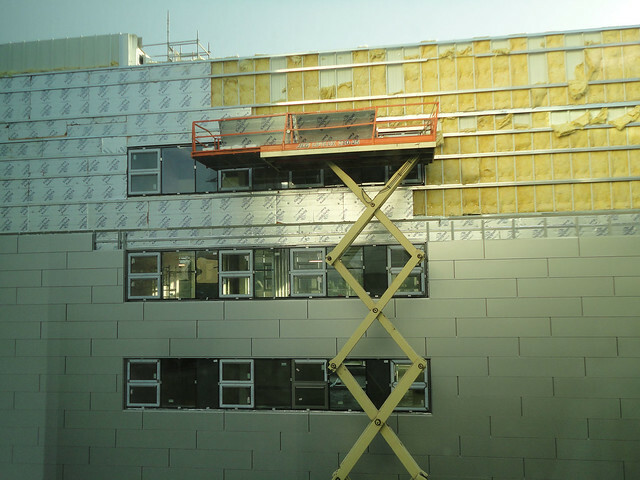 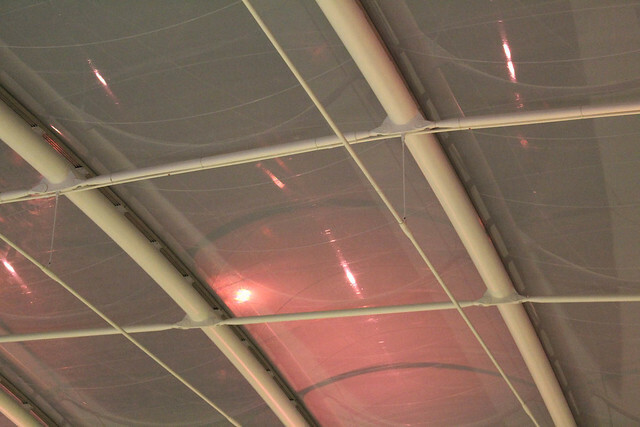 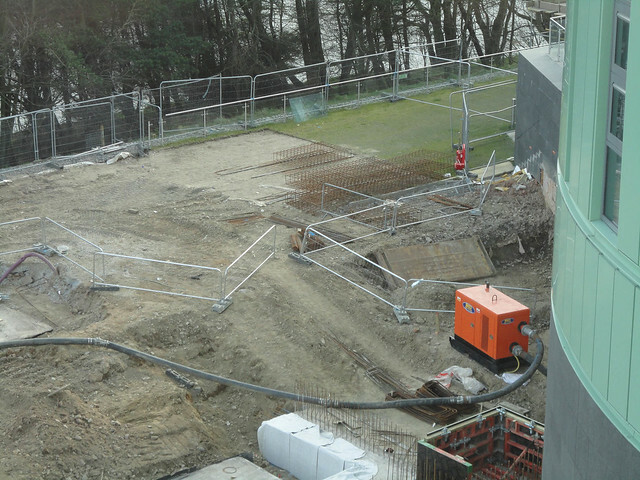 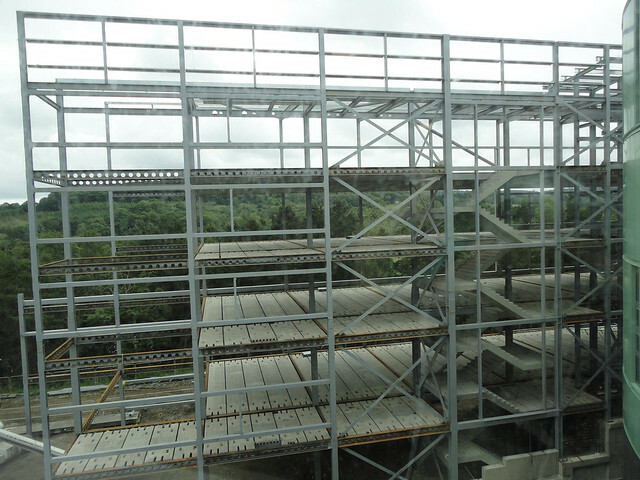 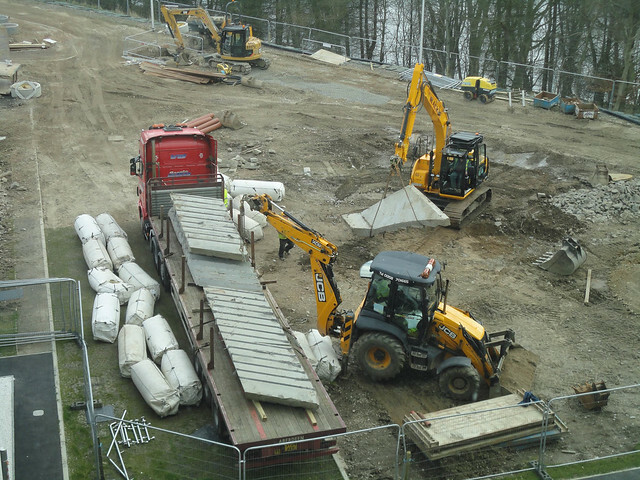 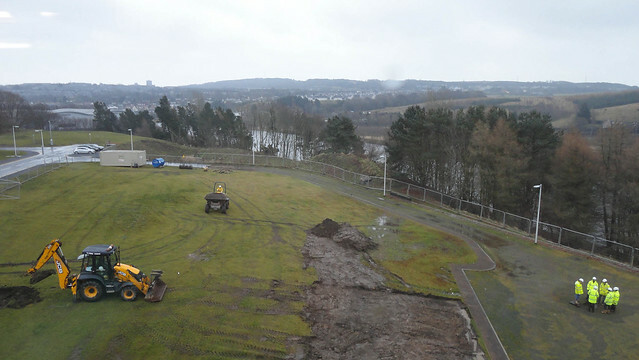 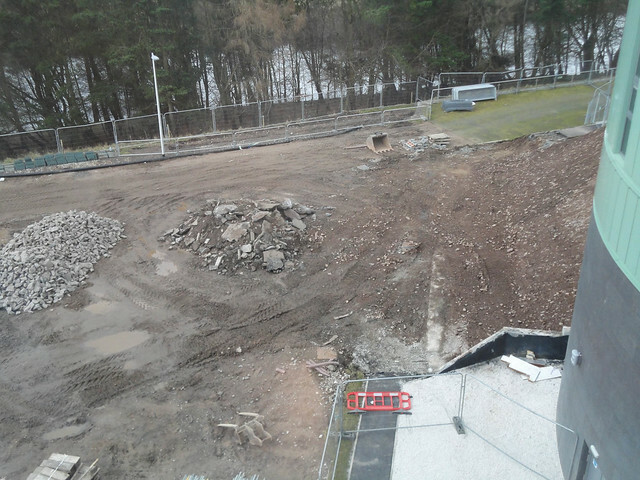 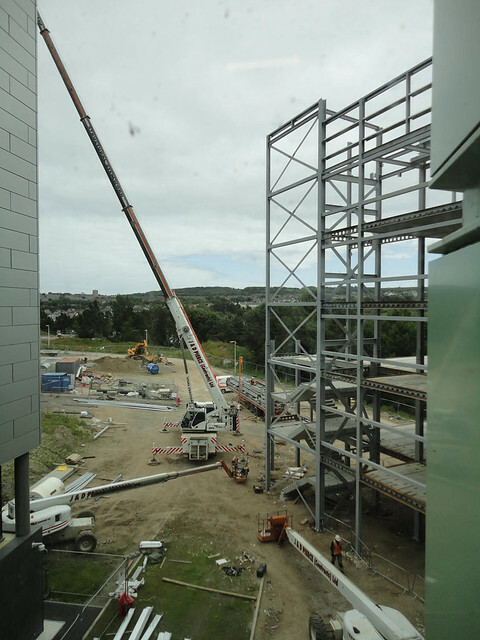 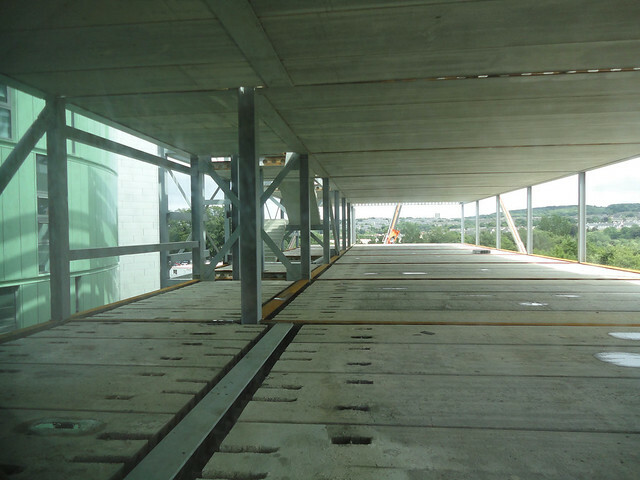 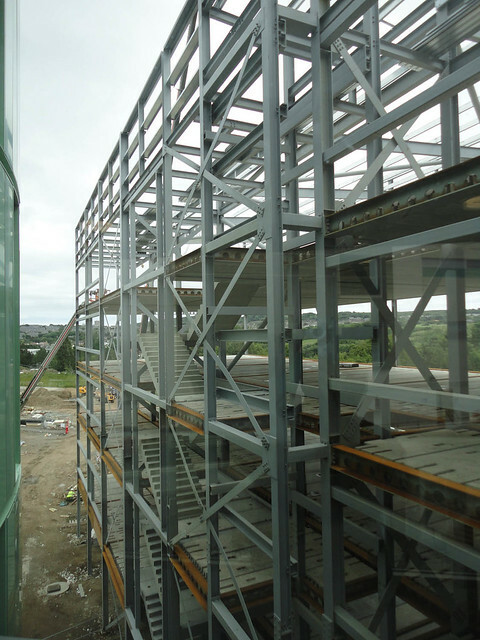 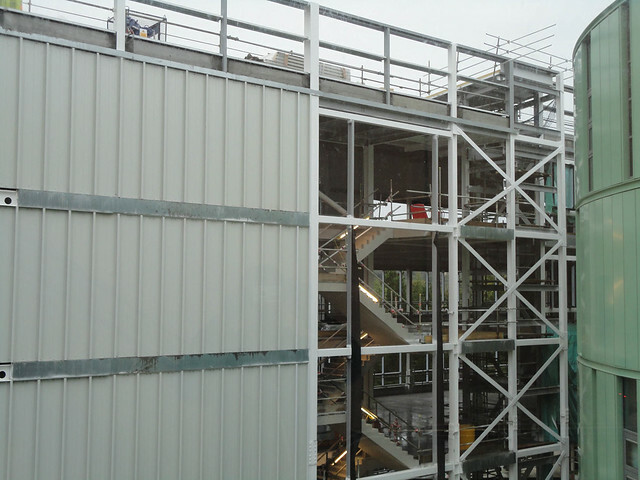 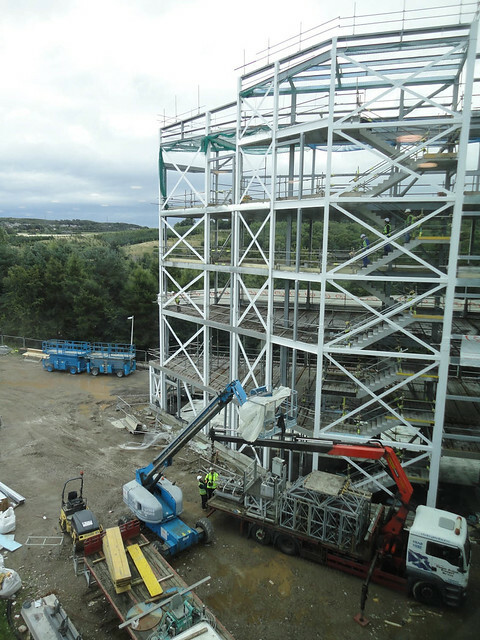 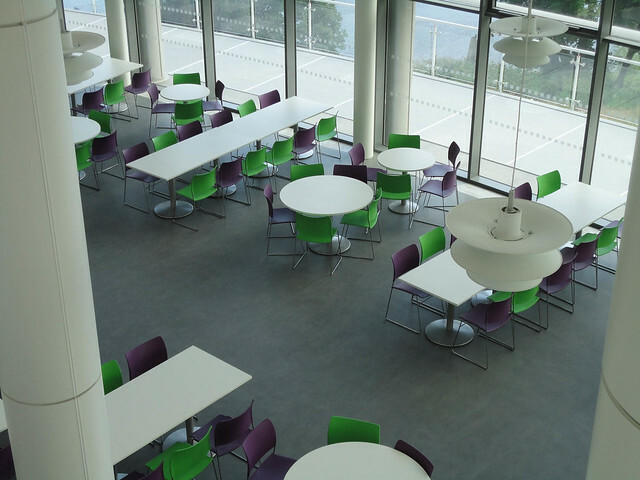 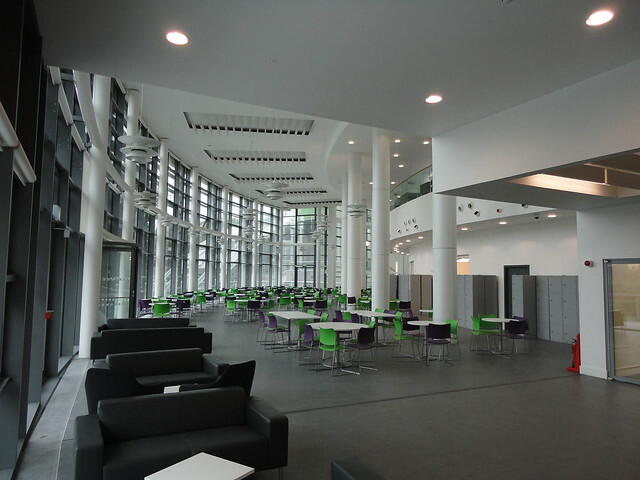 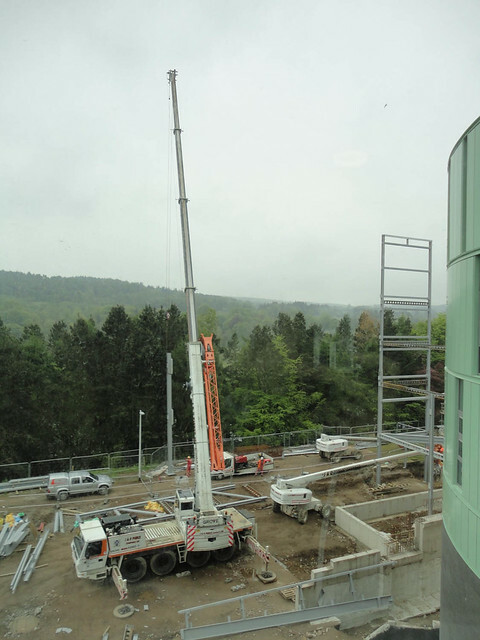 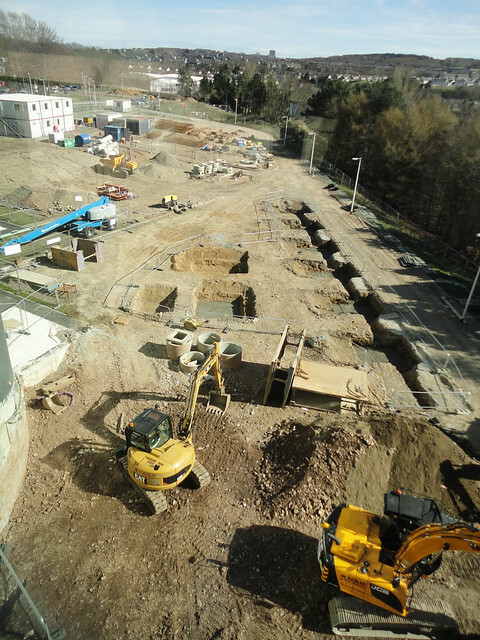 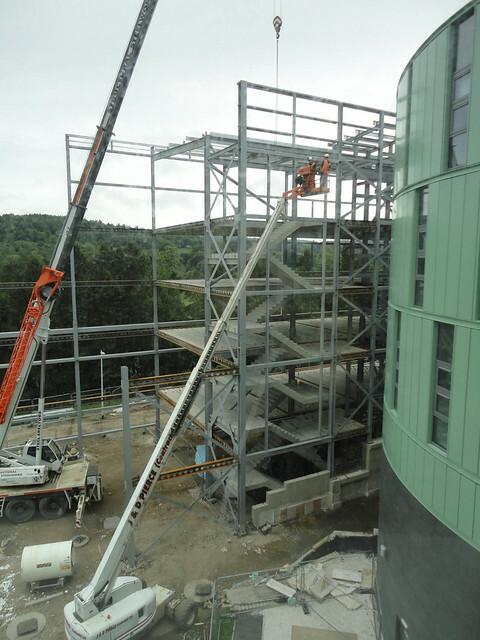 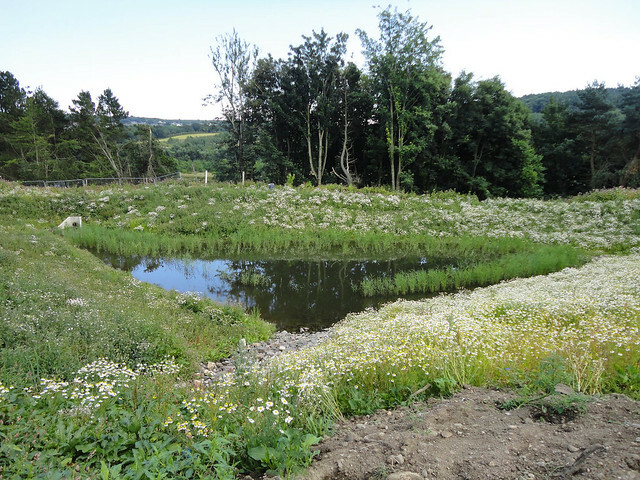 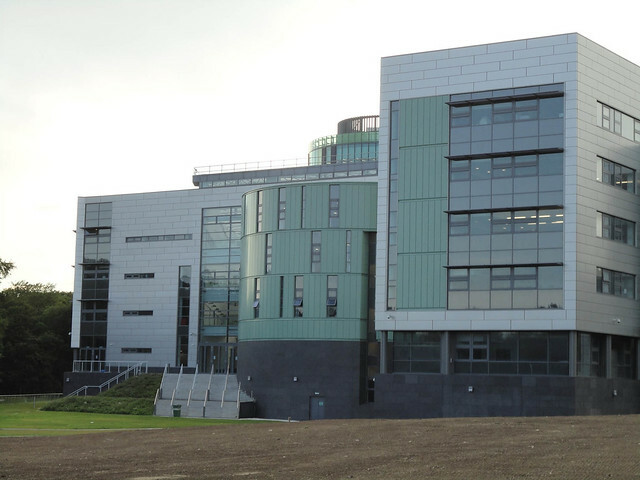 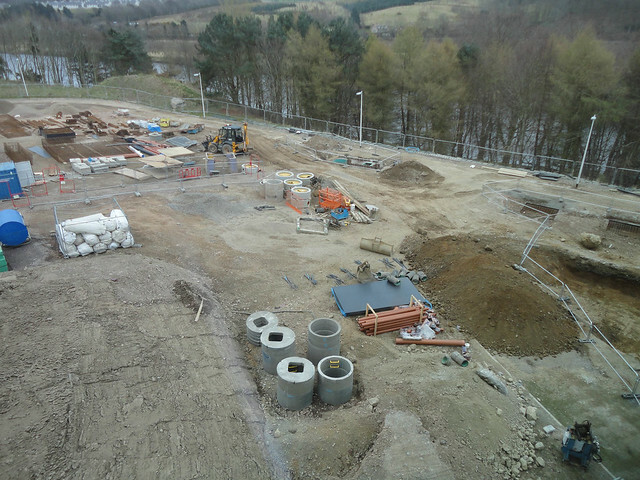 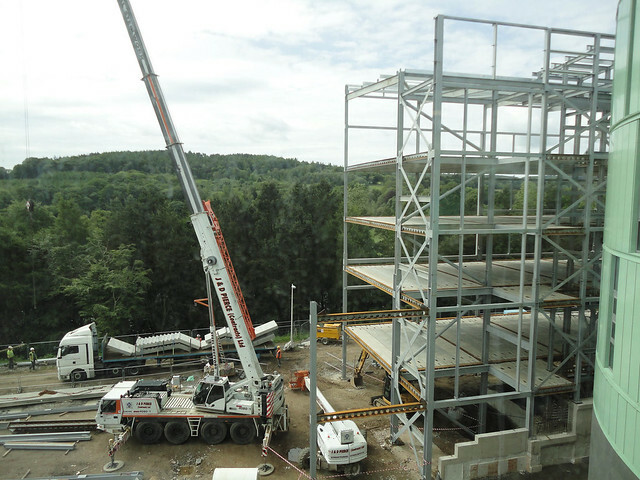 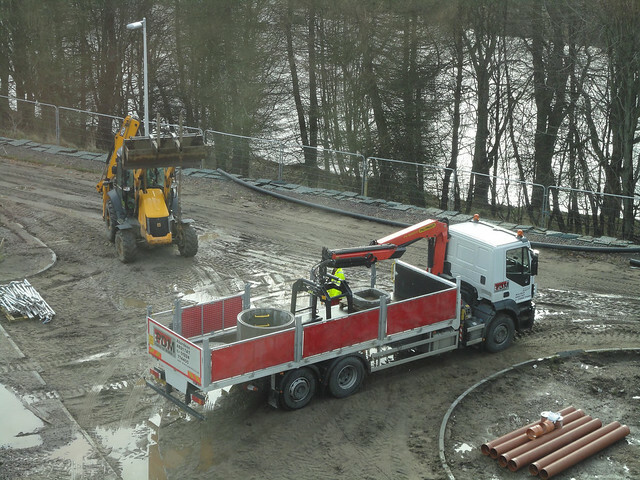 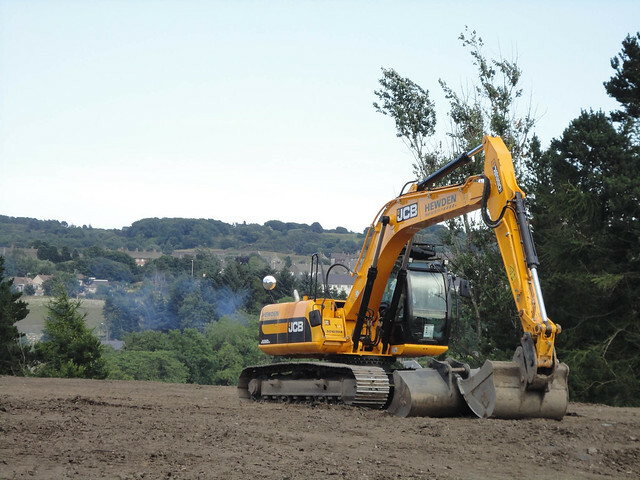 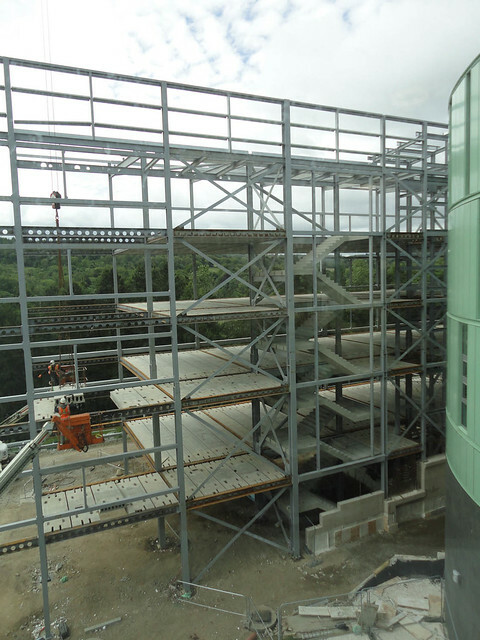 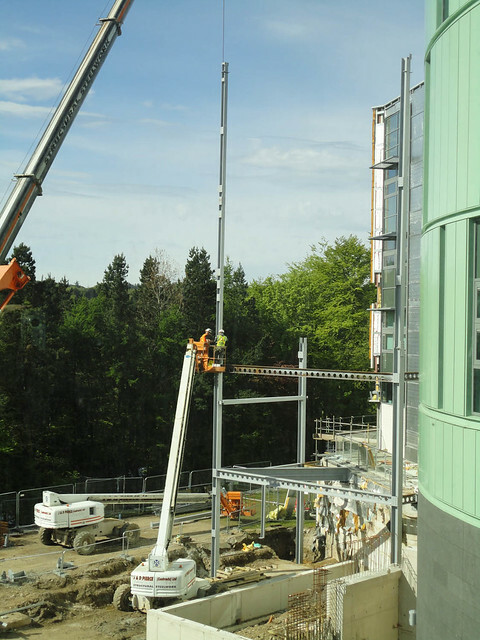 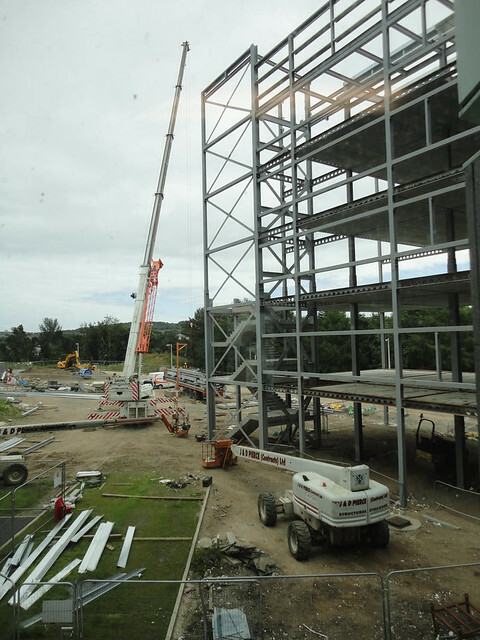 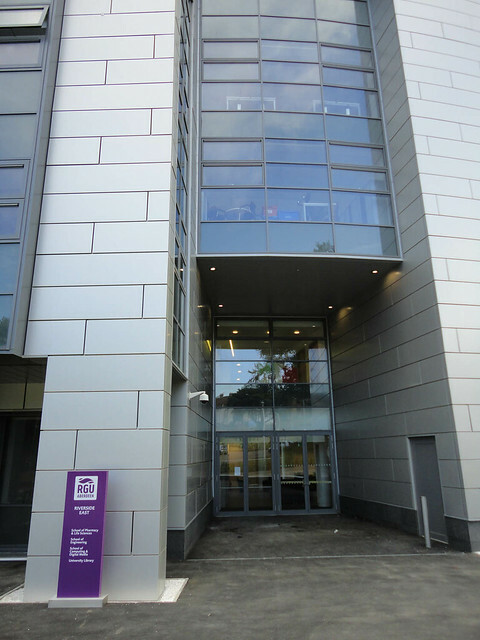 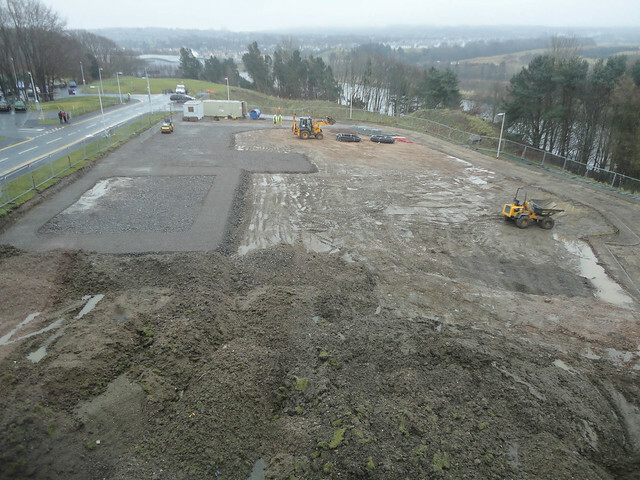 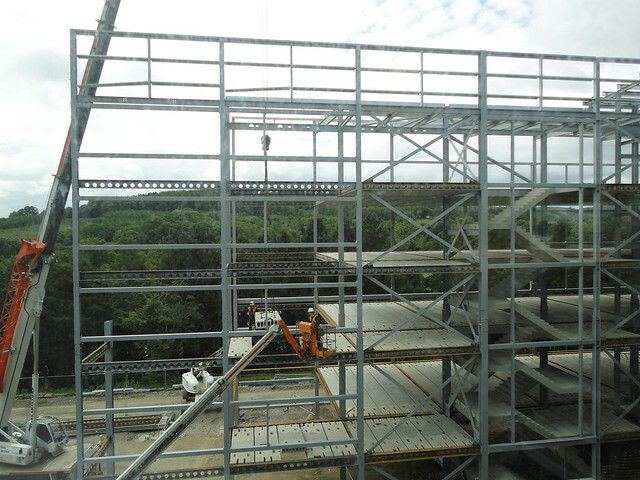 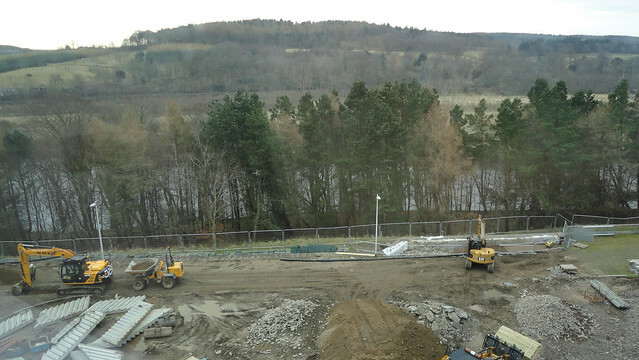 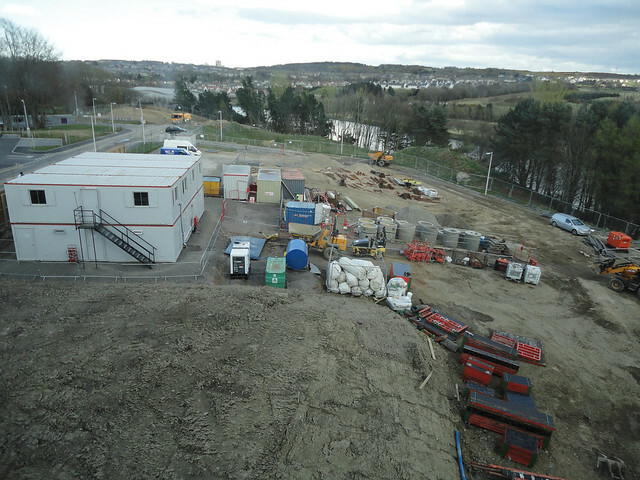 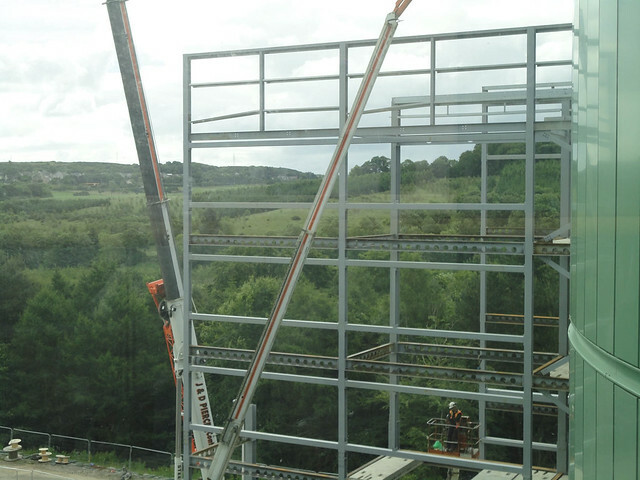 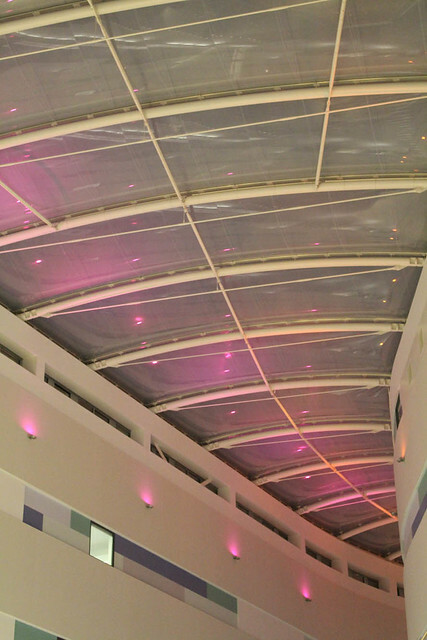 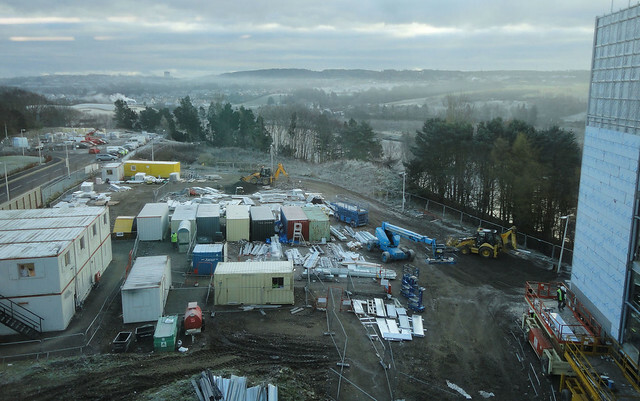 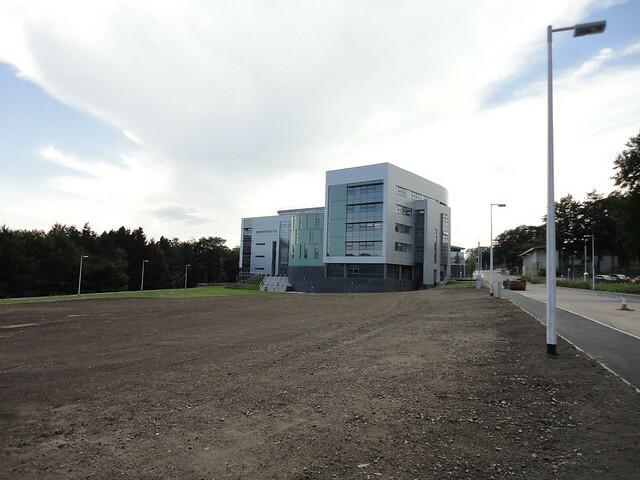 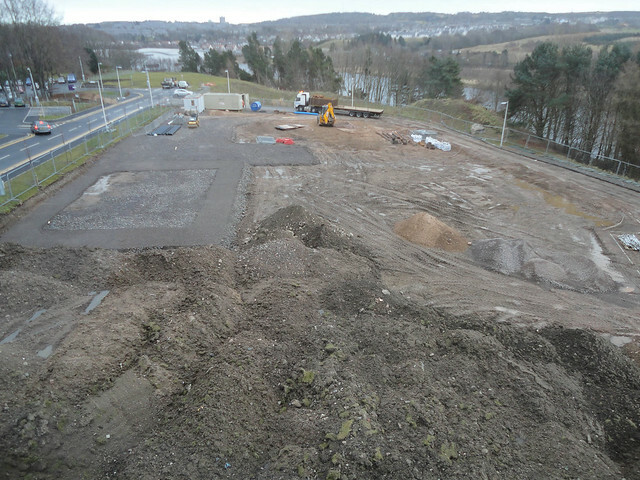 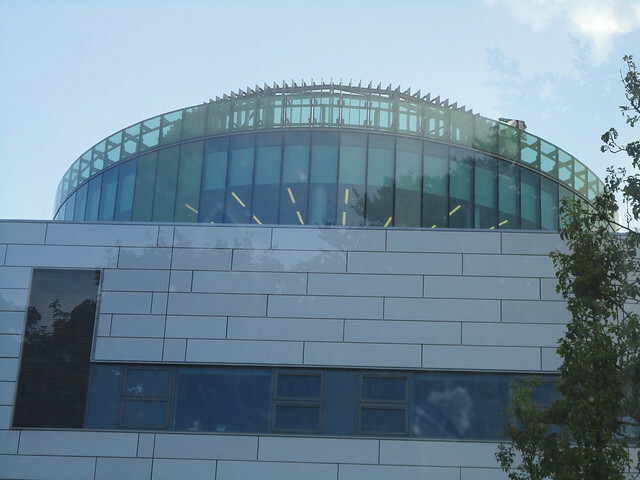 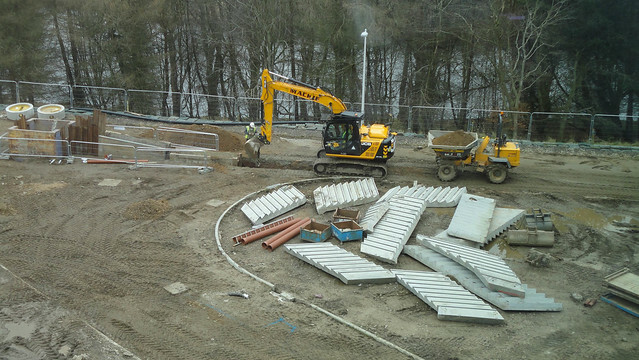 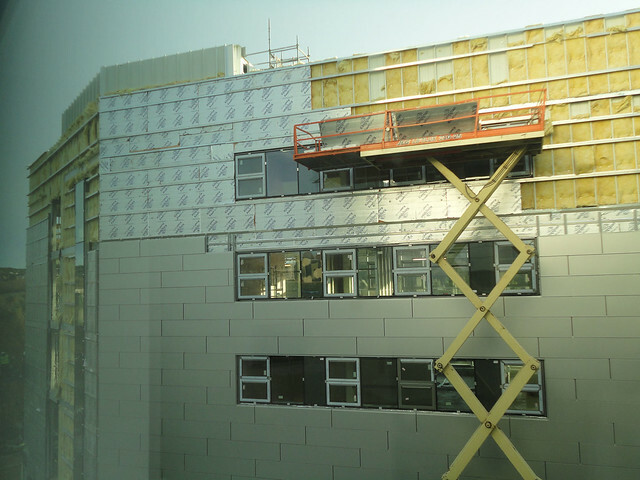 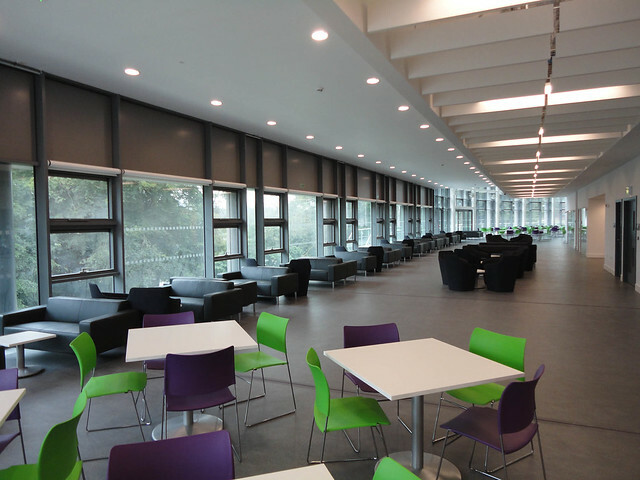 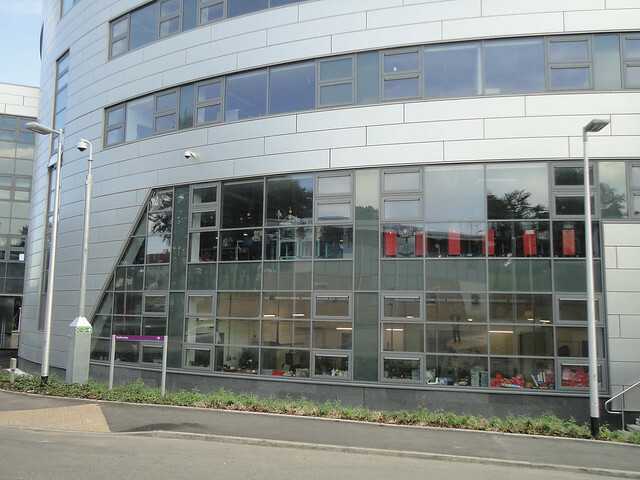 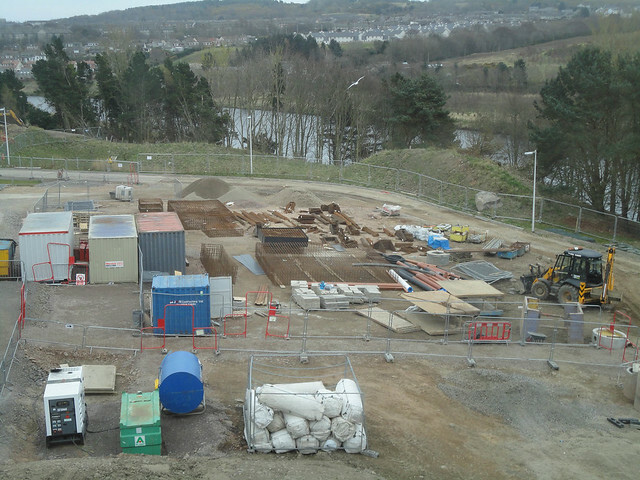 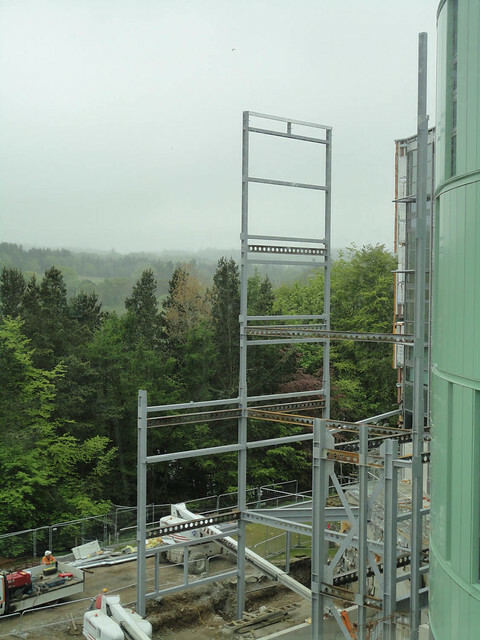 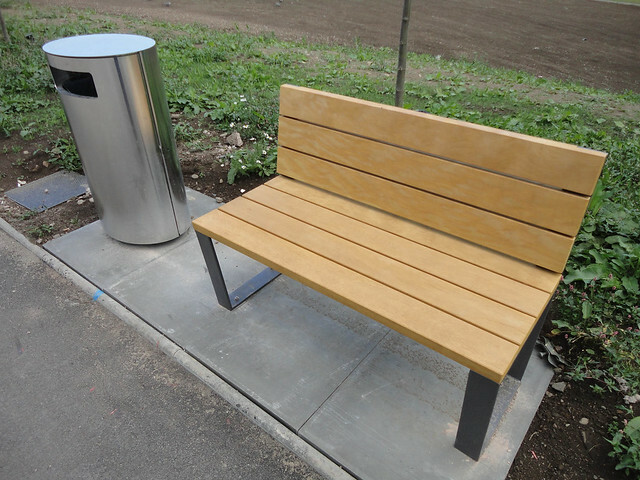 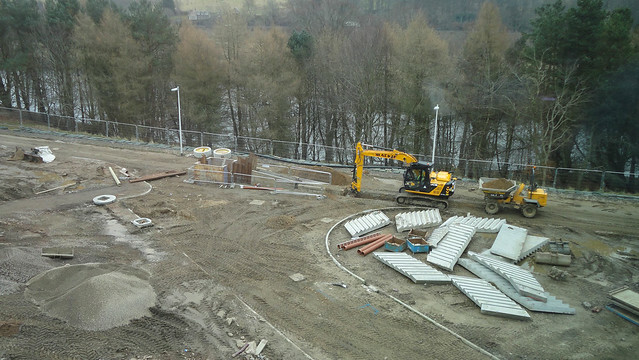 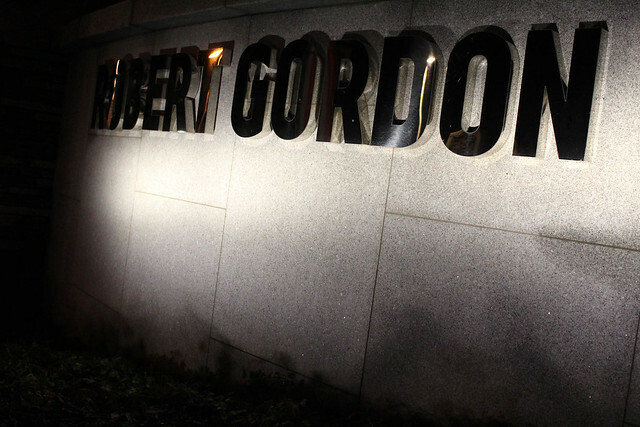 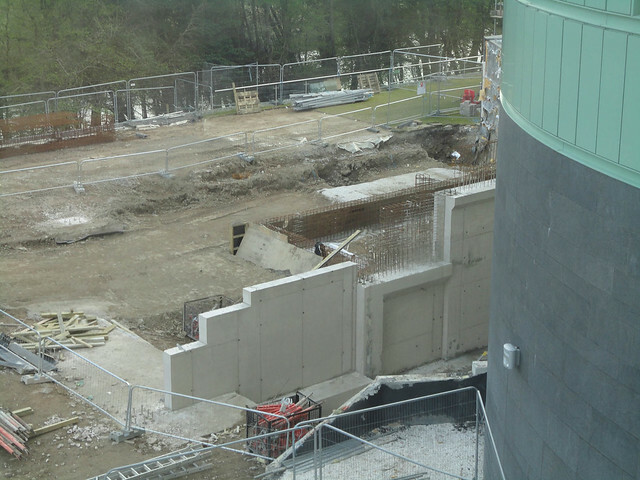 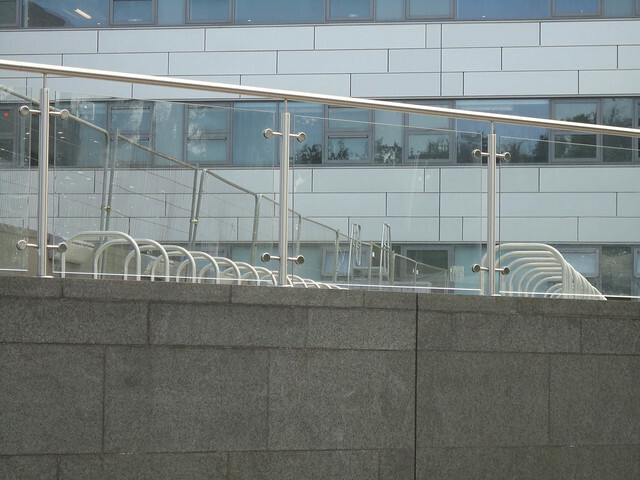 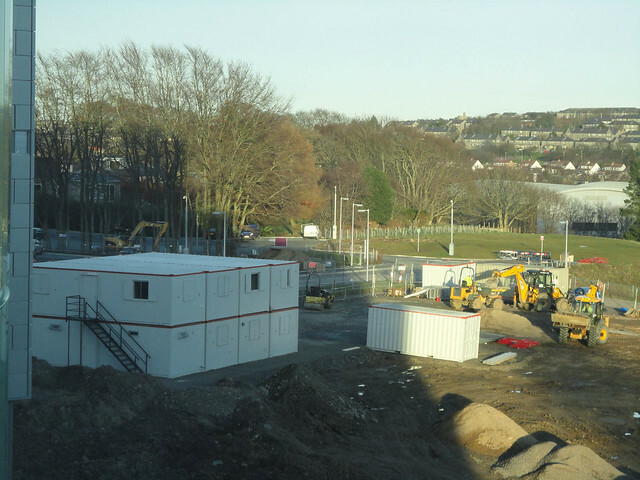 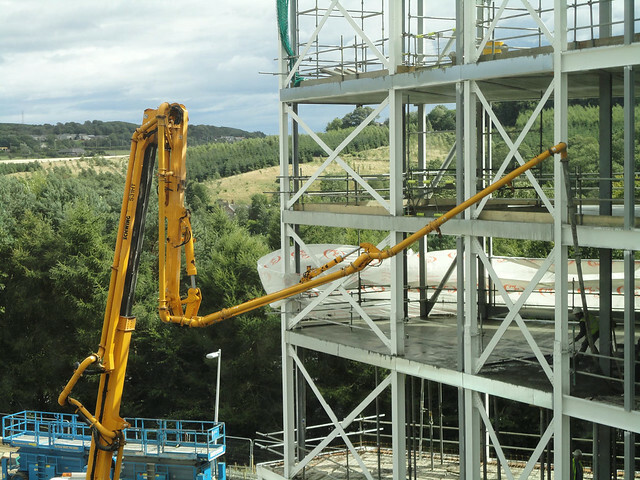 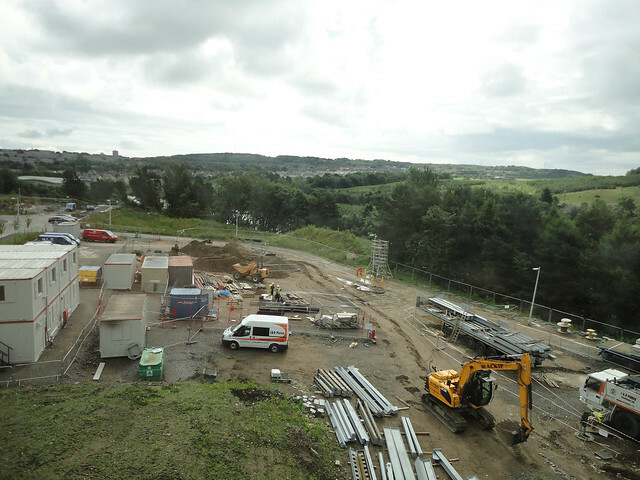 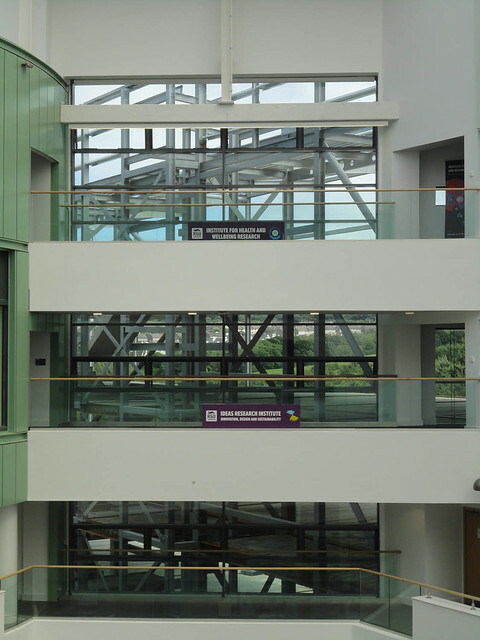 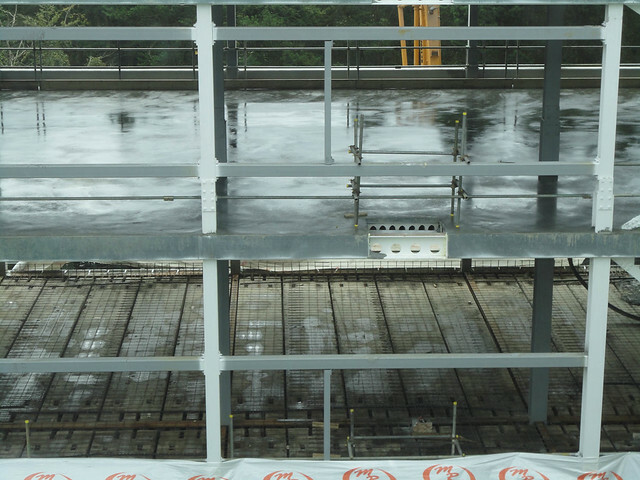 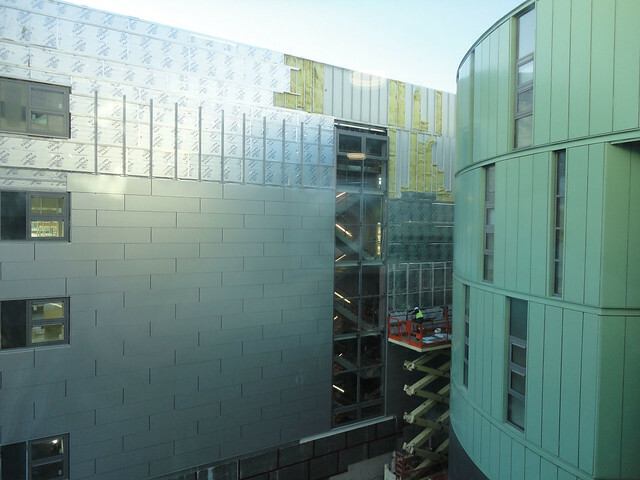 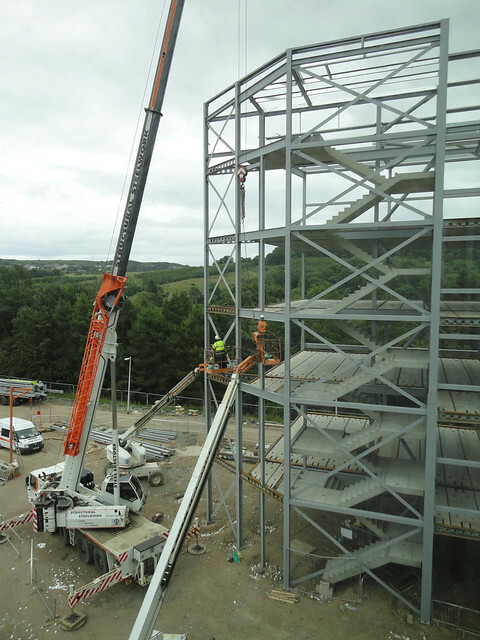 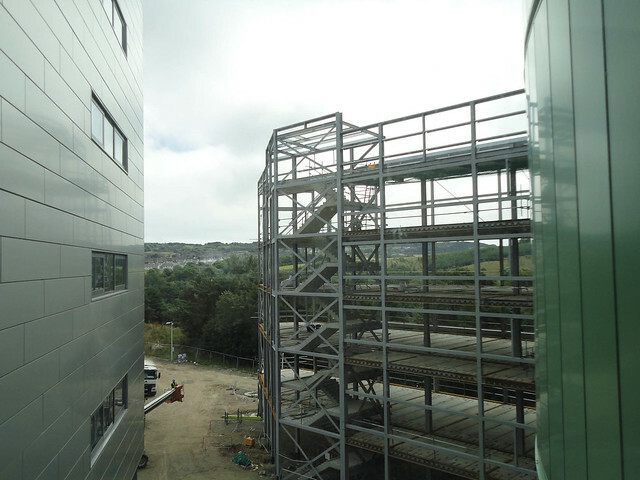 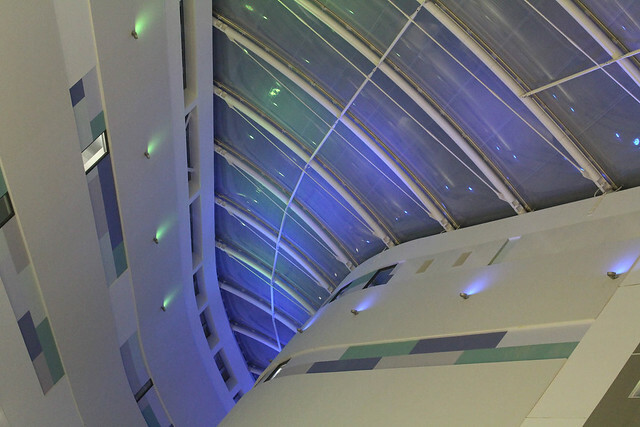 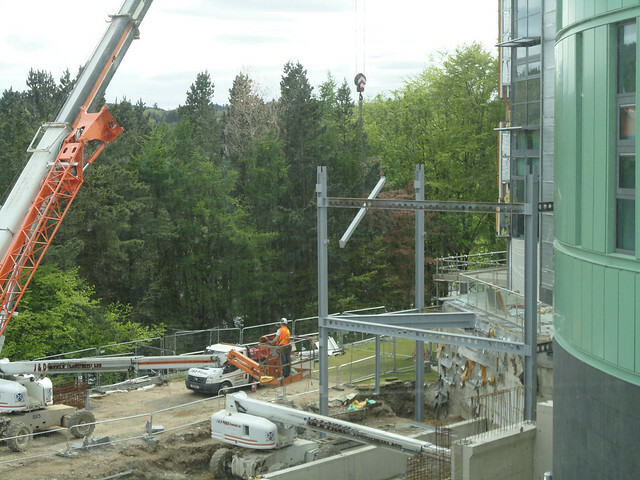 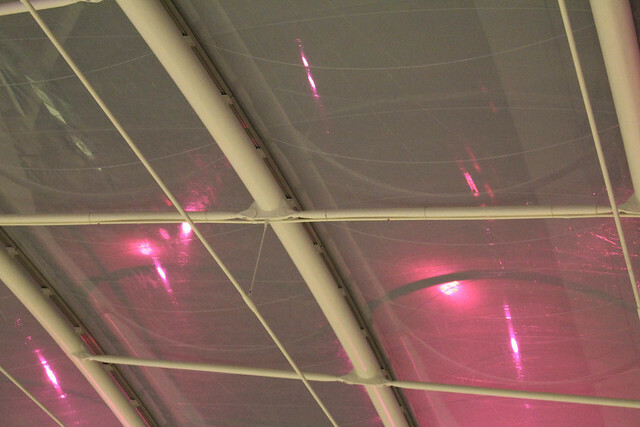 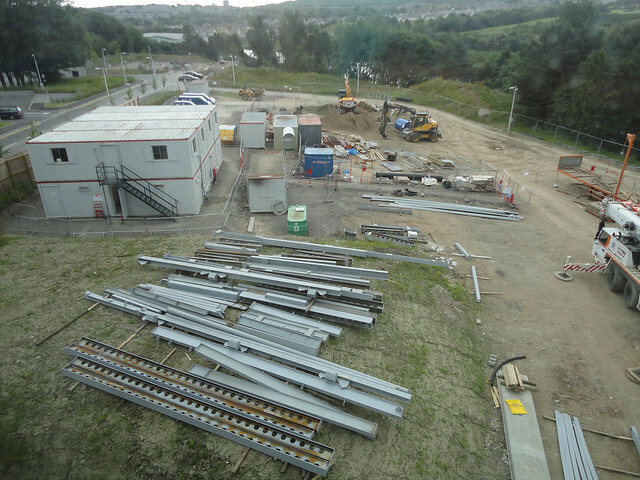 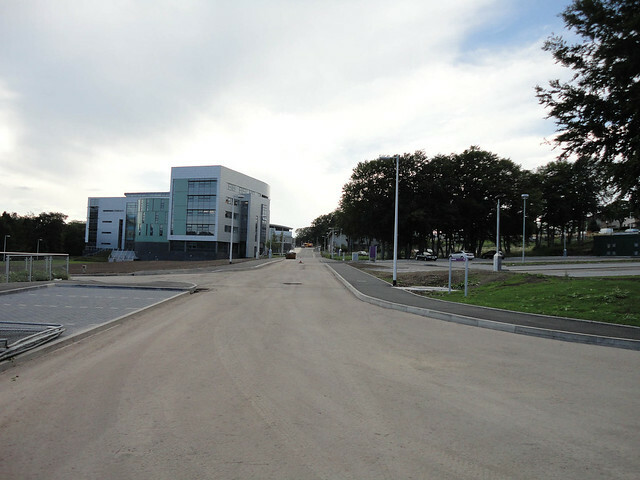 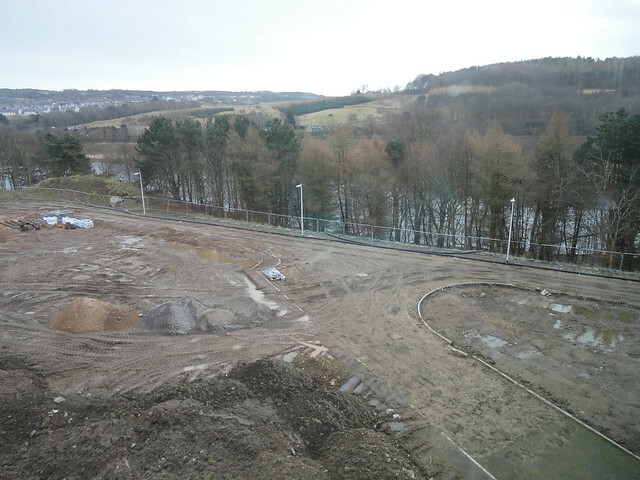 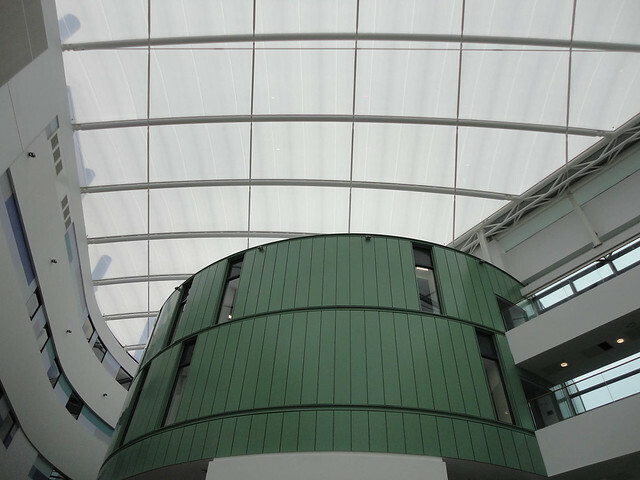 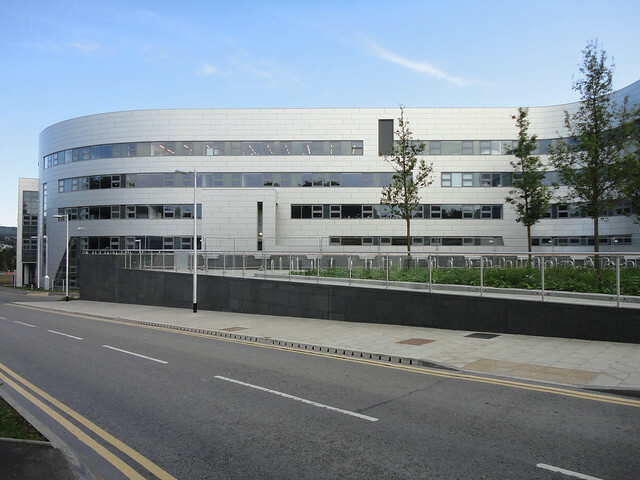 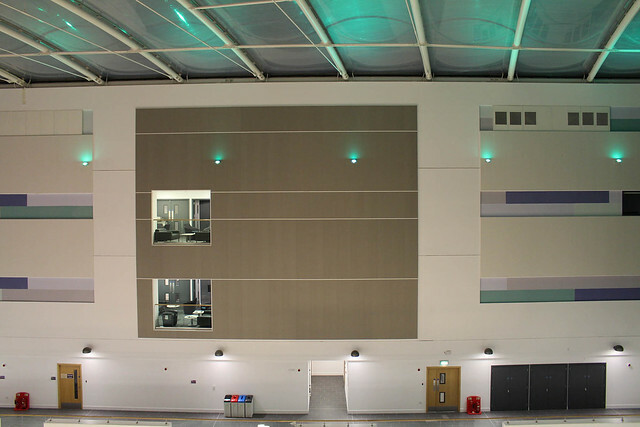 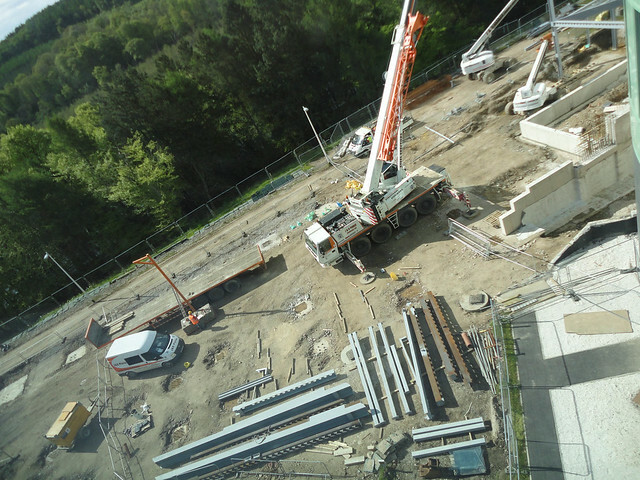 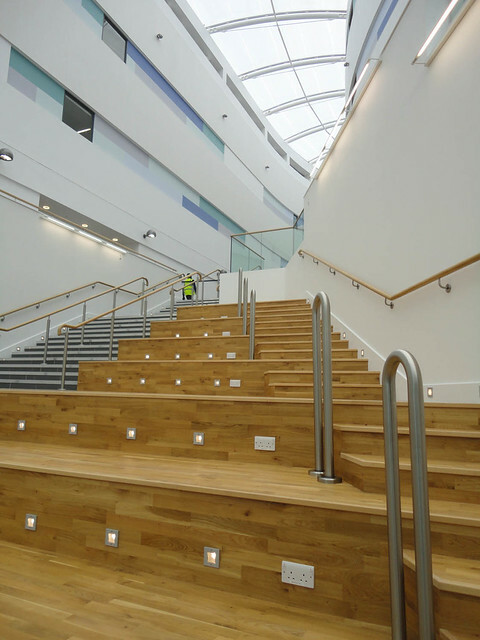 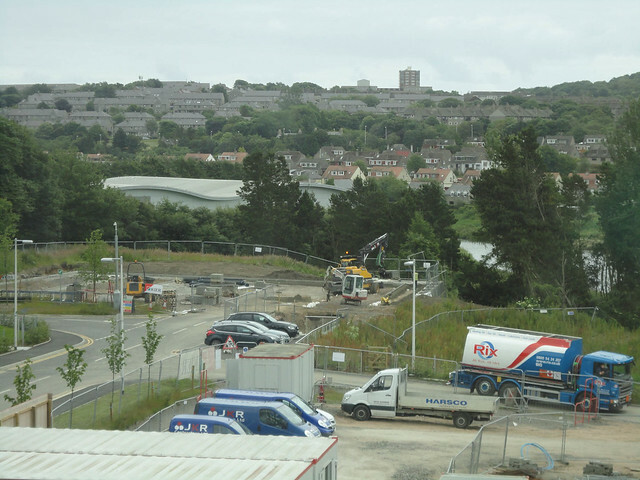 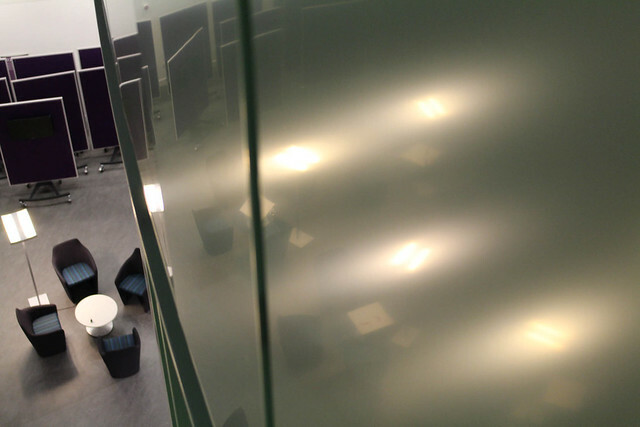 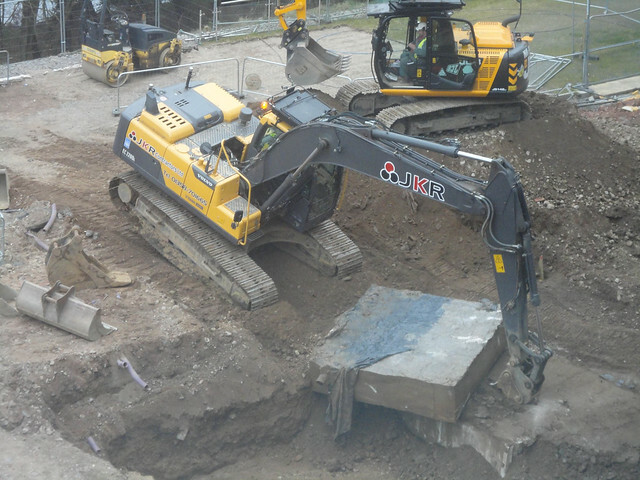 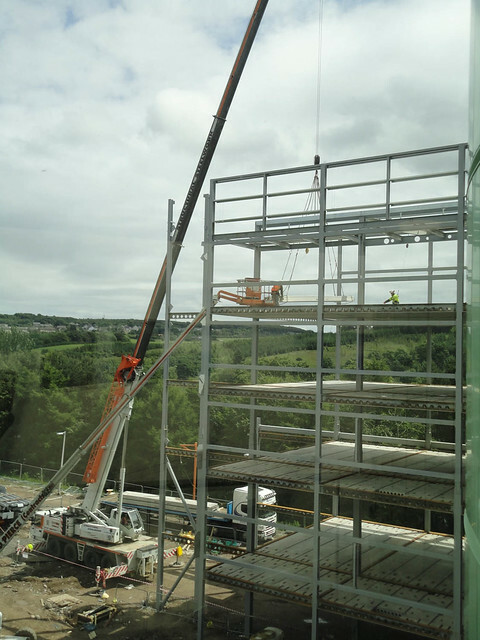 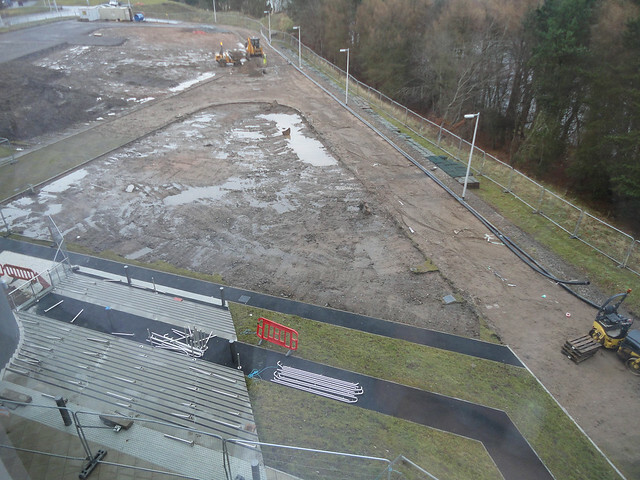 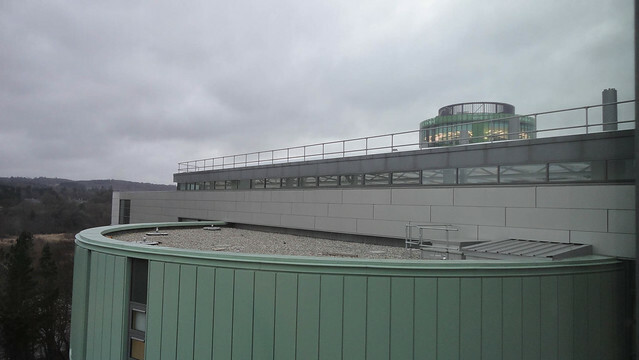 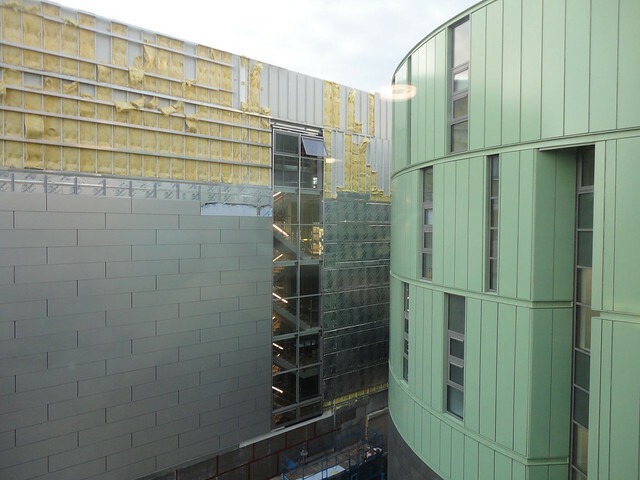 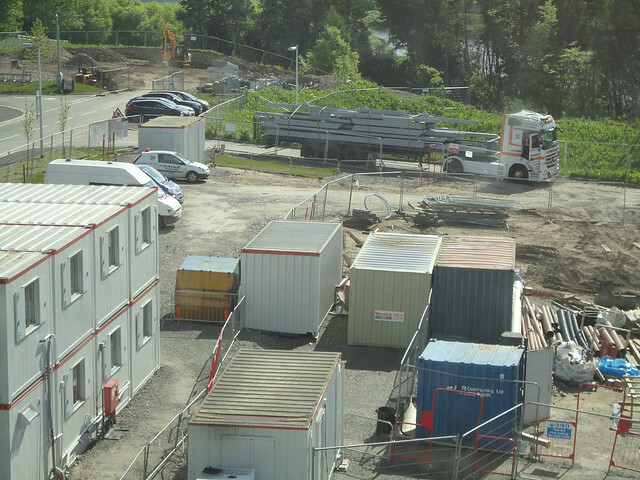 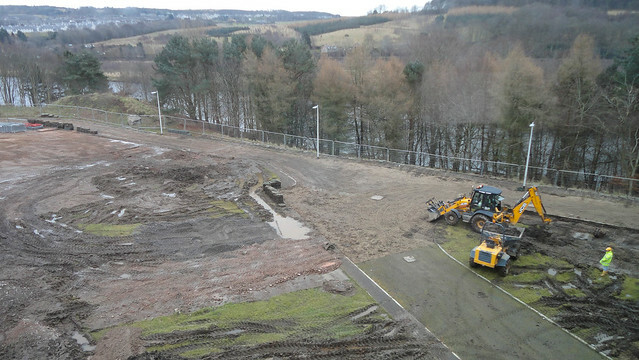 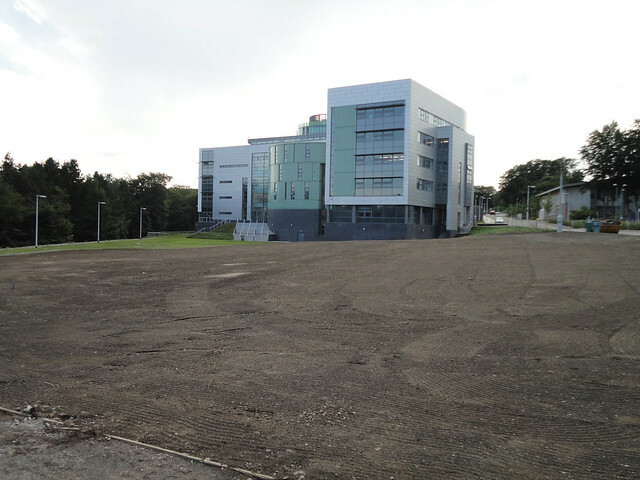 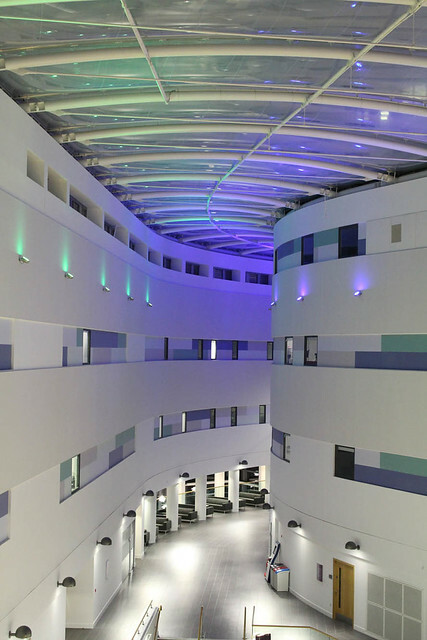 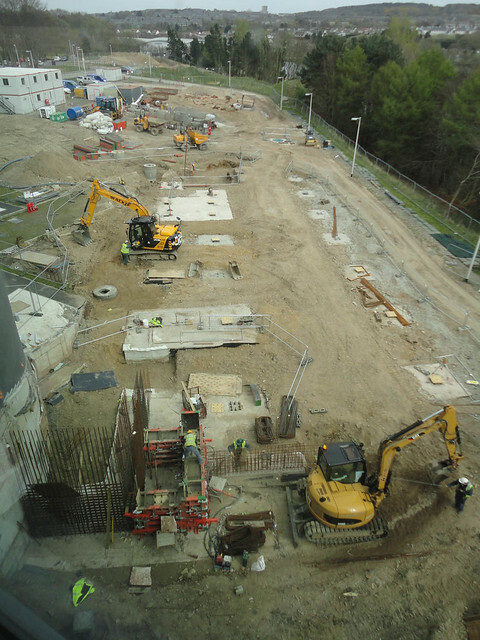 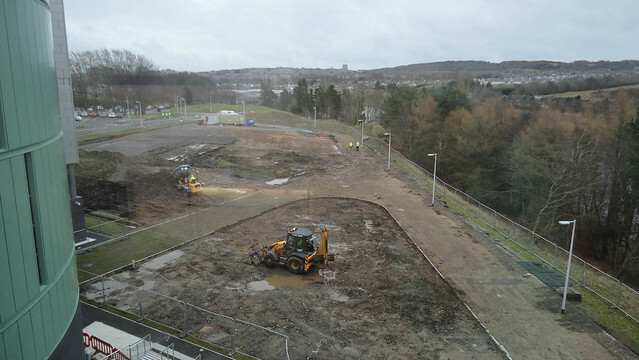 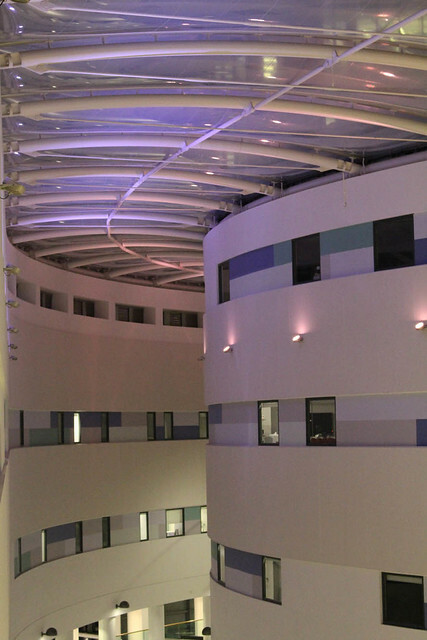 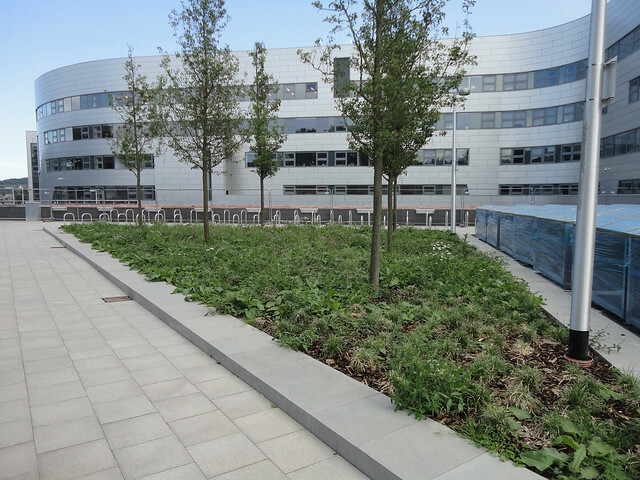 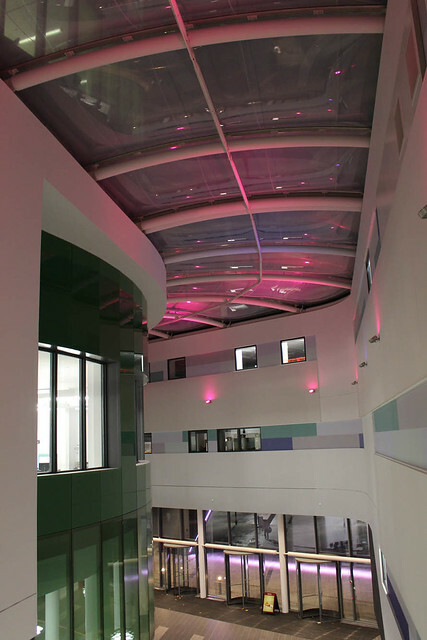 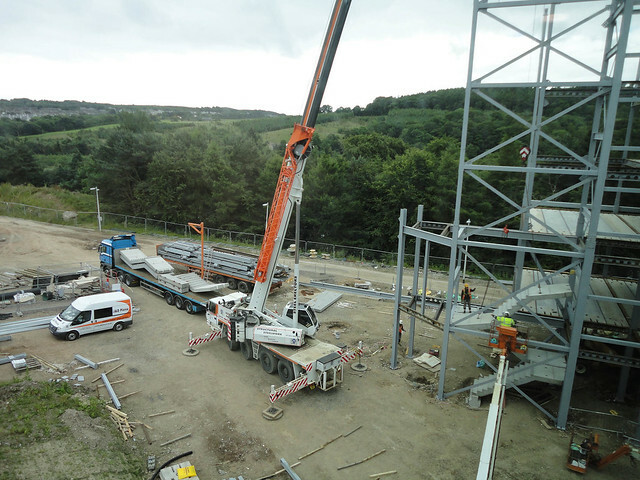 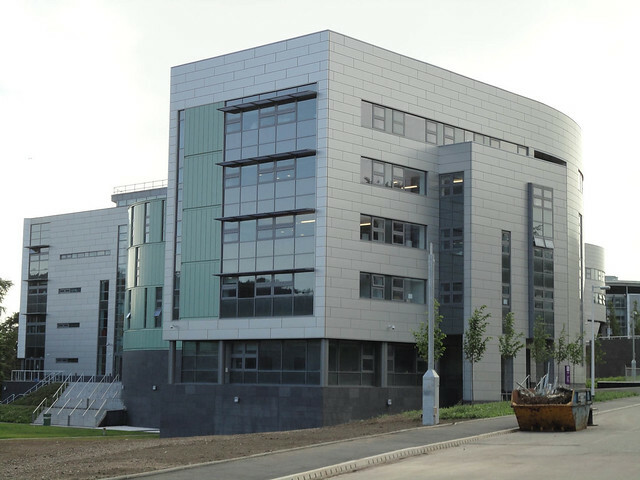 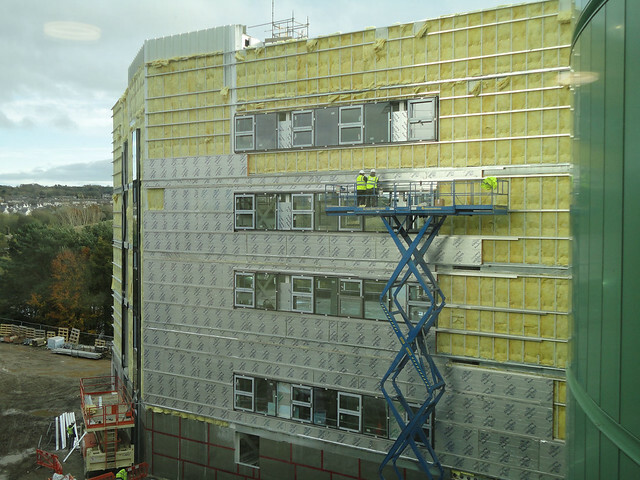 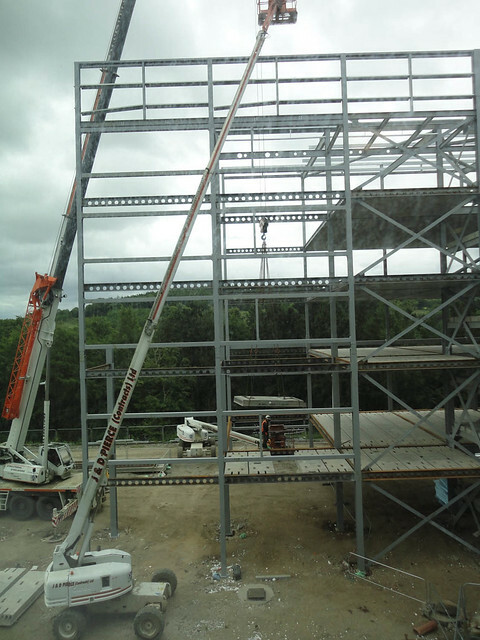 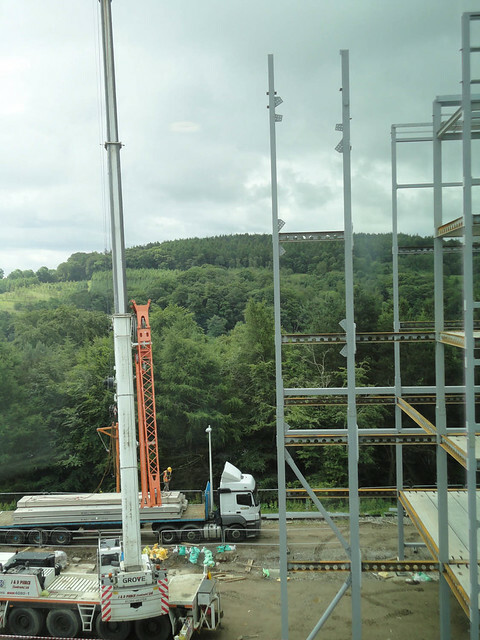 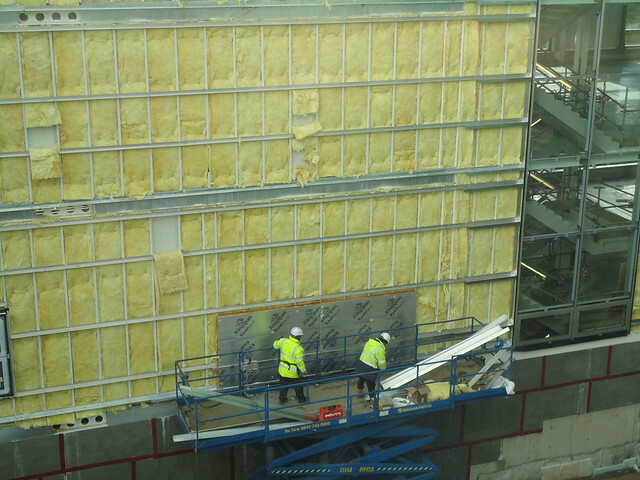 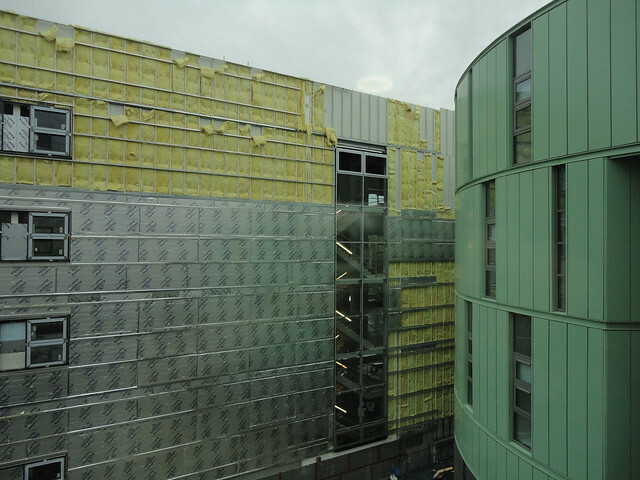 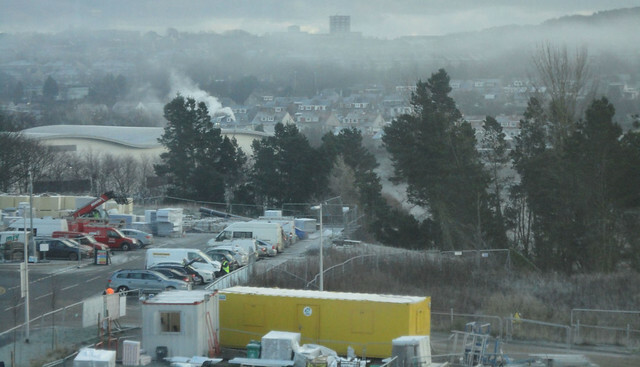 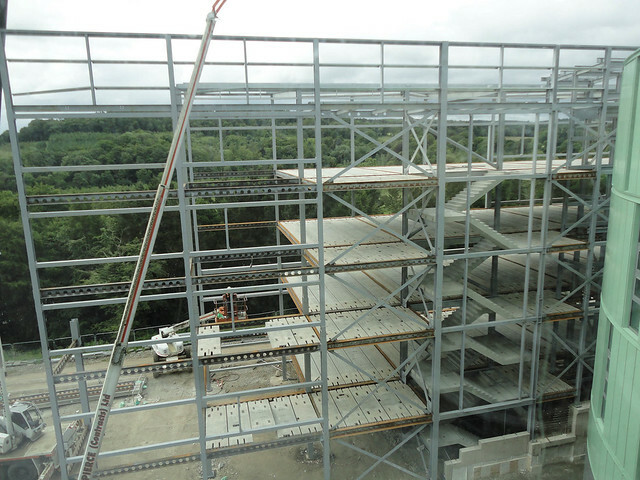 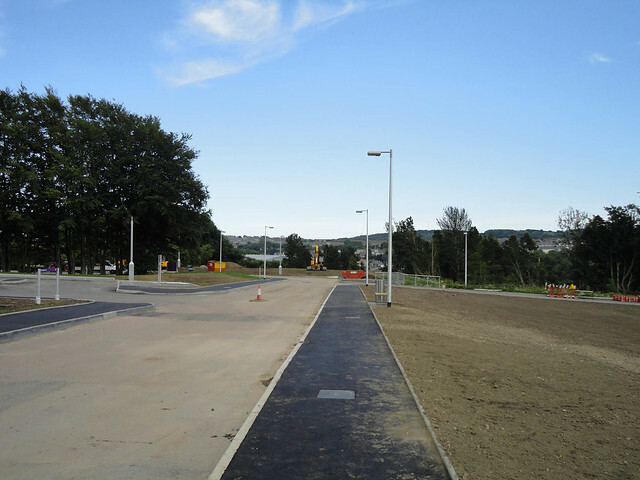 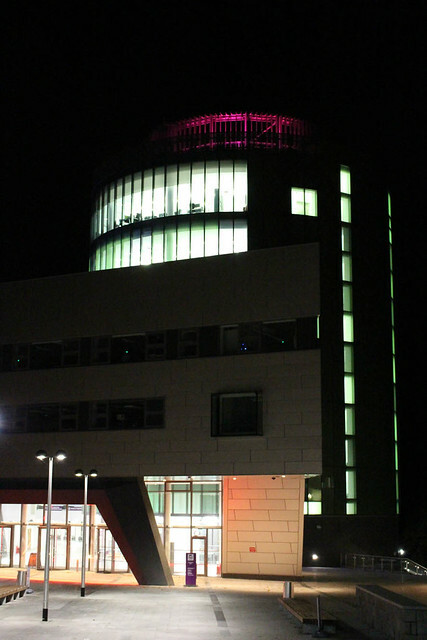 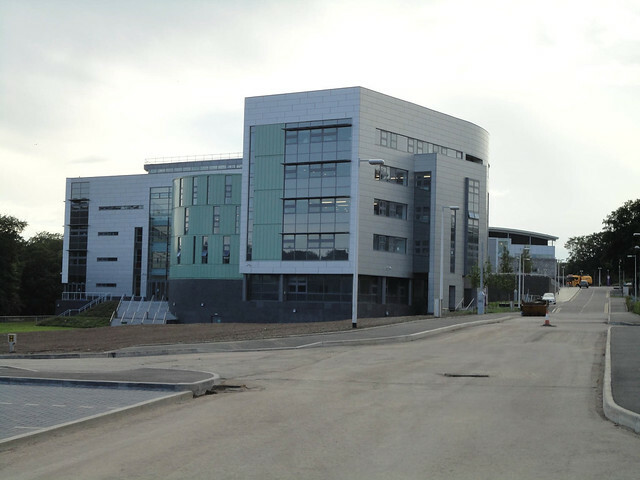 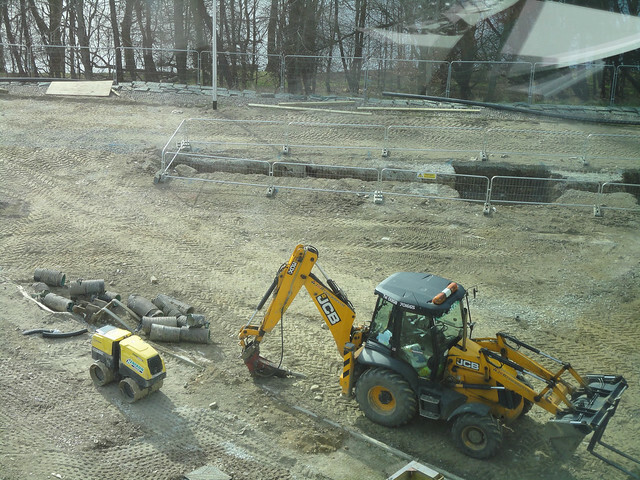 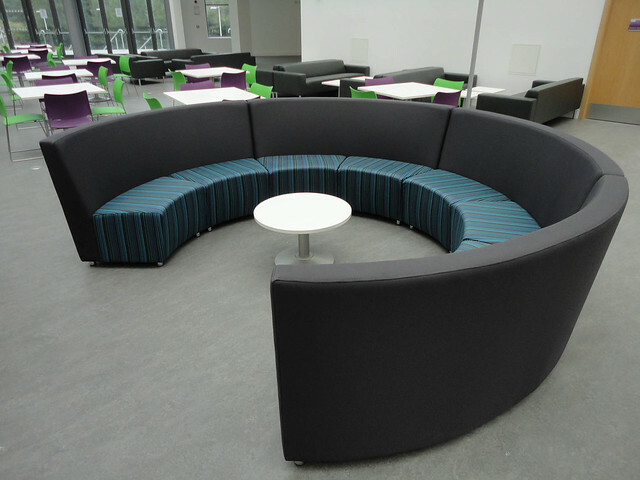 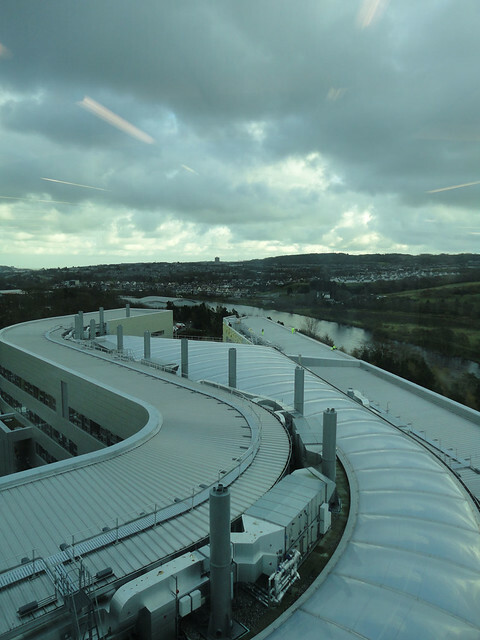 The following are just a few other posts charting the development of the Riverside East Building at the Garthdee Campus of Robert Gordon University, Aberdeen. 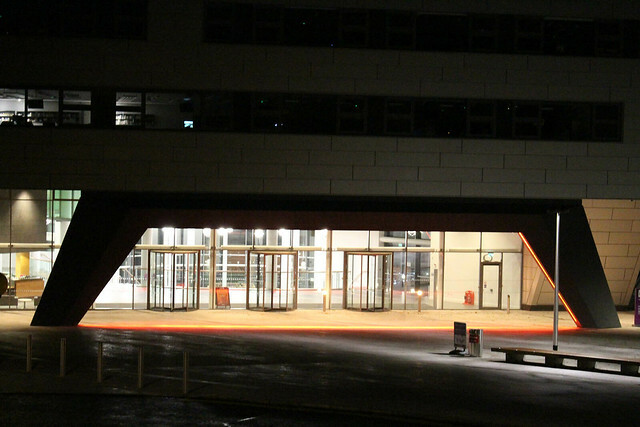 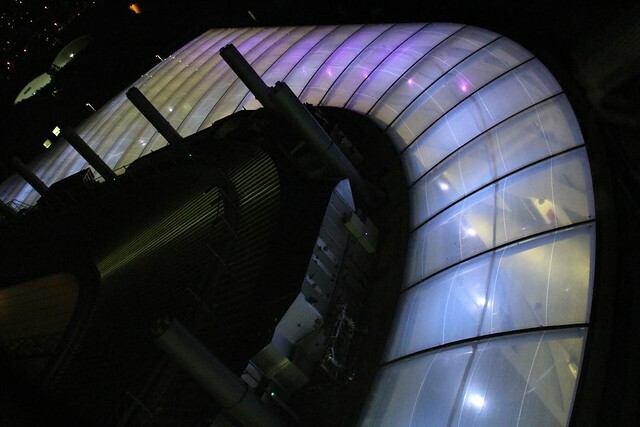 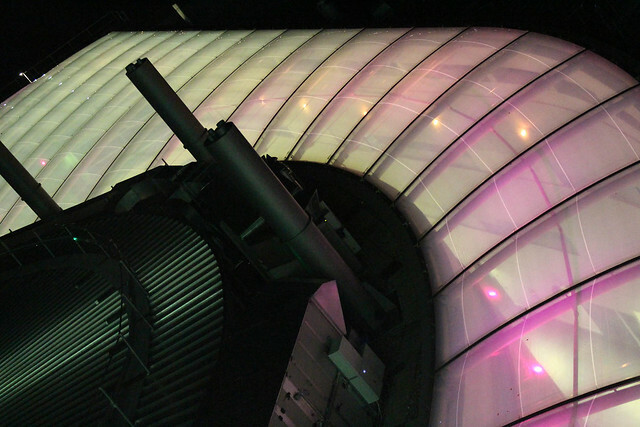 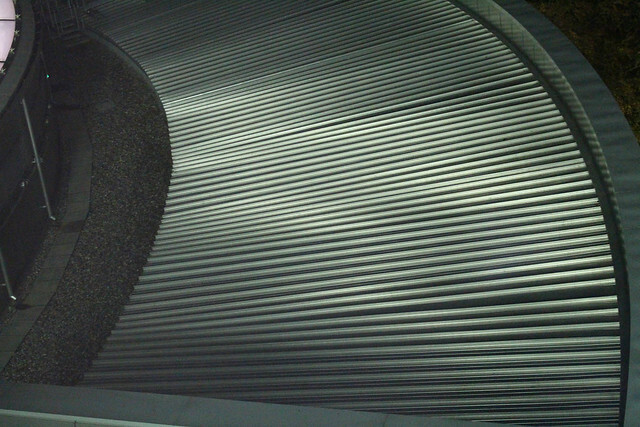 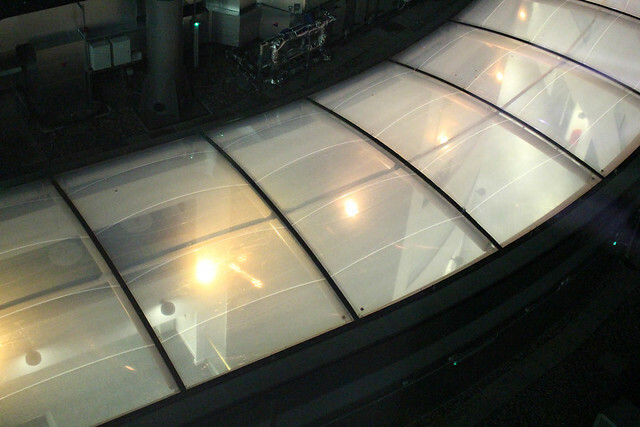 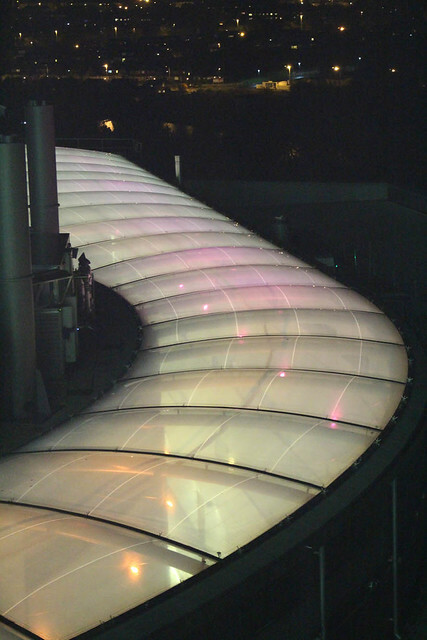 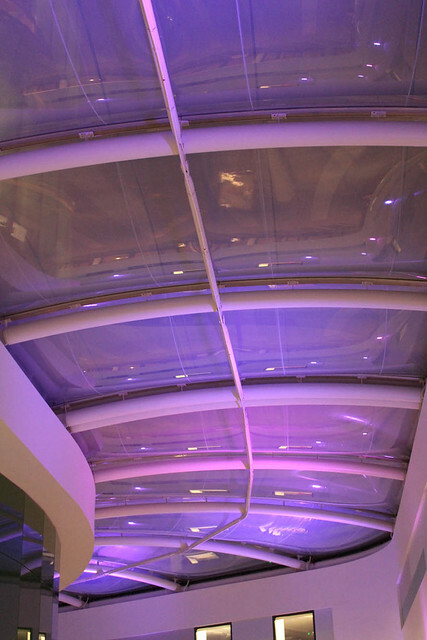 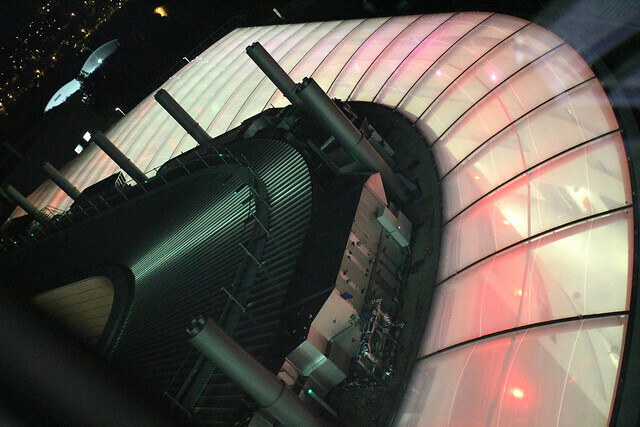 The images below are just a selection, one can see additional night time photographs of the building from the following flickr set.